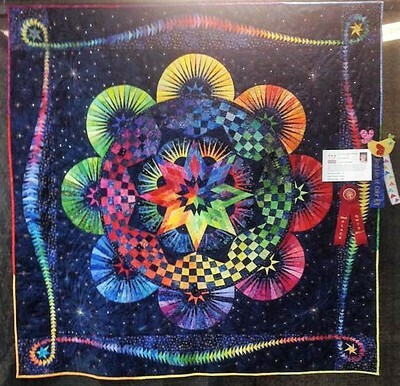 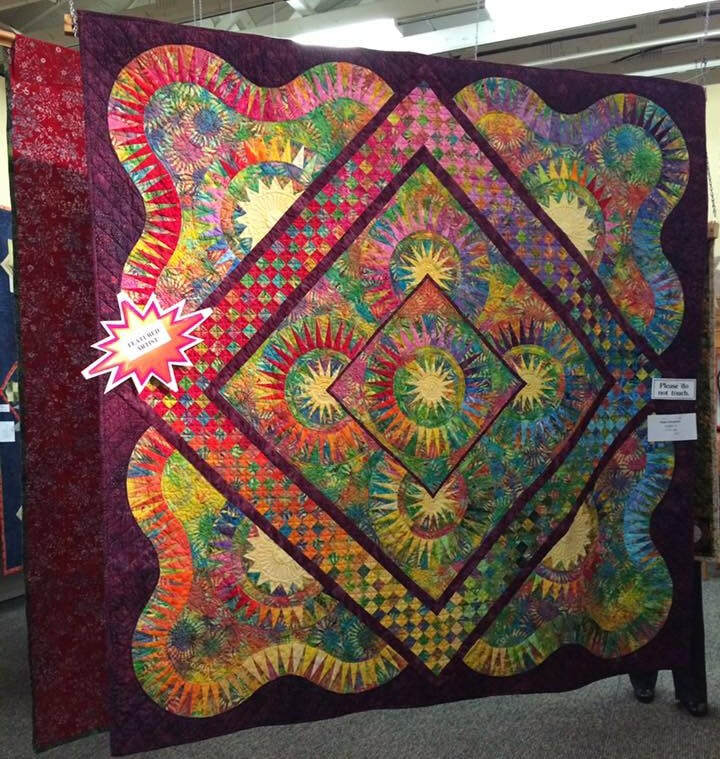 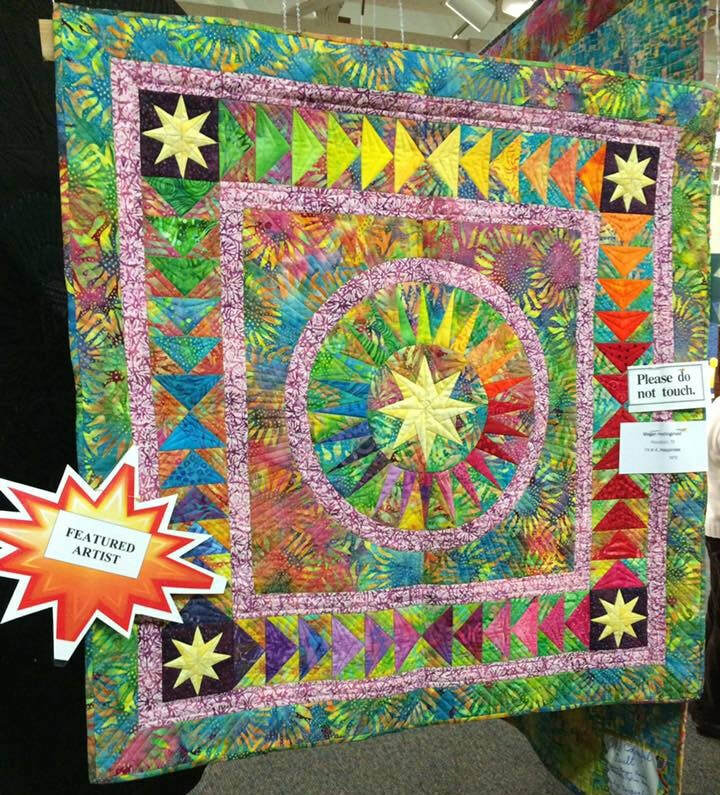 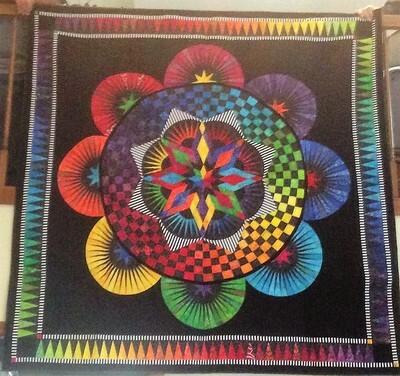 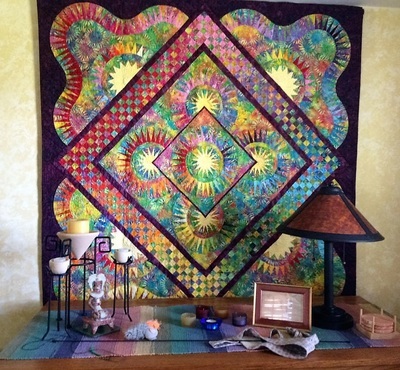 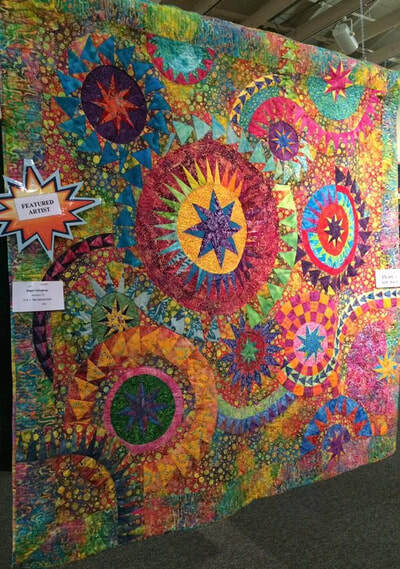 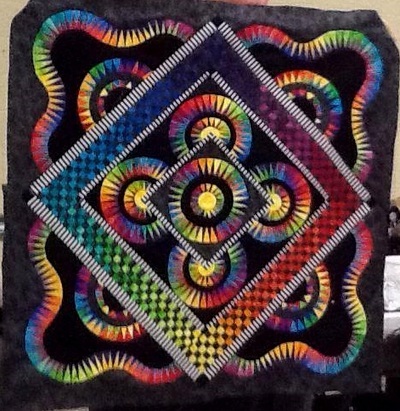 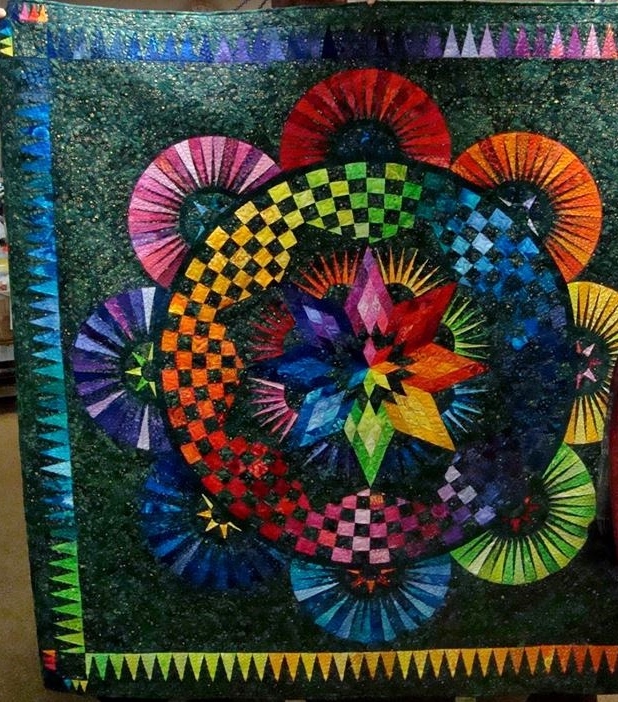 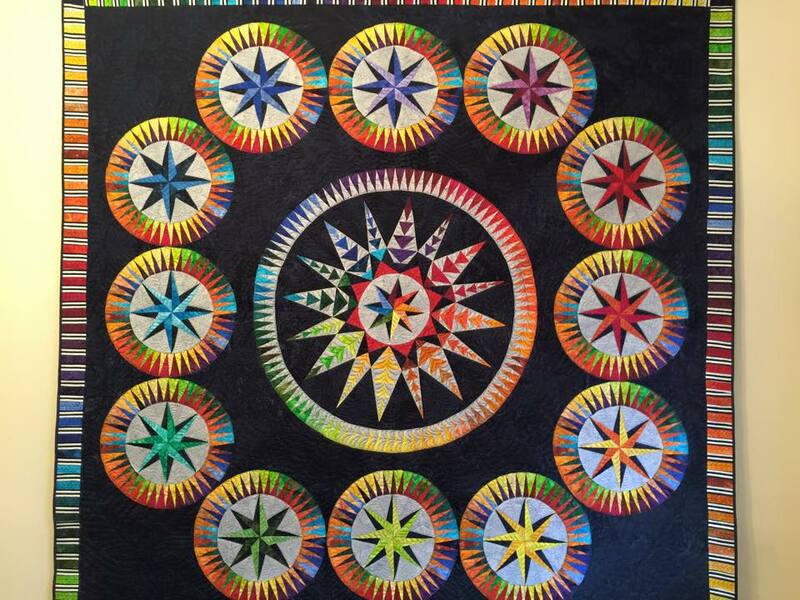 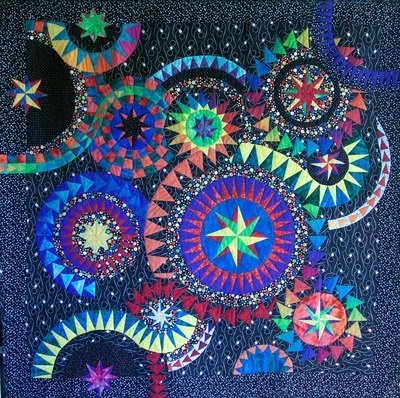 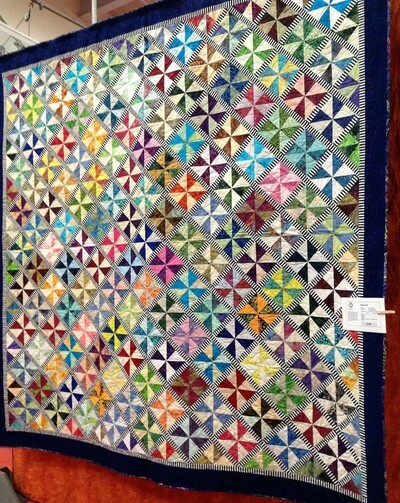 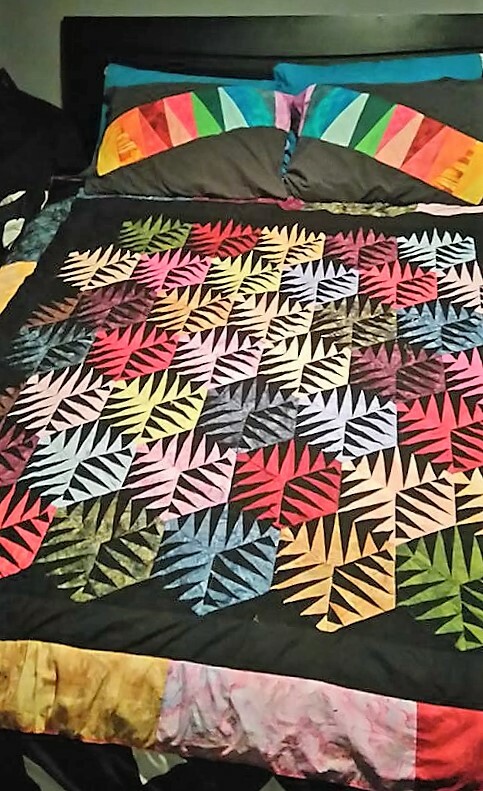 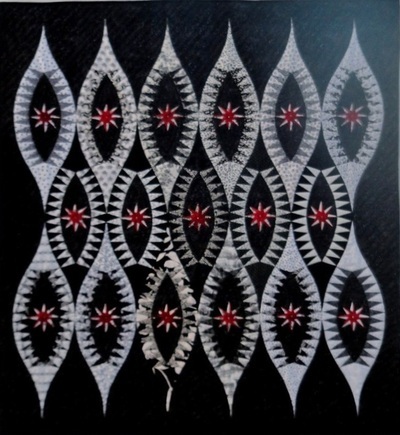 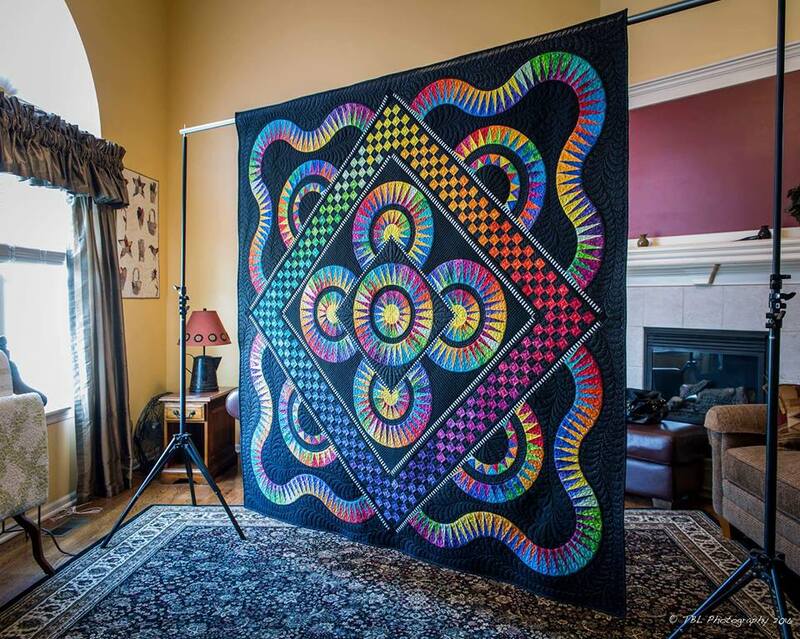 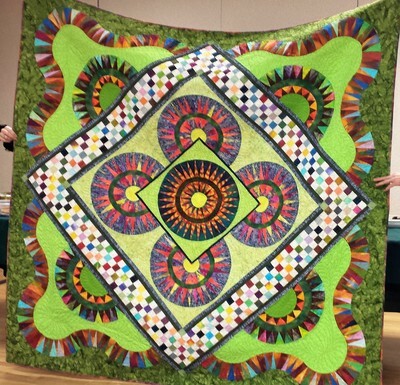 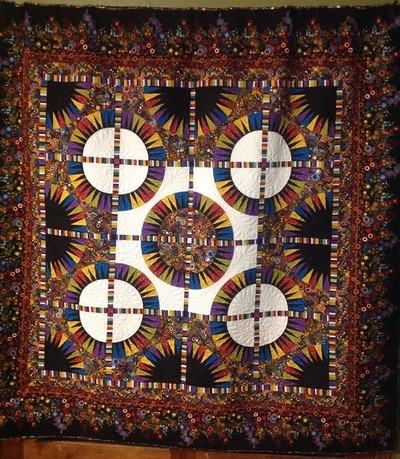 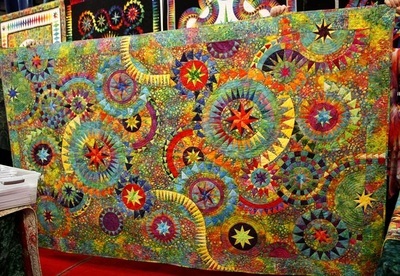 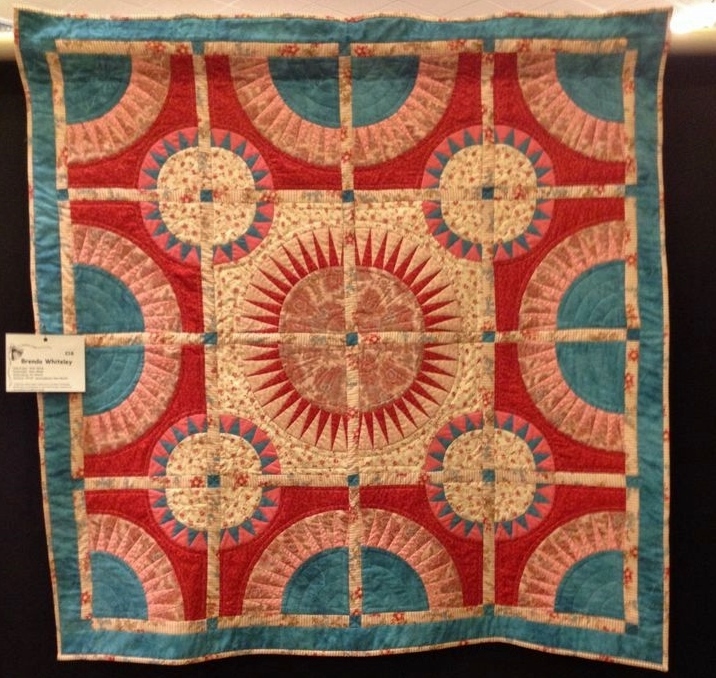 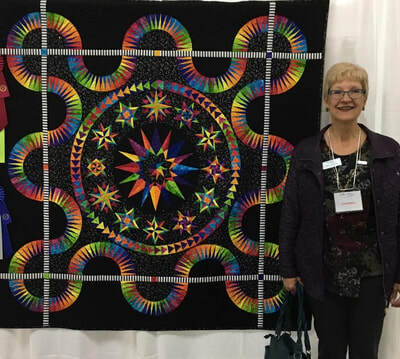 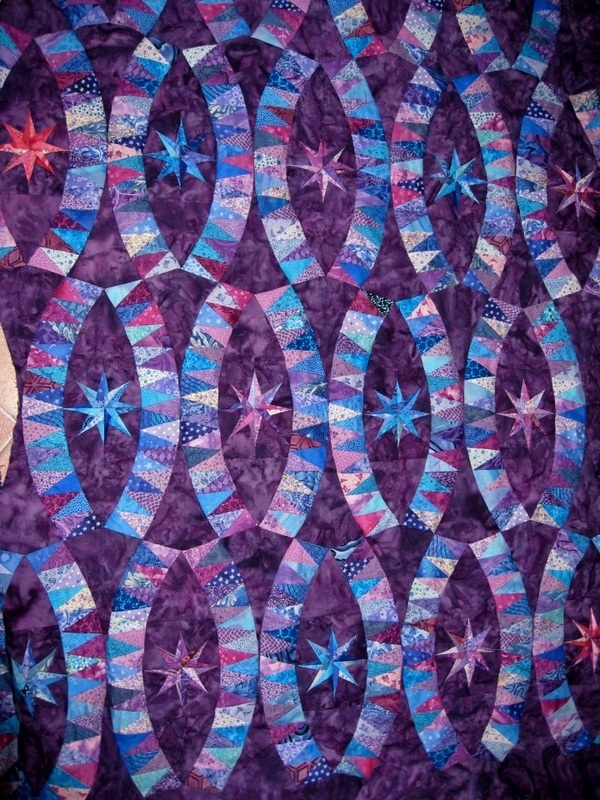 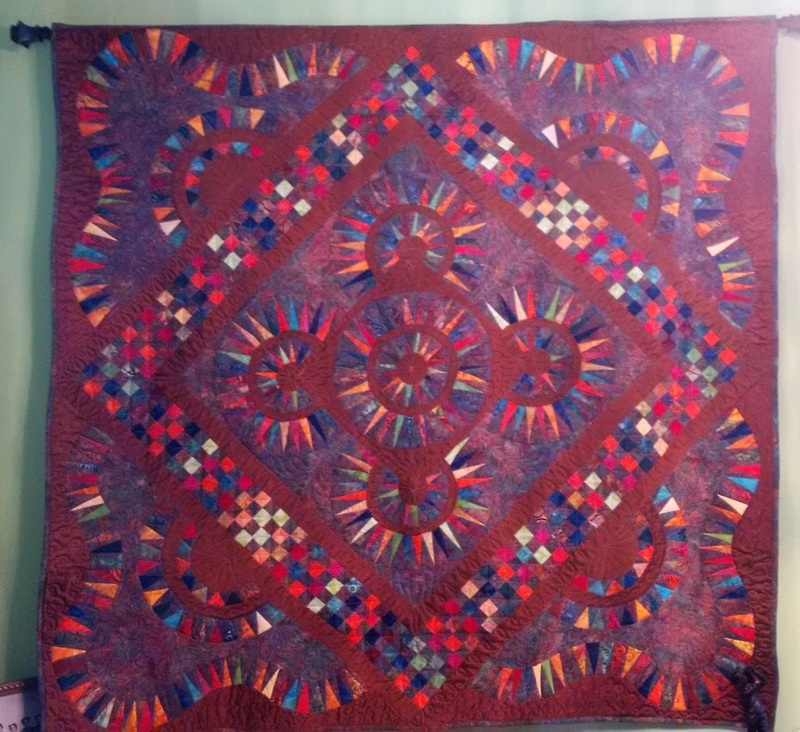 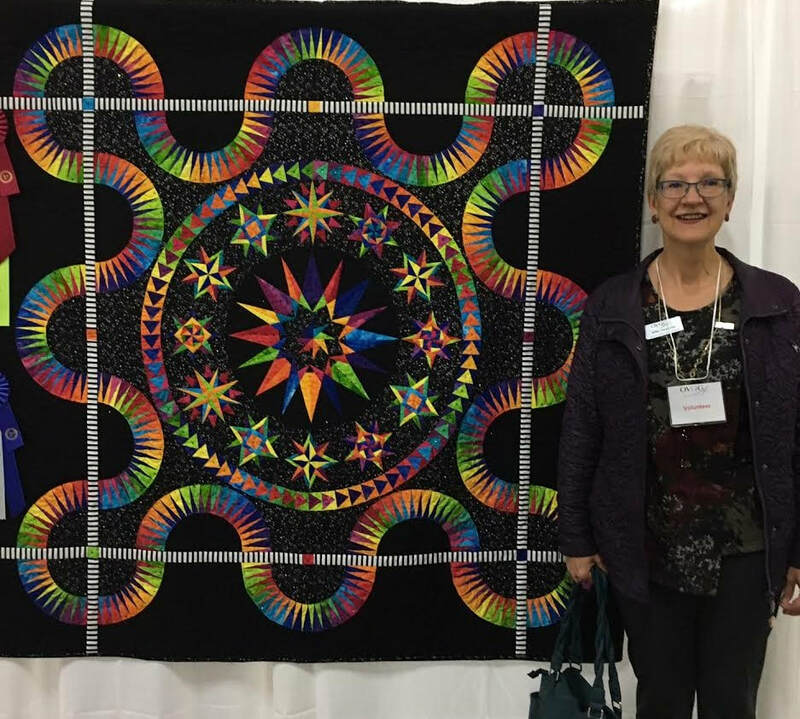 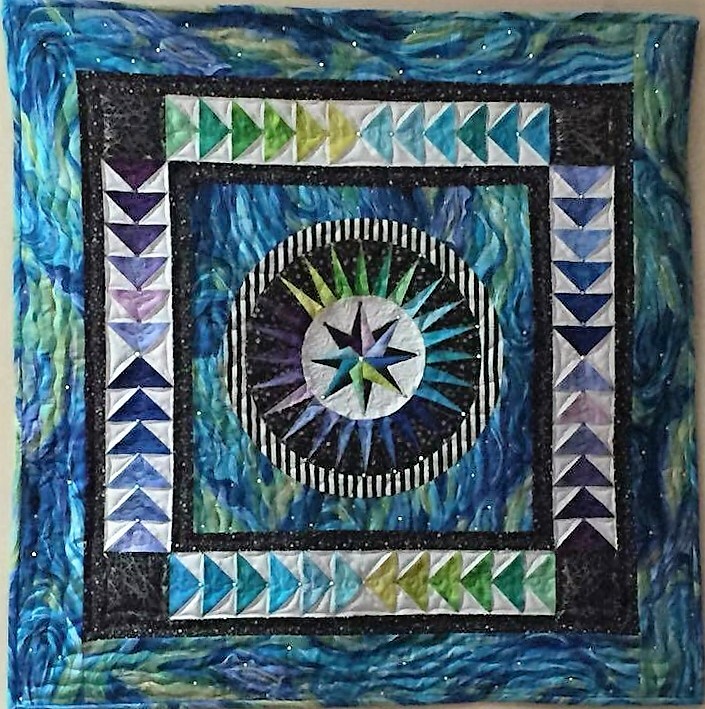 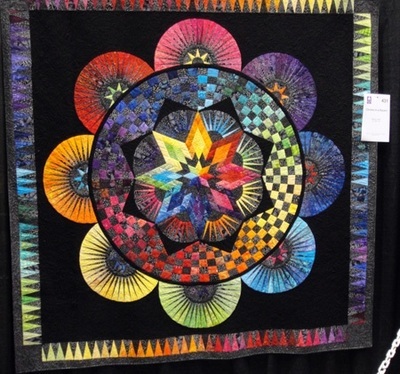 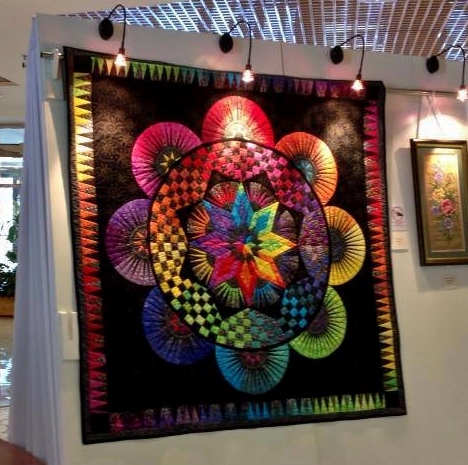 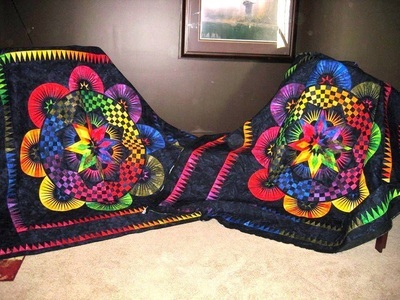 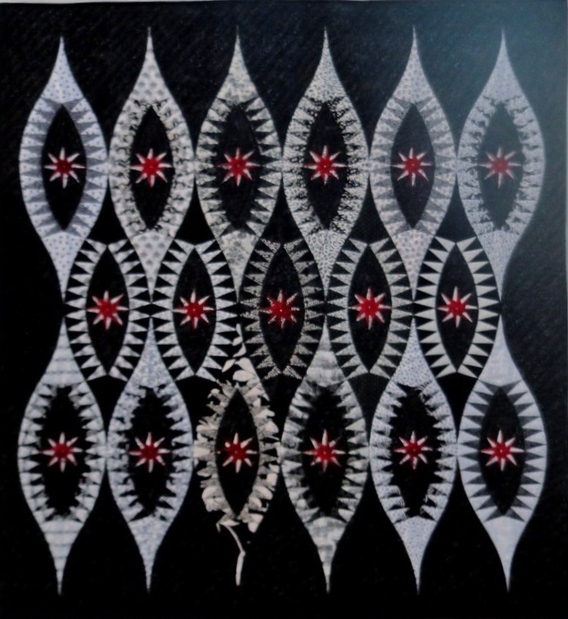 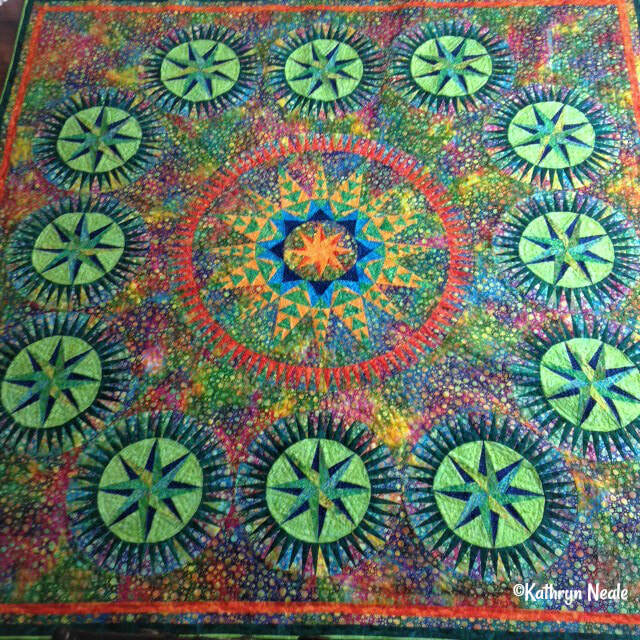 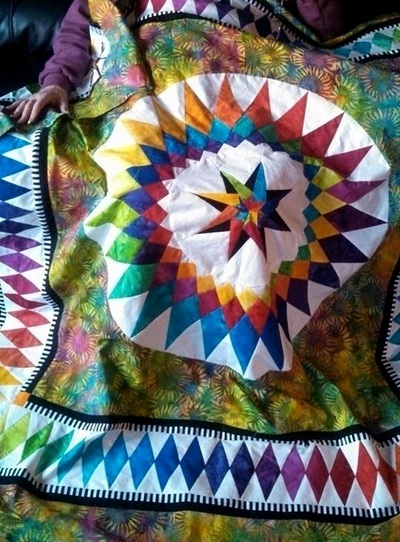 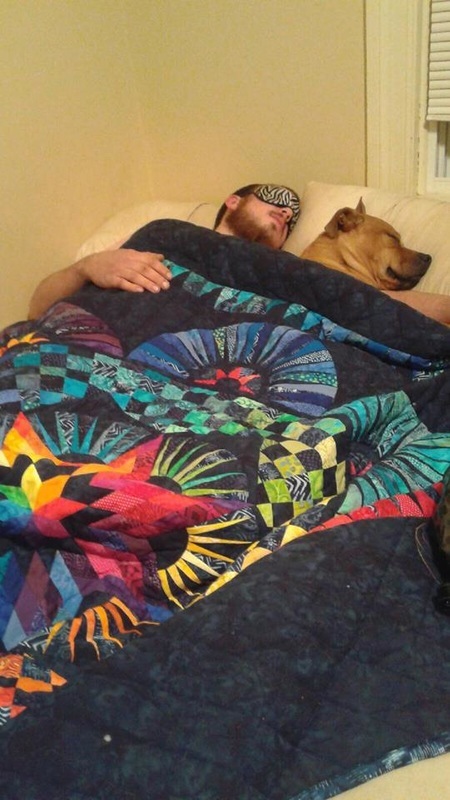 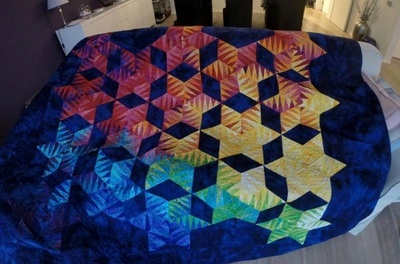 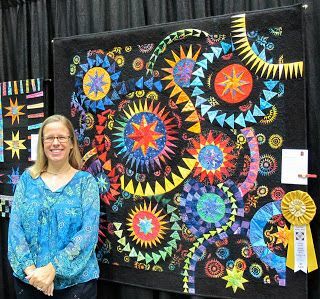 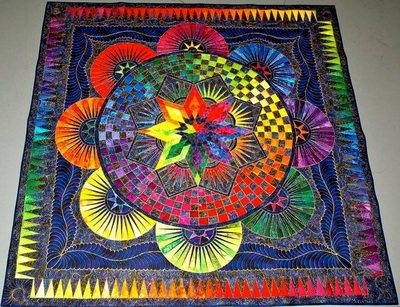 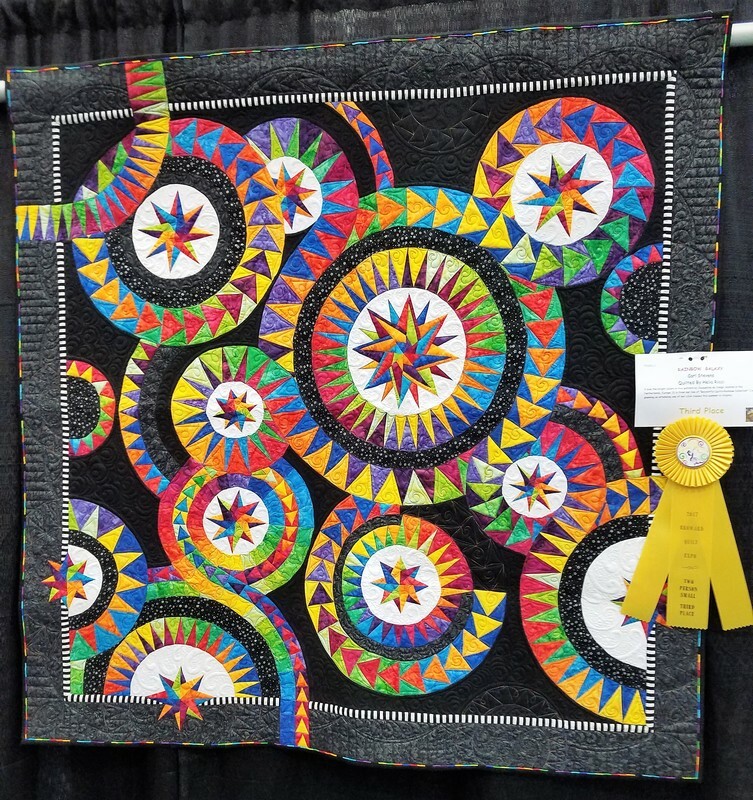 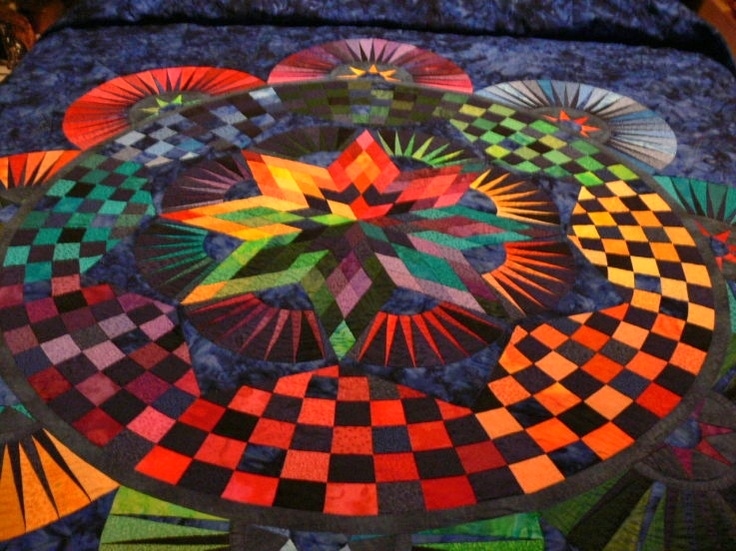 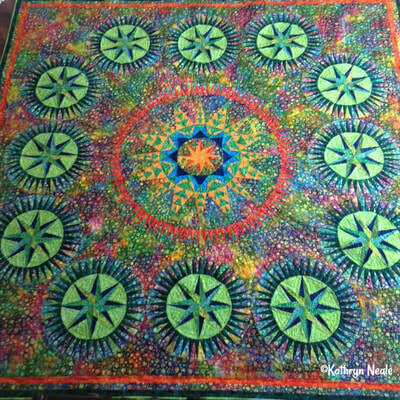 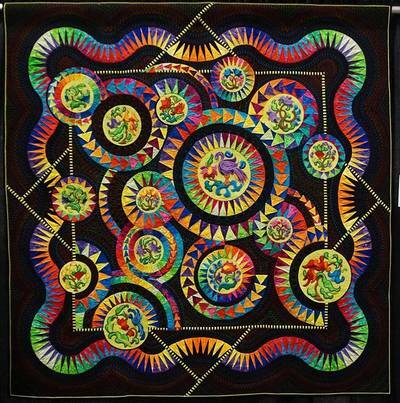 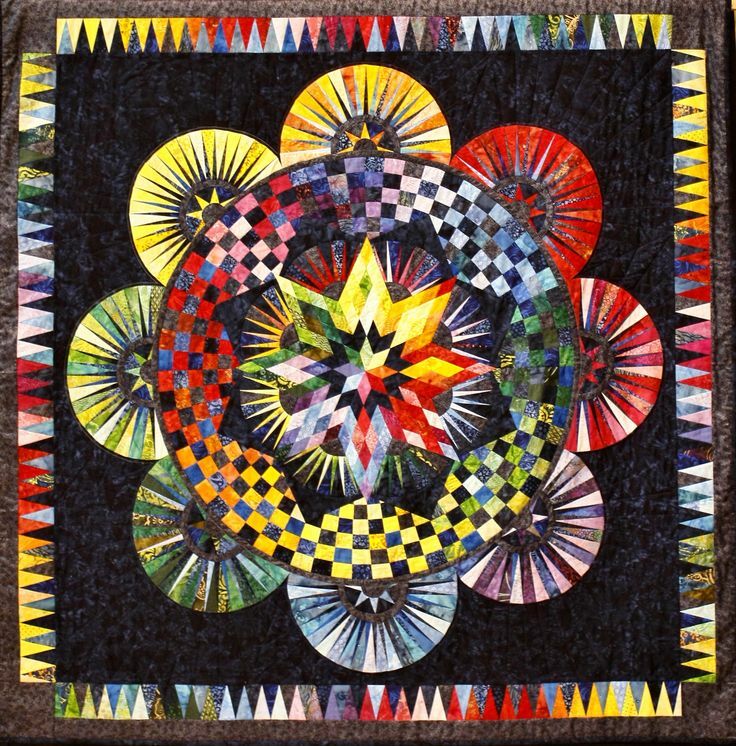 Many women, and men, are inspired by Jacqueline, and made their own BeColourful quilt. It is wonderful to see all your beautiful work. 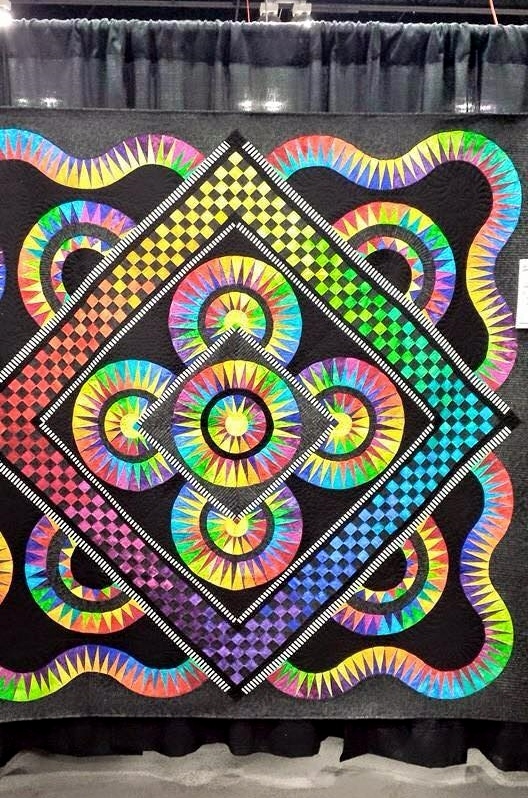 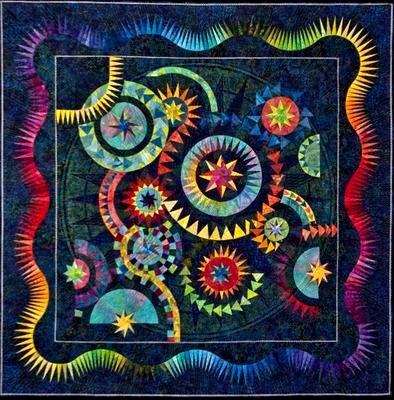 We love sharing these amazing and gorgeous pieces of art with you. 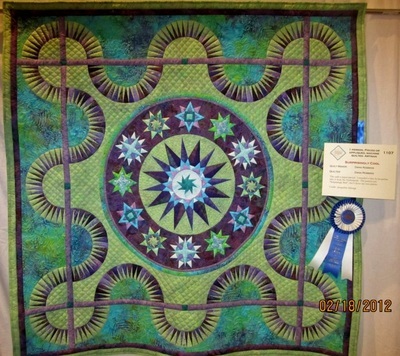 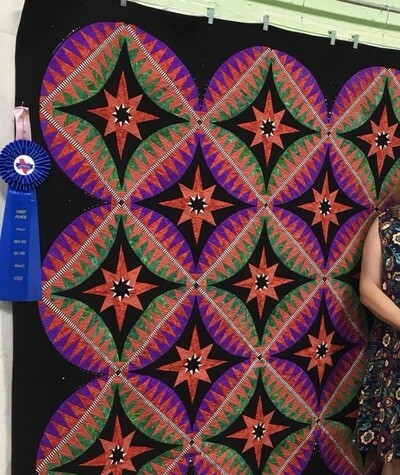 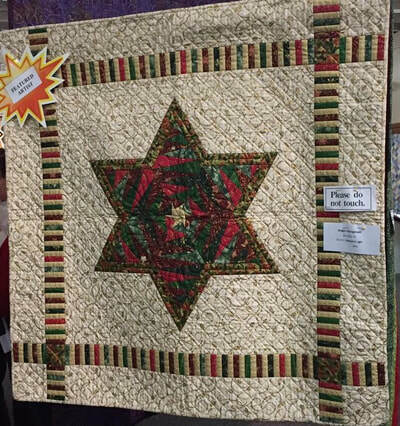 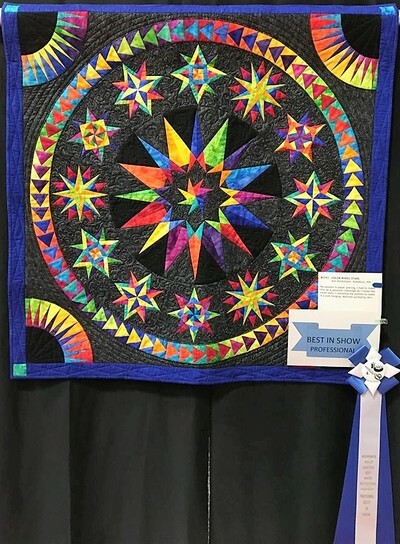 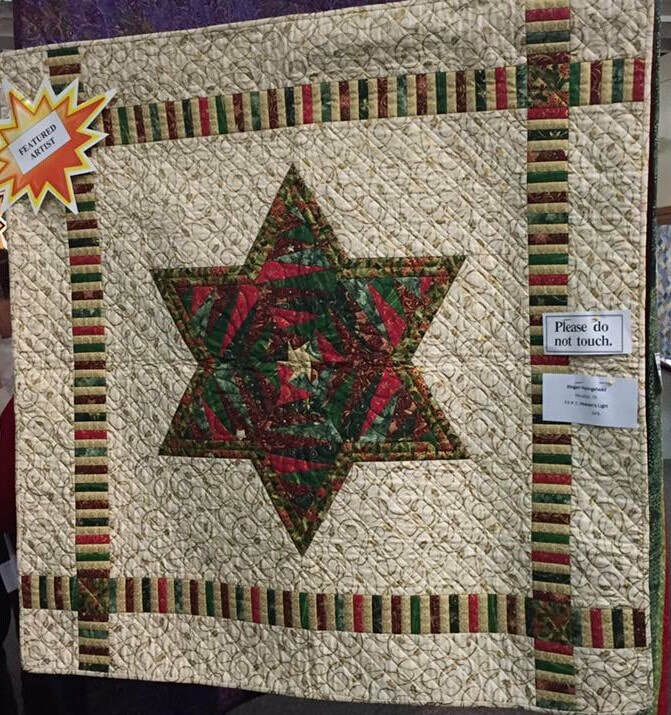 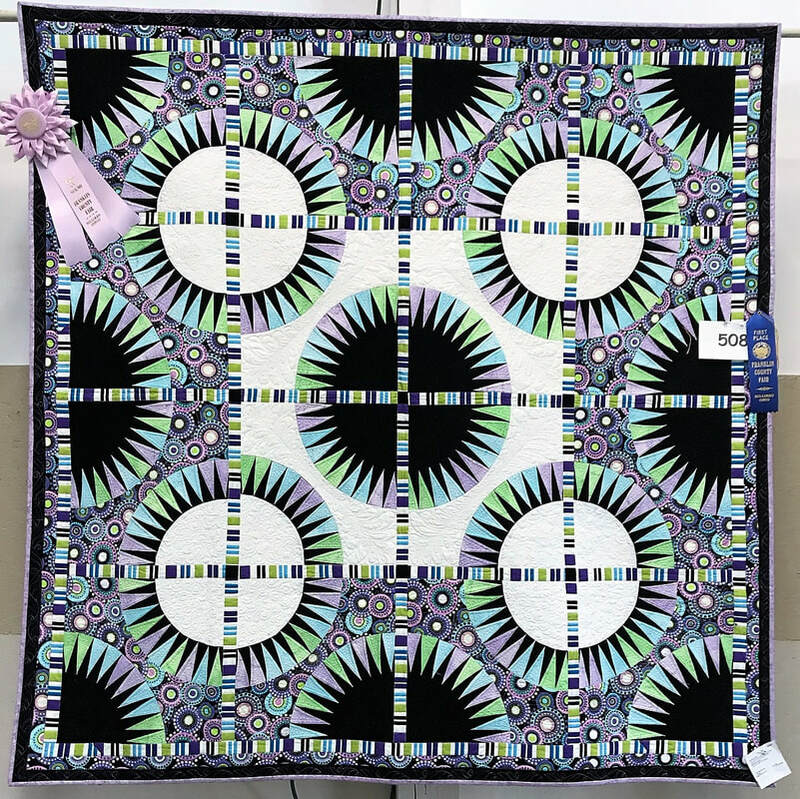 Maybe one day your quilt will be on this wall of fame! 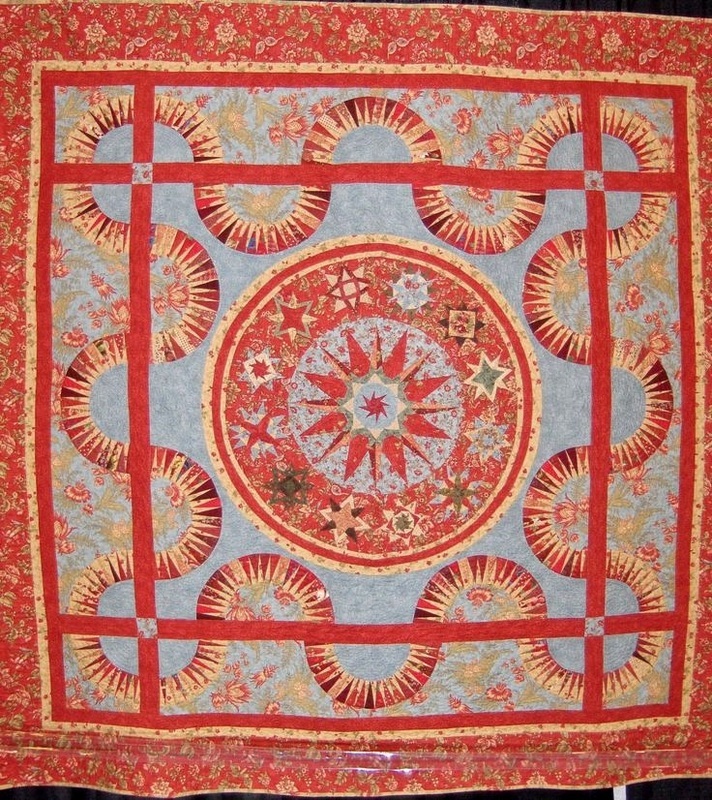 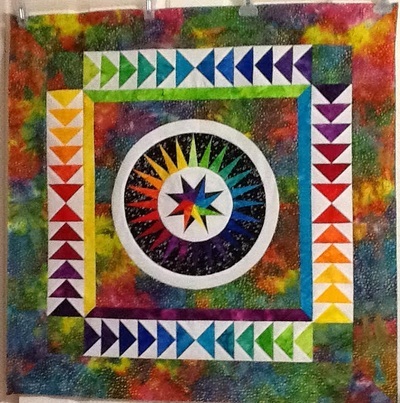 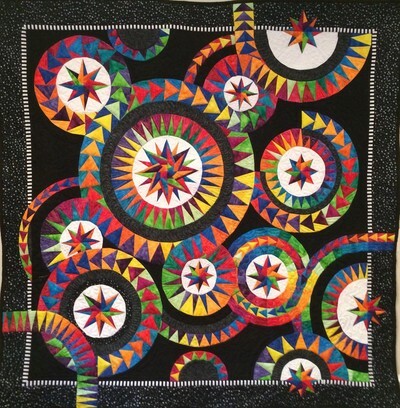 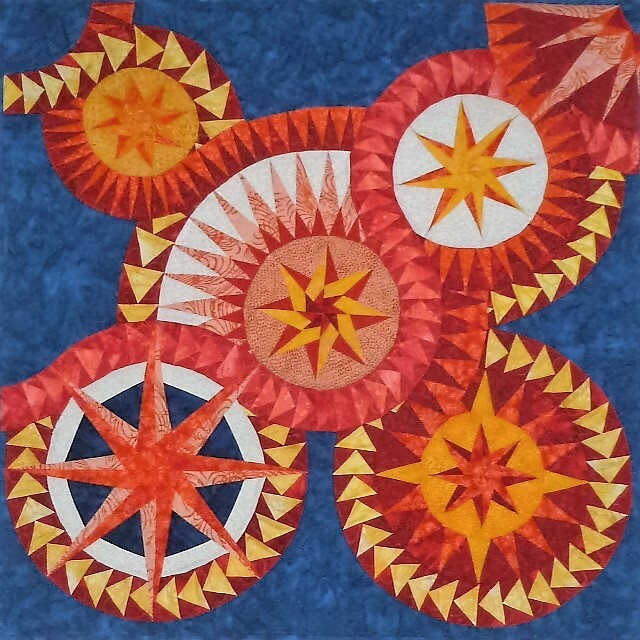 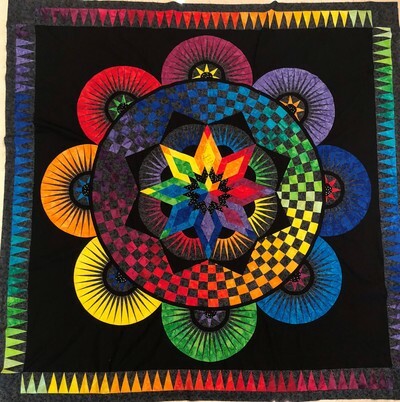 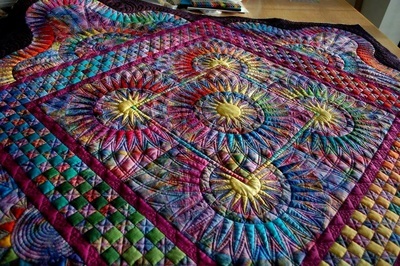 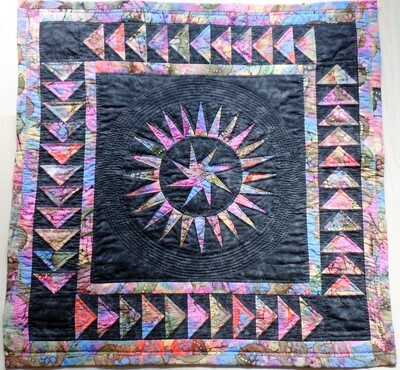 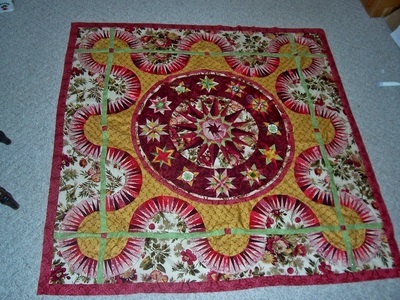 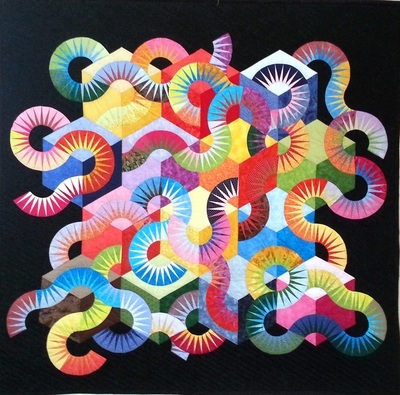 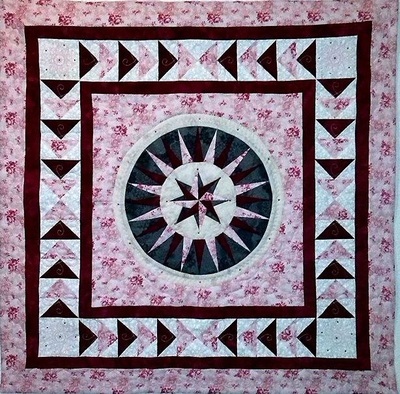 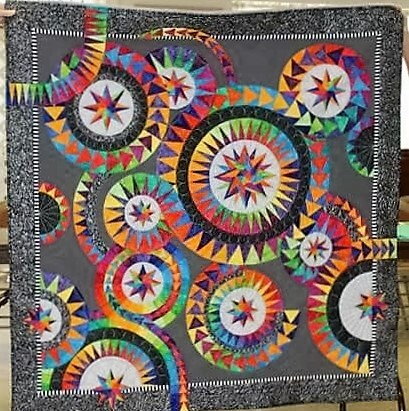 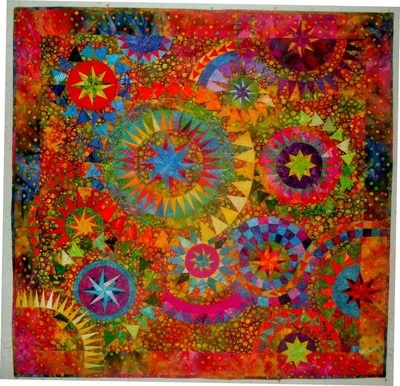 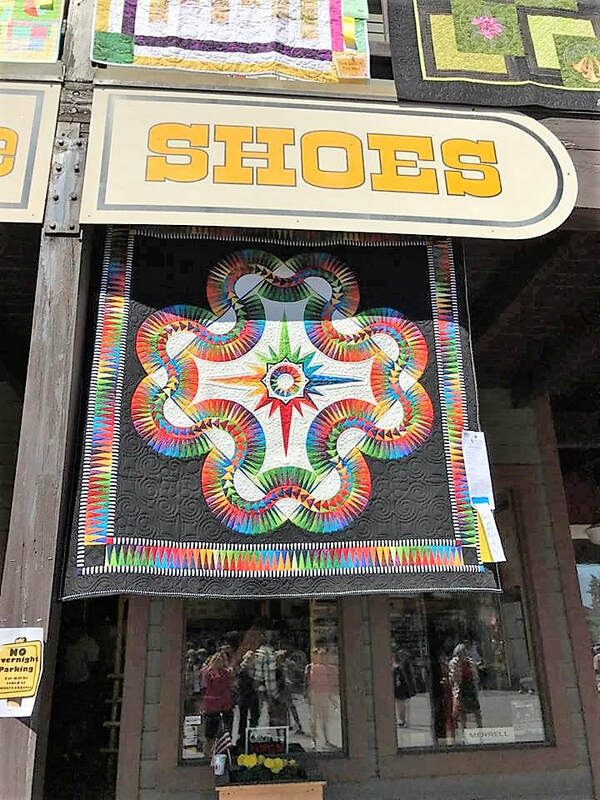 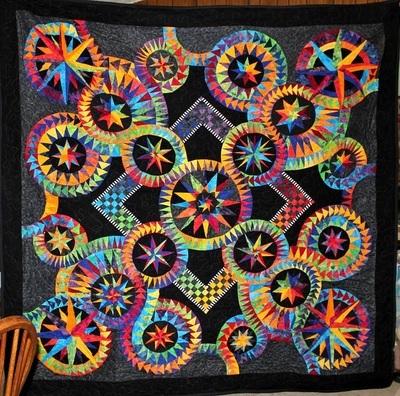 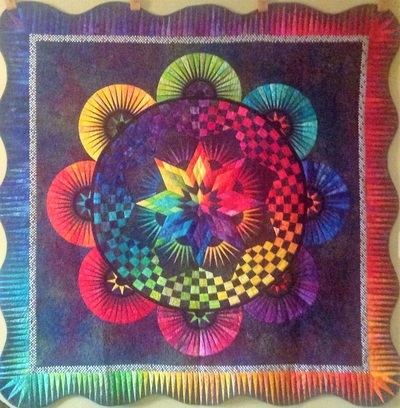 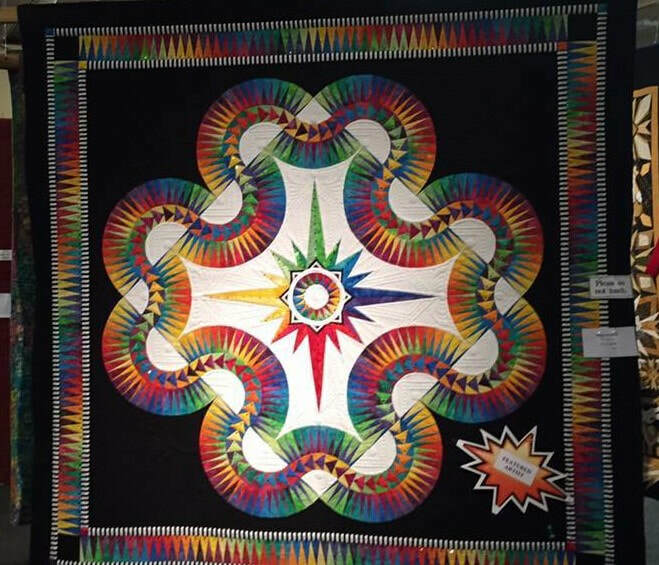 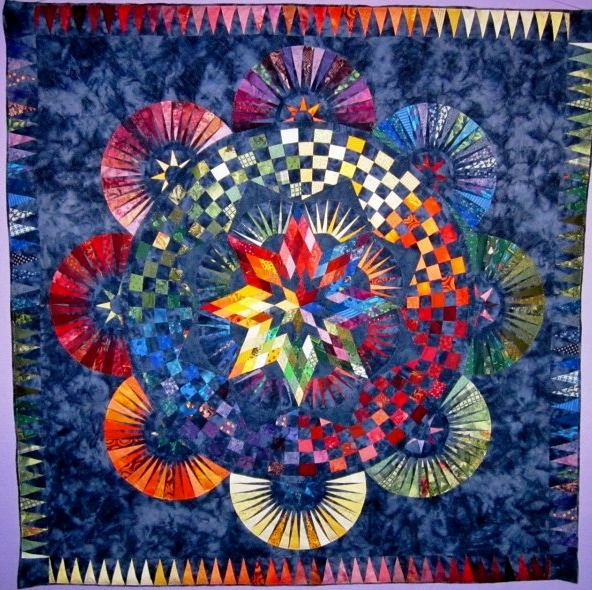 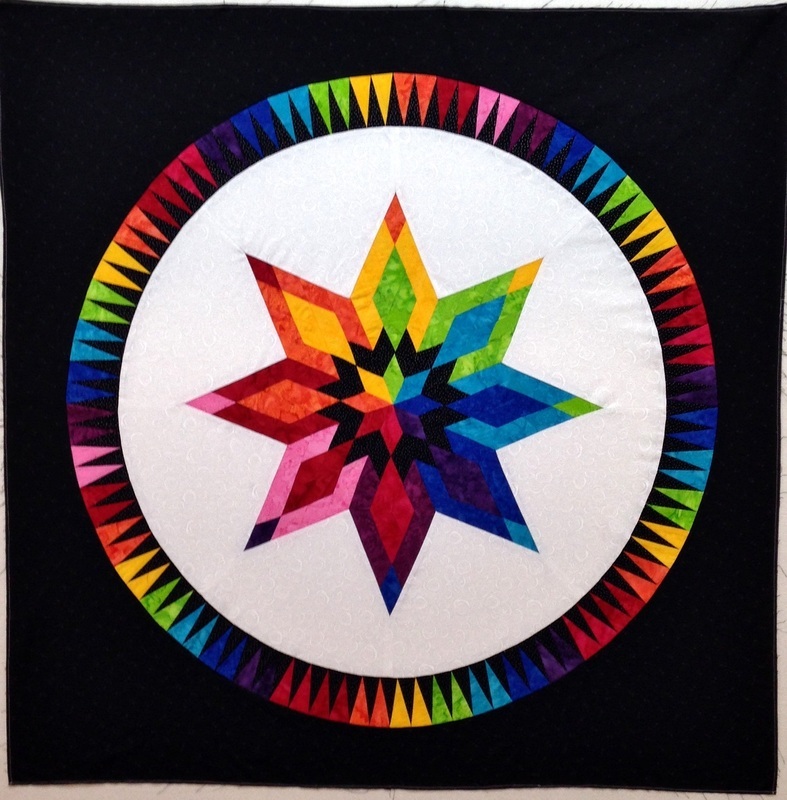 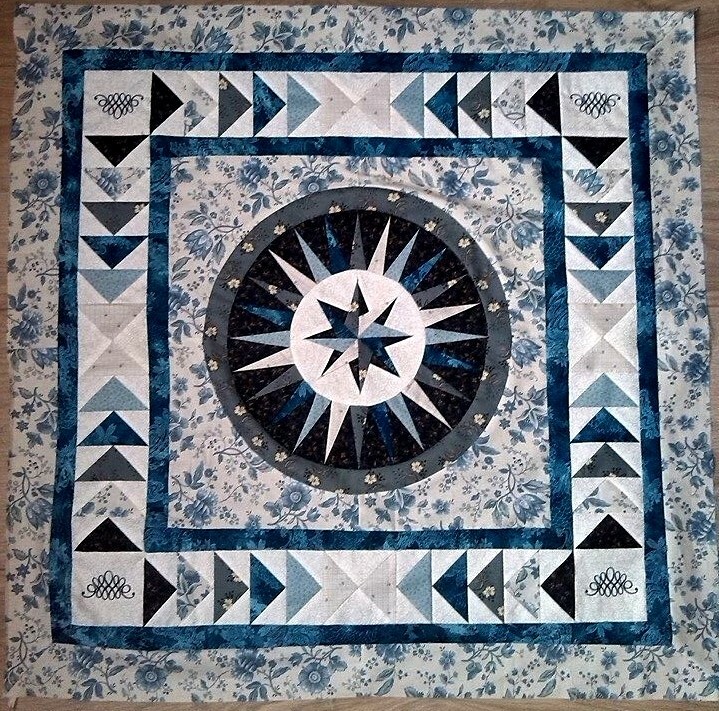 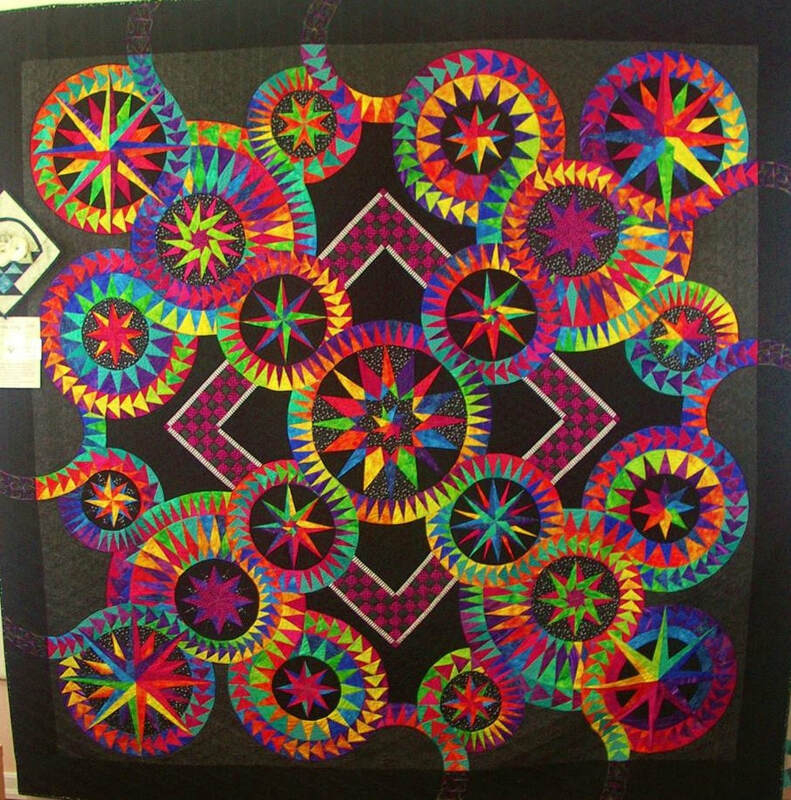 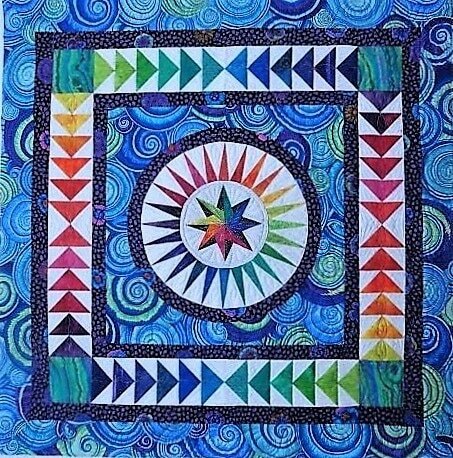 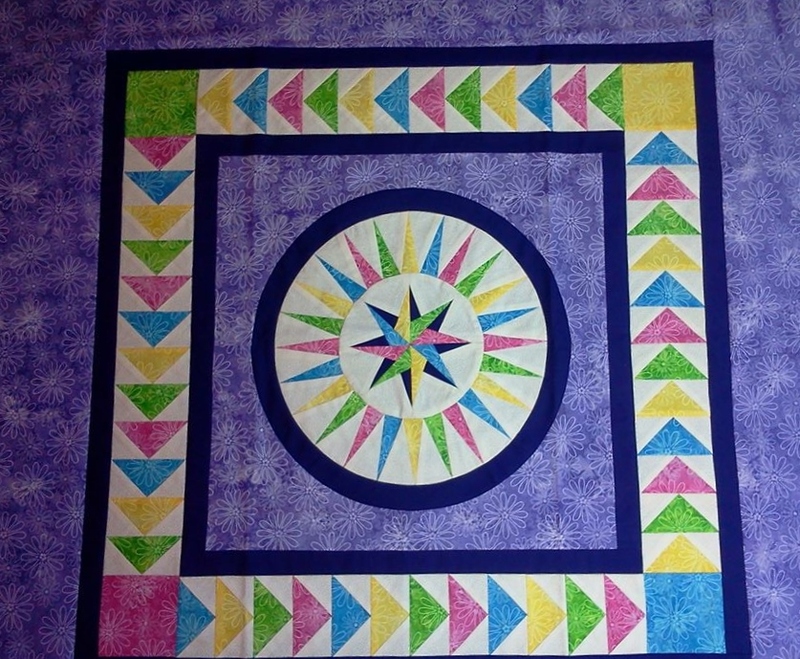 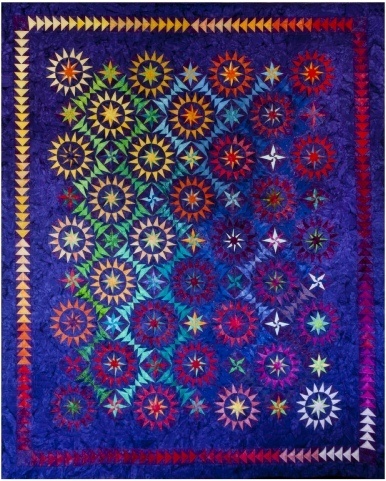 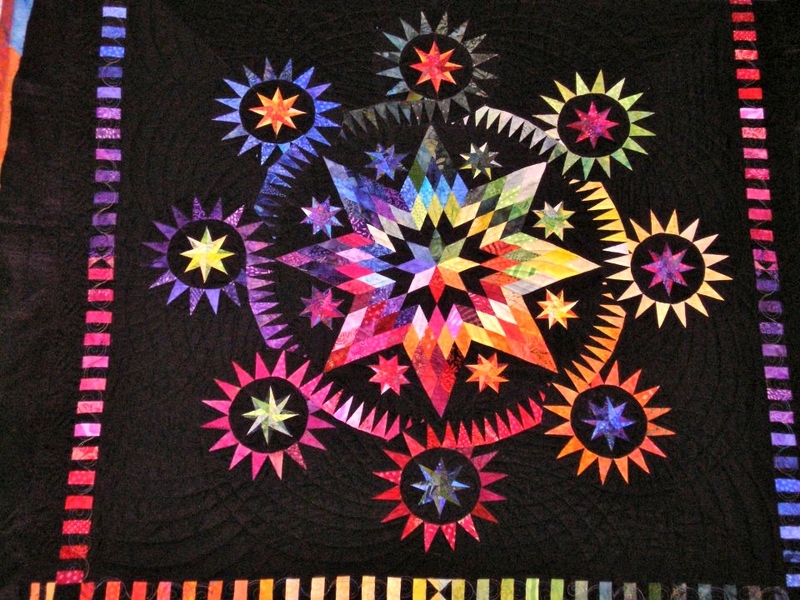 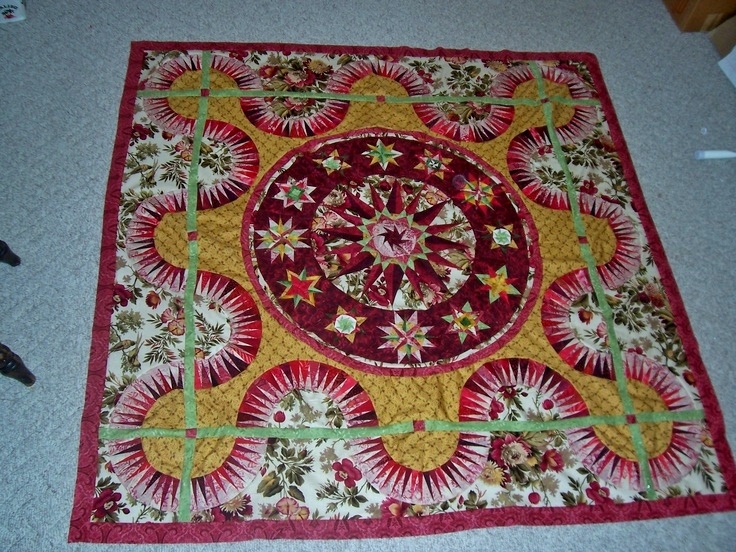 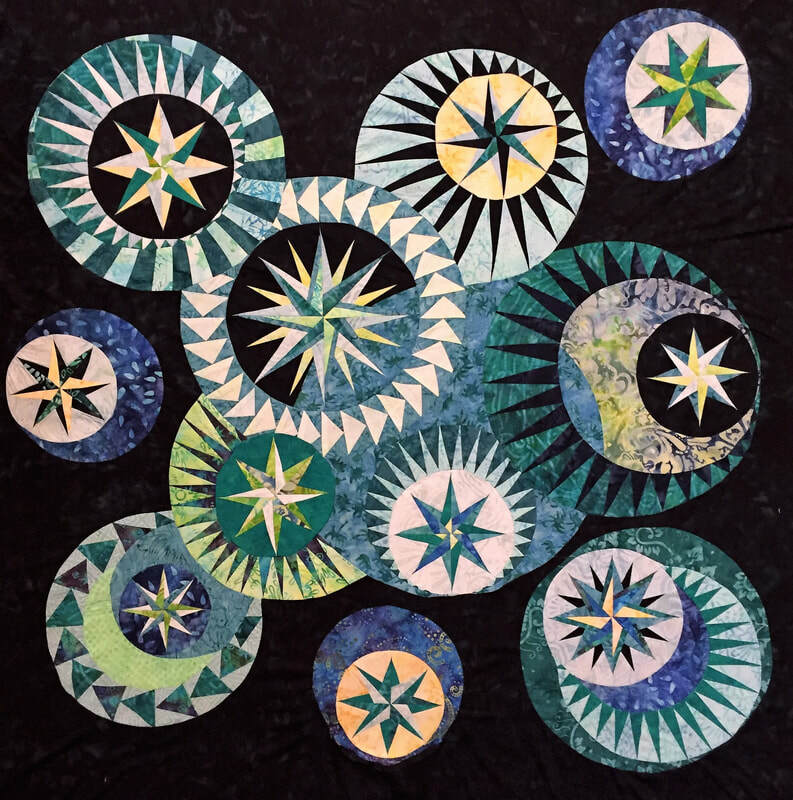 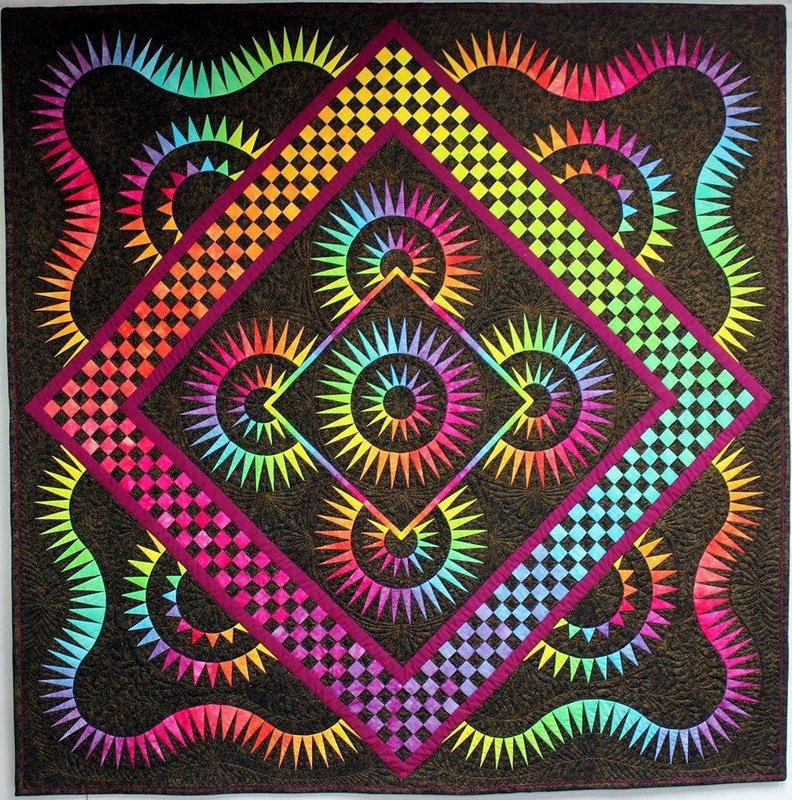 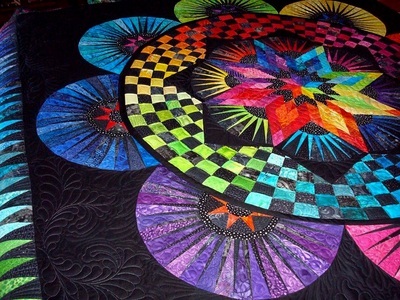 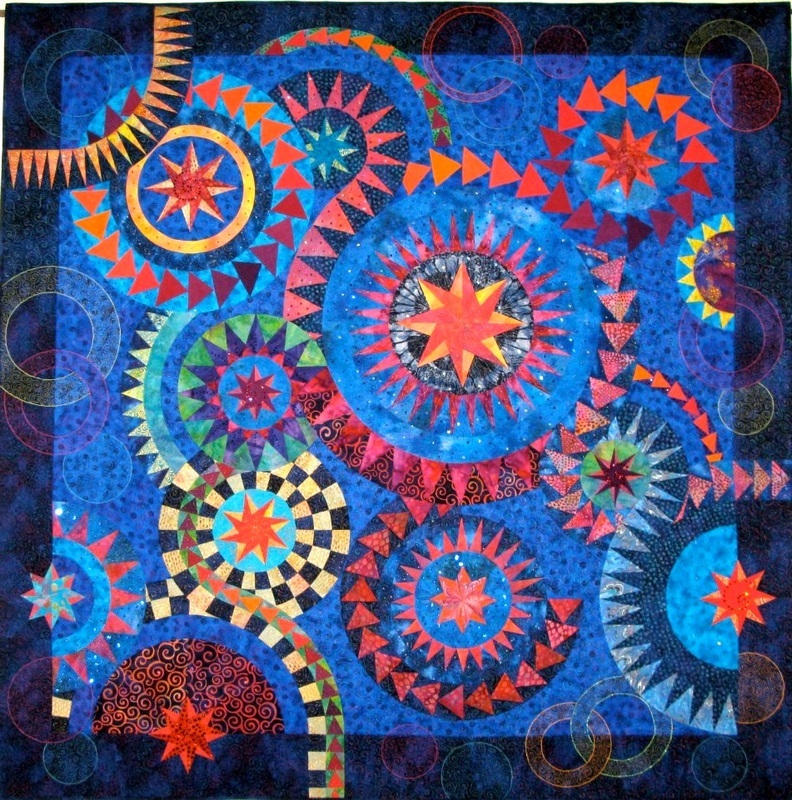 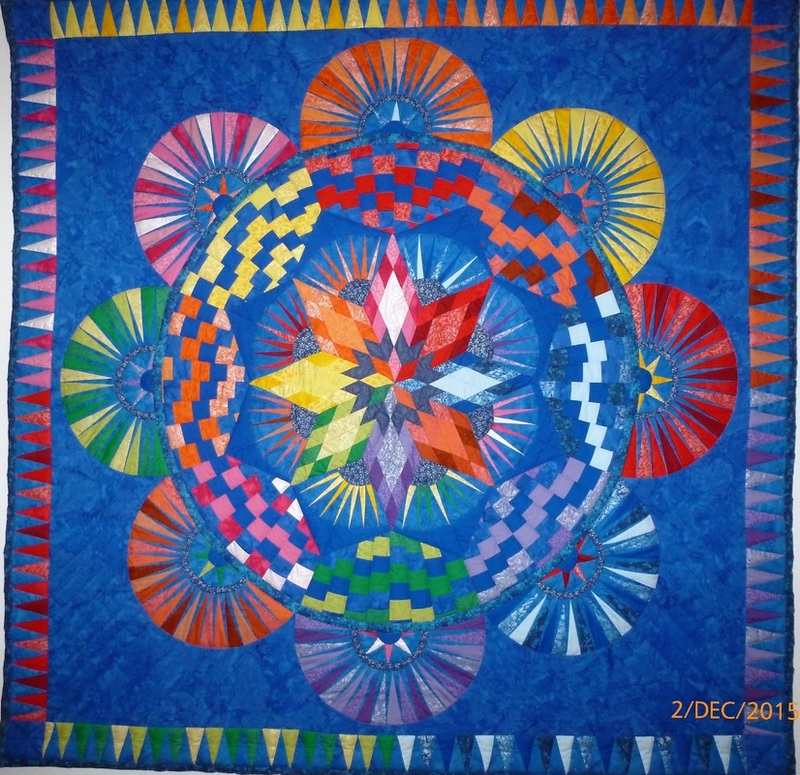 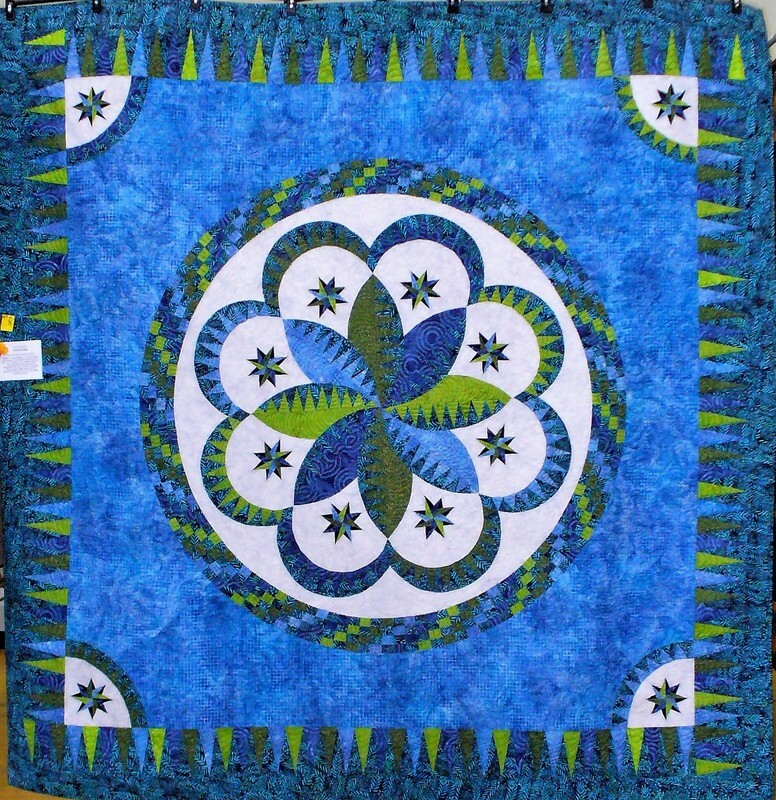 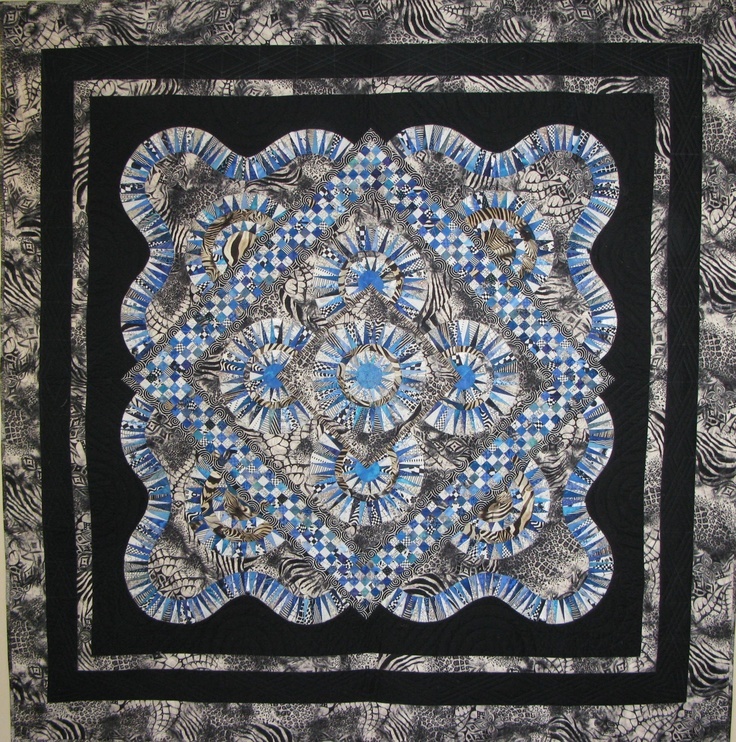 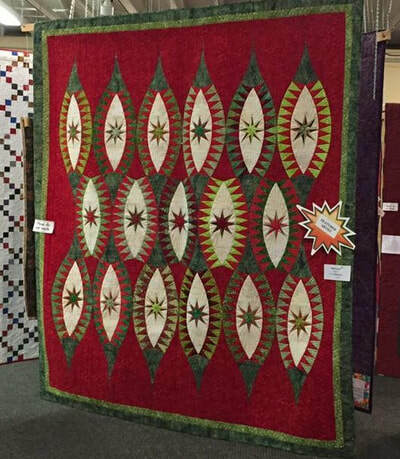 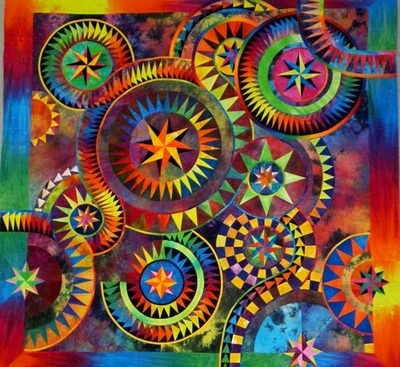 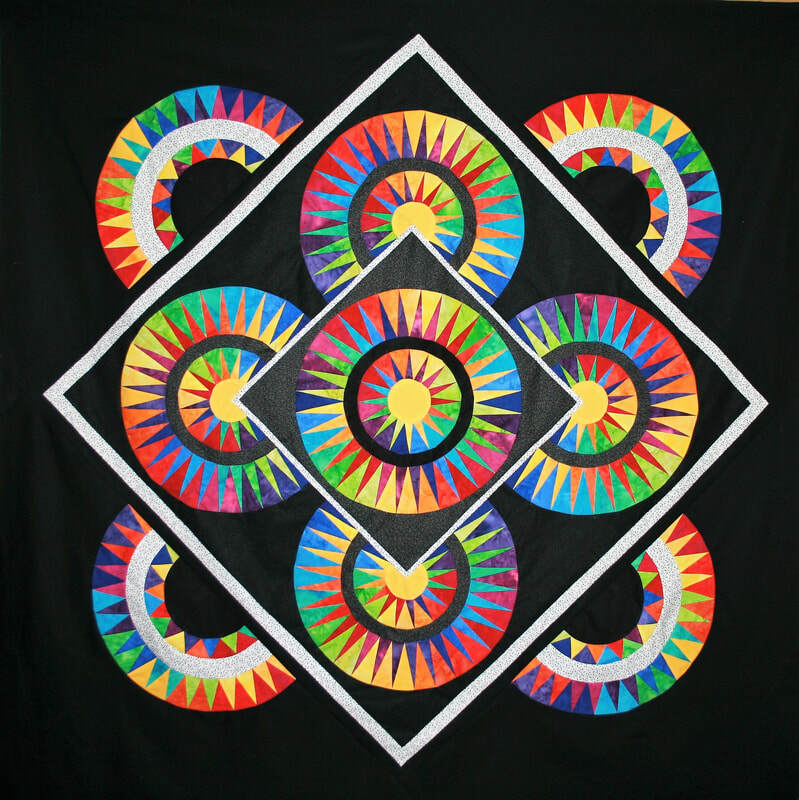 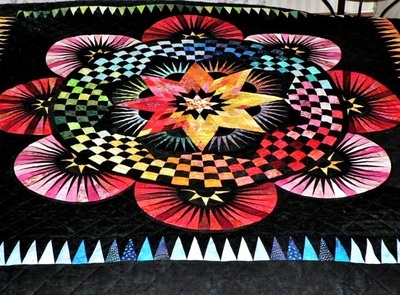 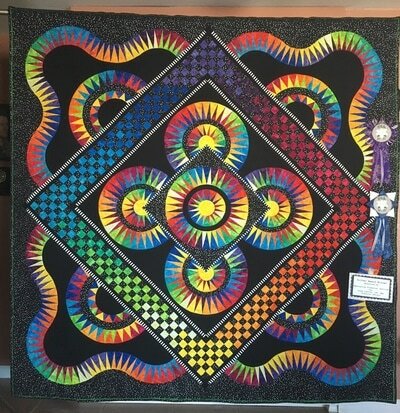 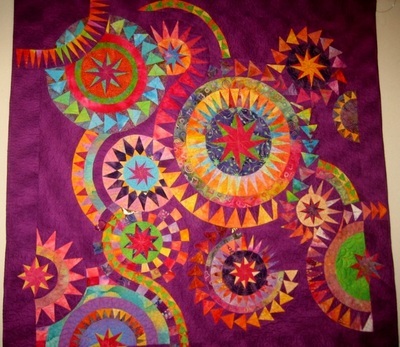 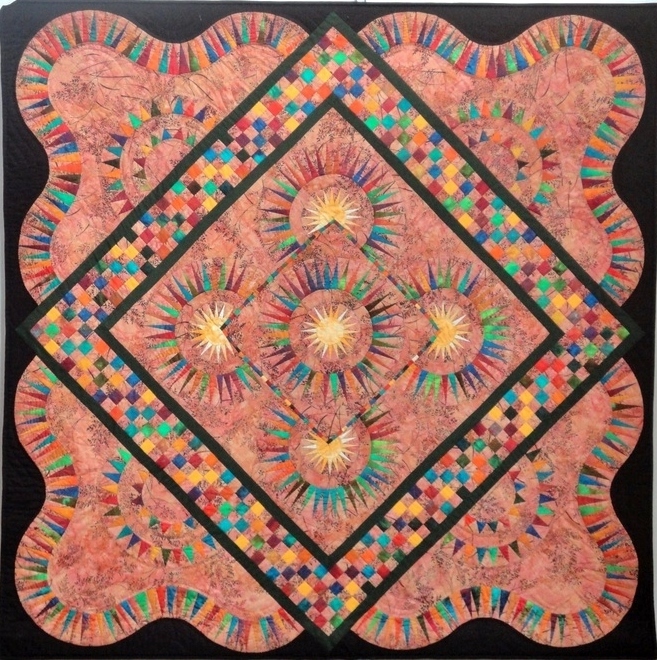 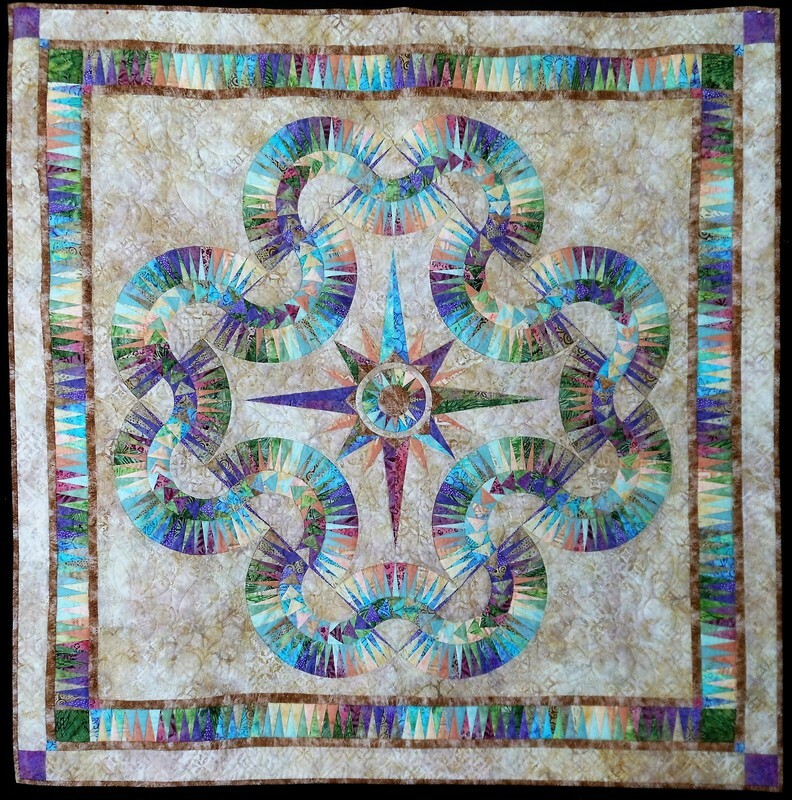 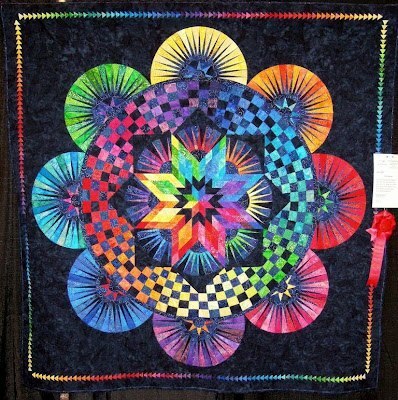 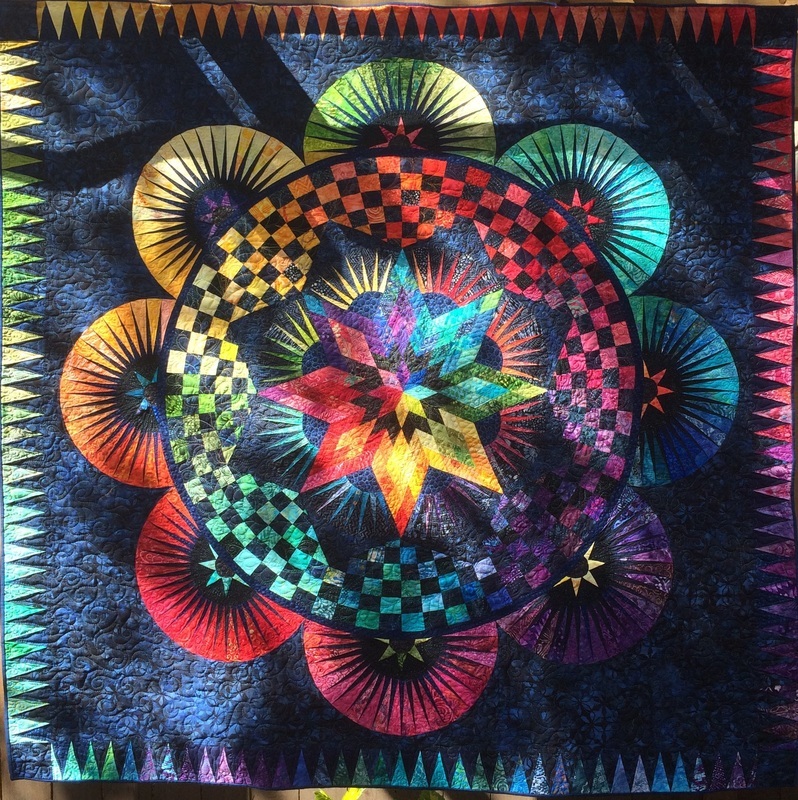 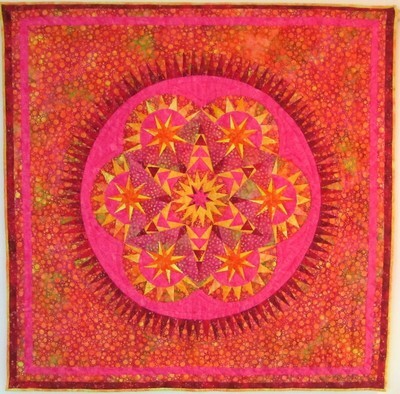 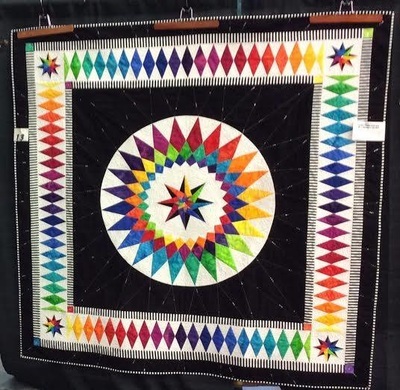 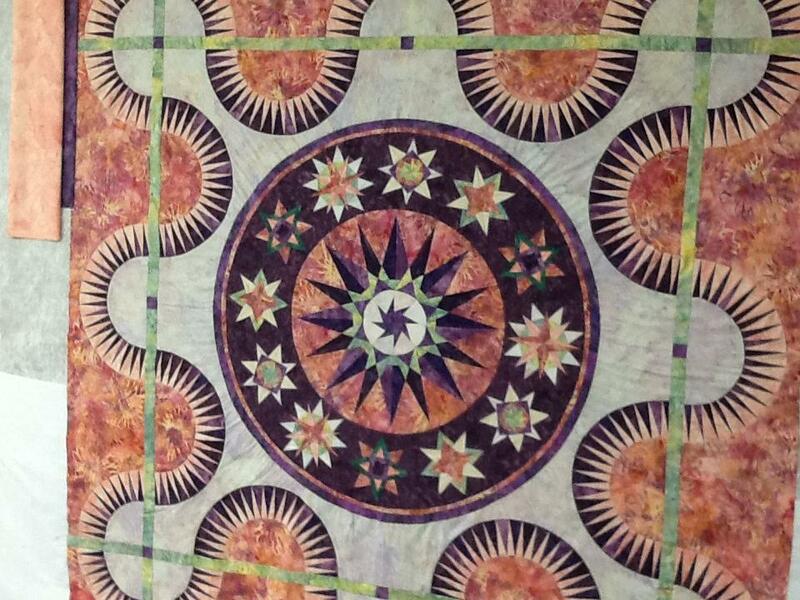 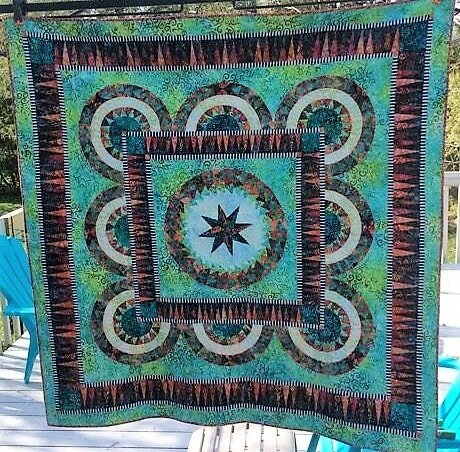 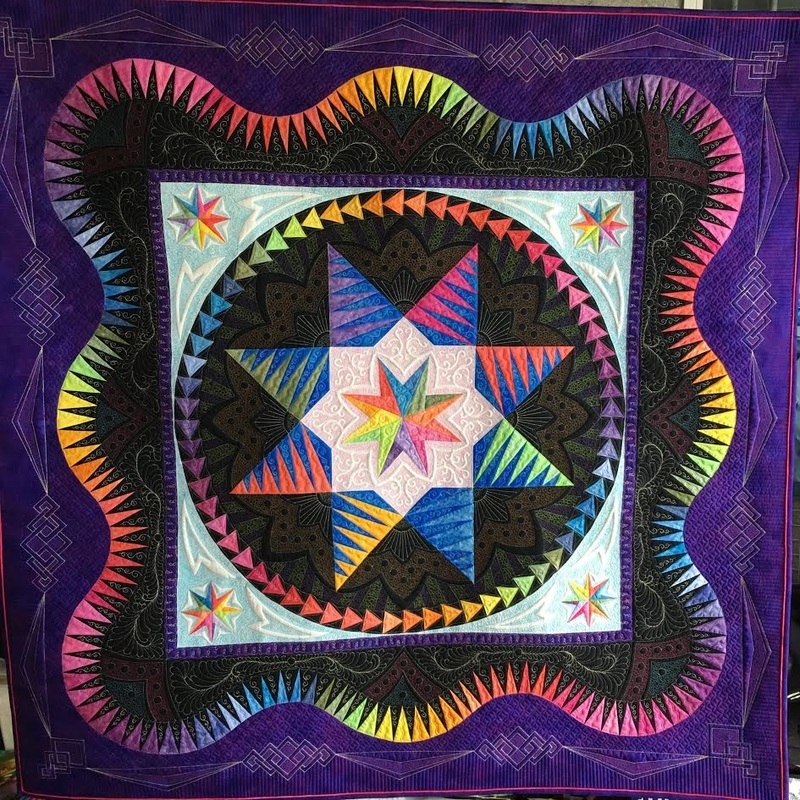 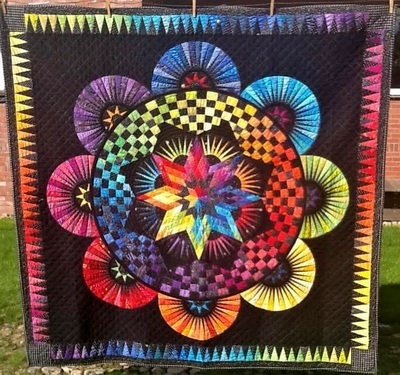 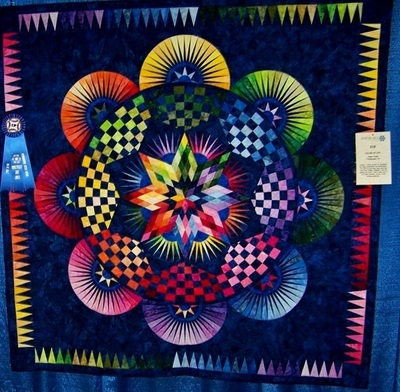 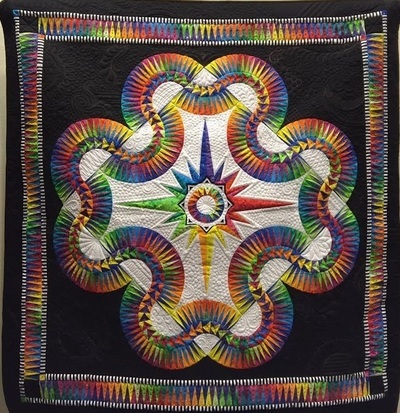 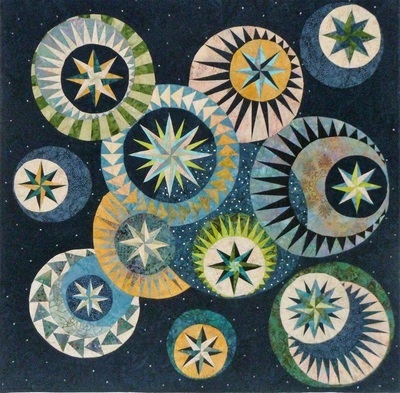 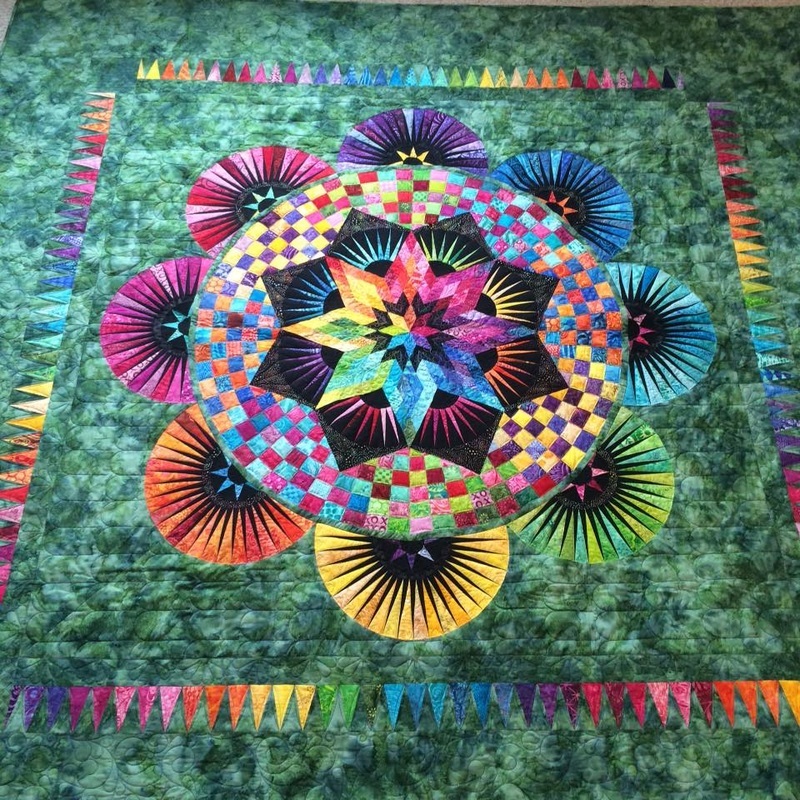 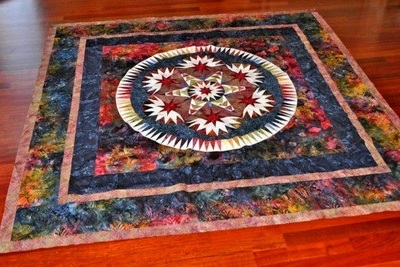 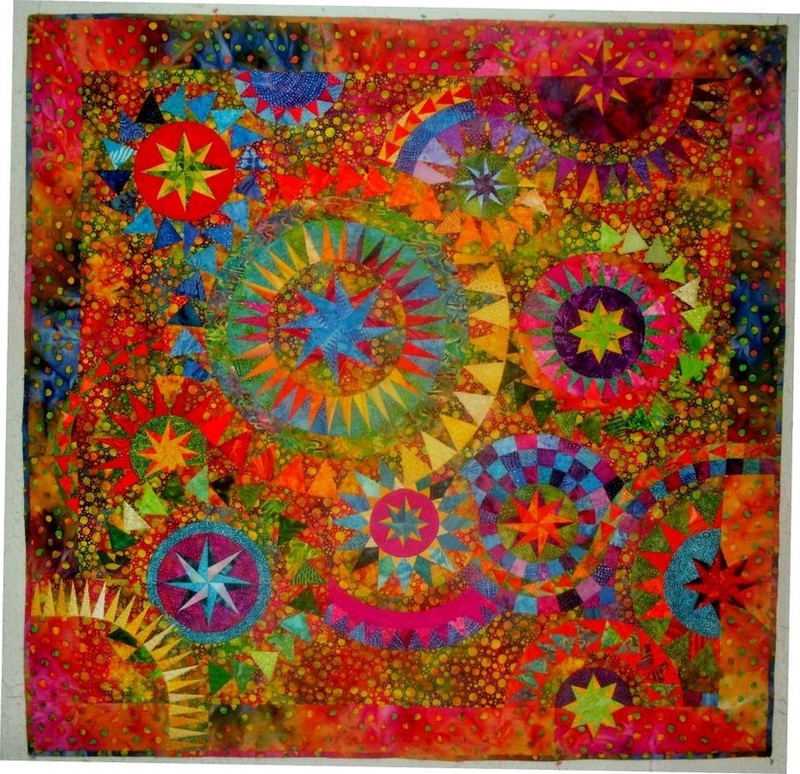 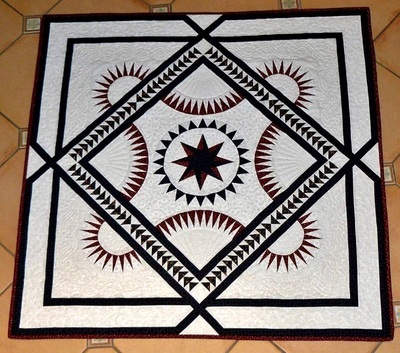 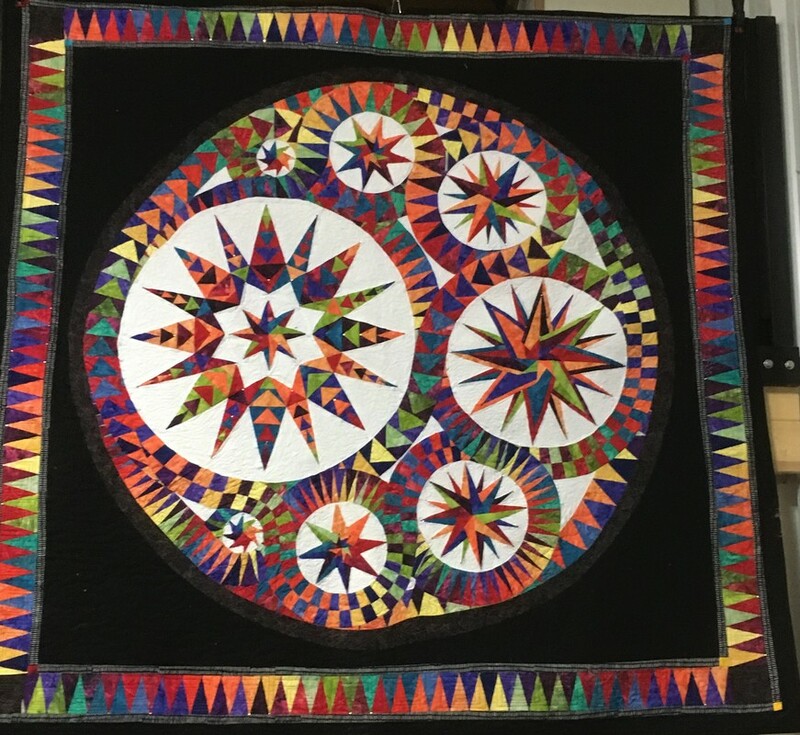 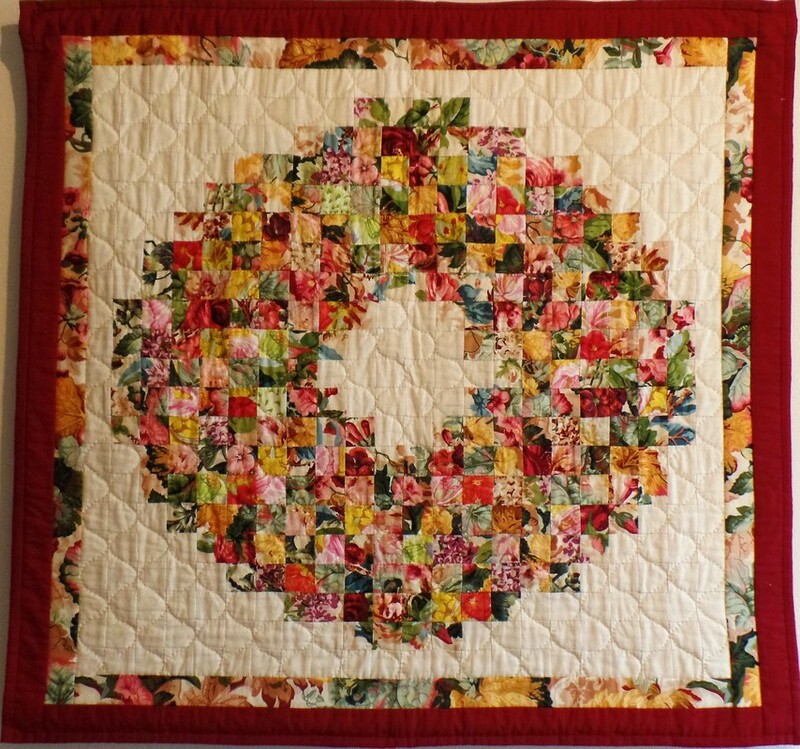 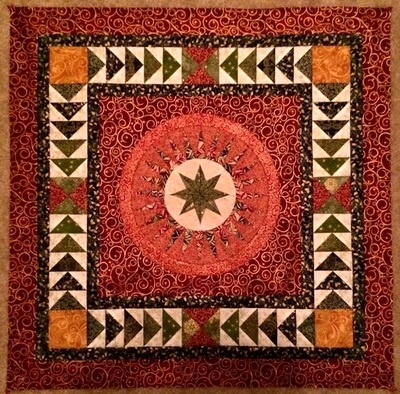 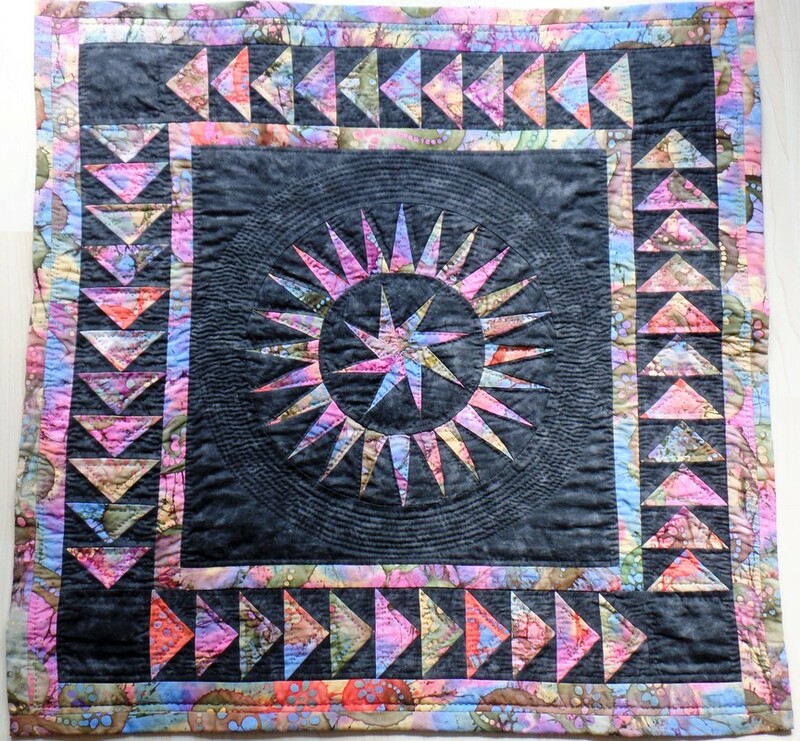 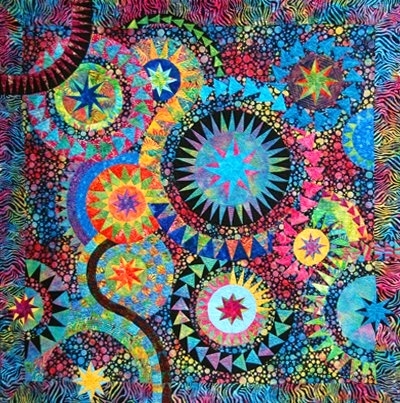 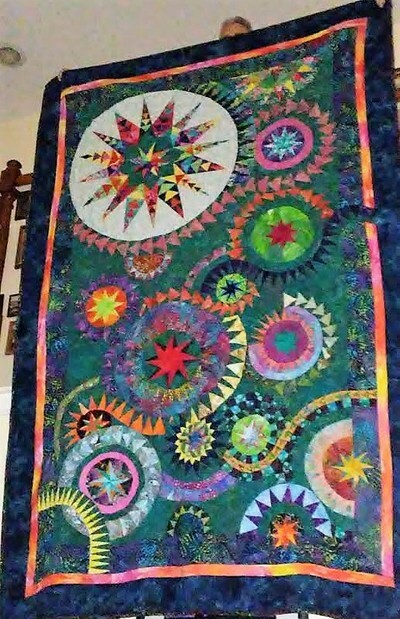 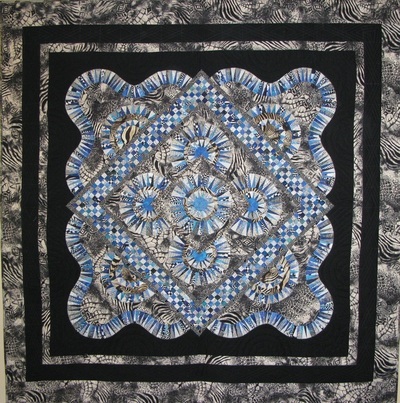 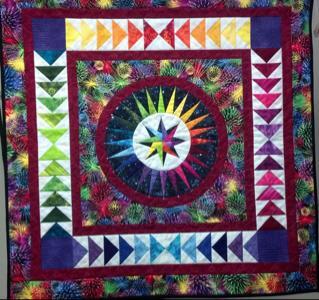 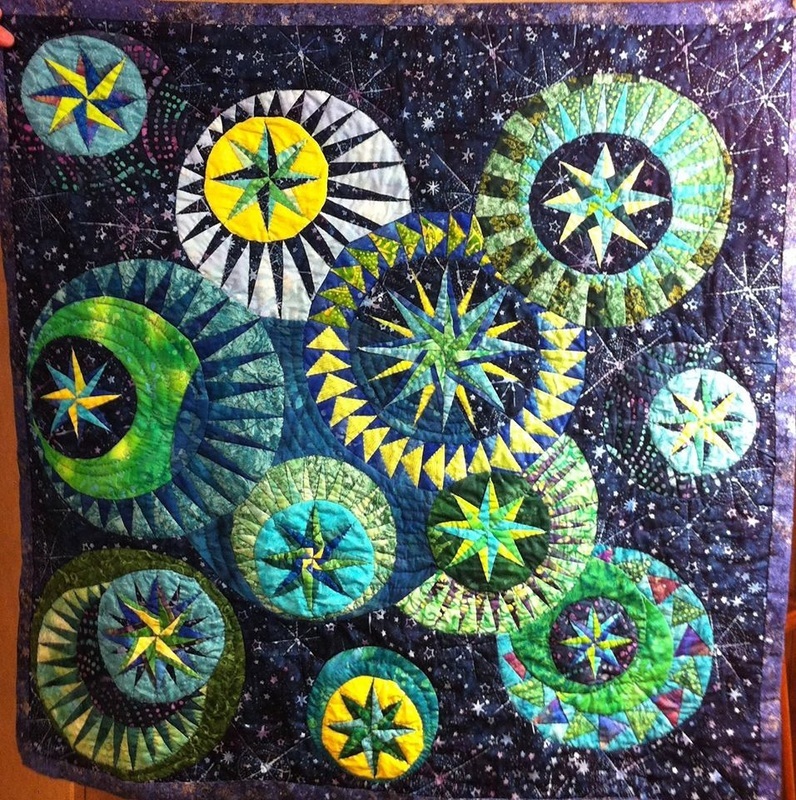 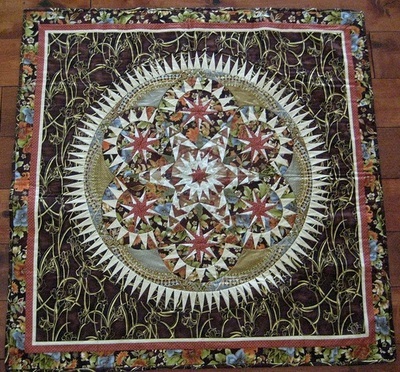 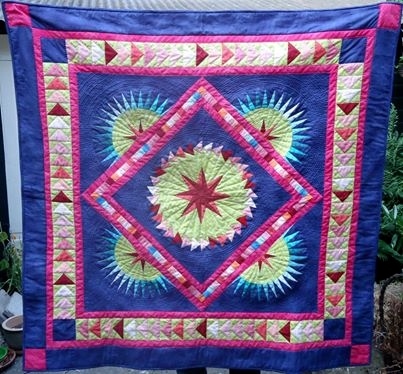 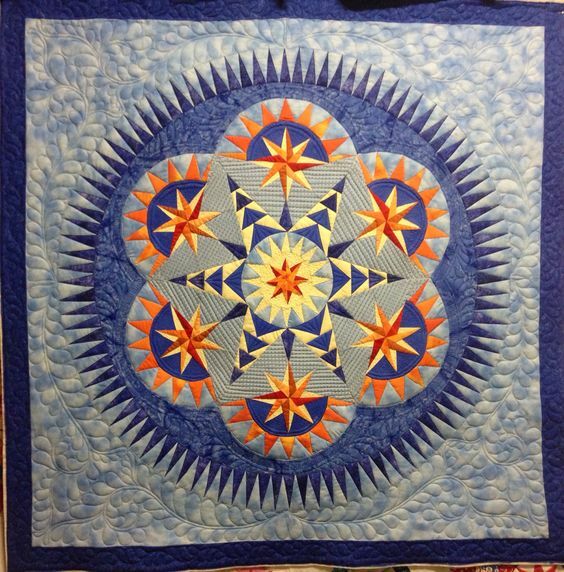 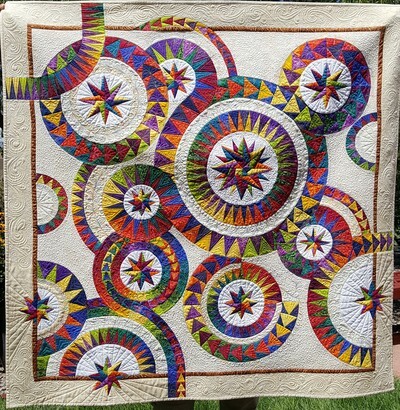 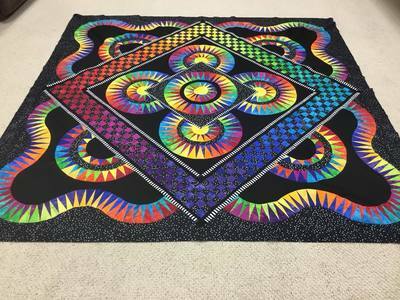 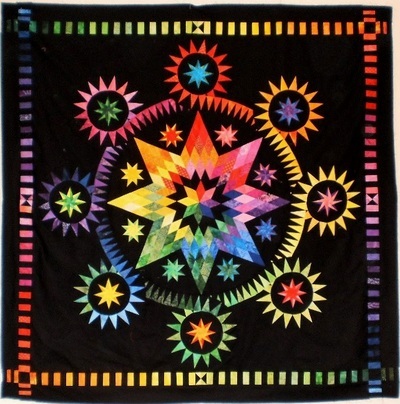 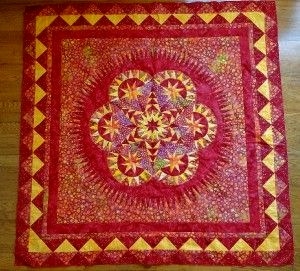 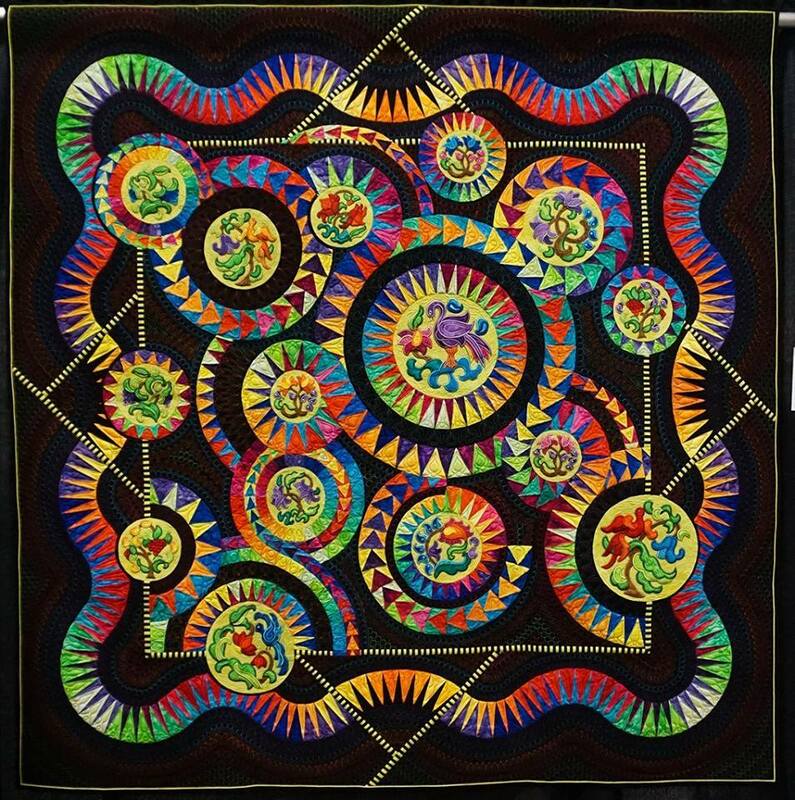 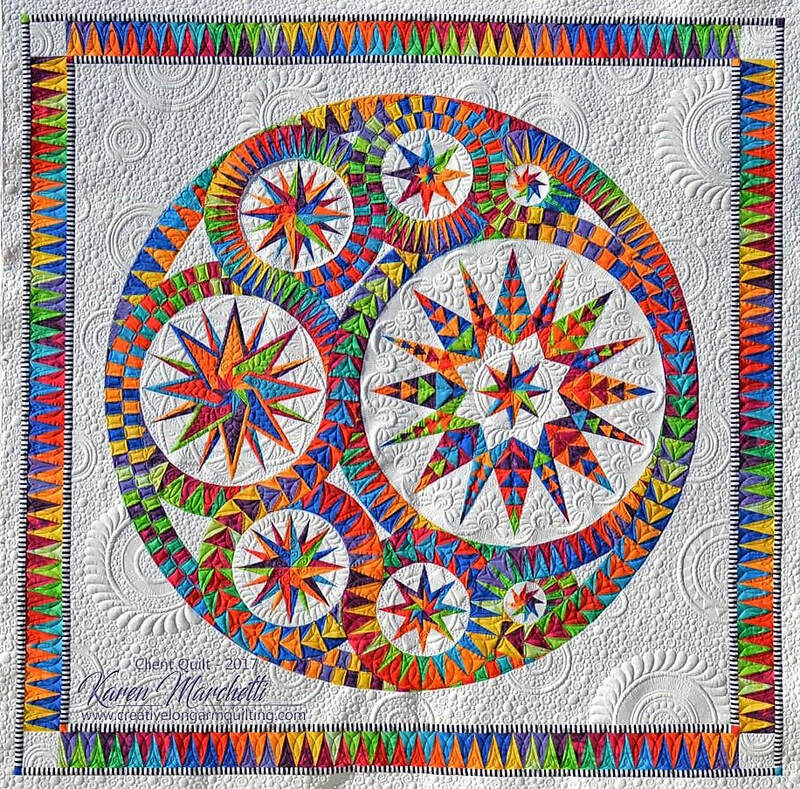 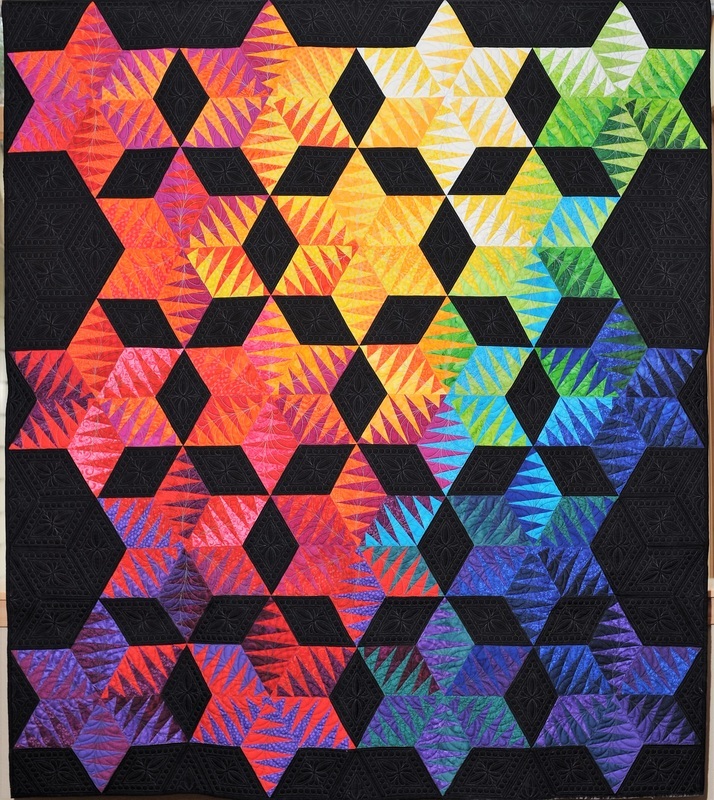 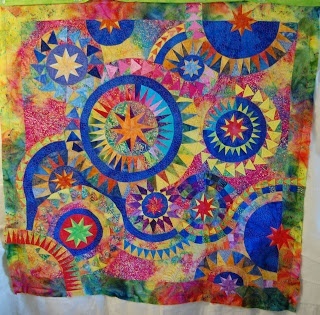 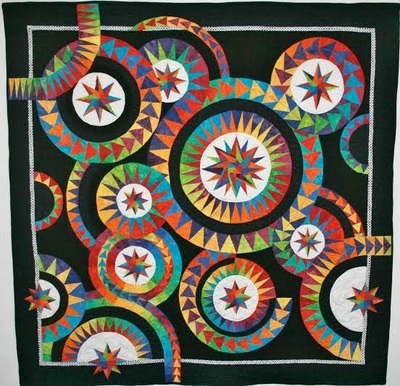 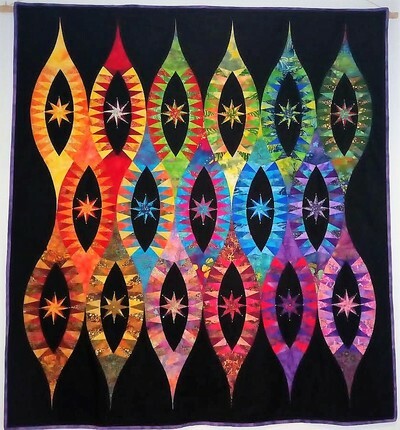 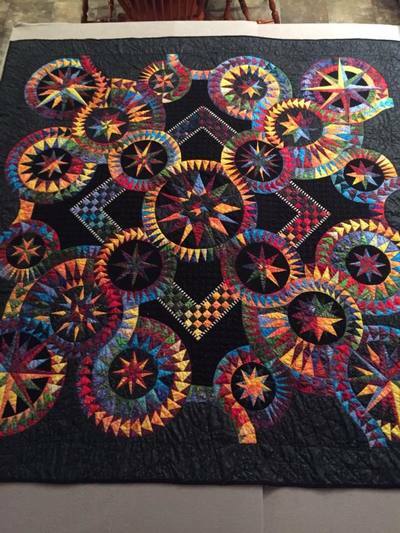 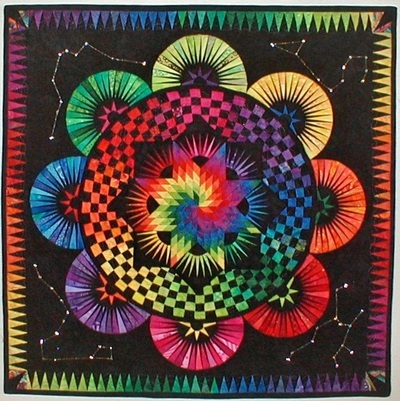 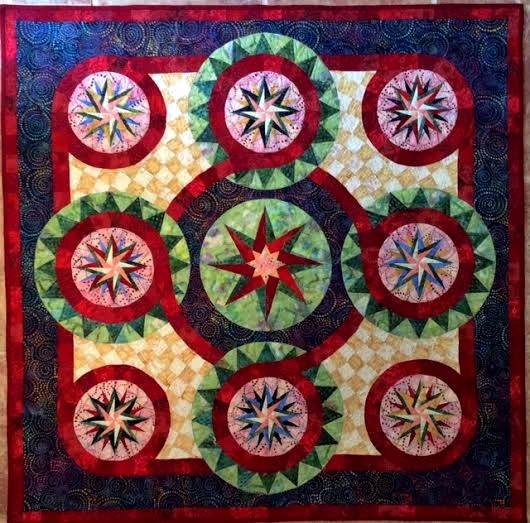 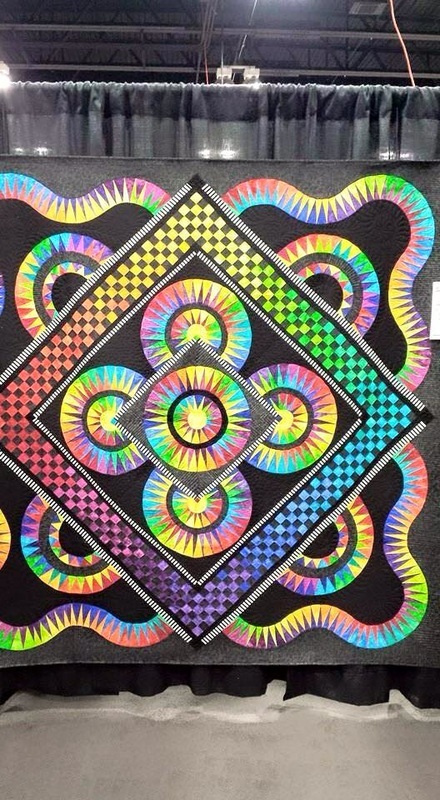 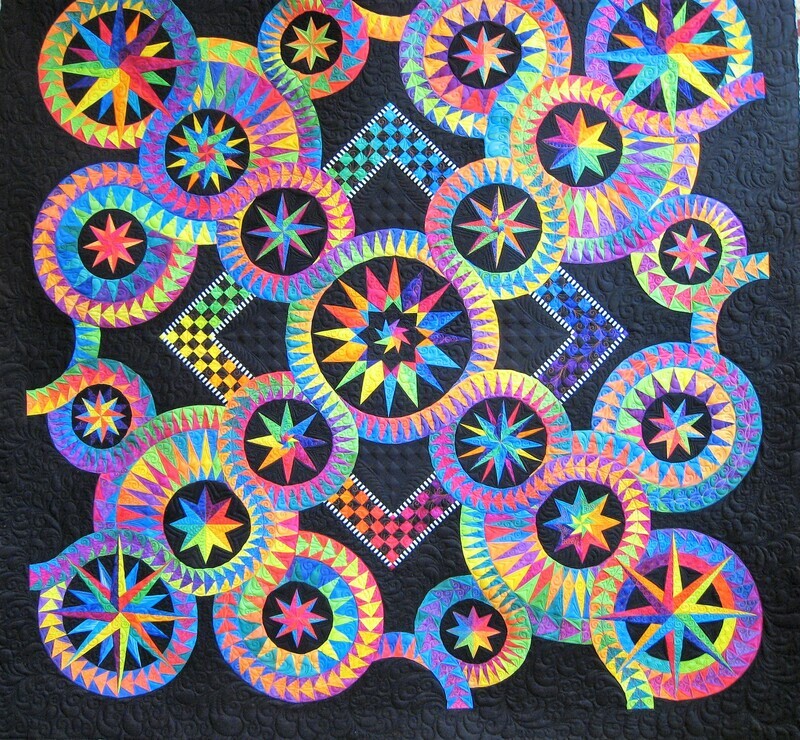 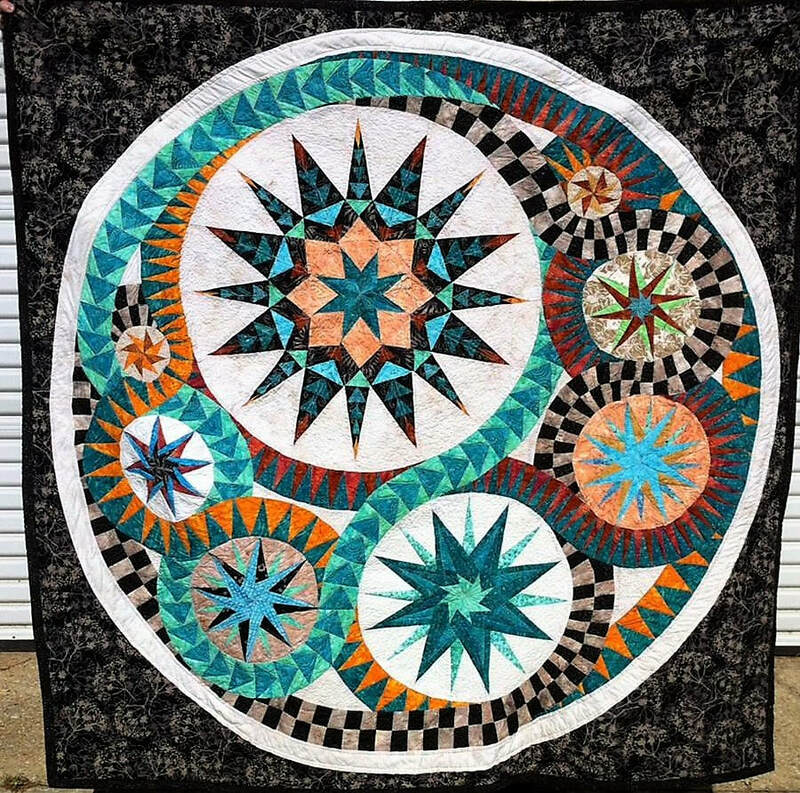 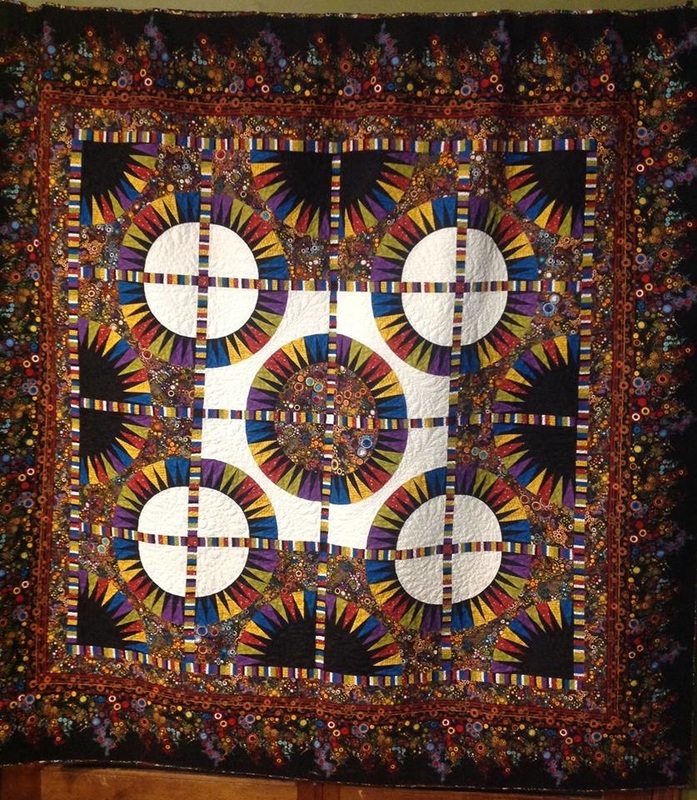 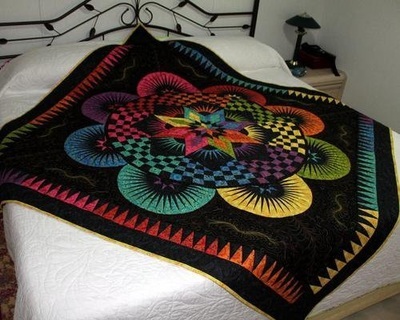 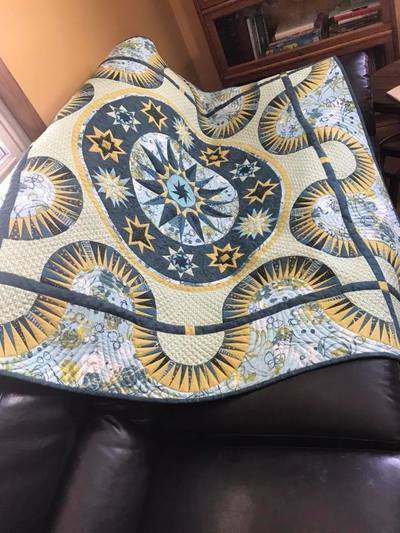 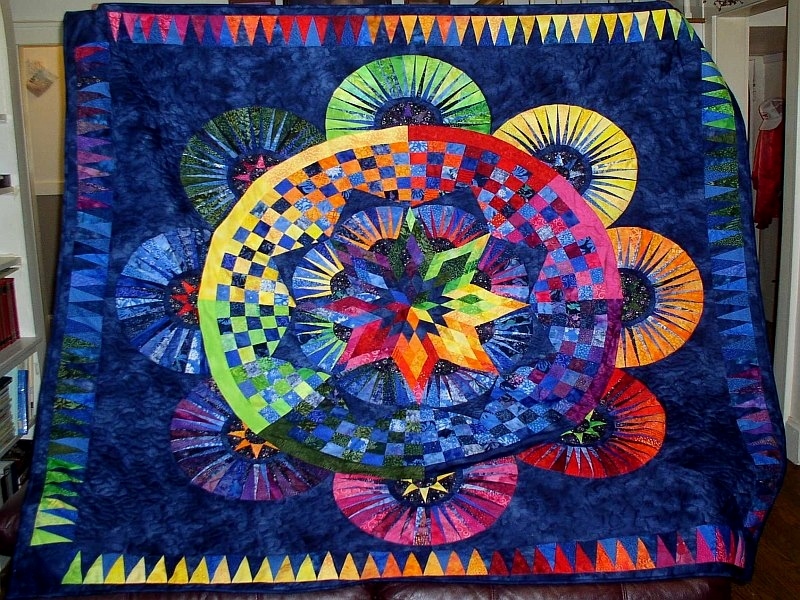 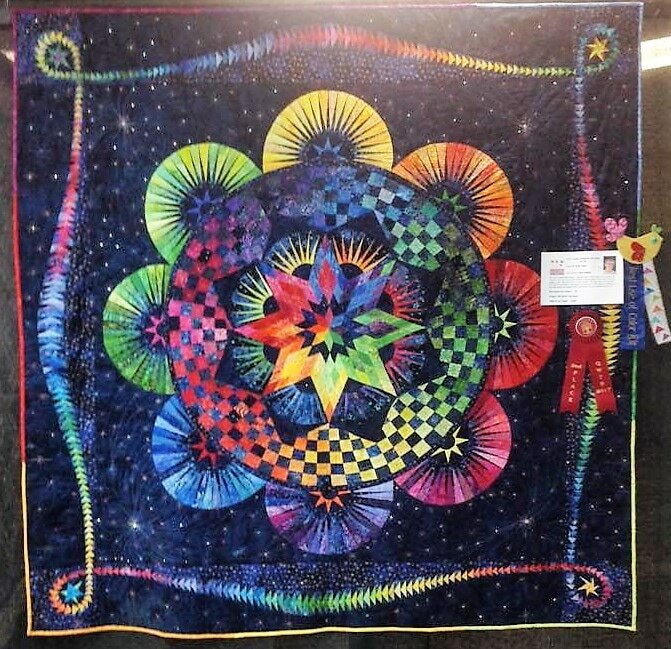 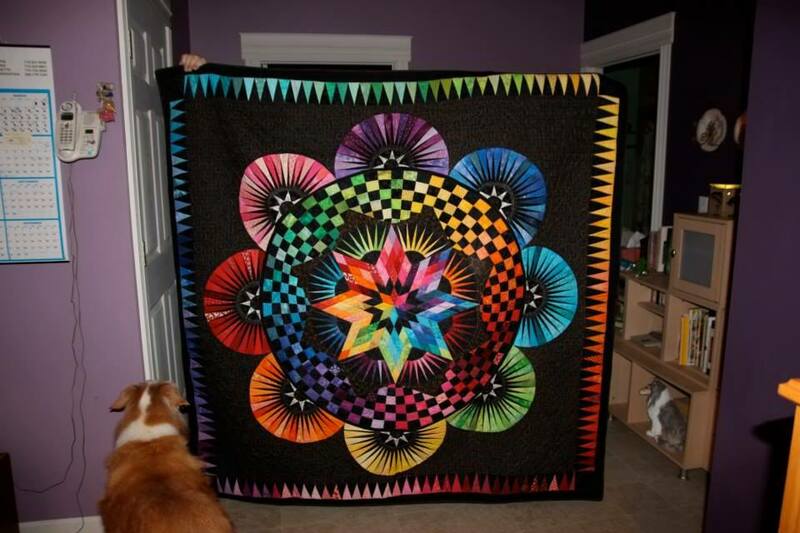 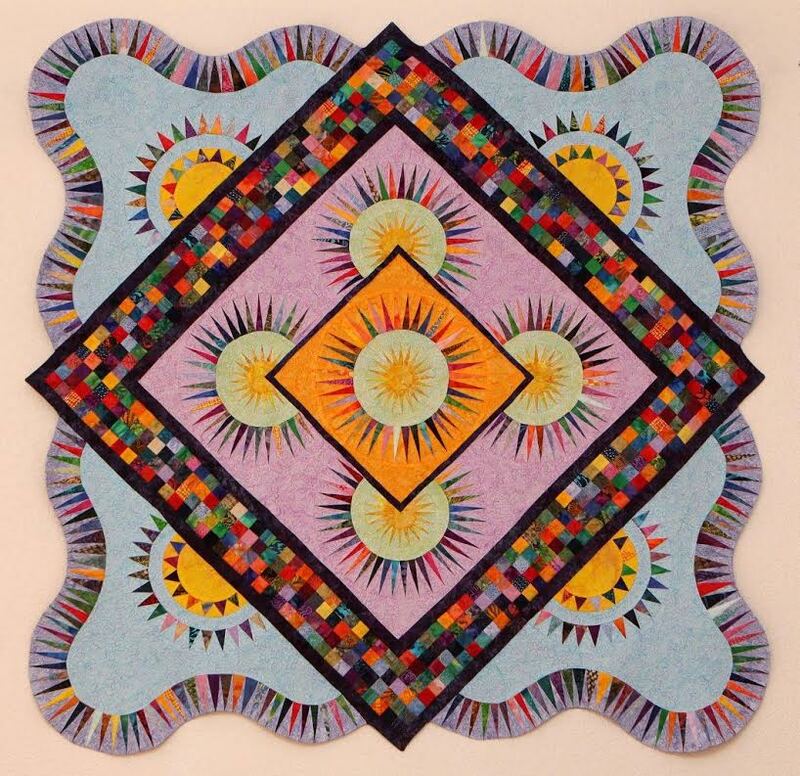 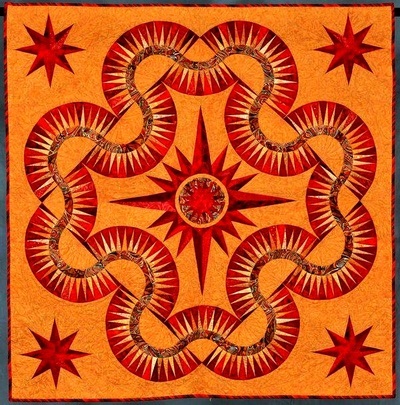 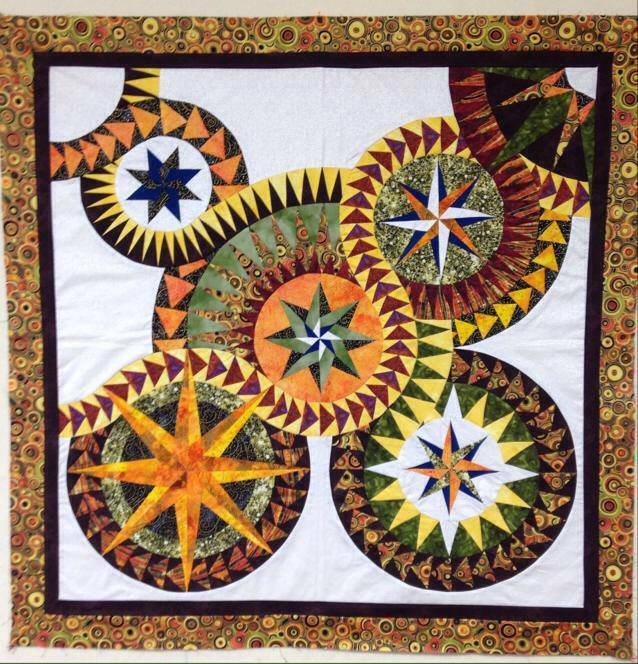 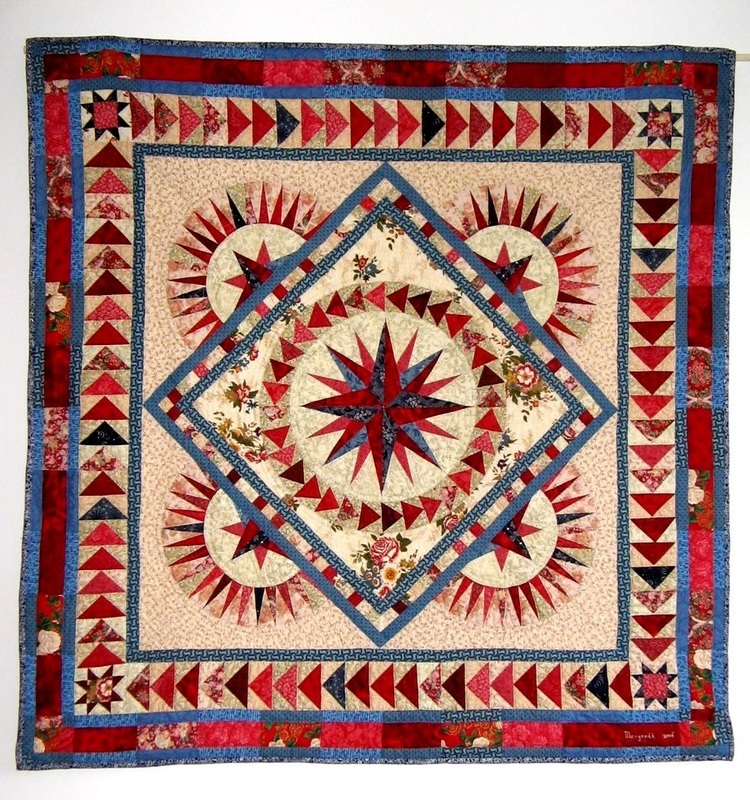 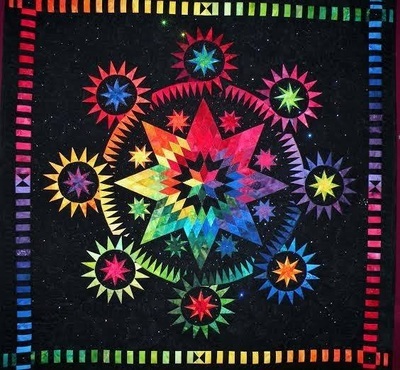 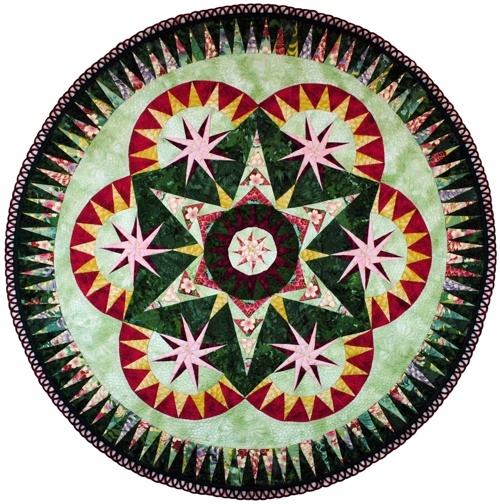 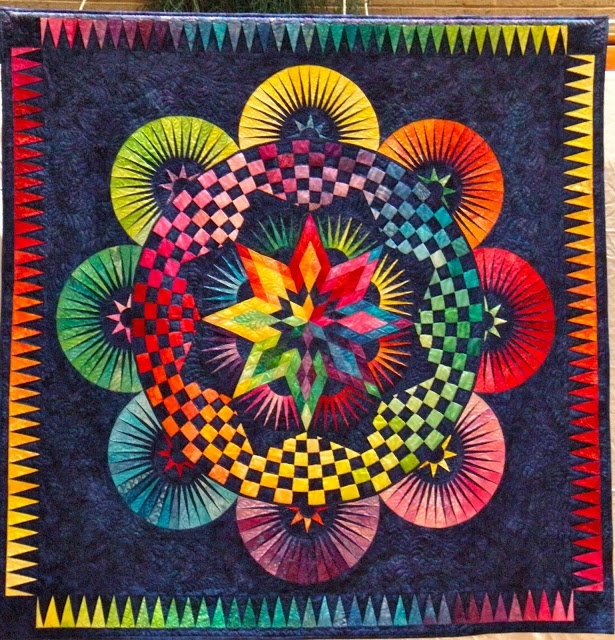 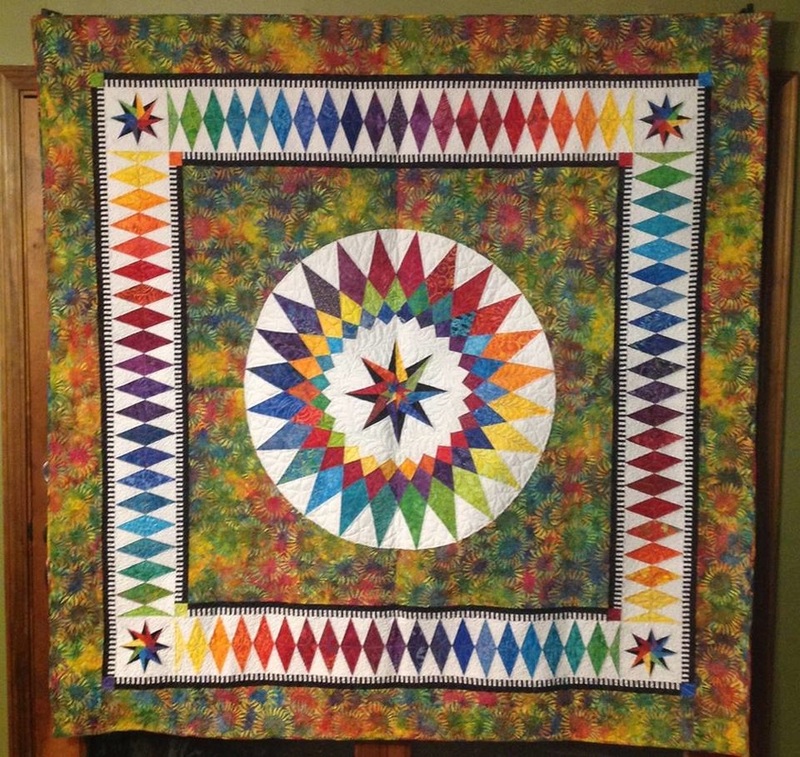 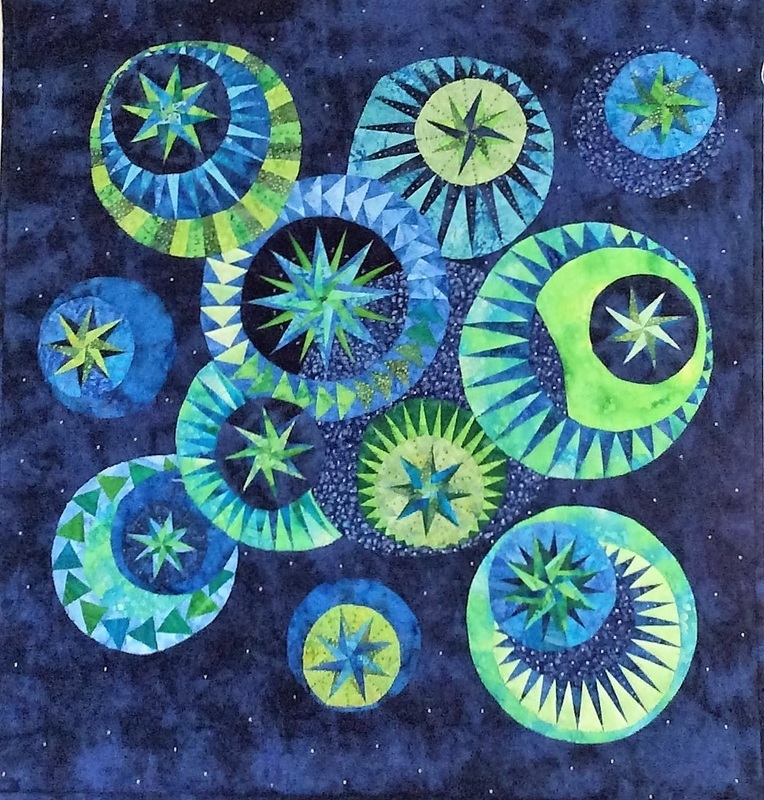 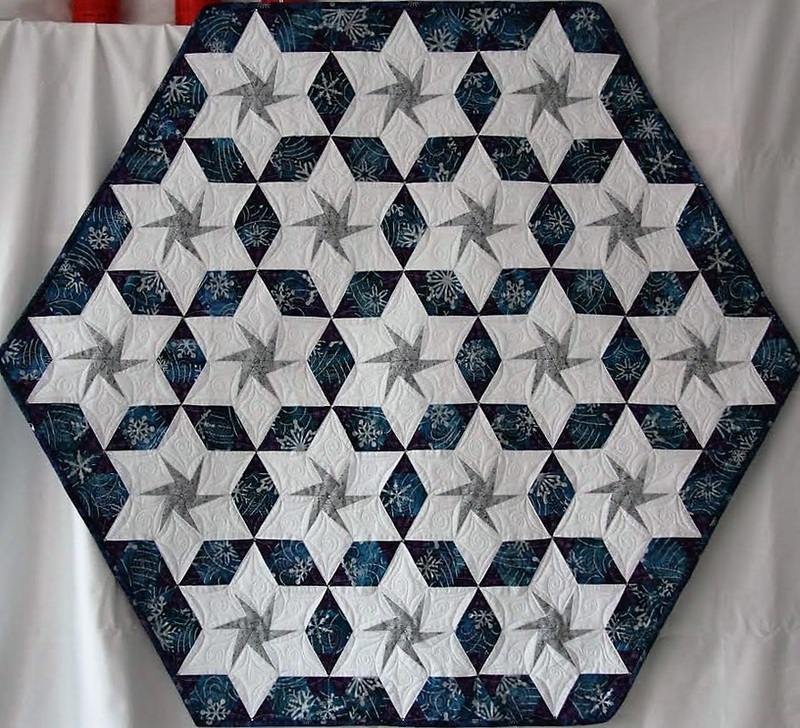 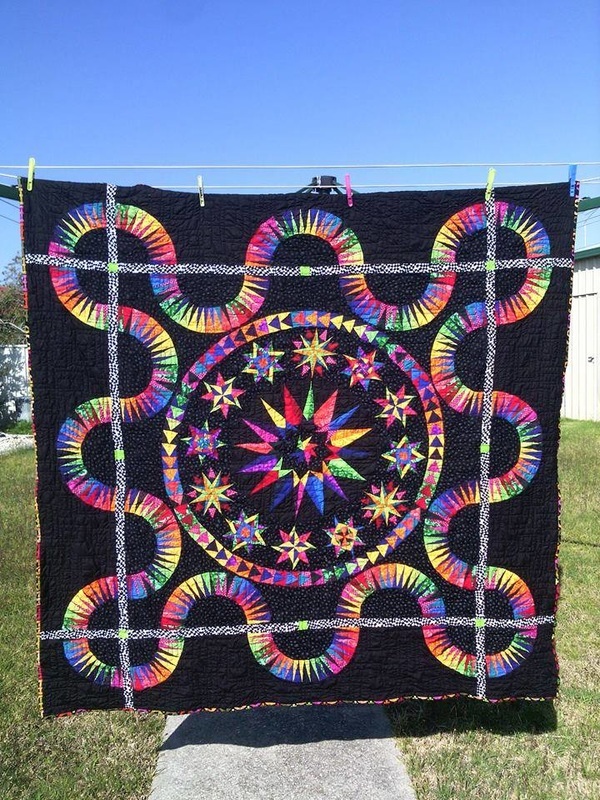 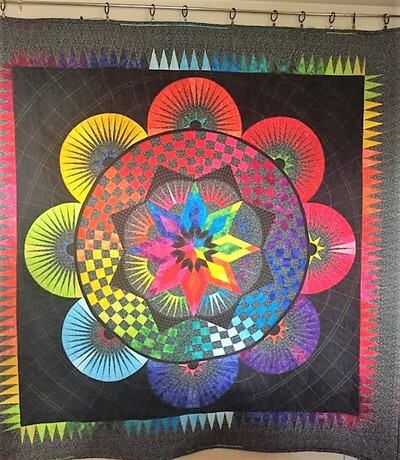 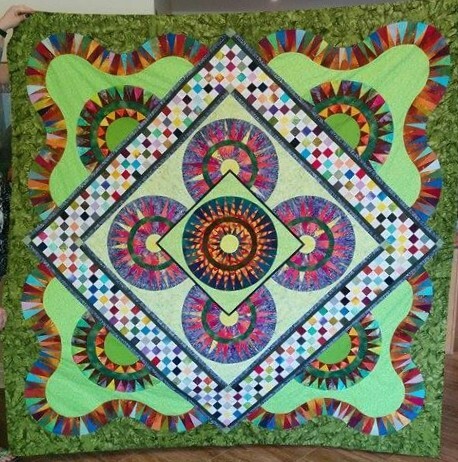 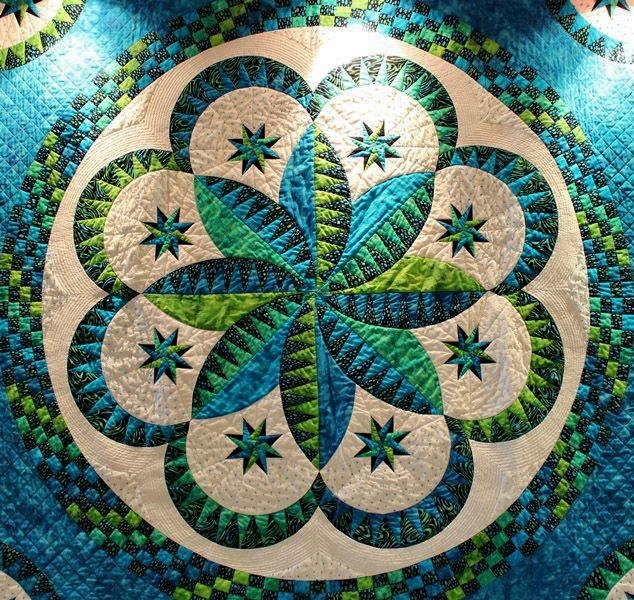 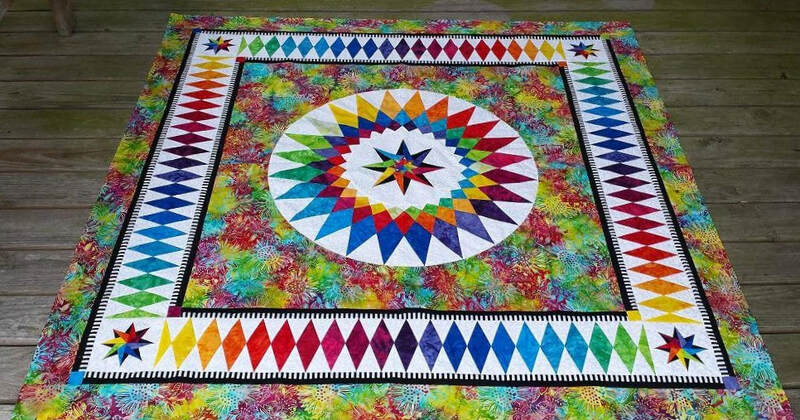 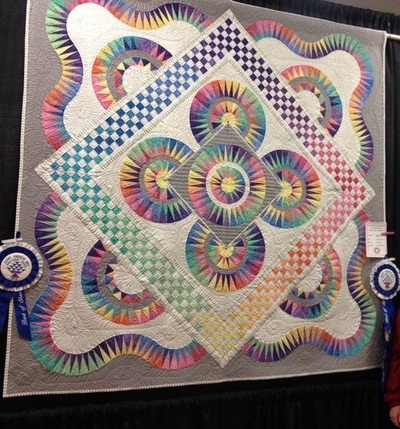 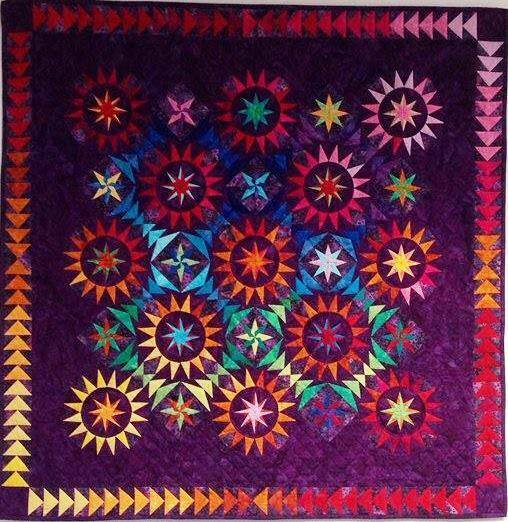 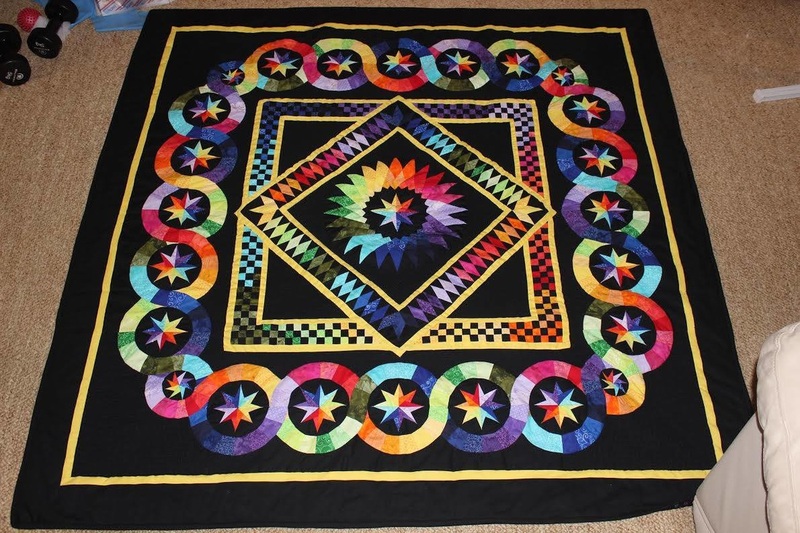 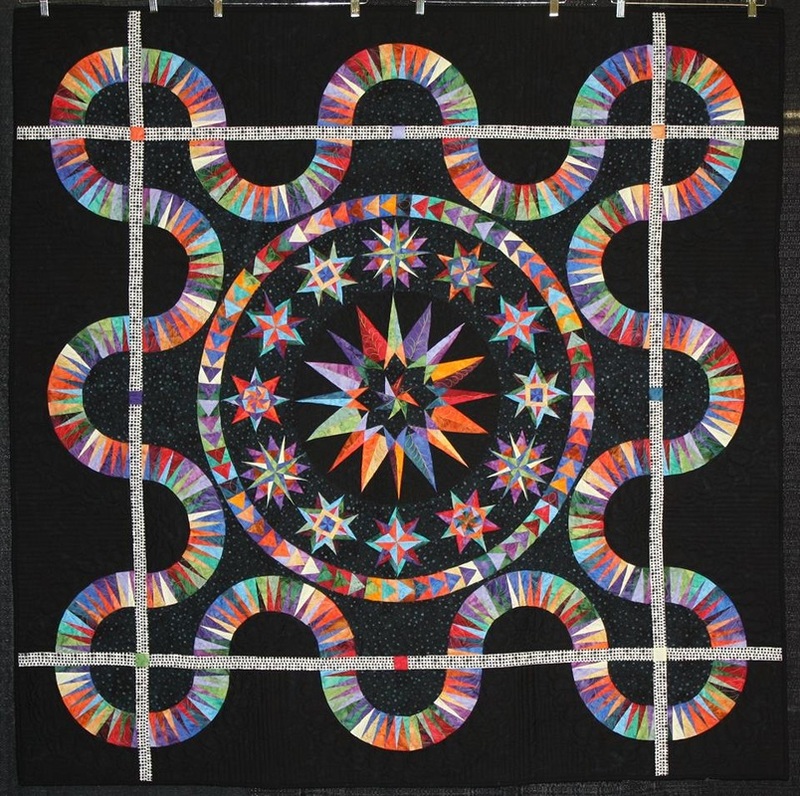 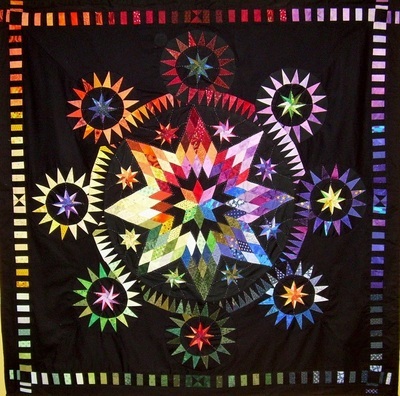 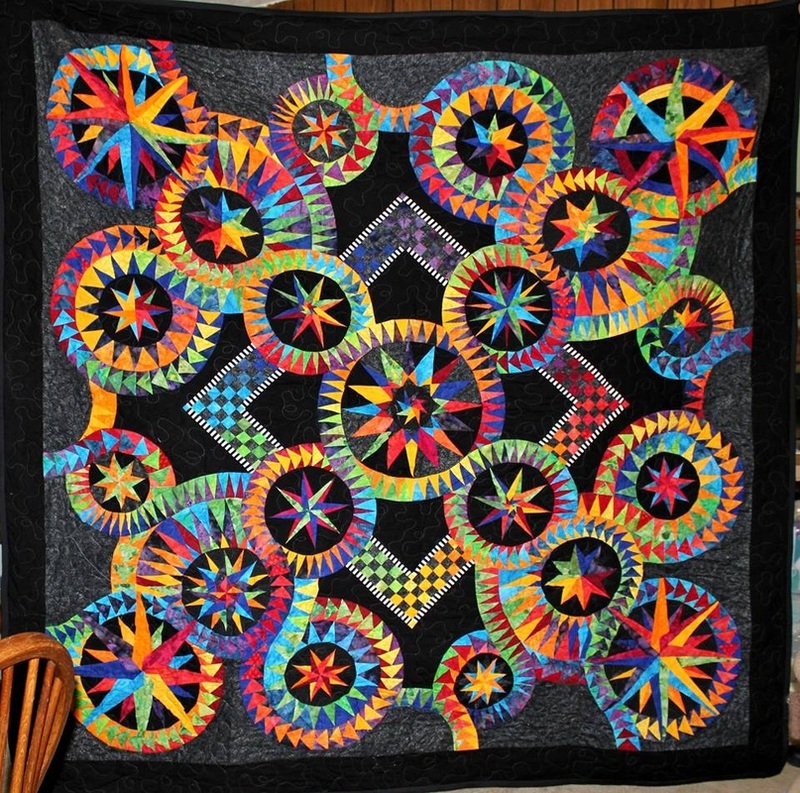 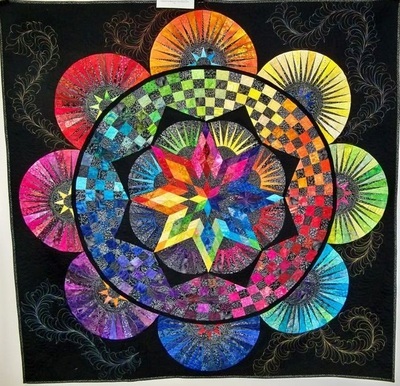 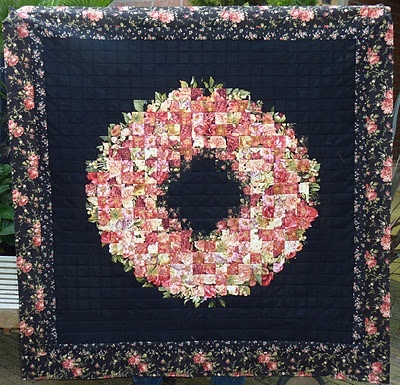 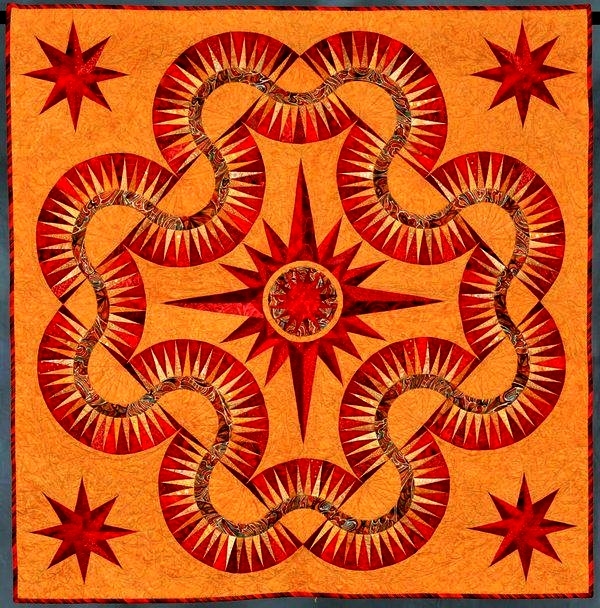 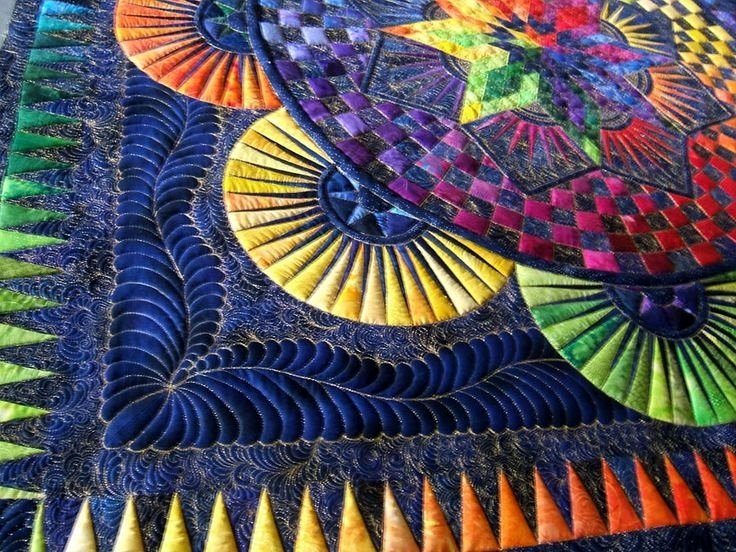 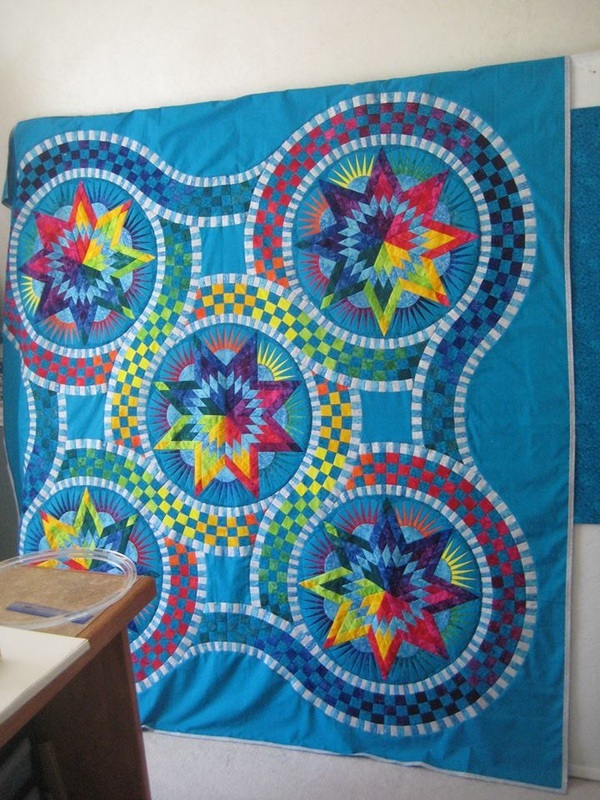 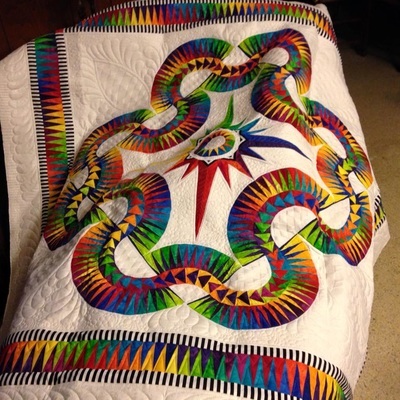 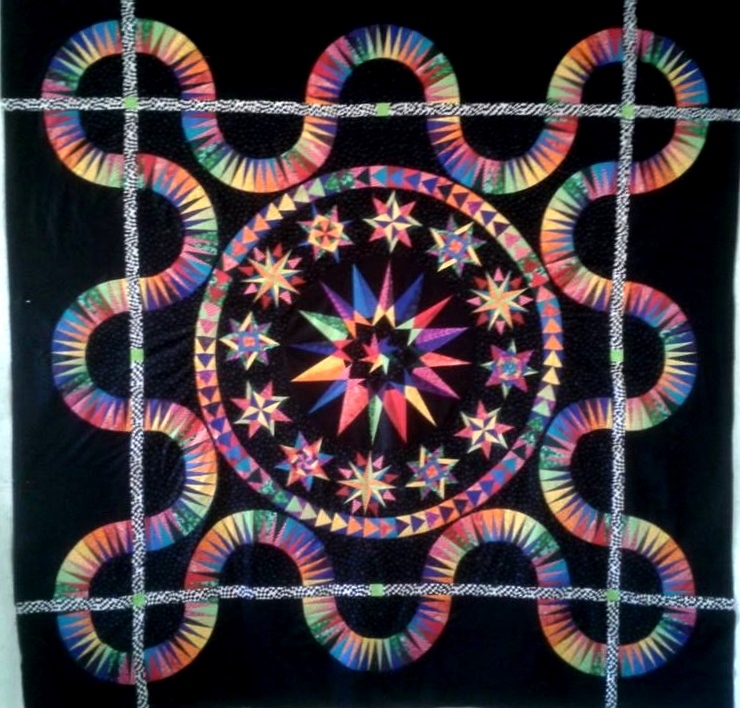 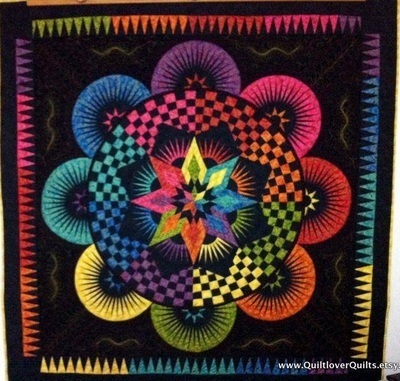 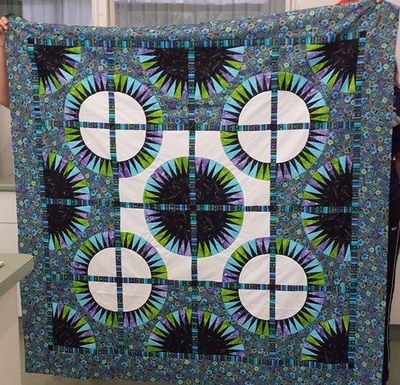 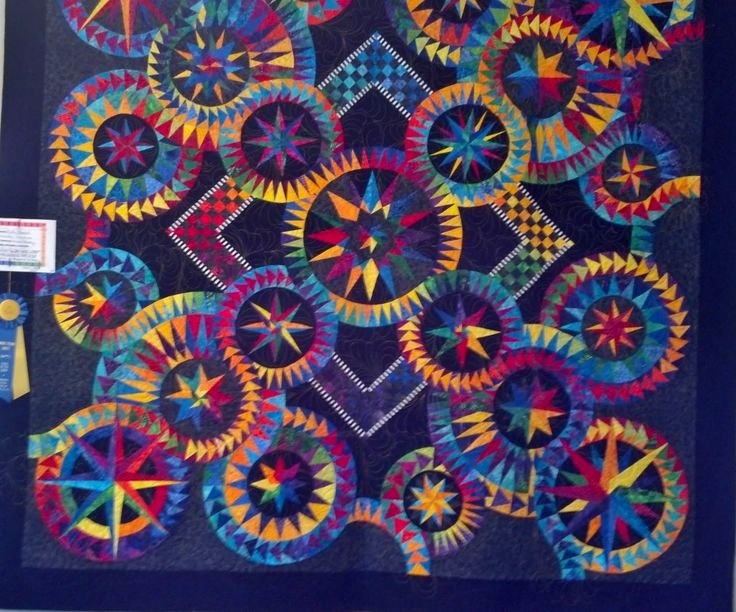 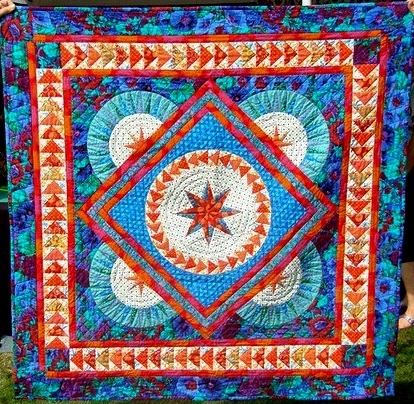 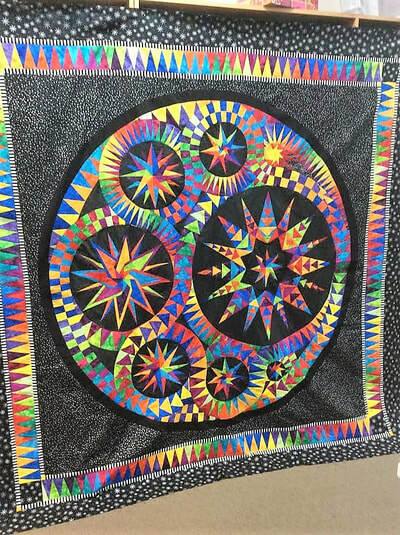 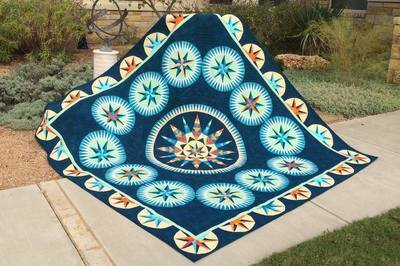 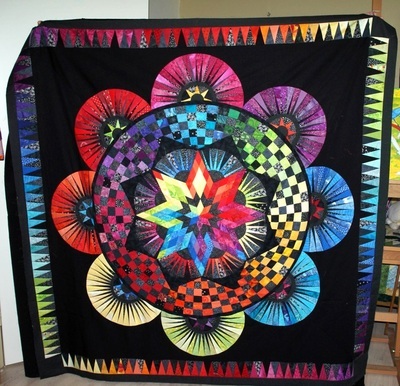 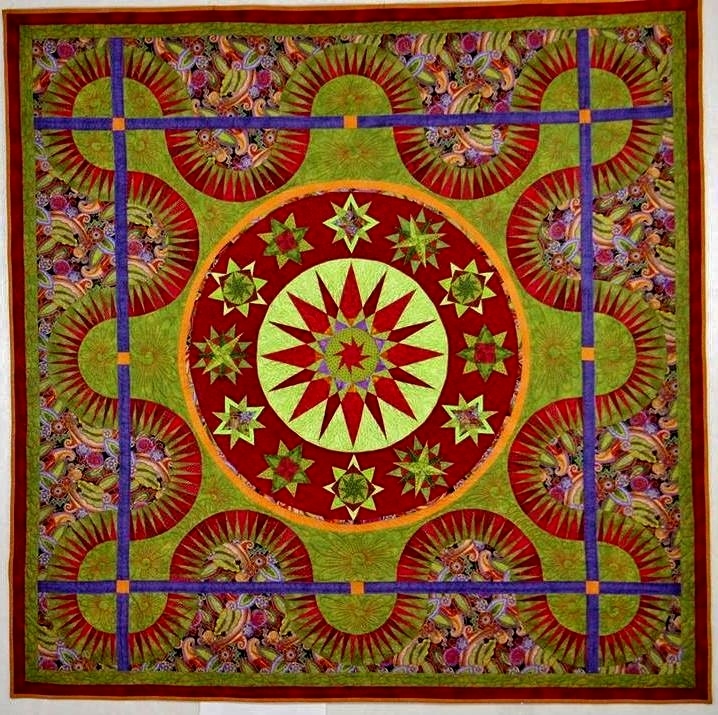 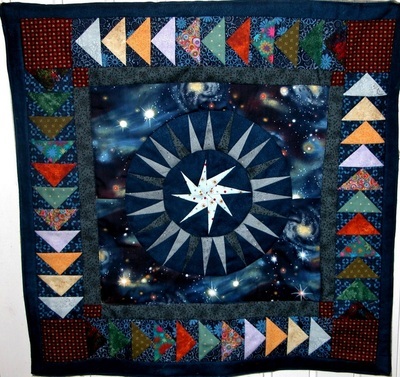 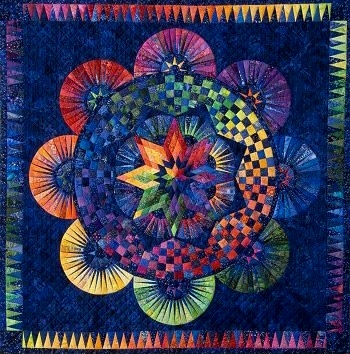 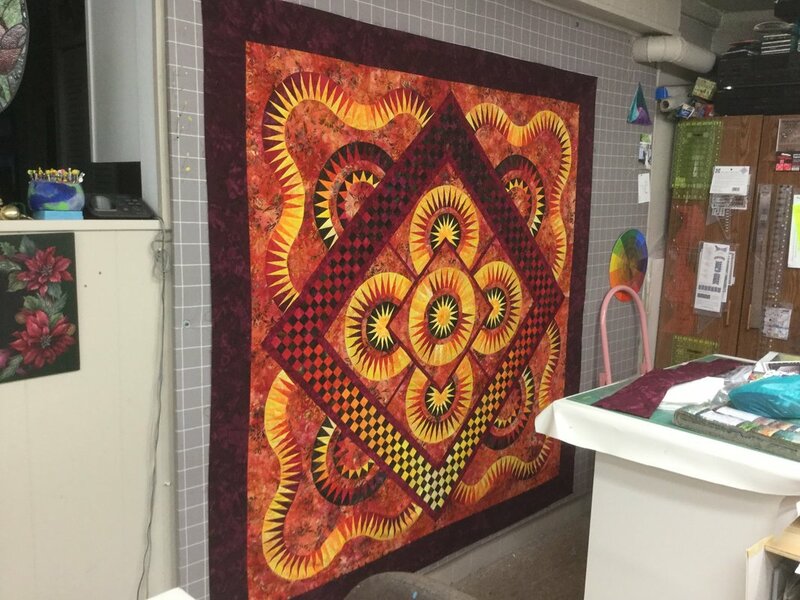 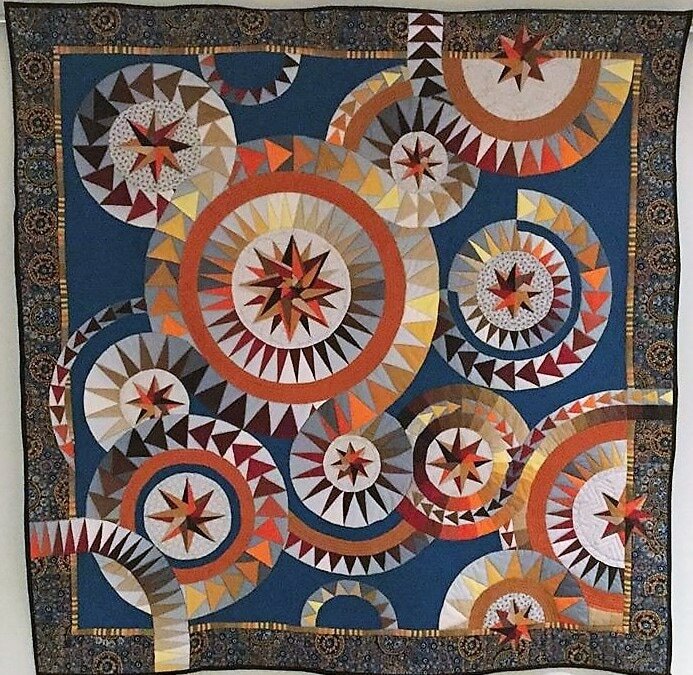 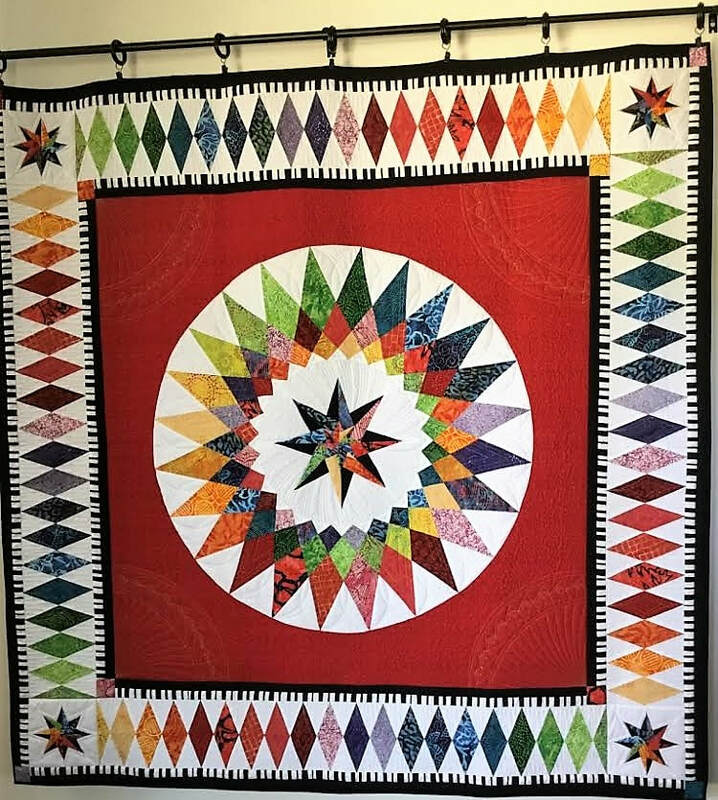 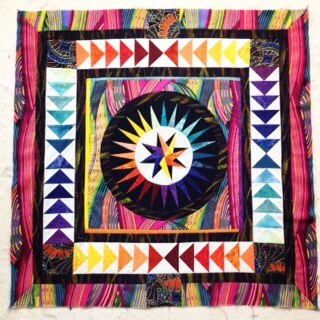 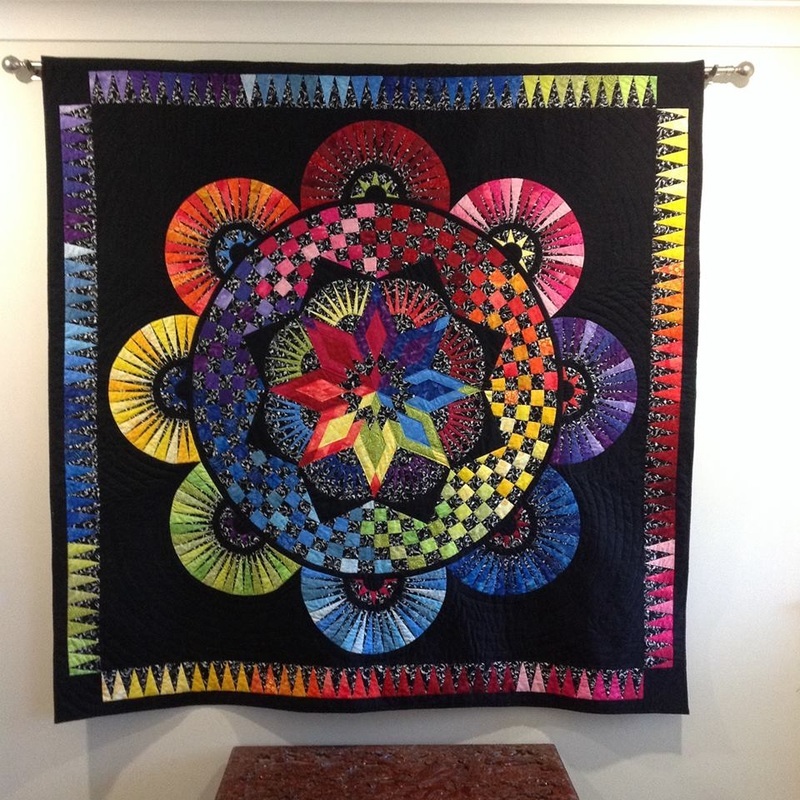 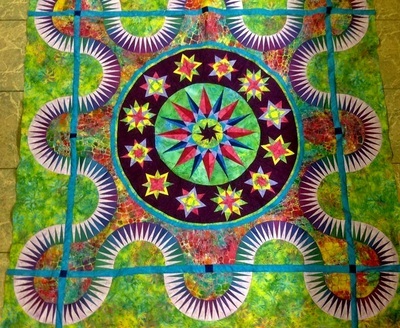 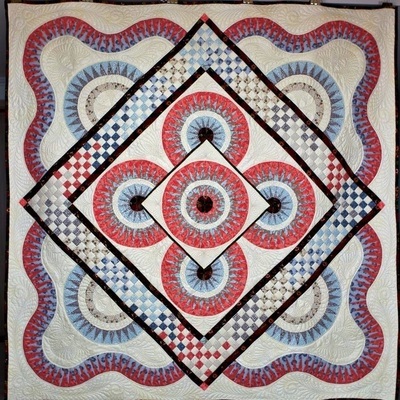 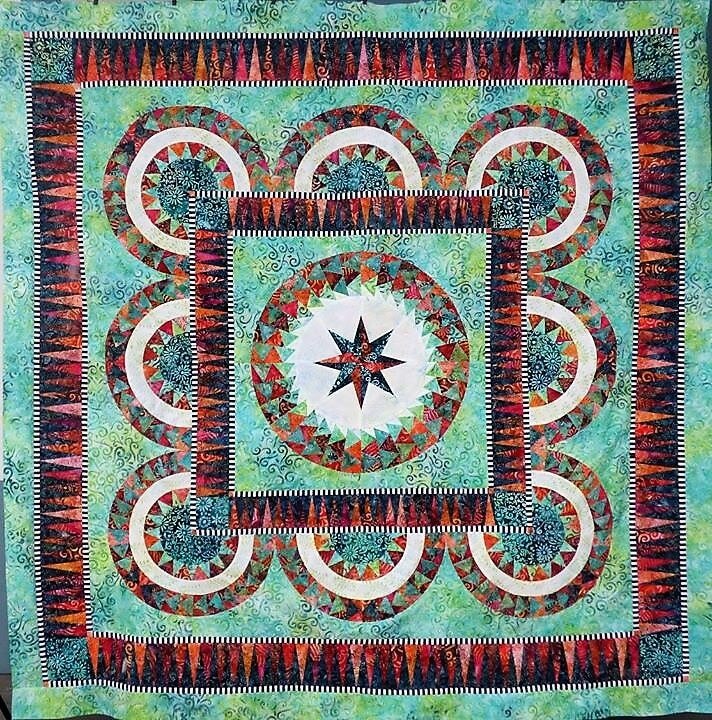 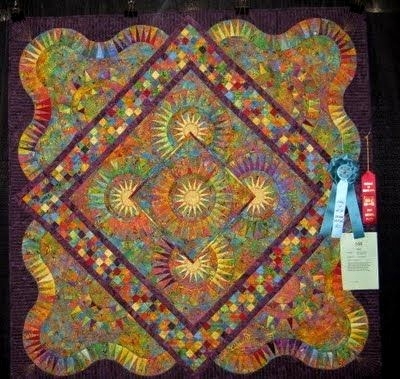 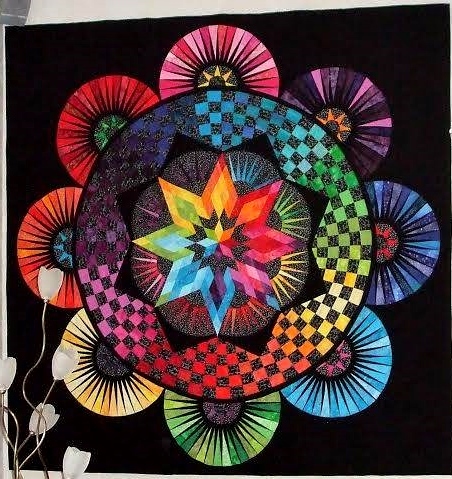 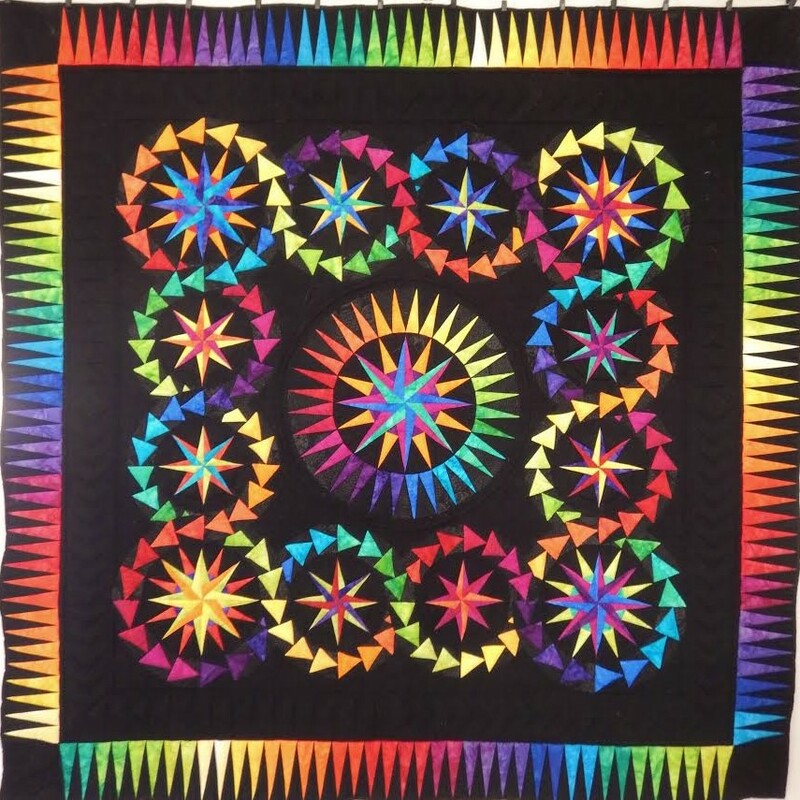 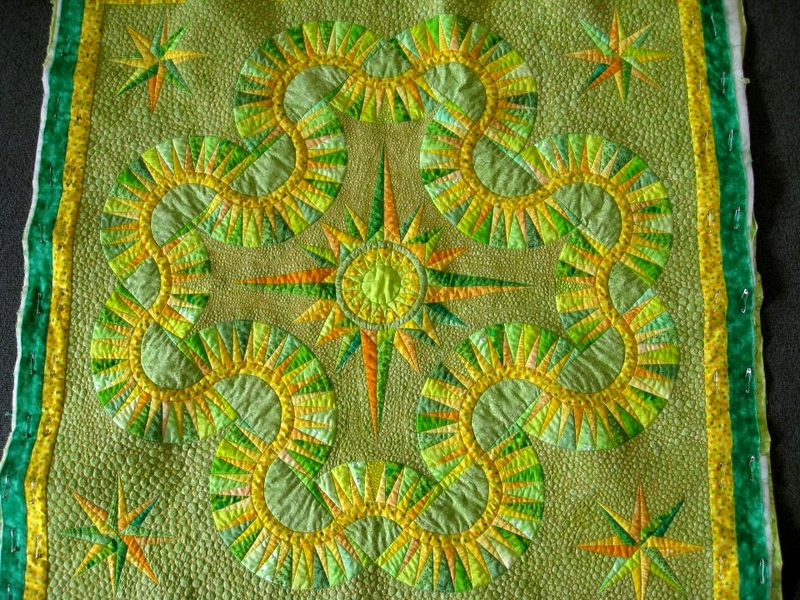 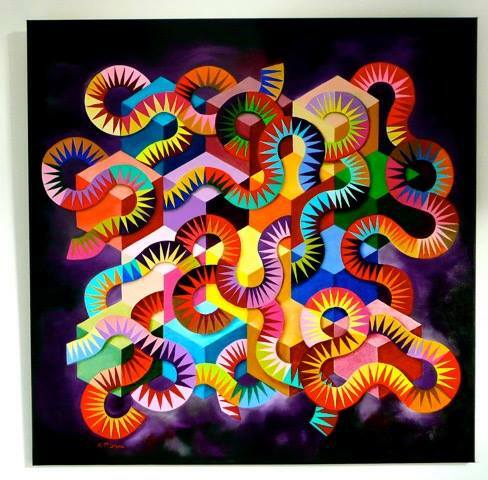 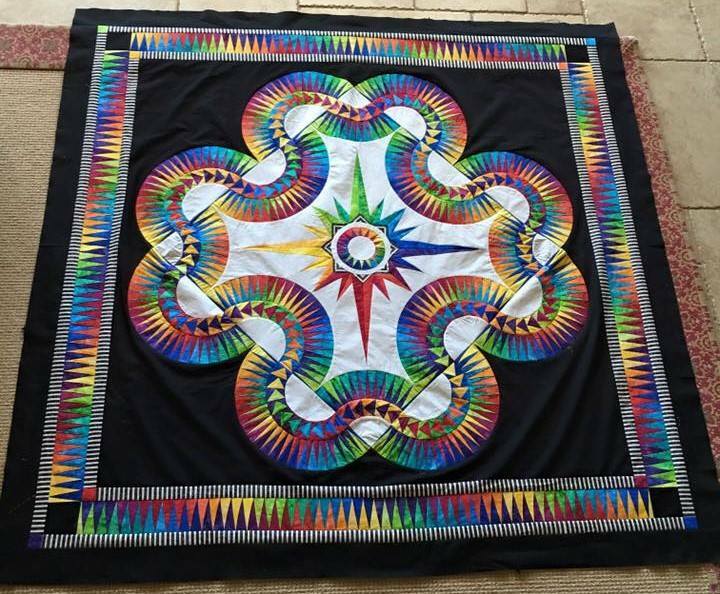 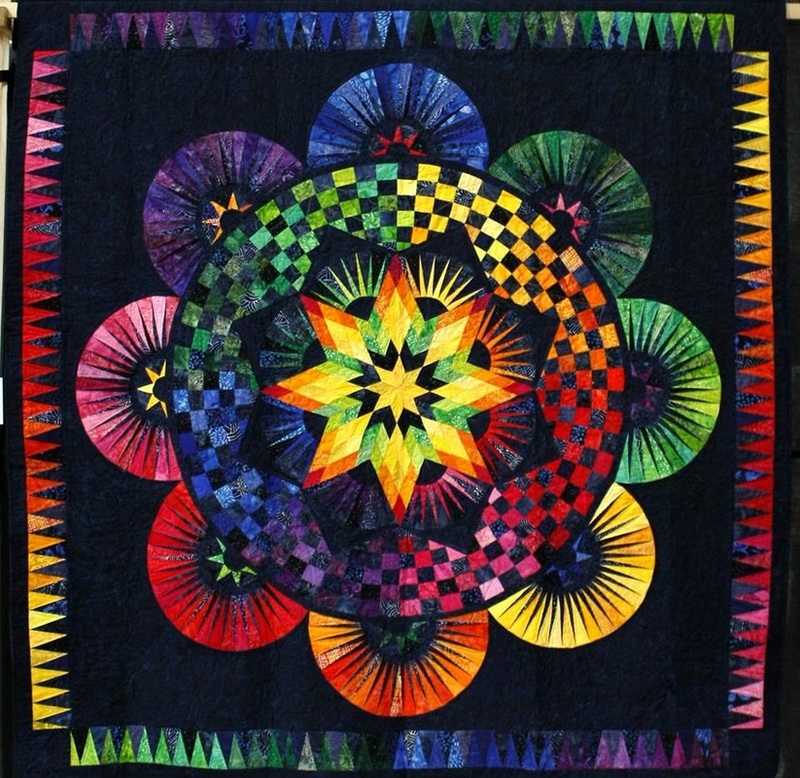 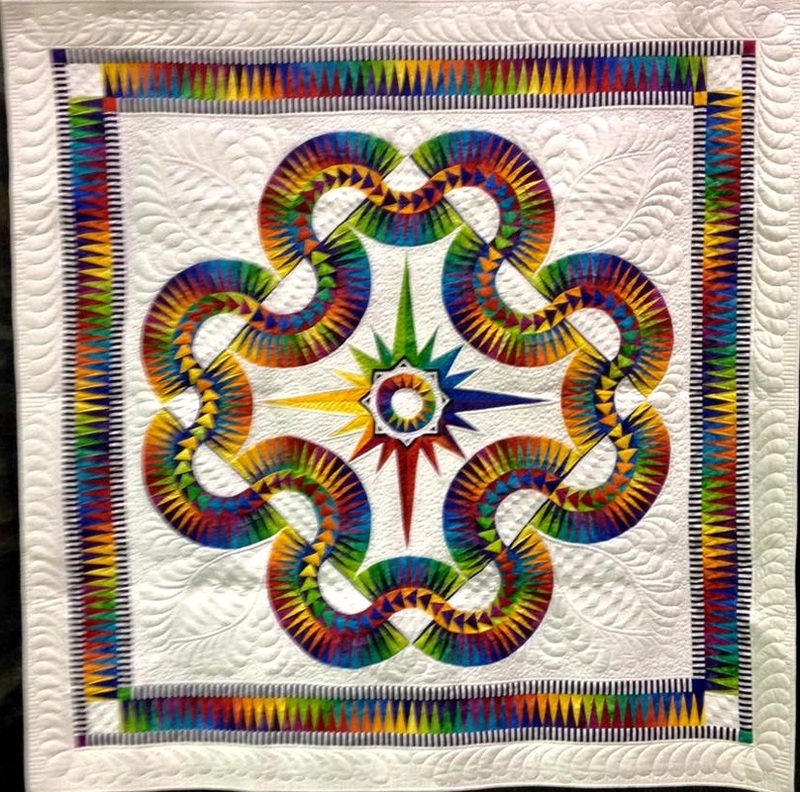 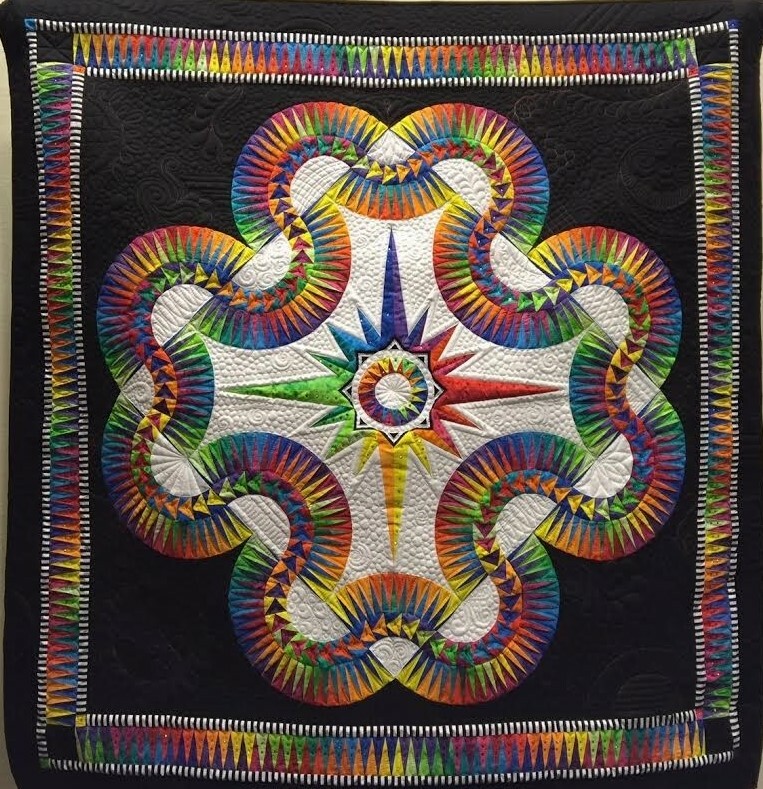 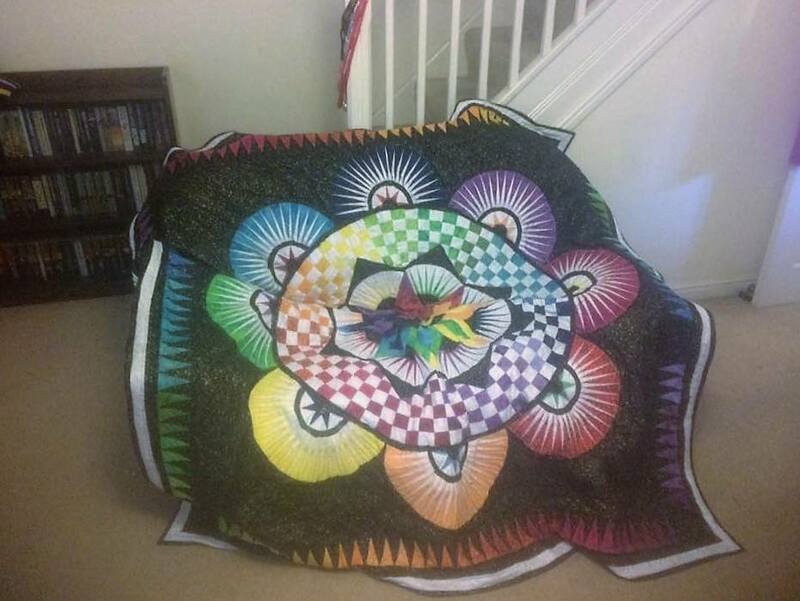 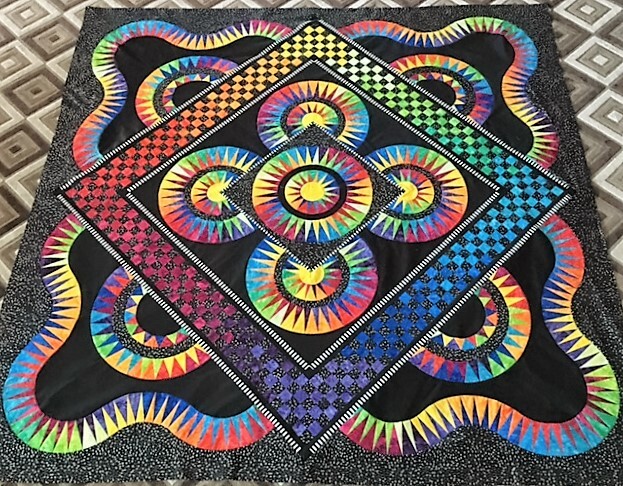 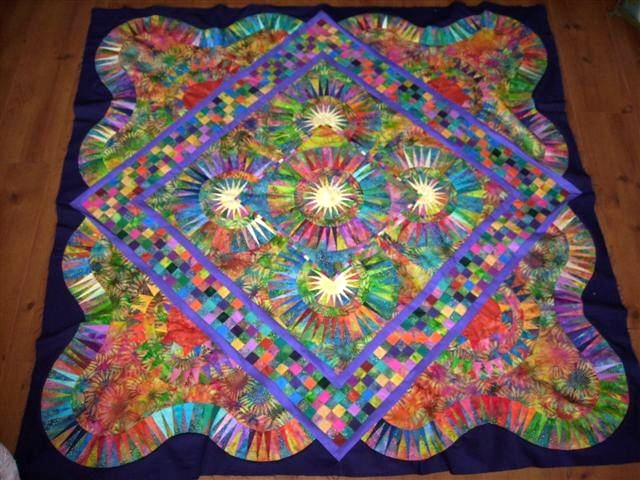 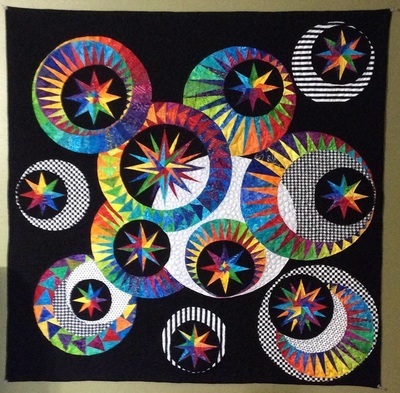 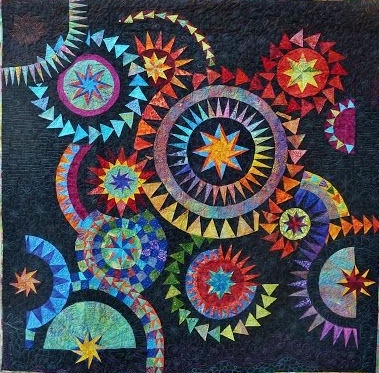 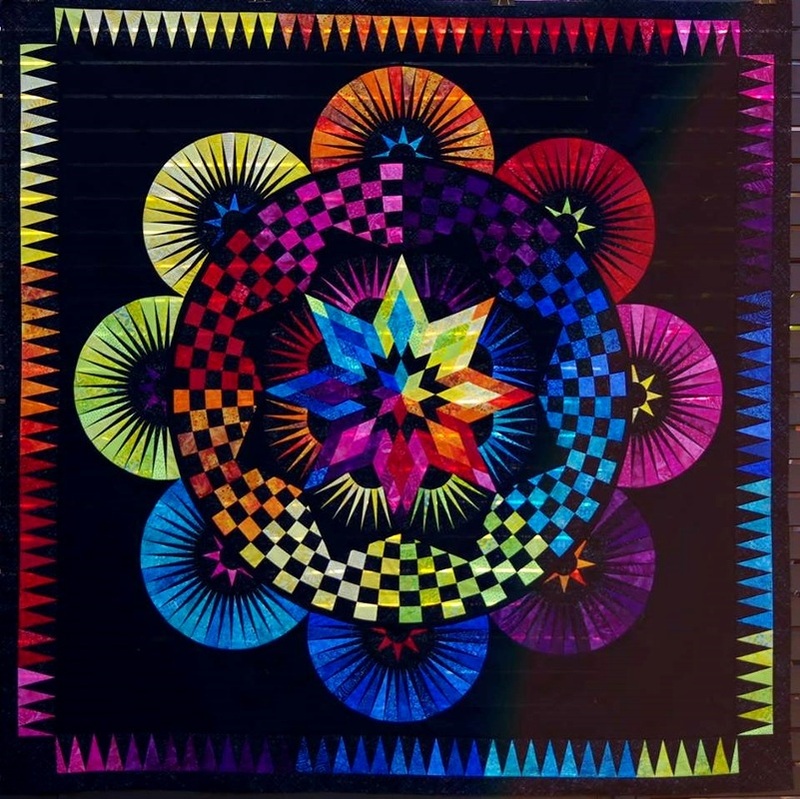 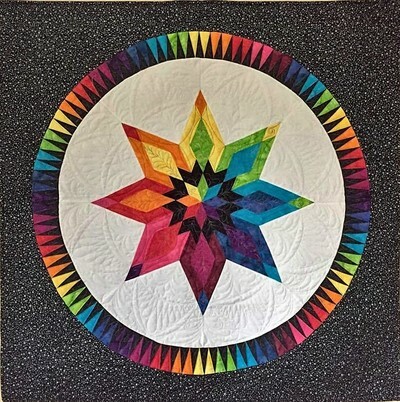 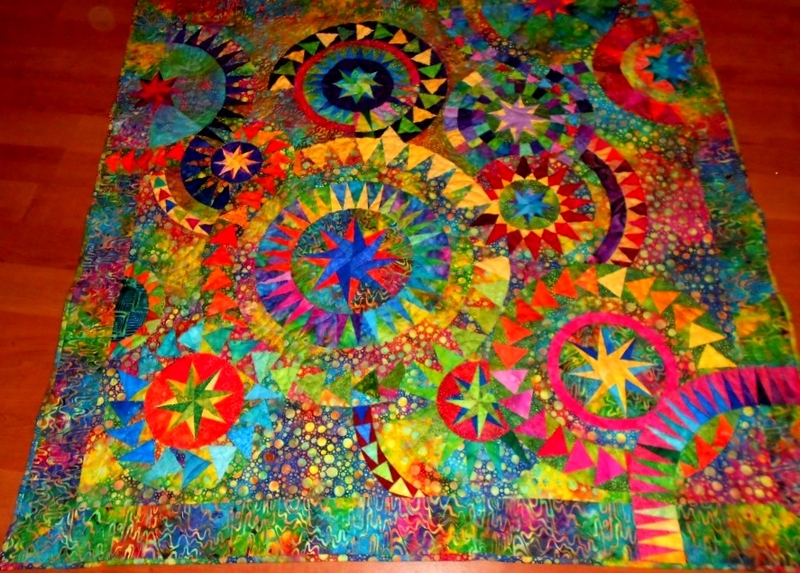 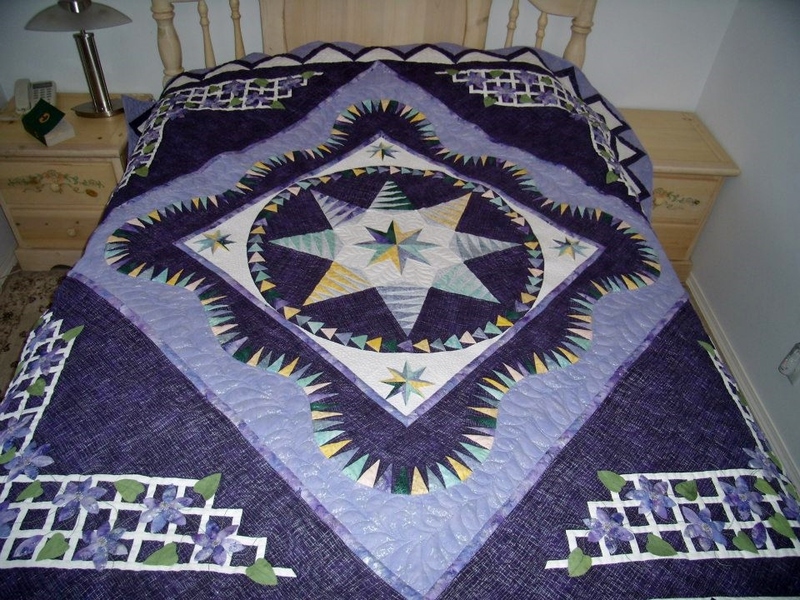 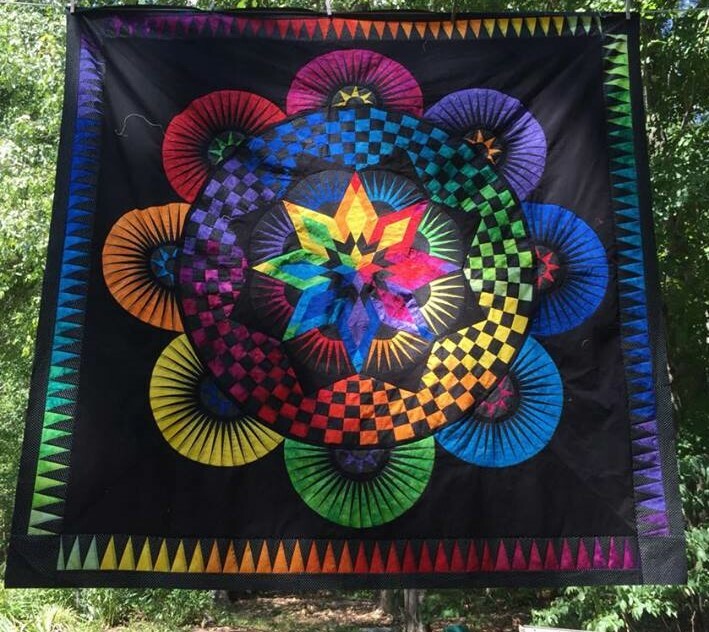 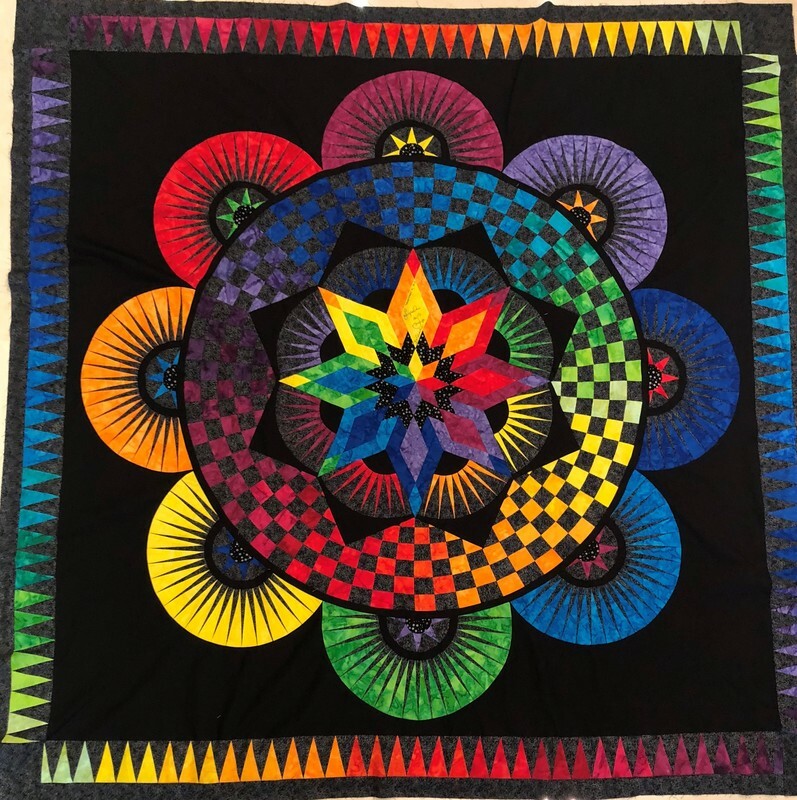 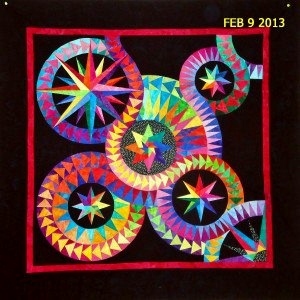 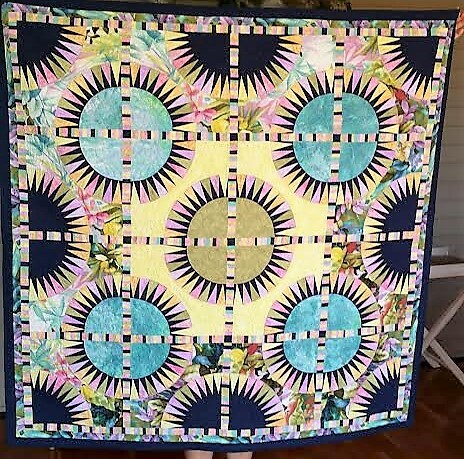 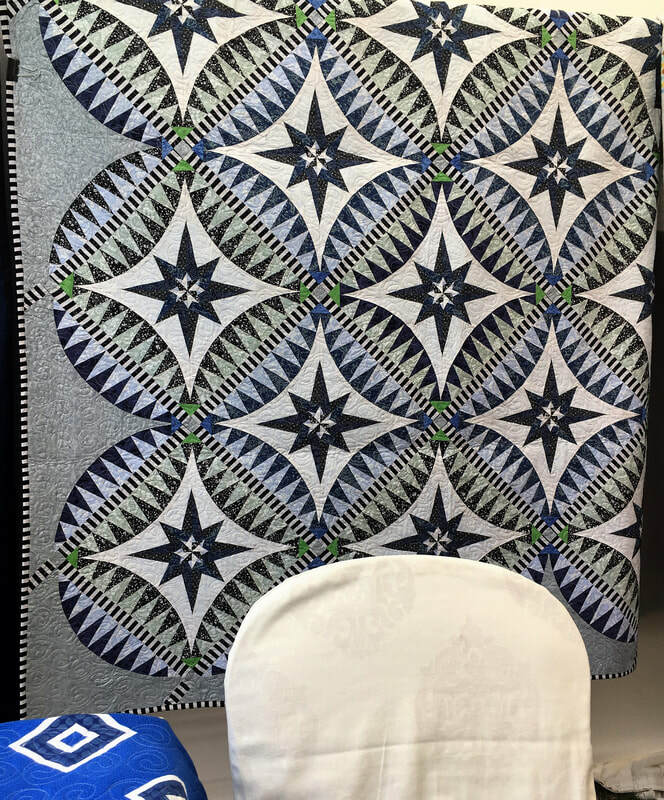 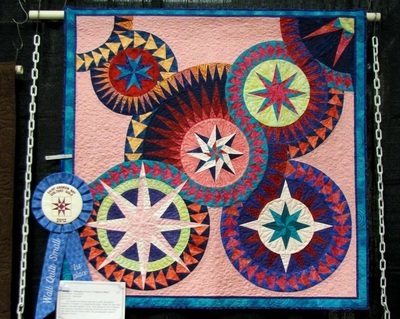 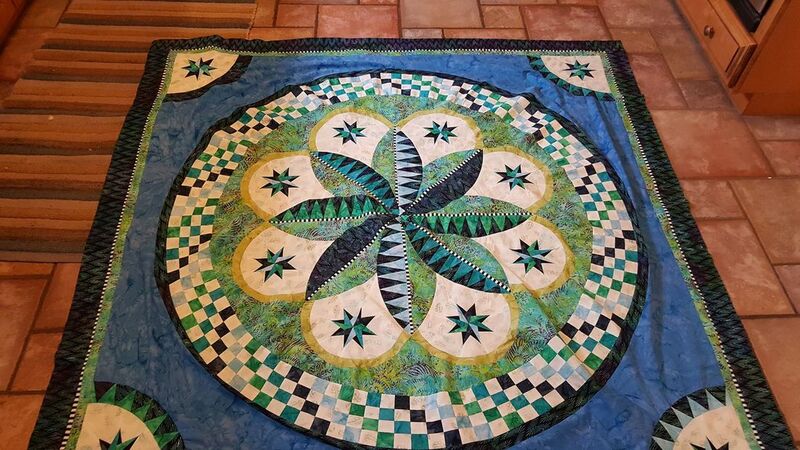 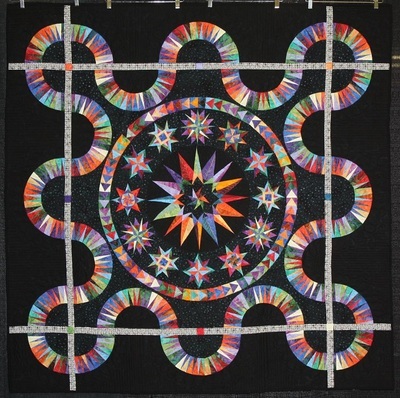 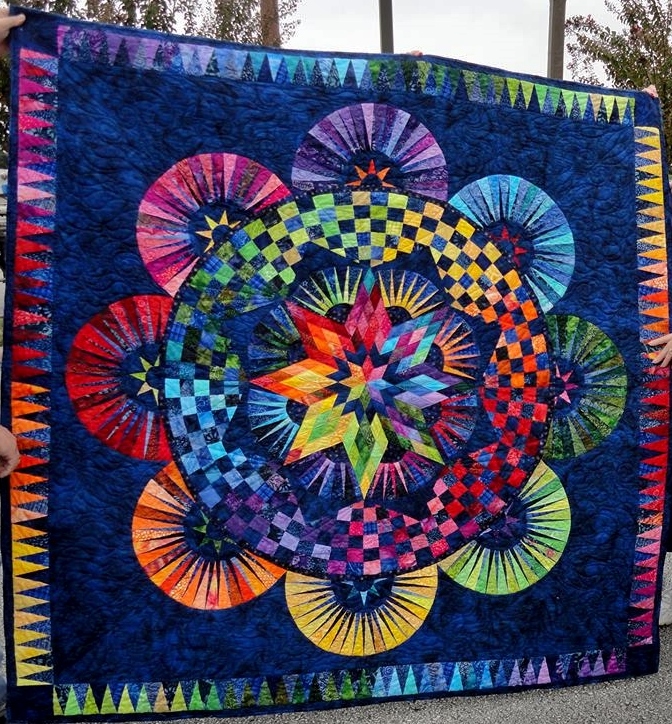 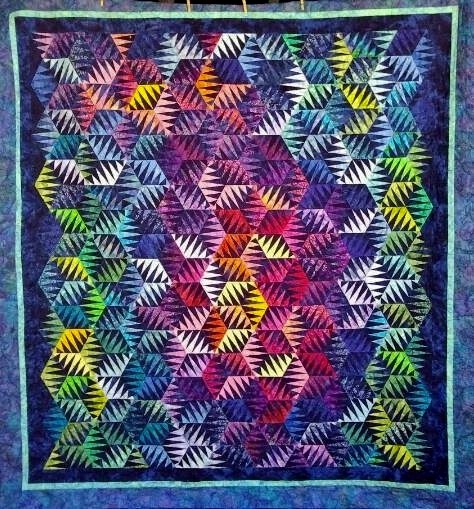 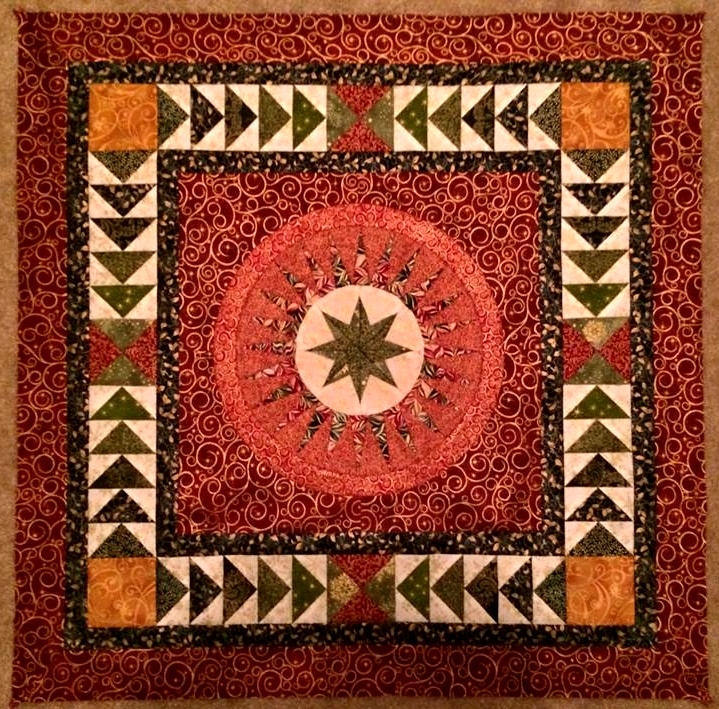 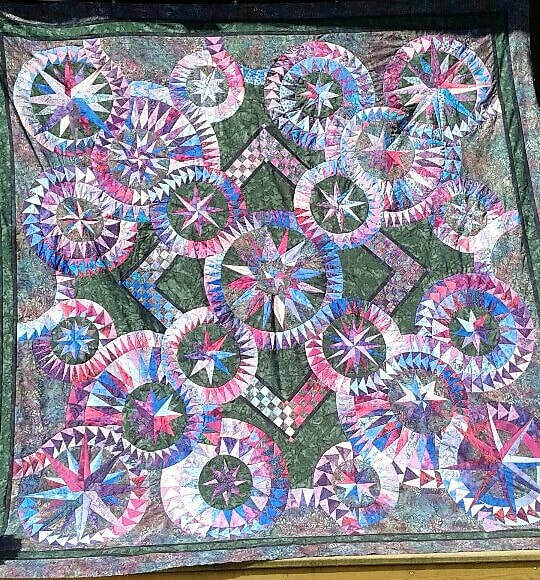 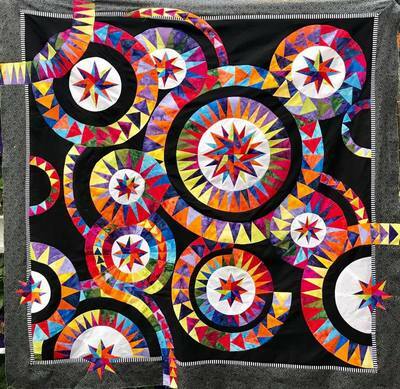 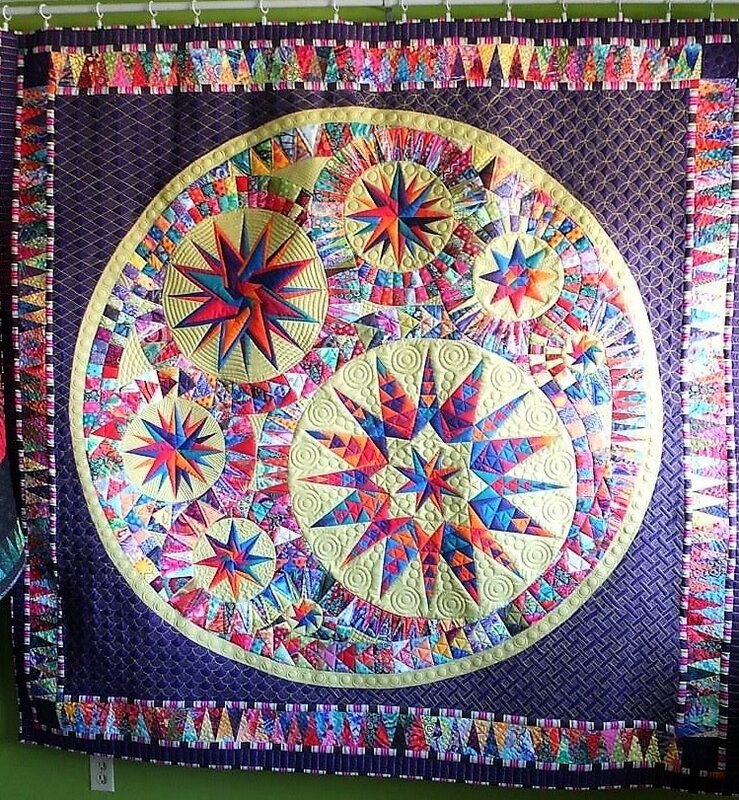 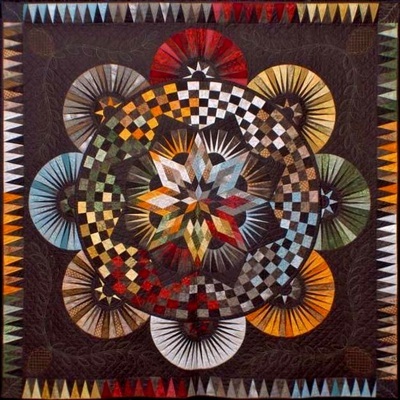 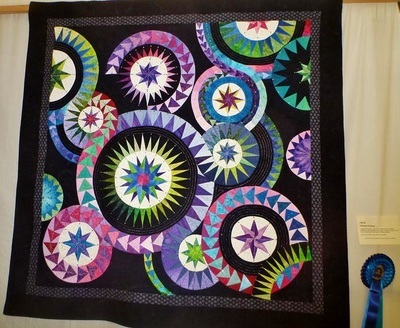 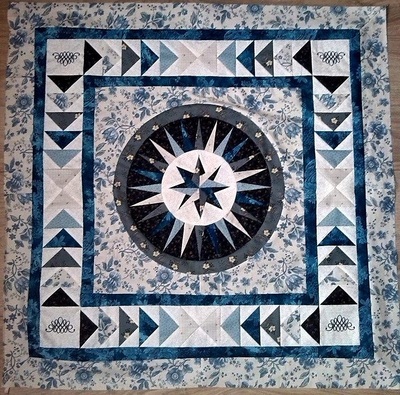 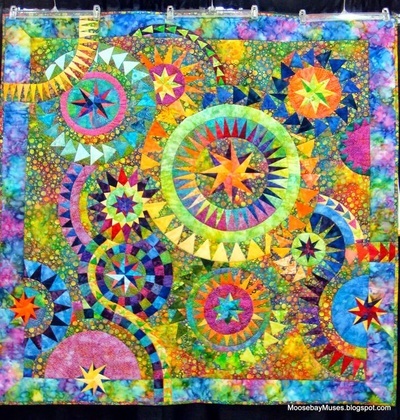 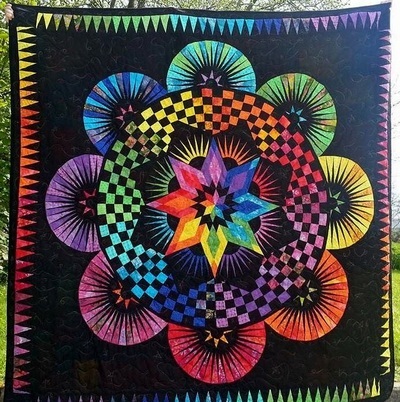 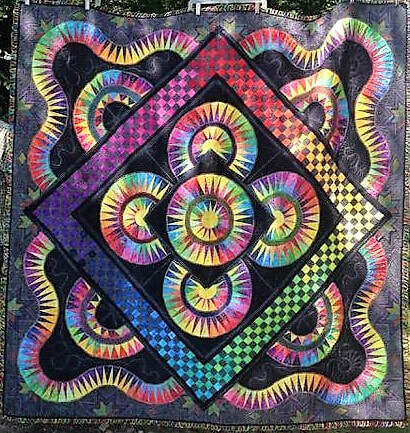 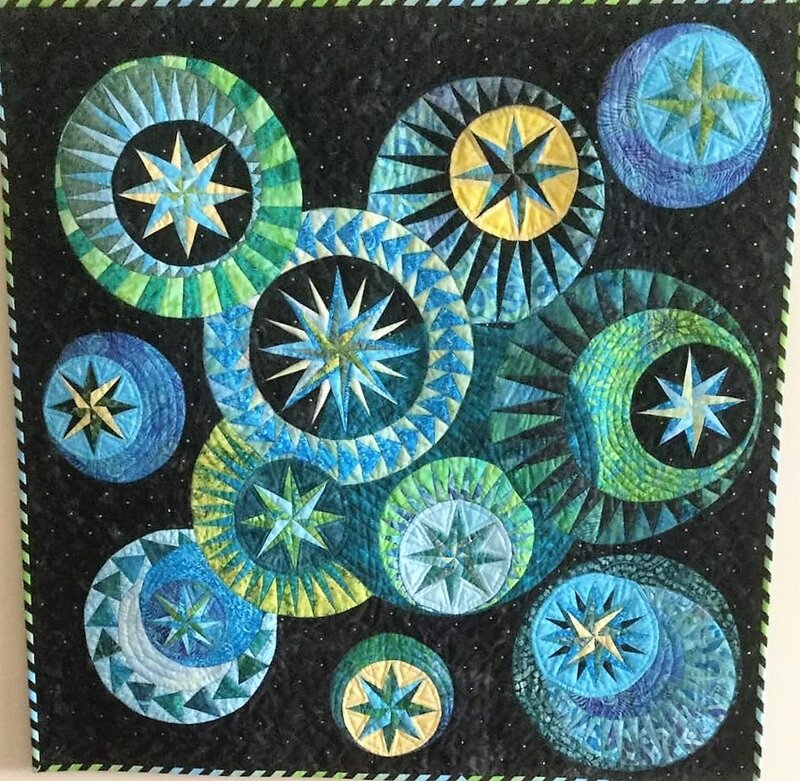 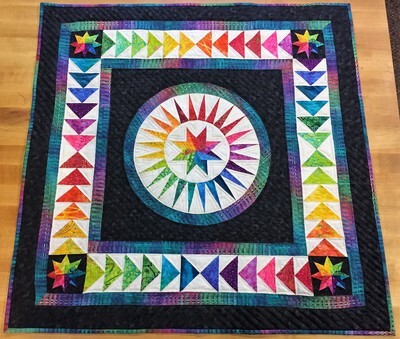 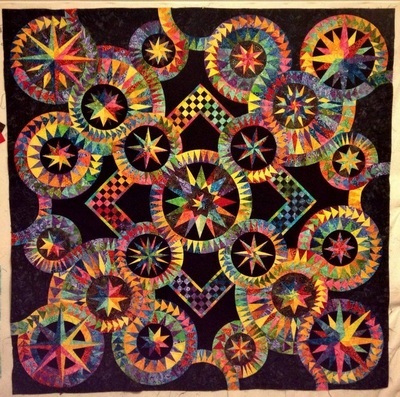 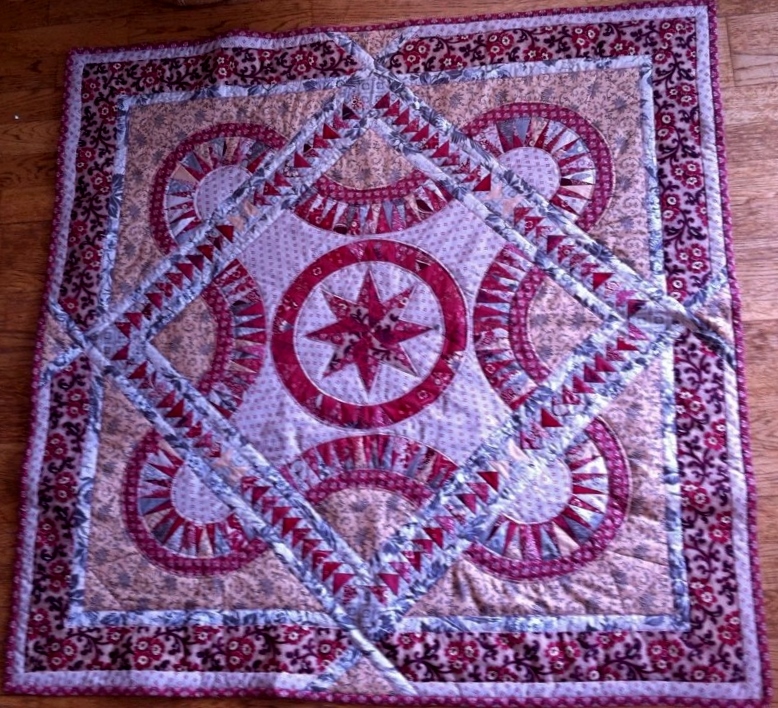 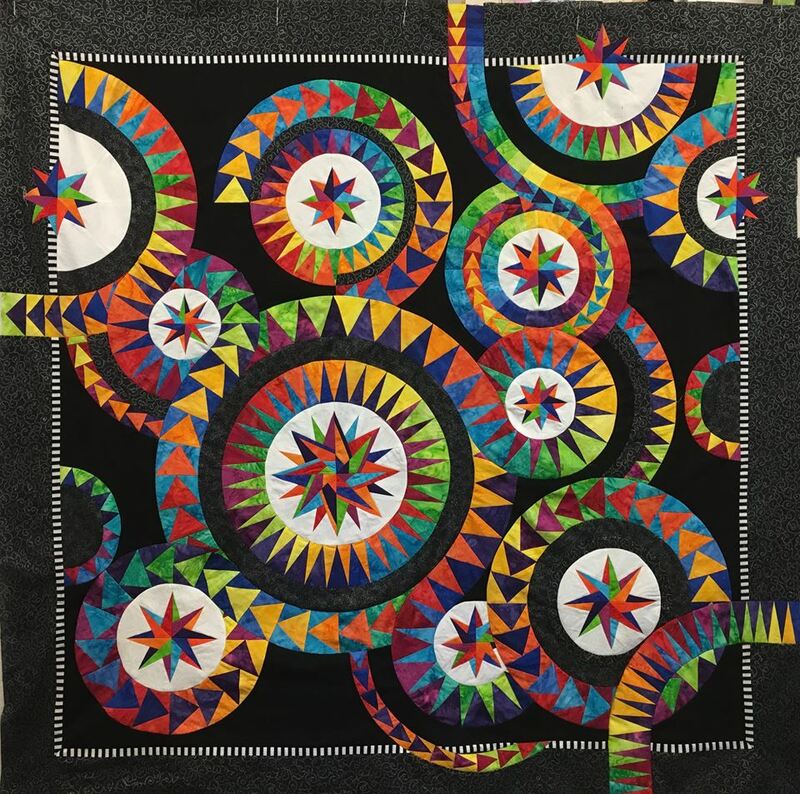 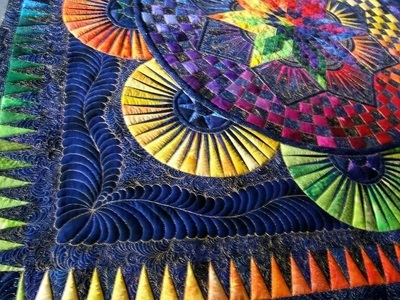 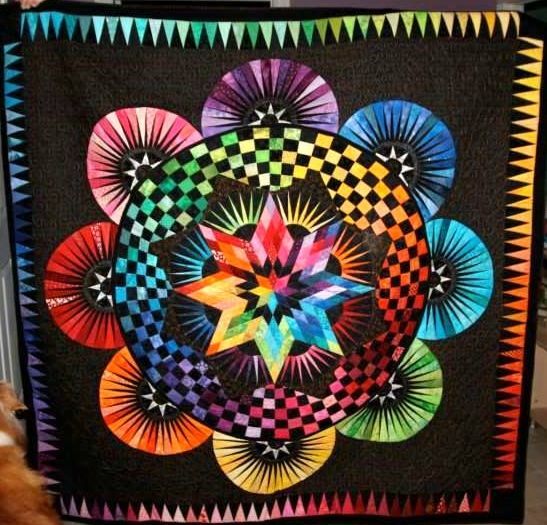 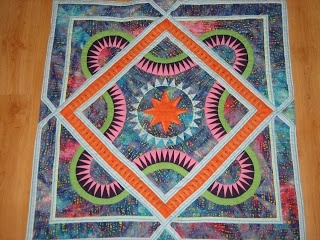 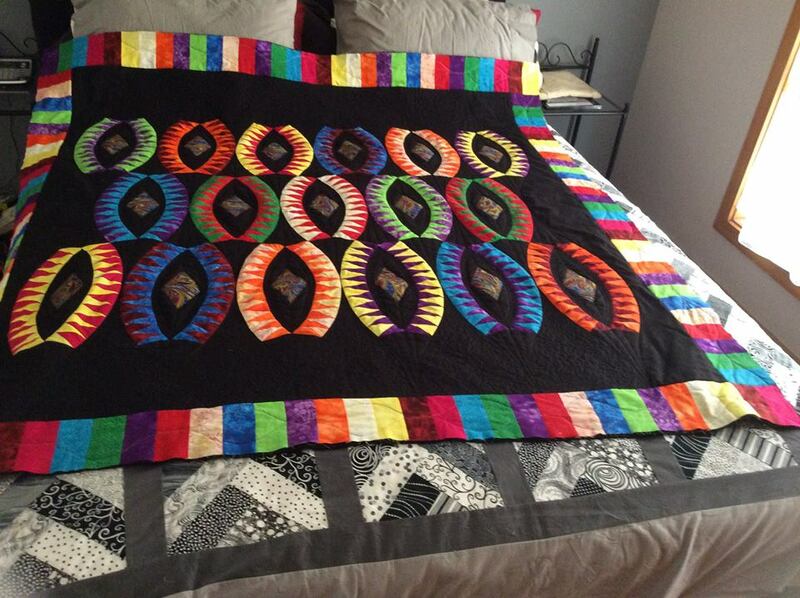 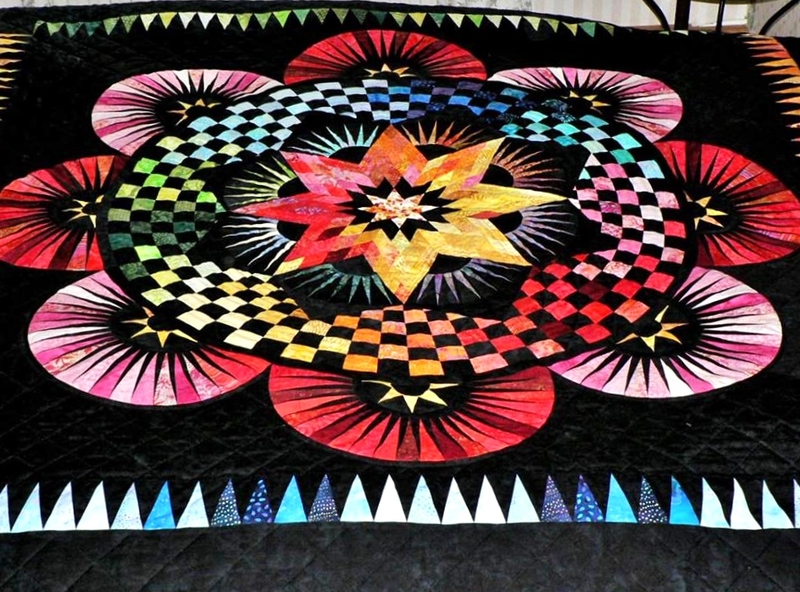 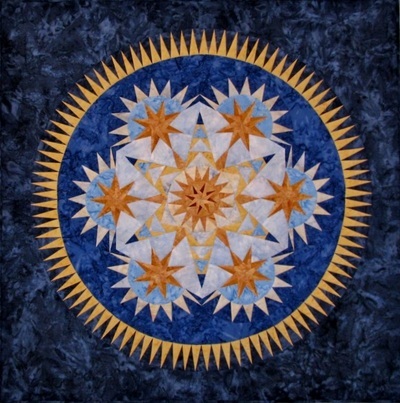 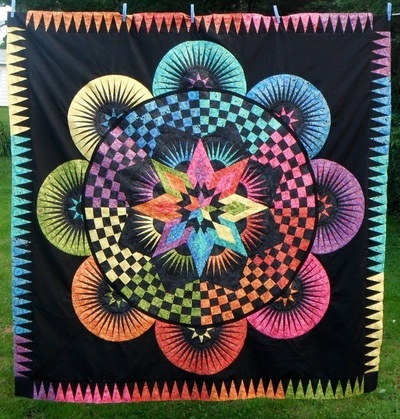 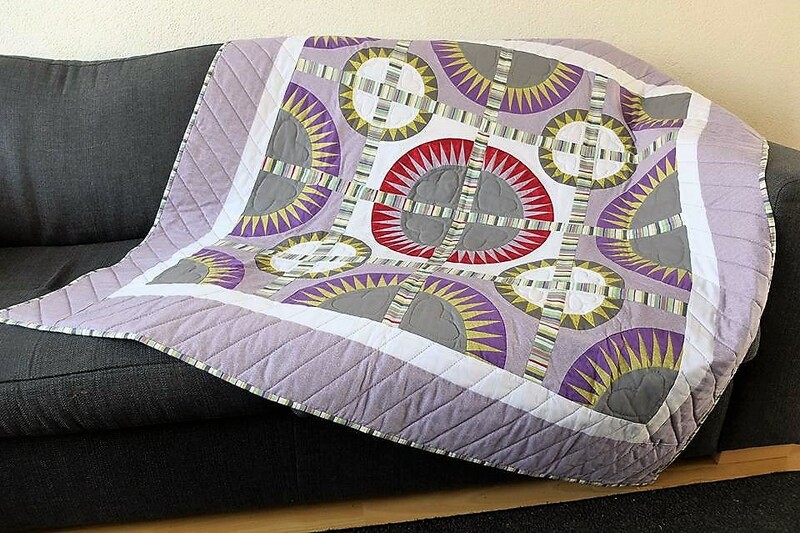 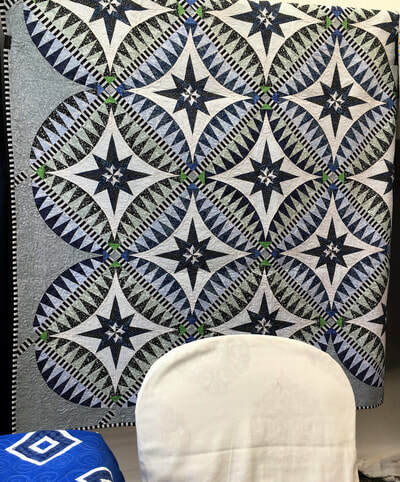 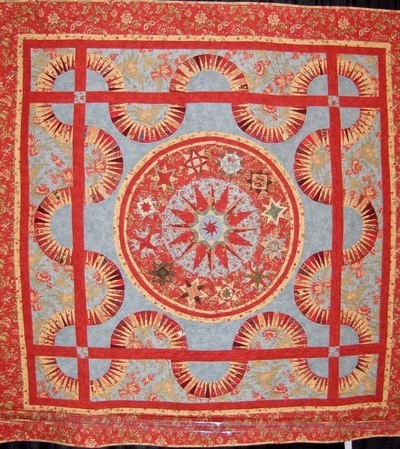 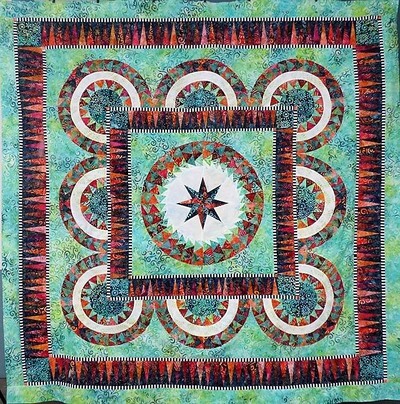 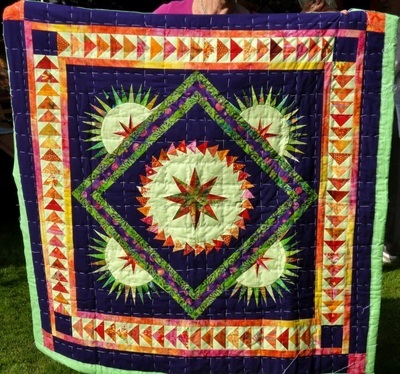 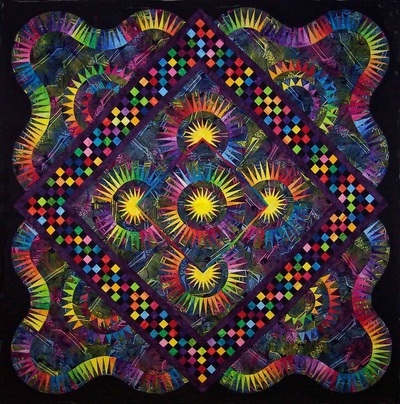 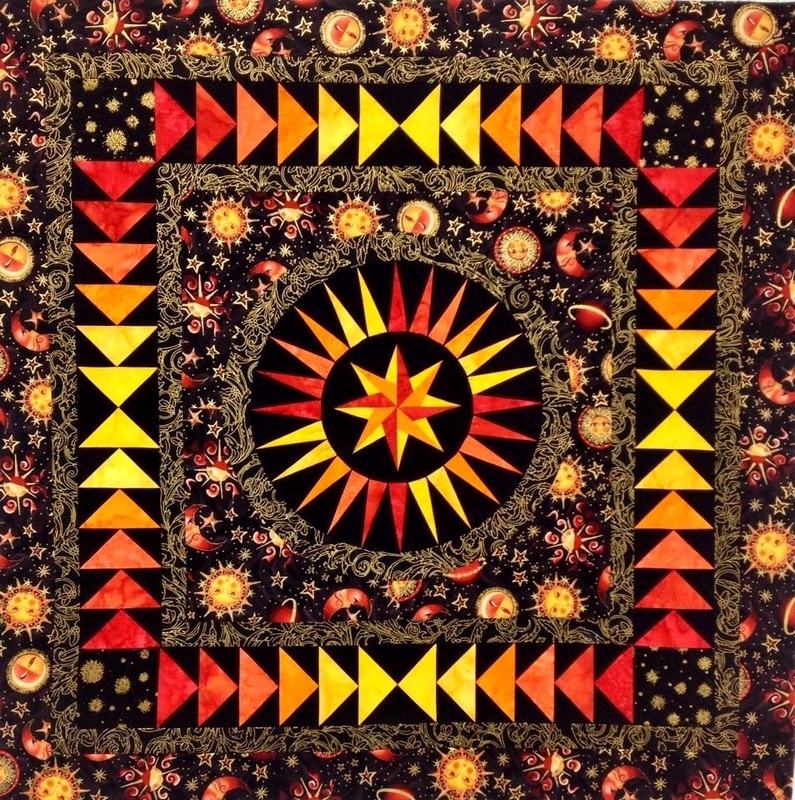 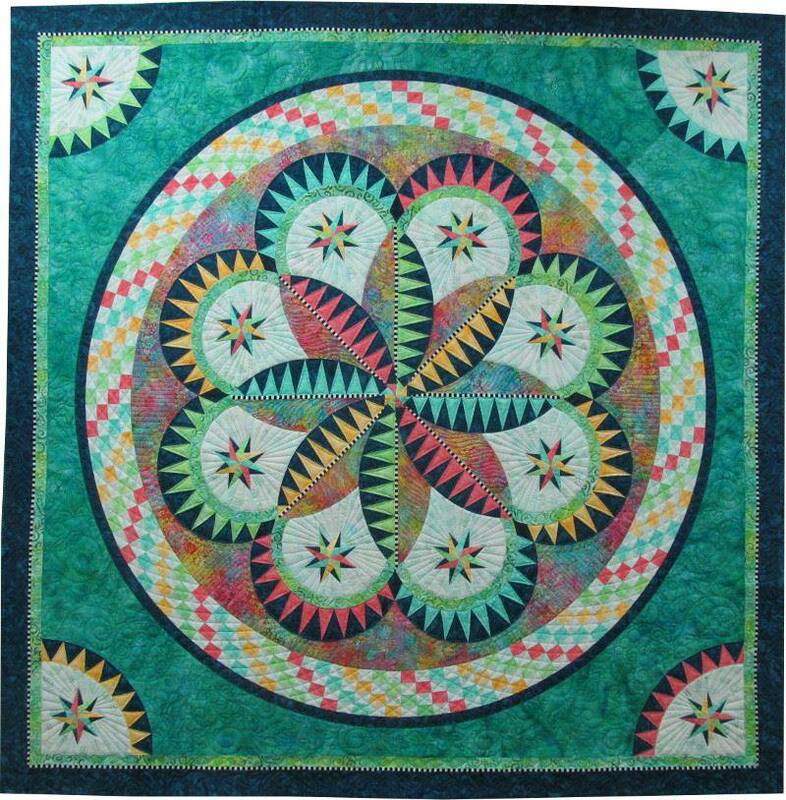 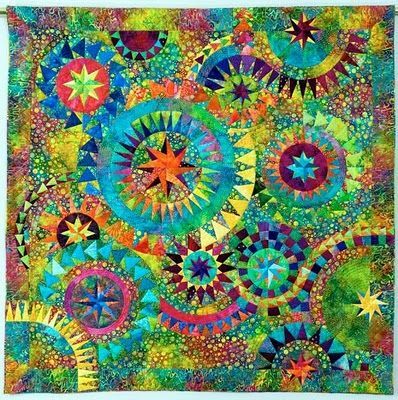 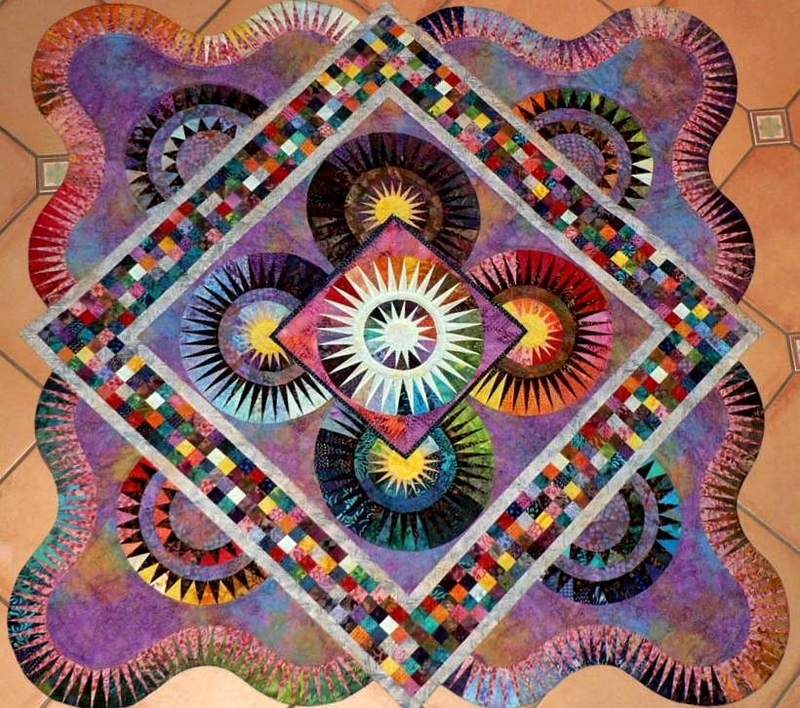 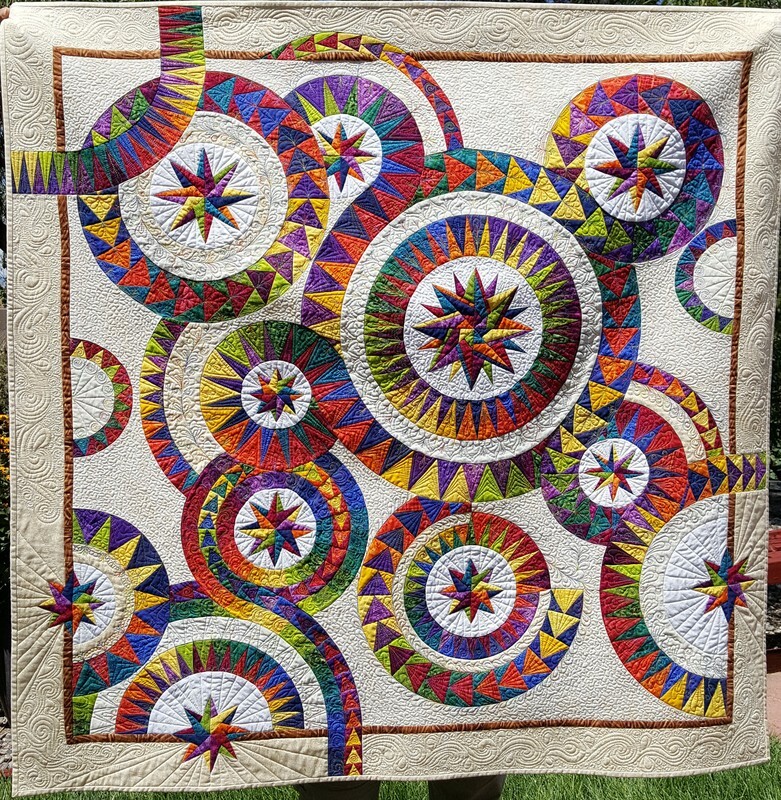 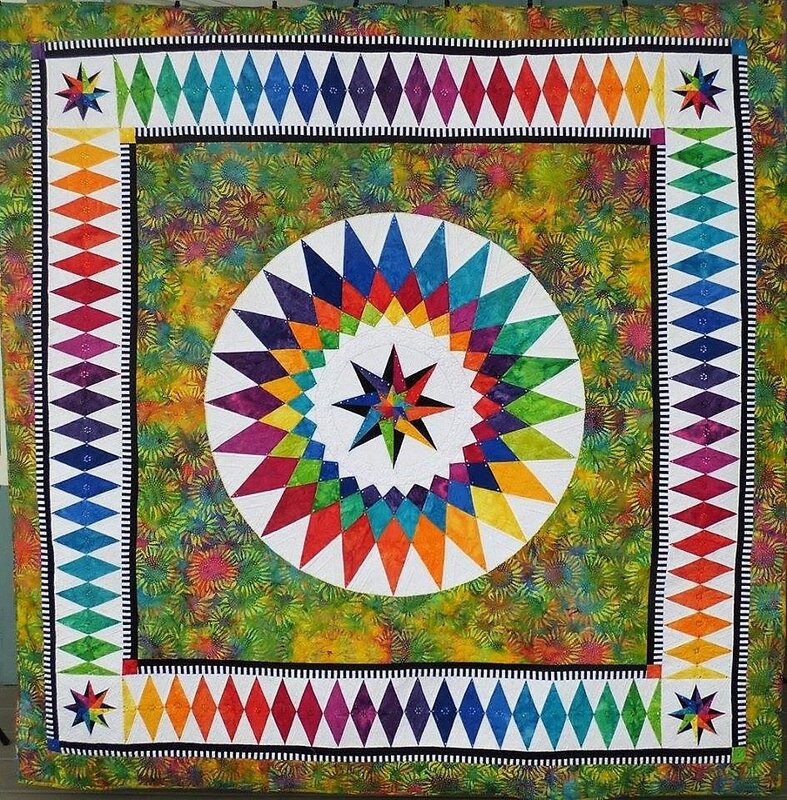 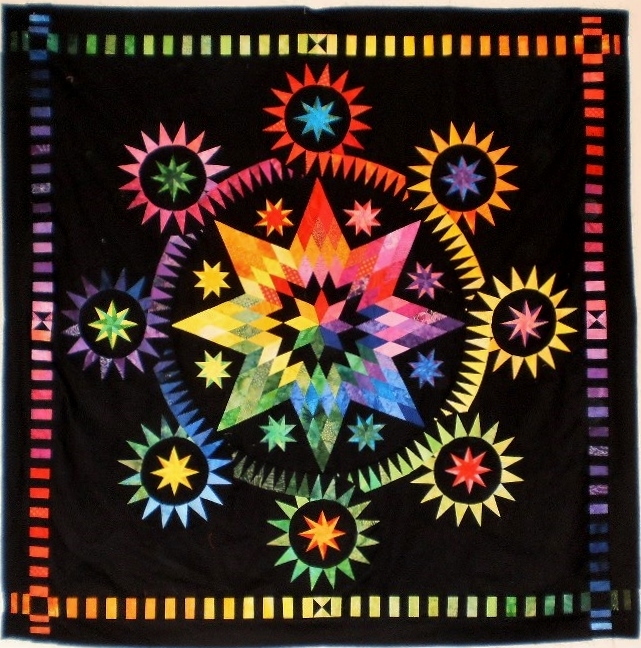 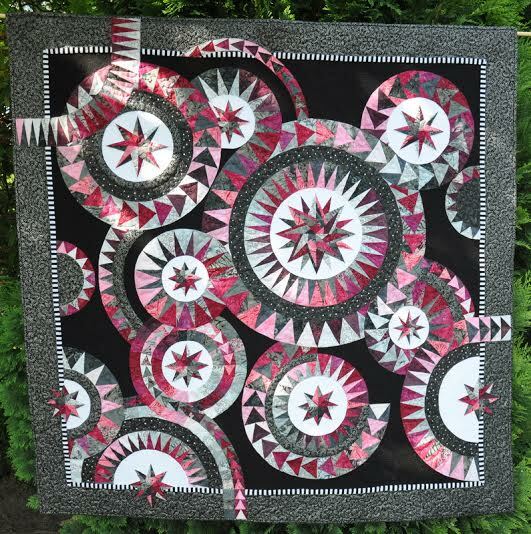 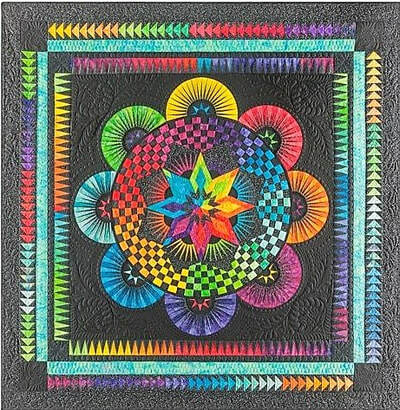 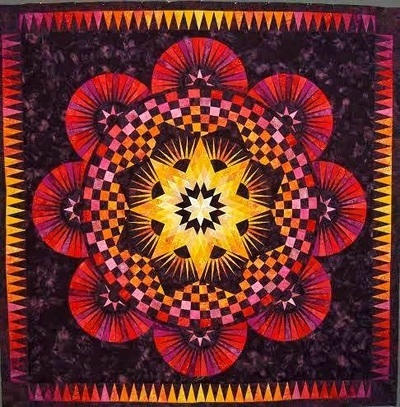 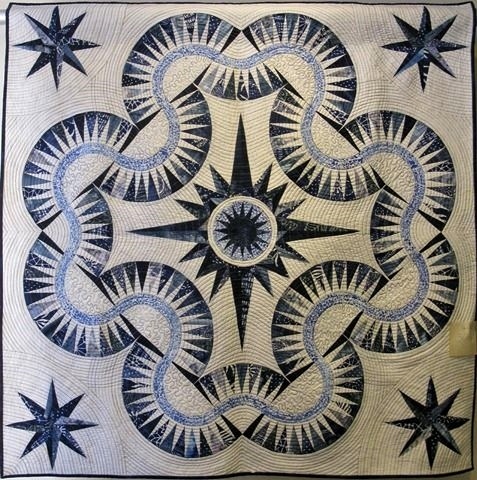 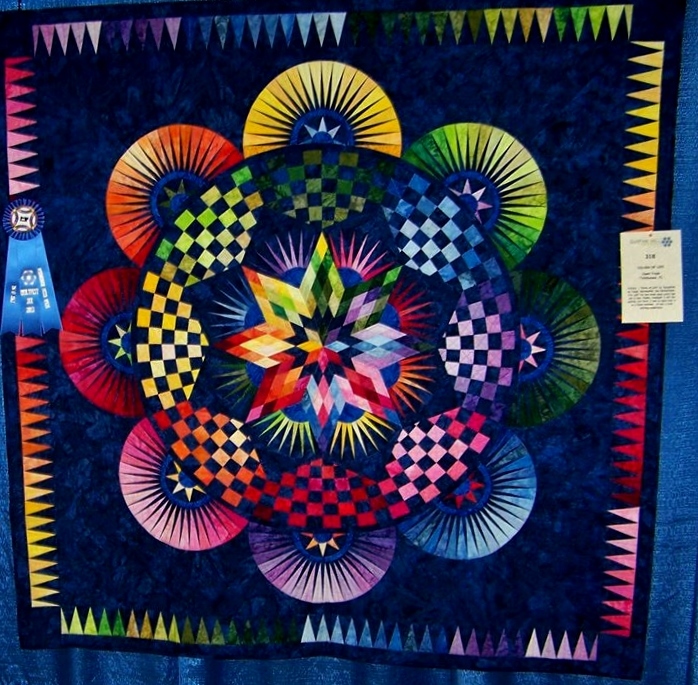 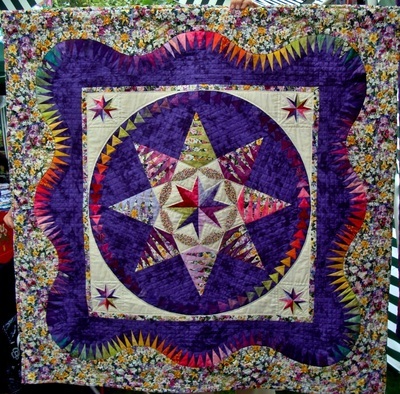 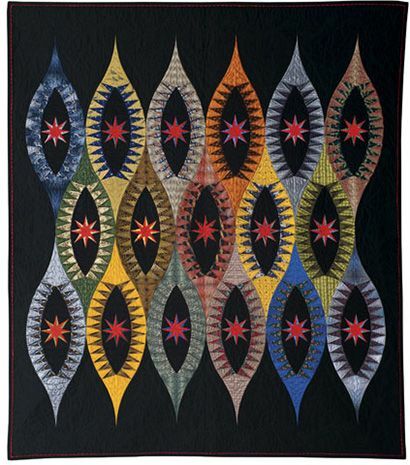 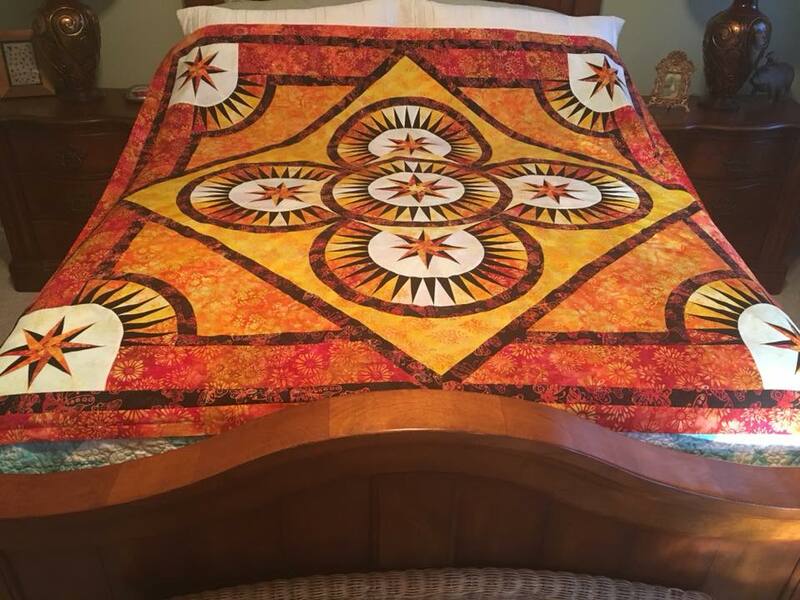 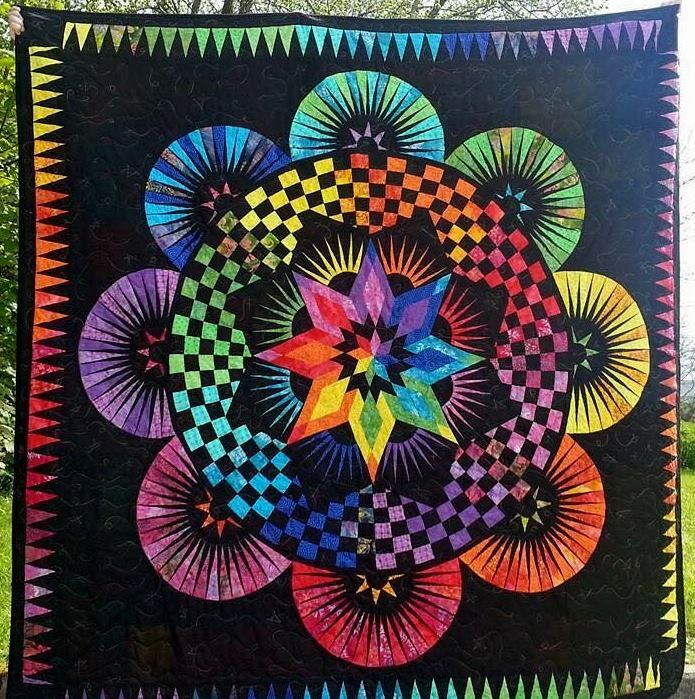 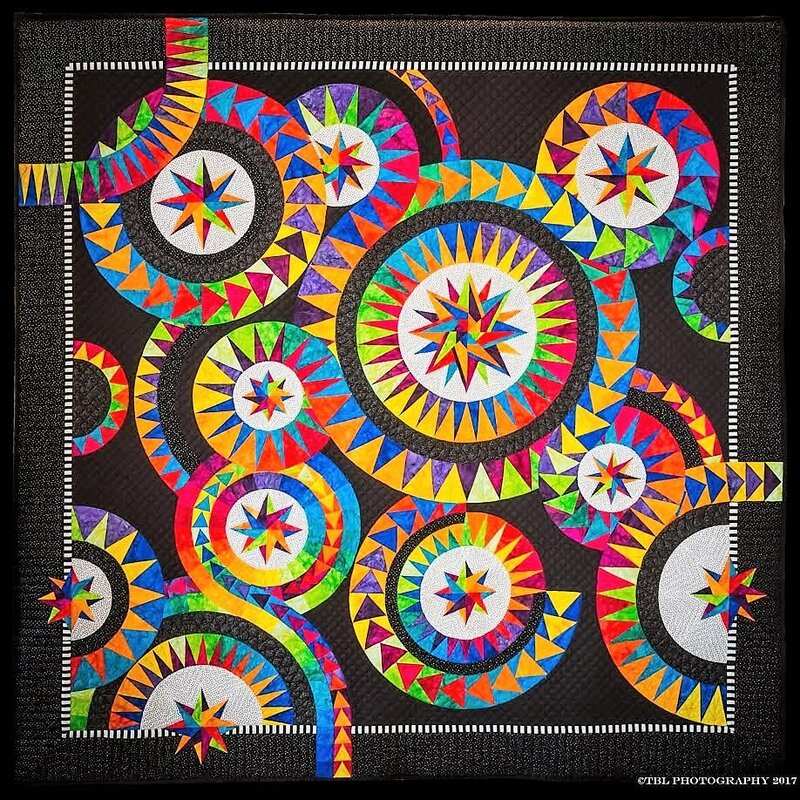 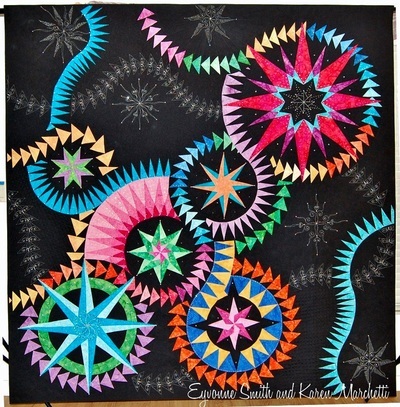 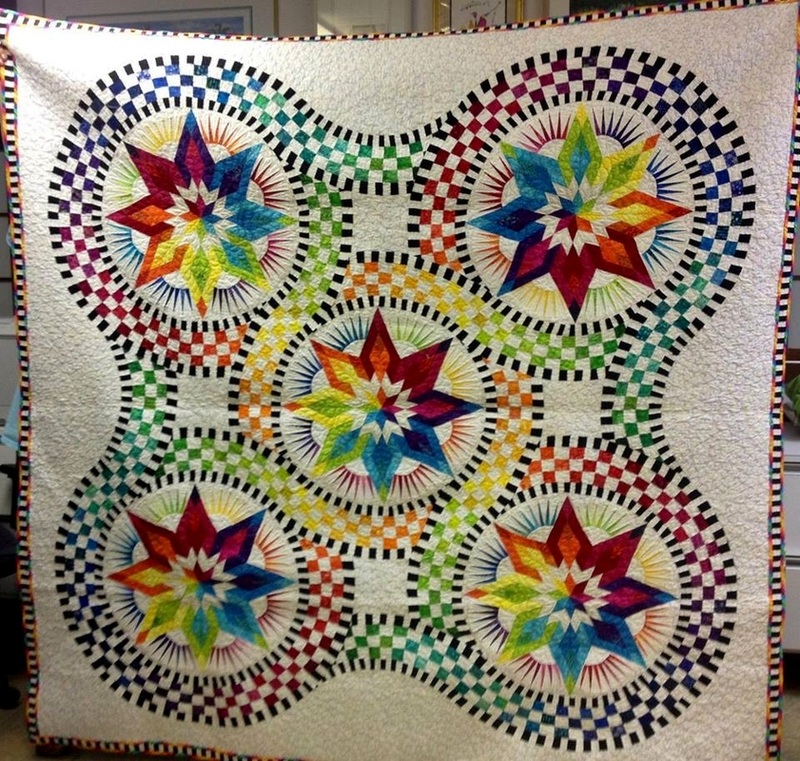 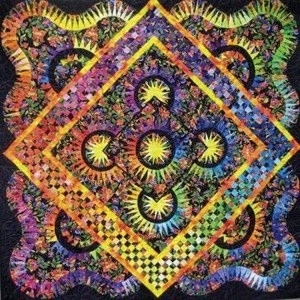 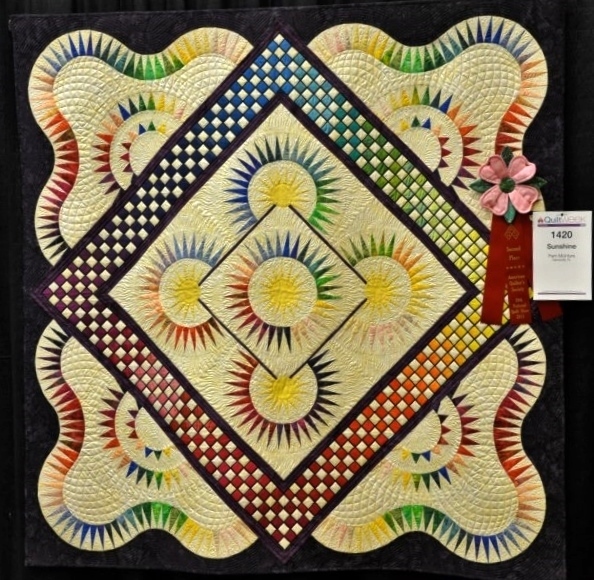 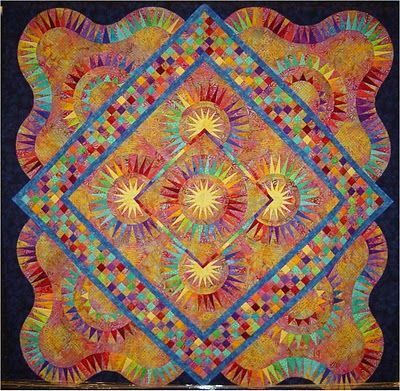 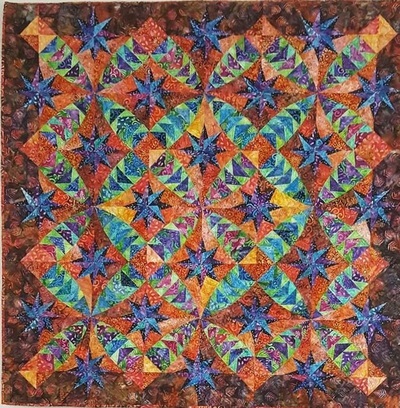 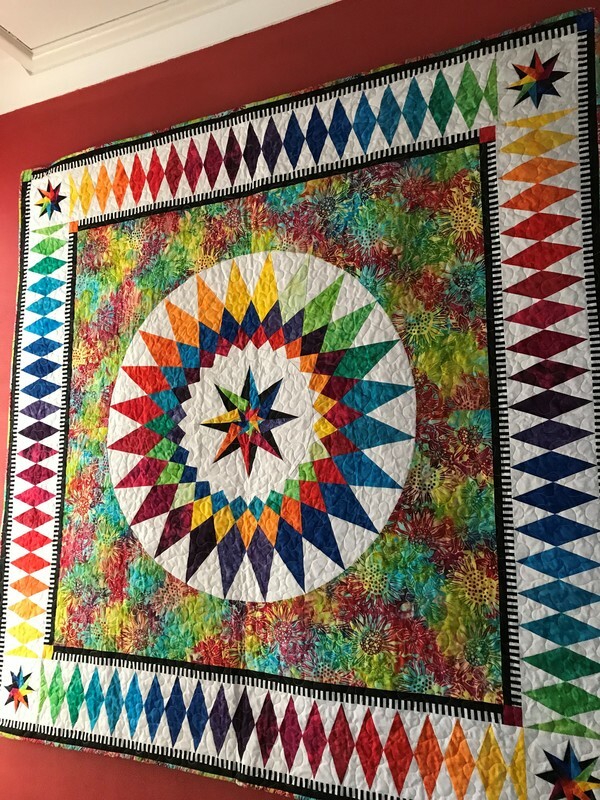 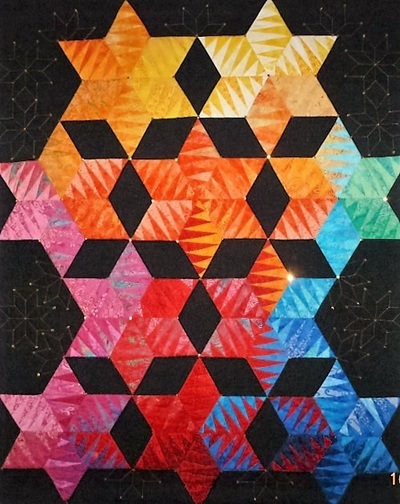 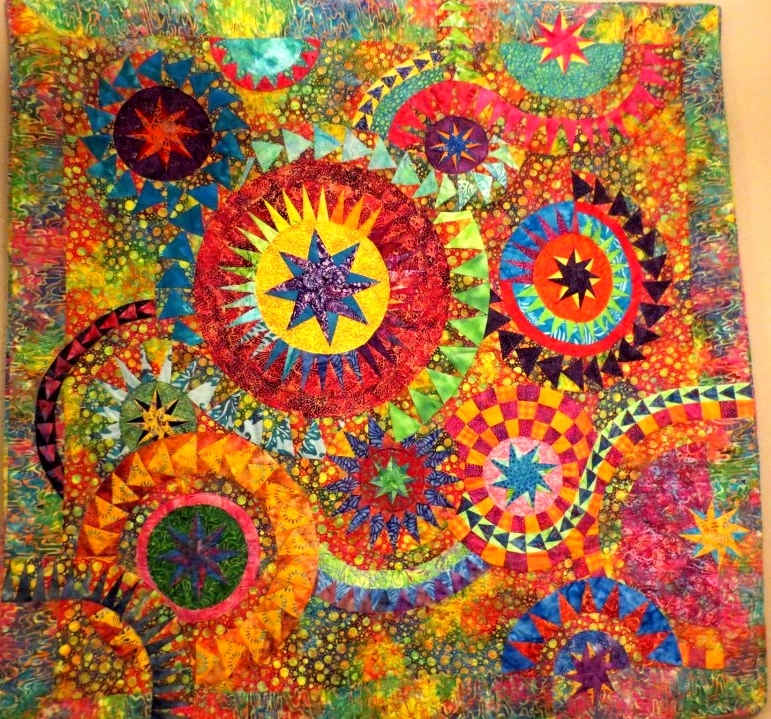 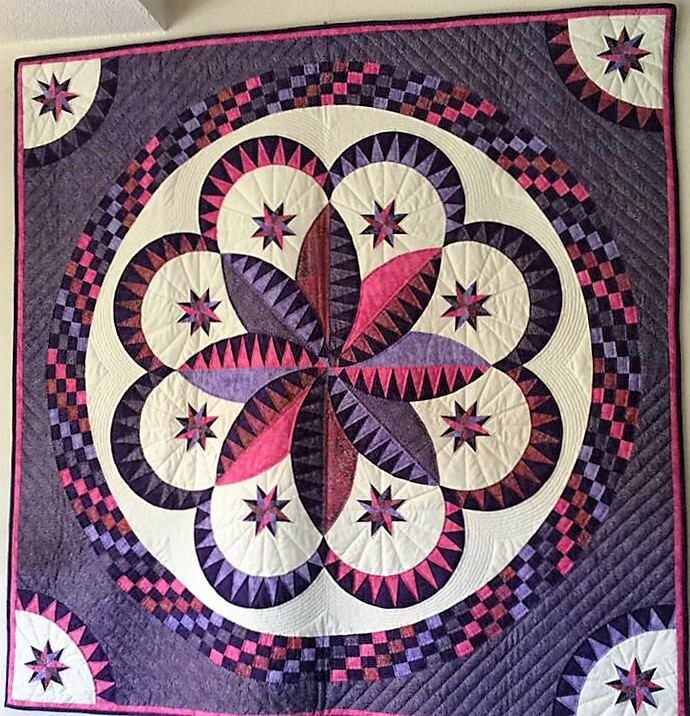 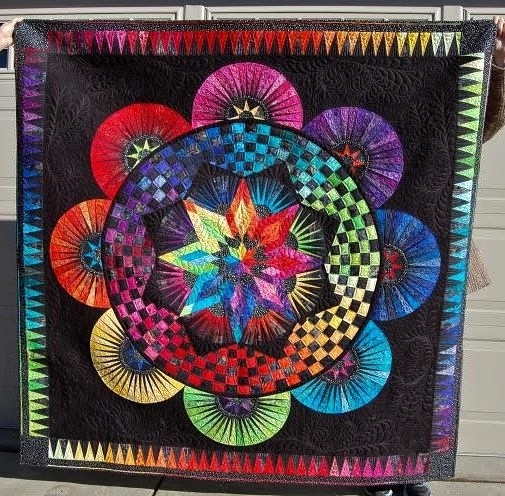 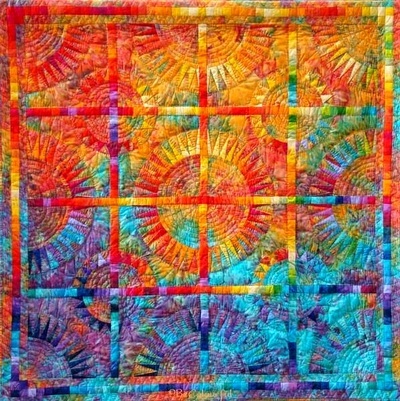 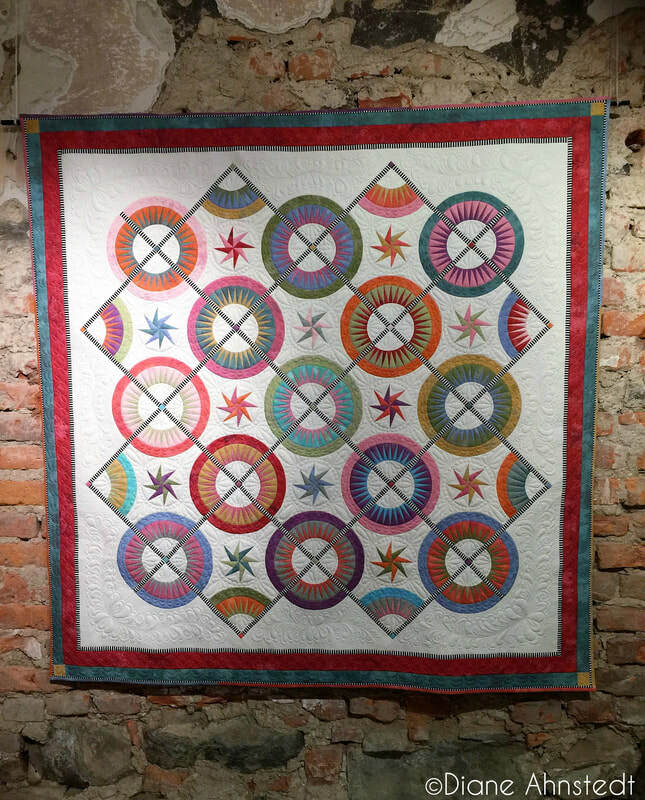 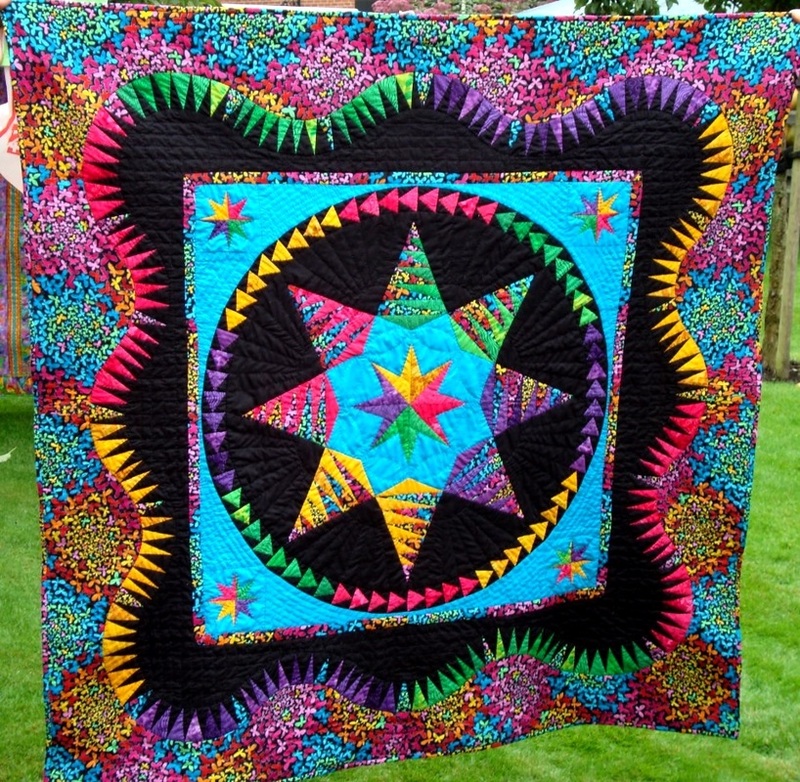 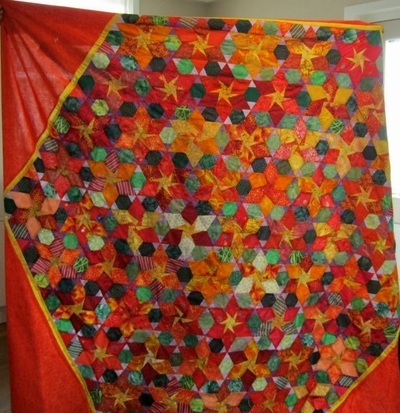 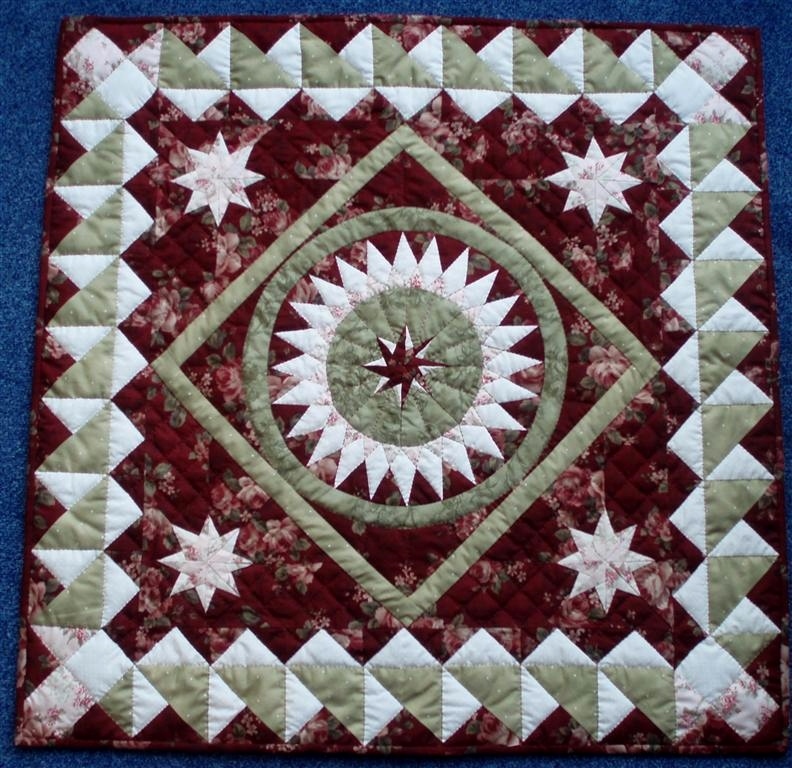 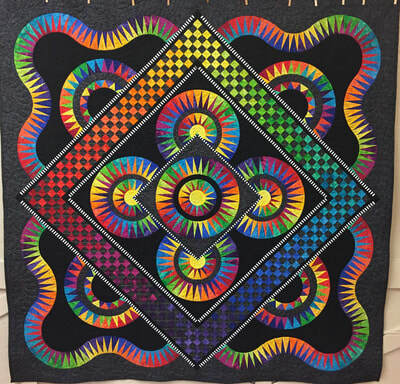 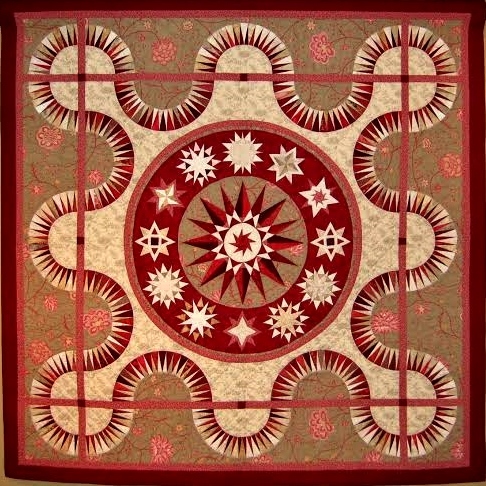 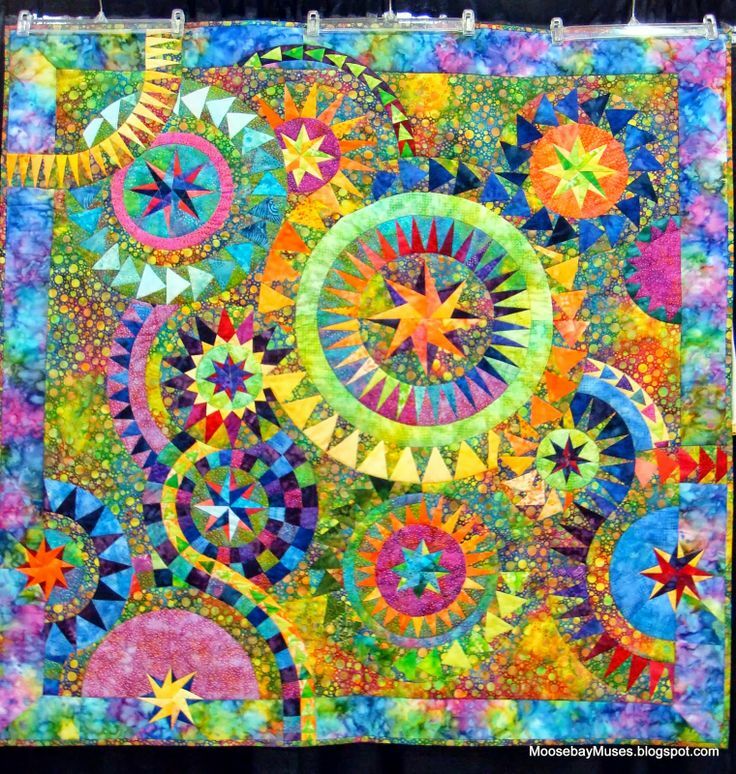 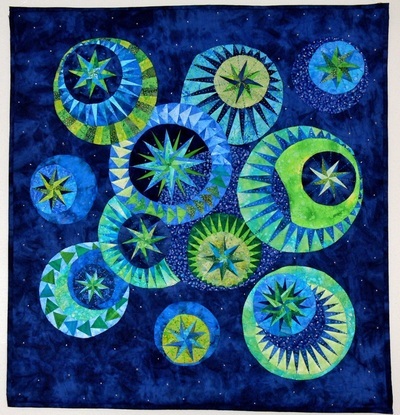 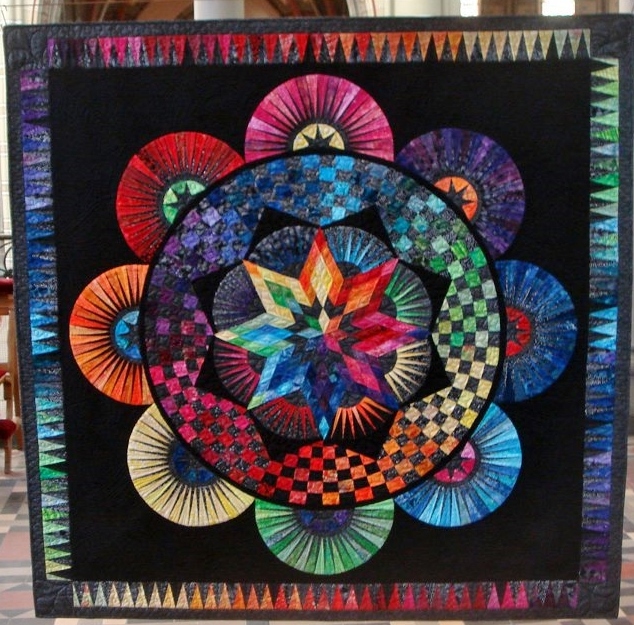 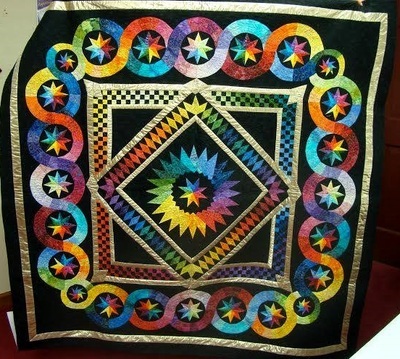 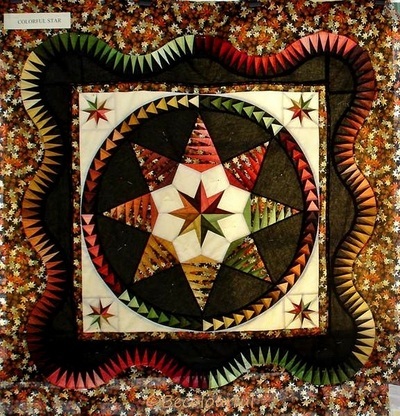 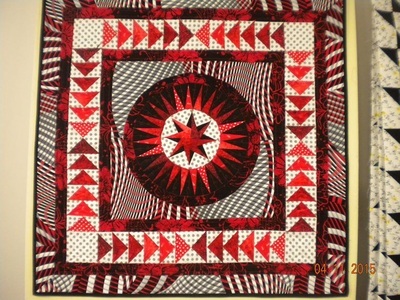 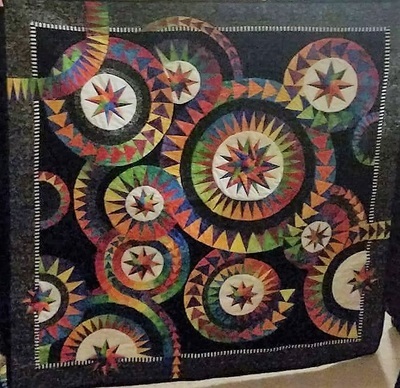 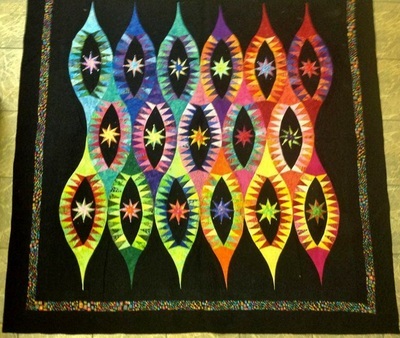 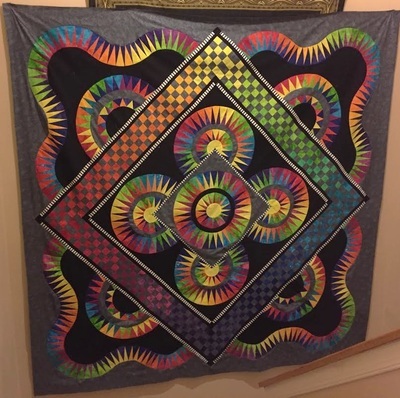 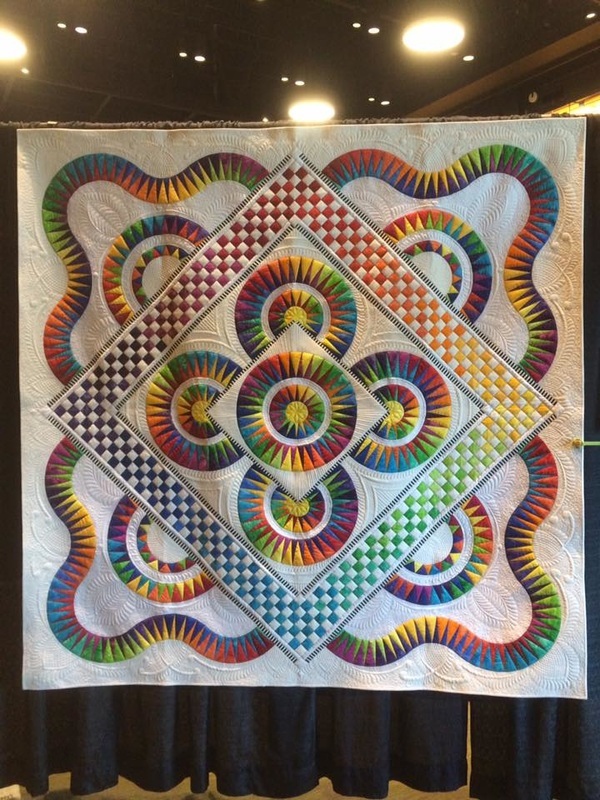 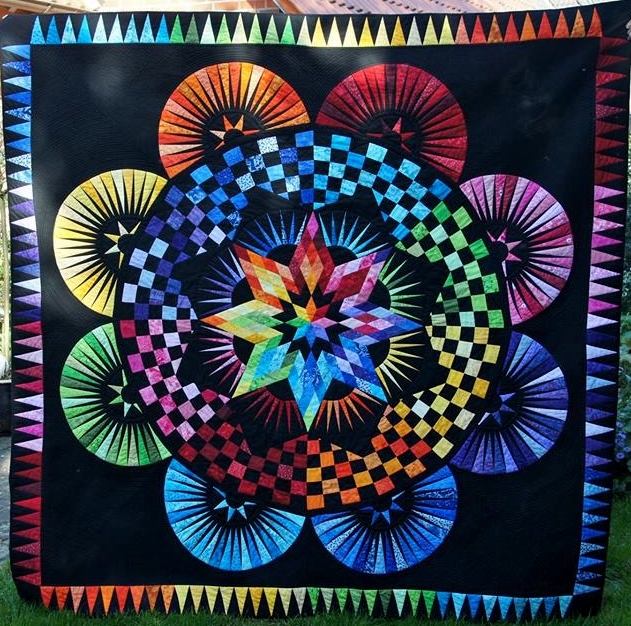 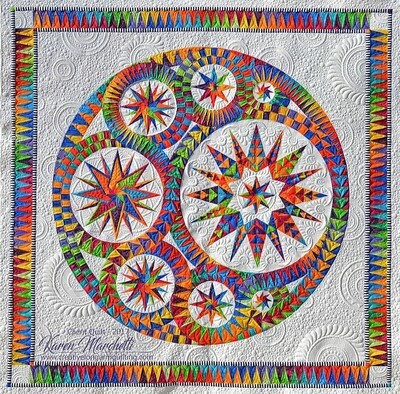 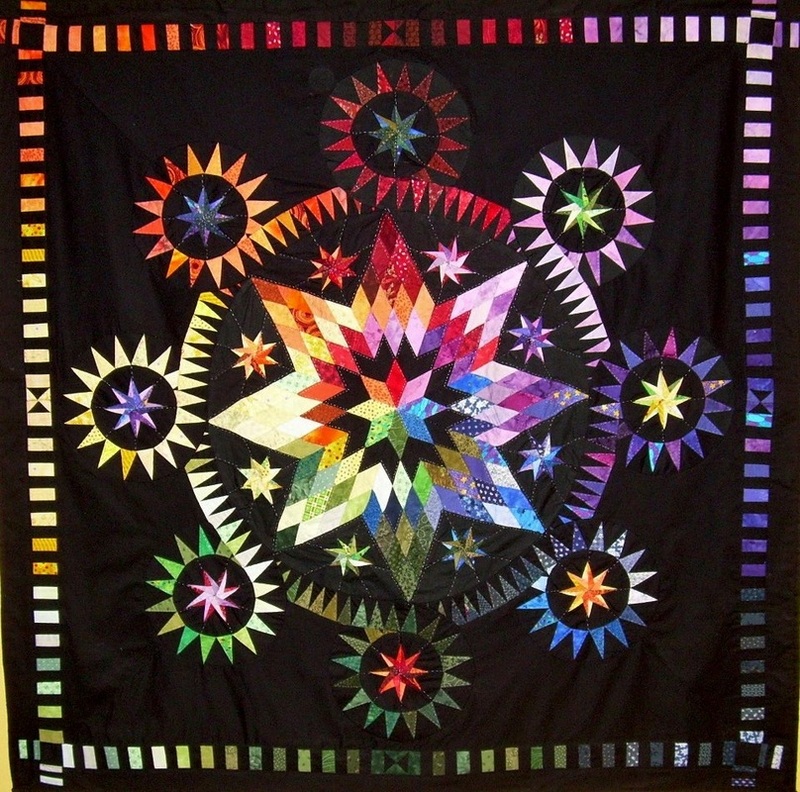 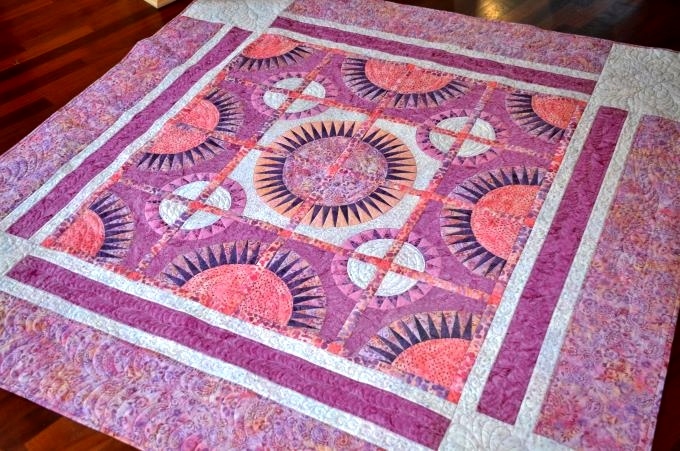 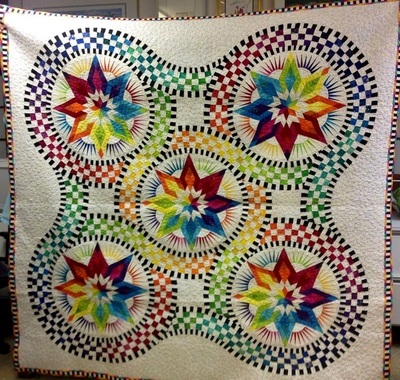 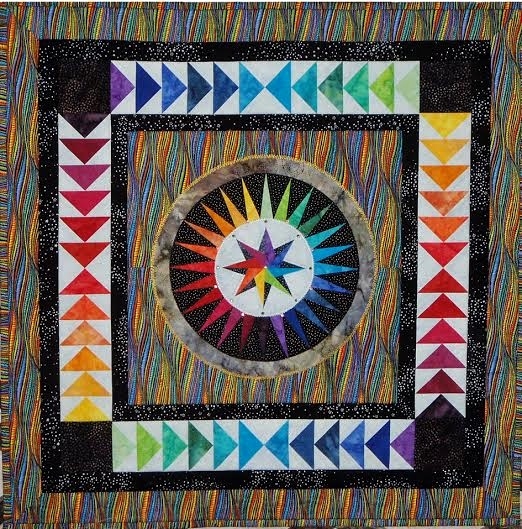 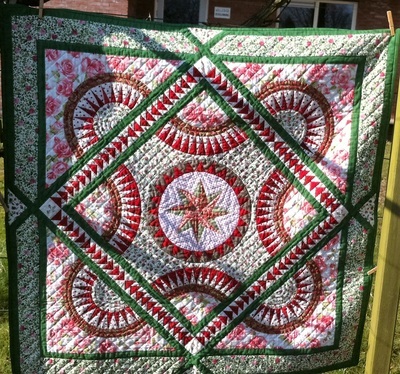 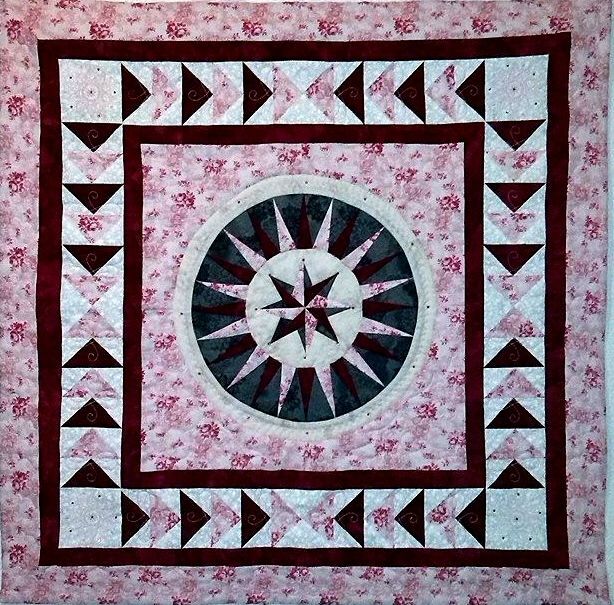 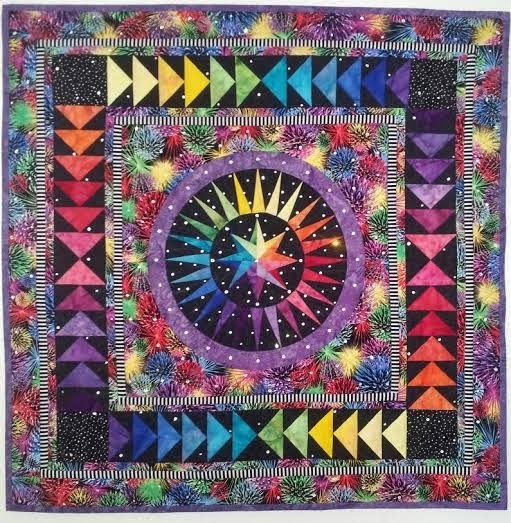 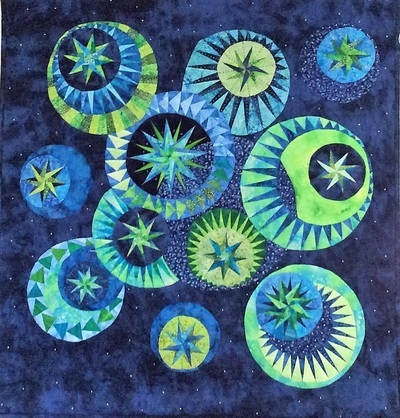 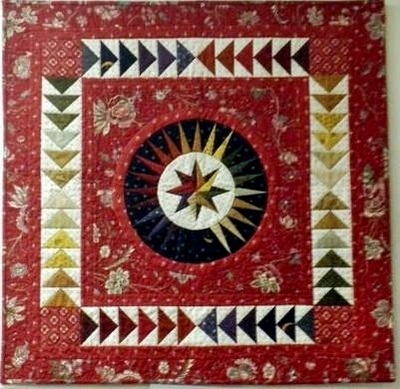 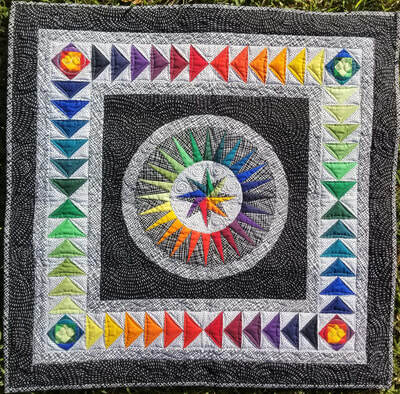 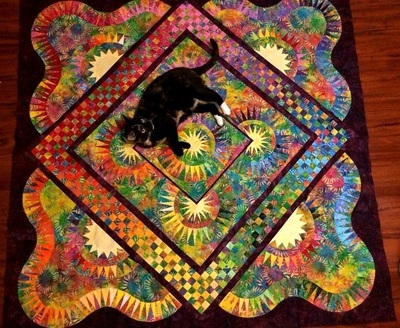 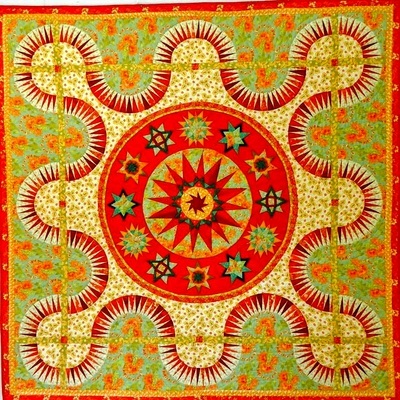 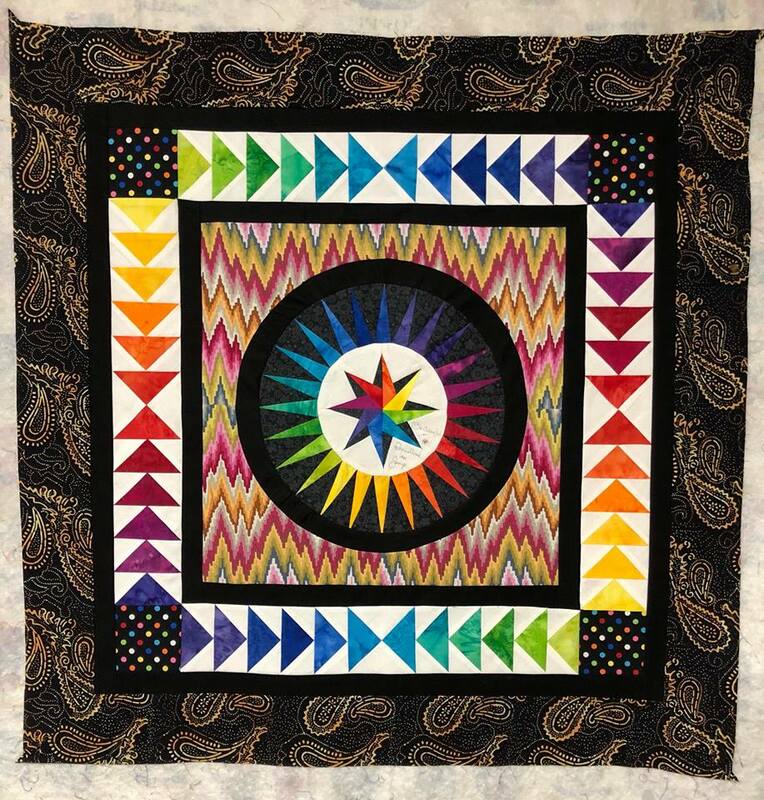 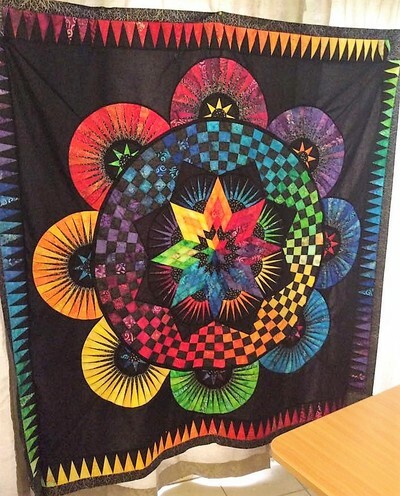 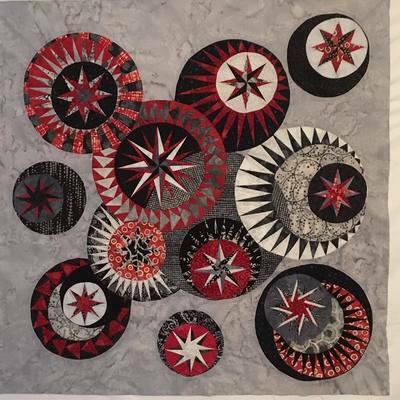 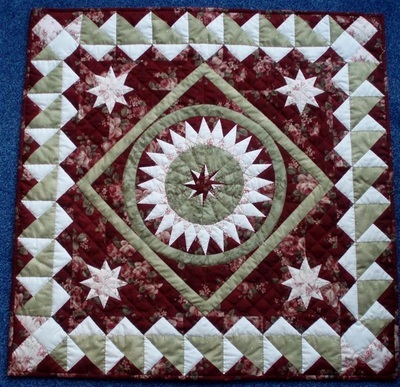 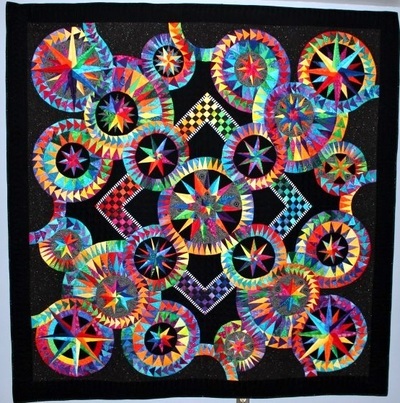 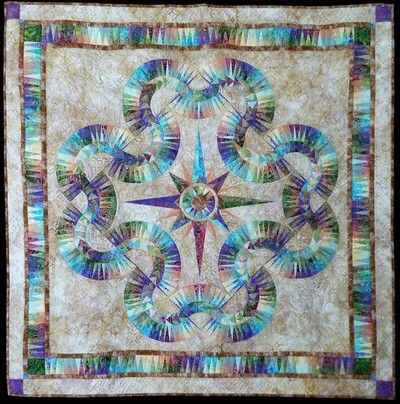 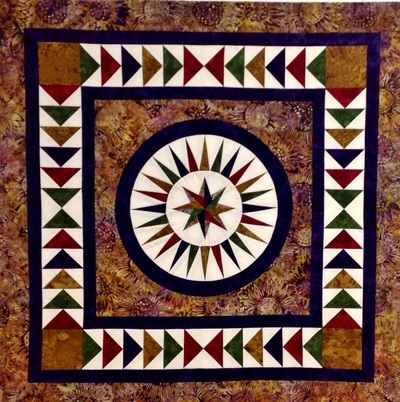 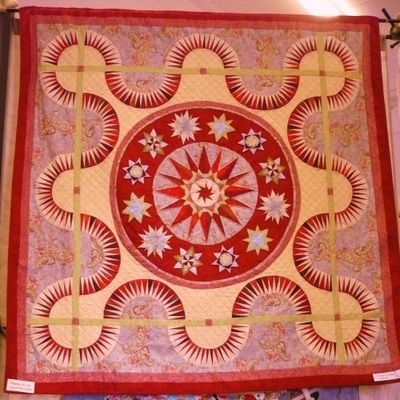 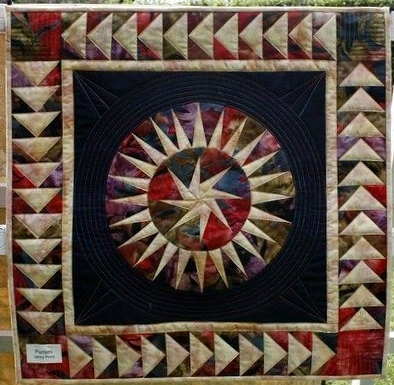 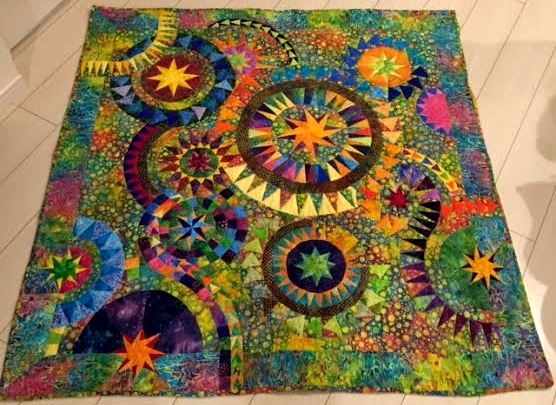 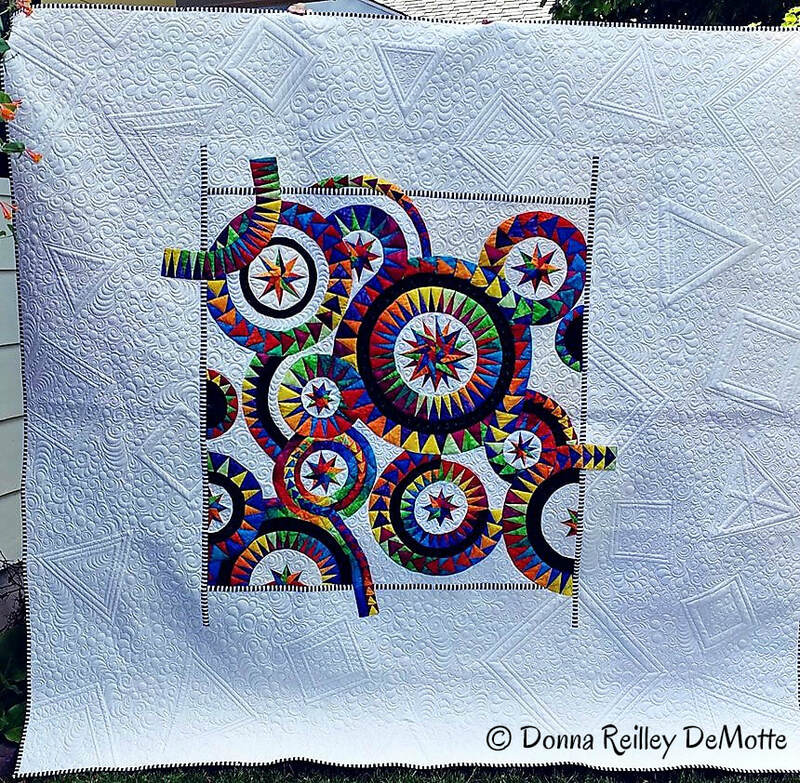 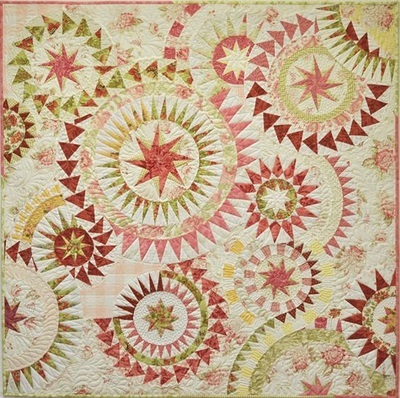 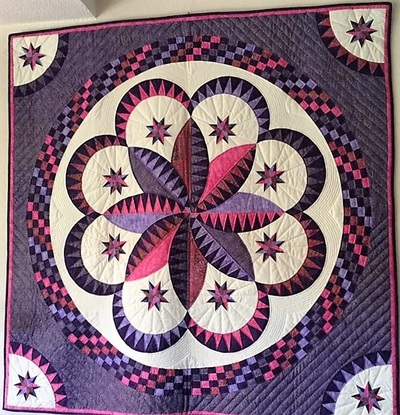 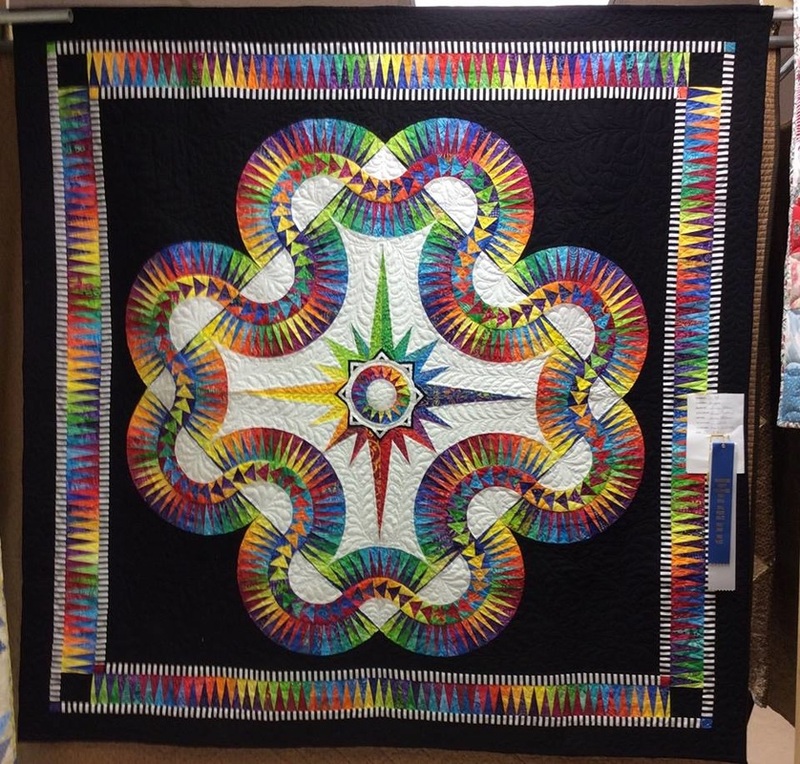 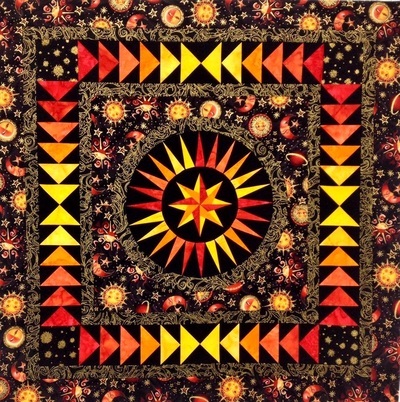 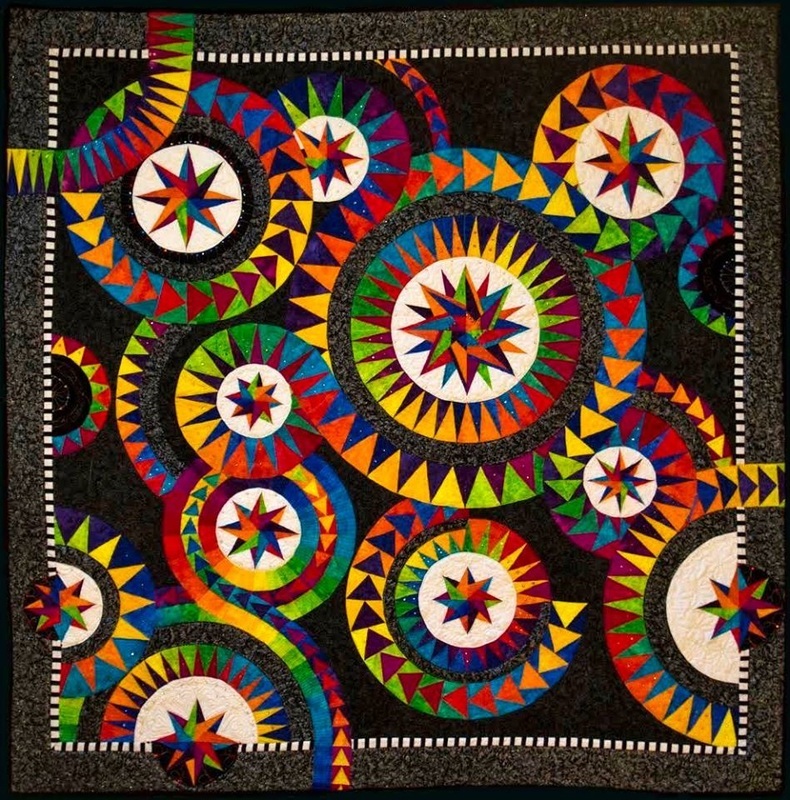 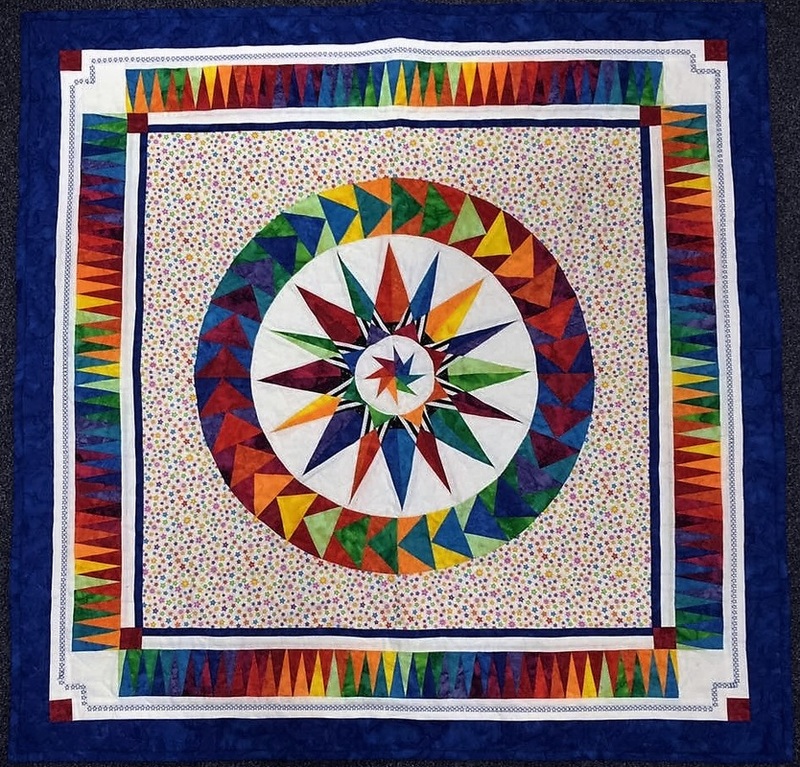 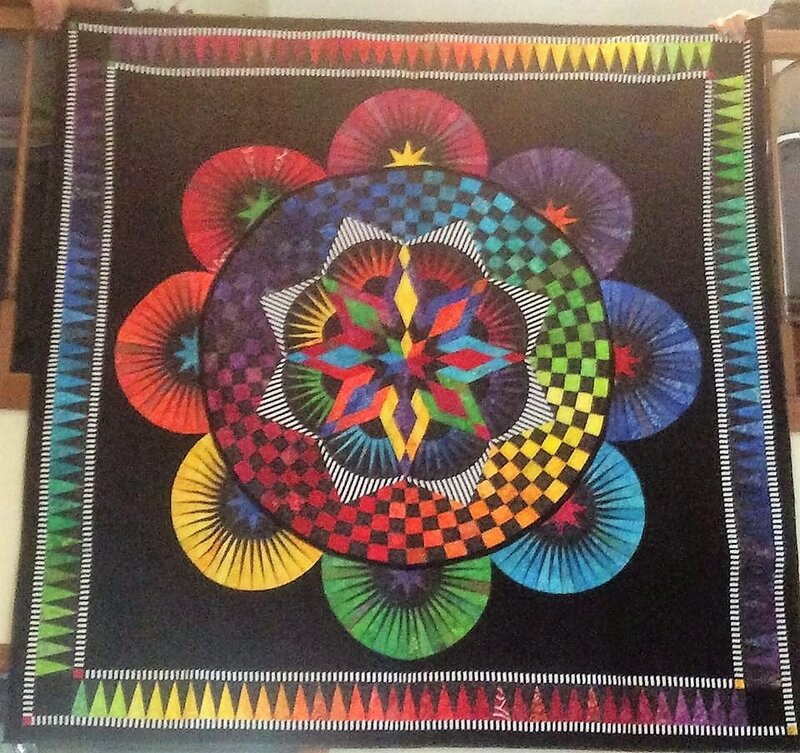 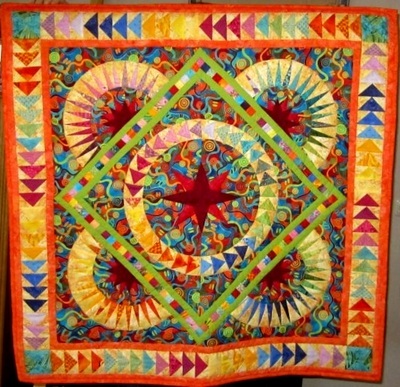 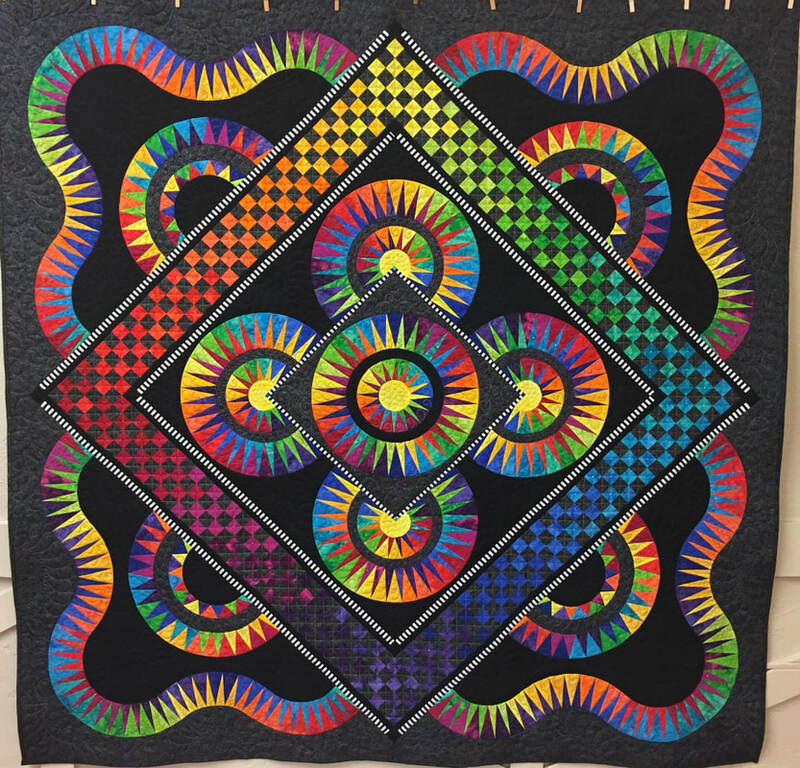 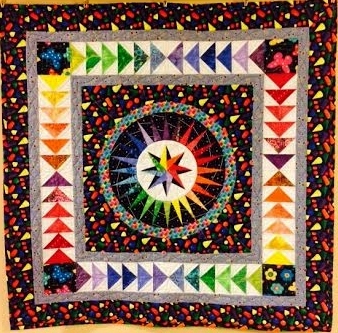 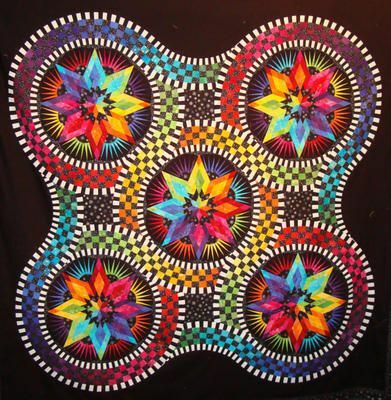 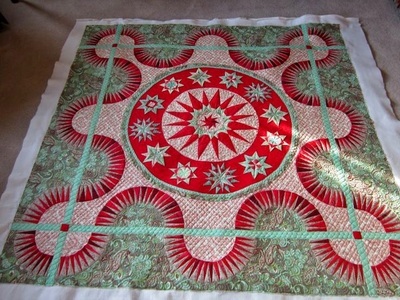 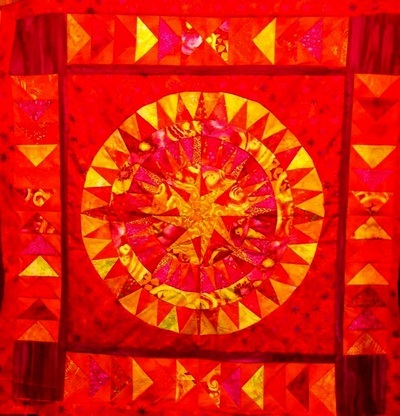 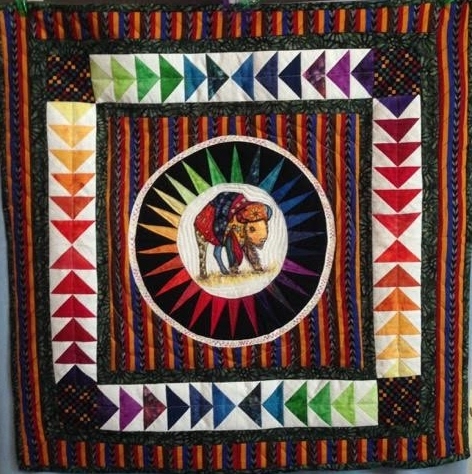 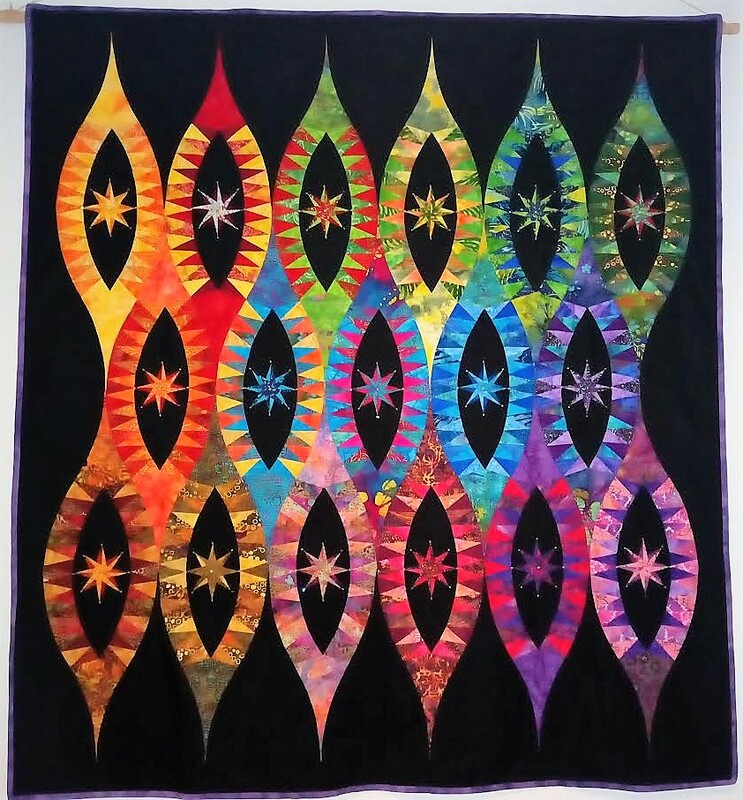 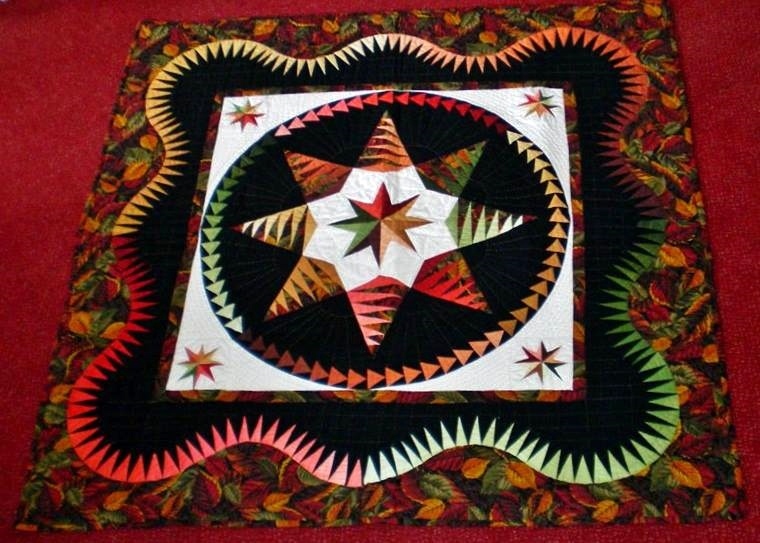 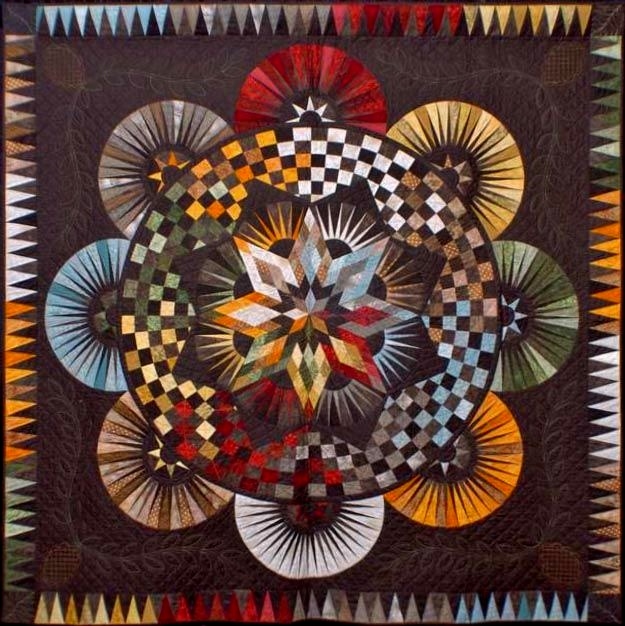 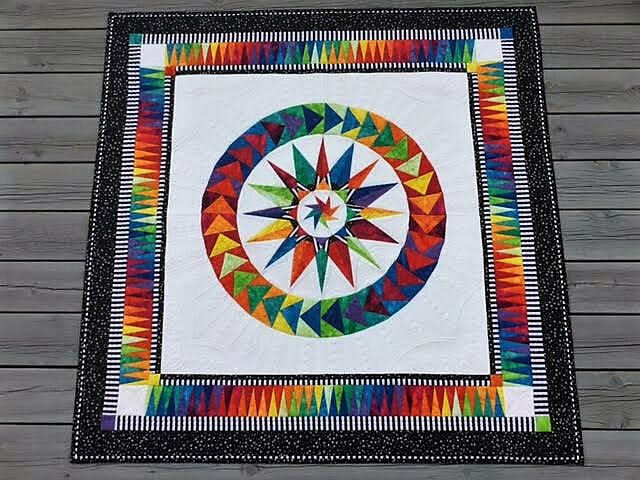 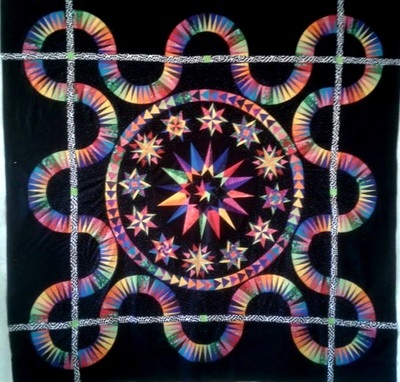 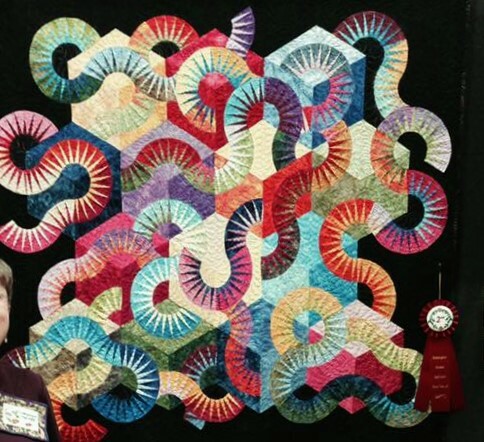 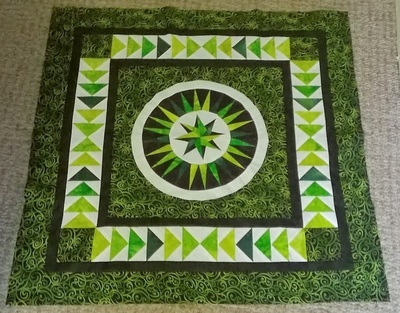 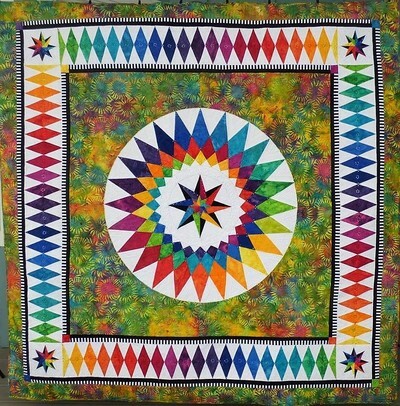 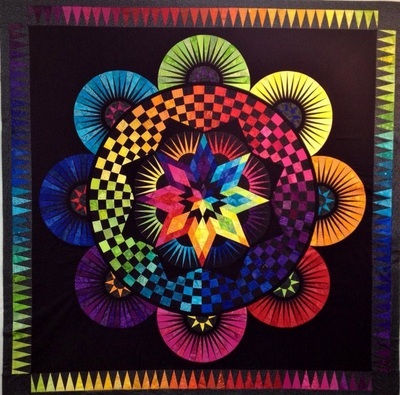 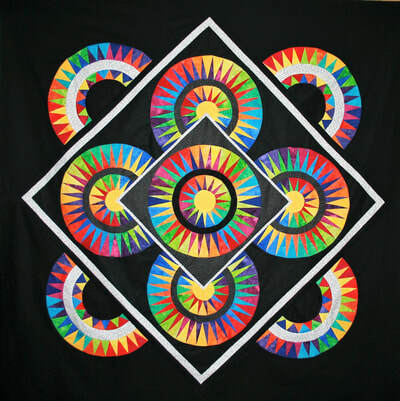 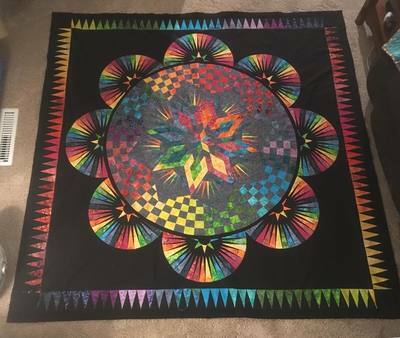 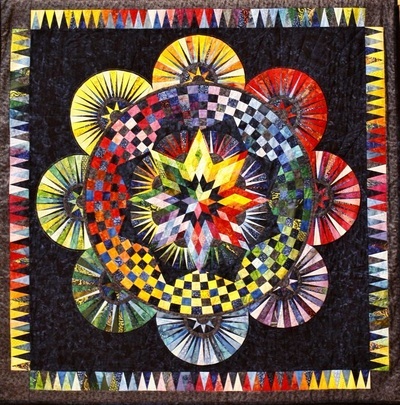 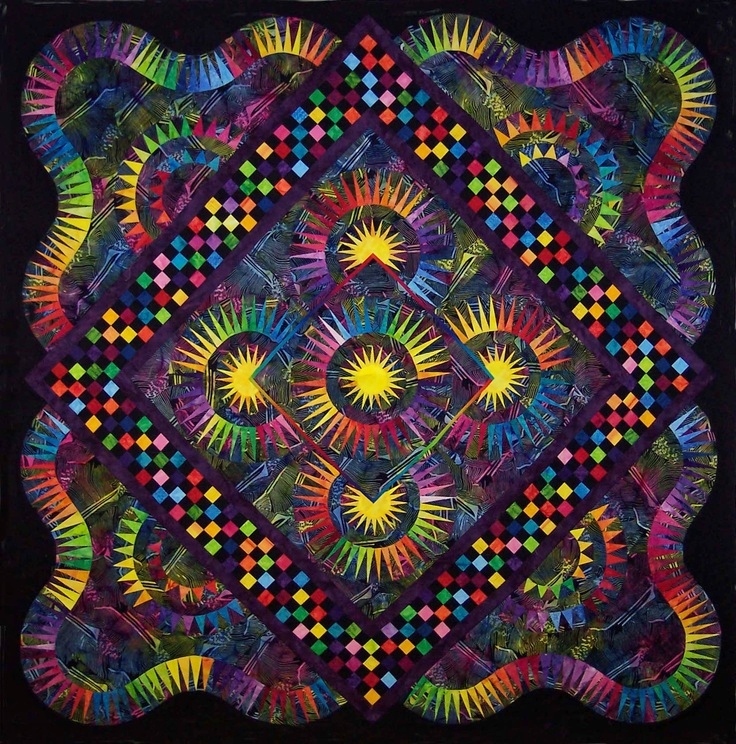 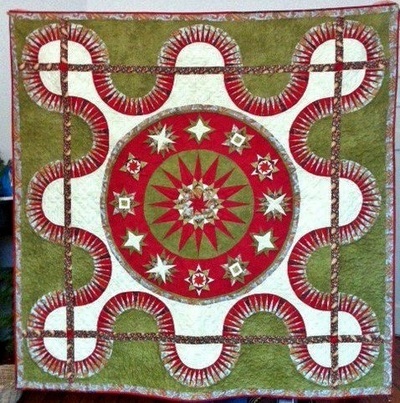 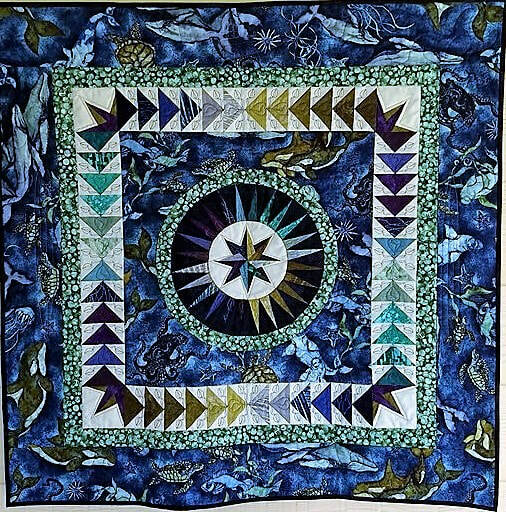 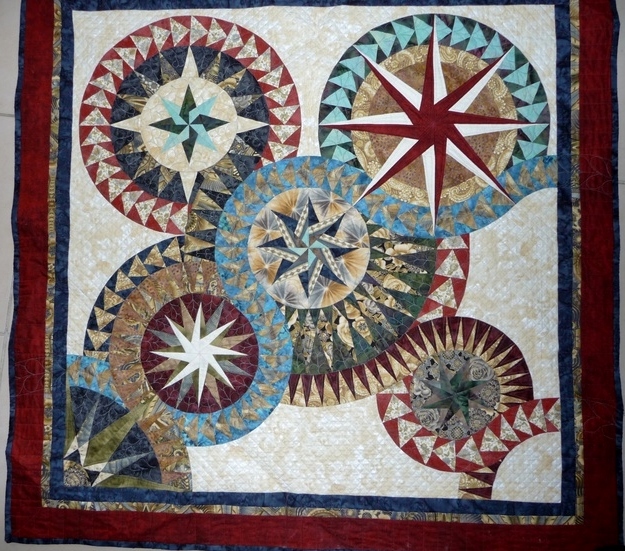 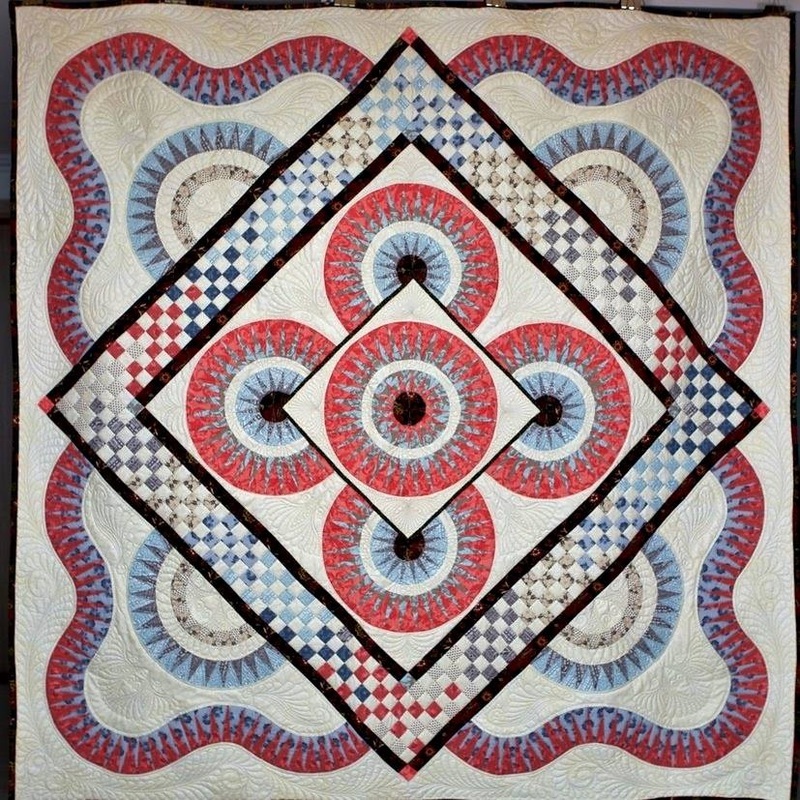 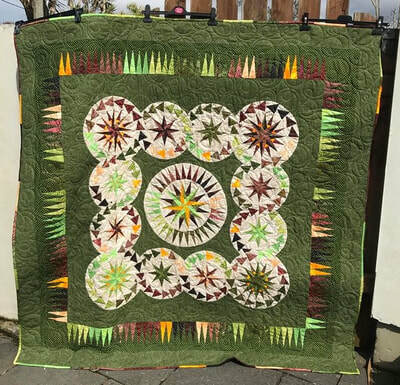 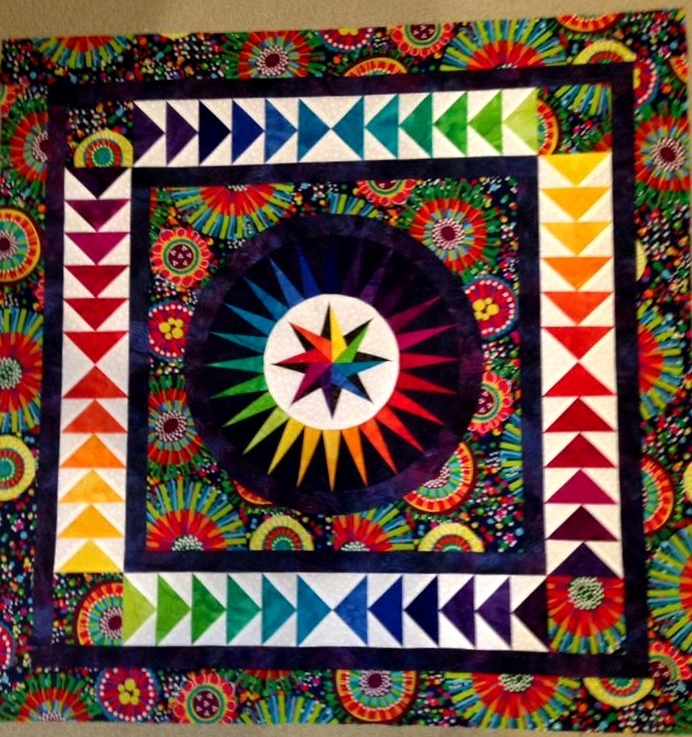 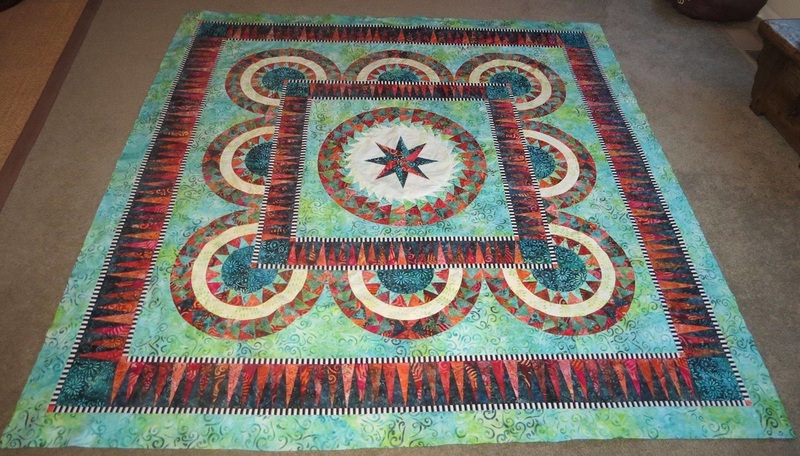 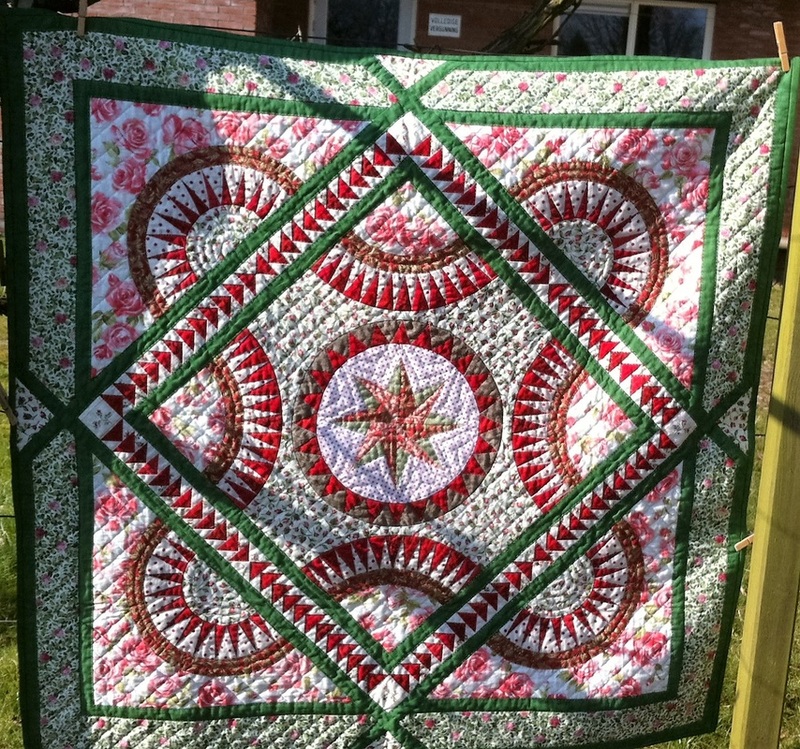 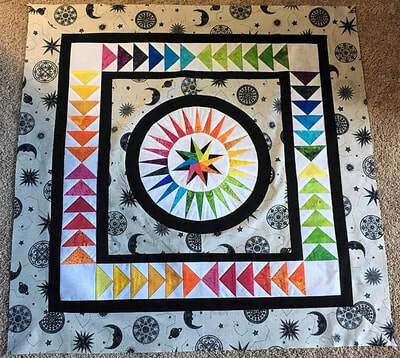 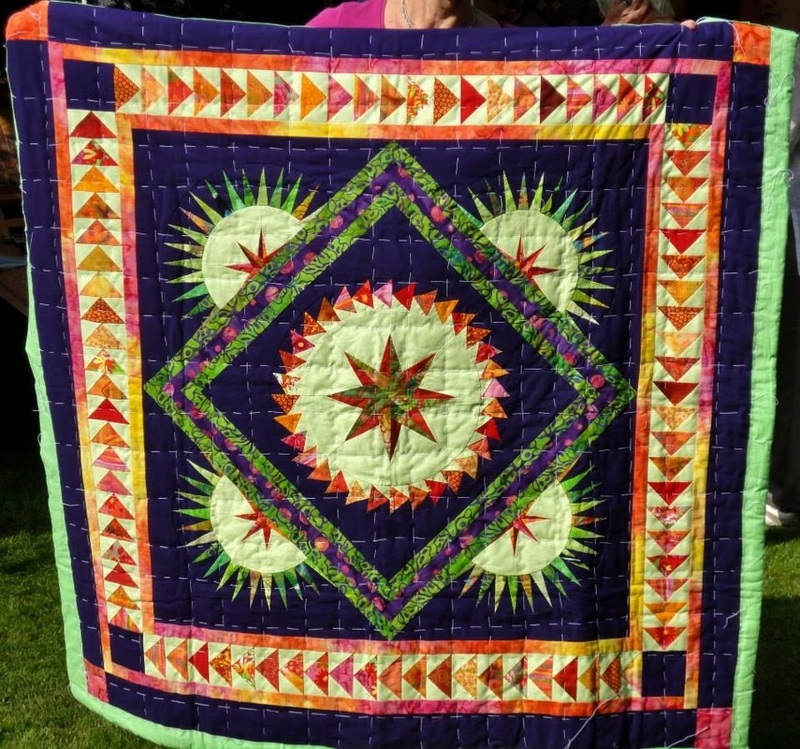 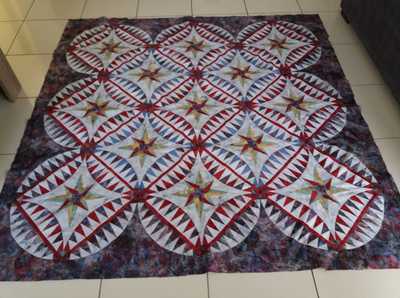 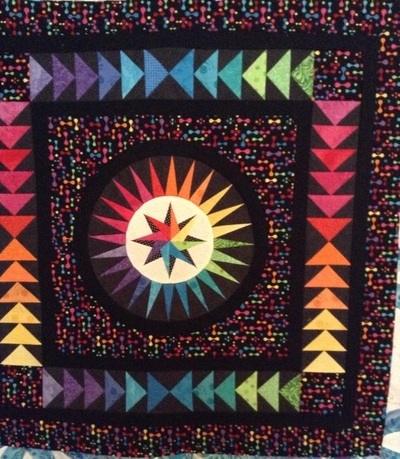 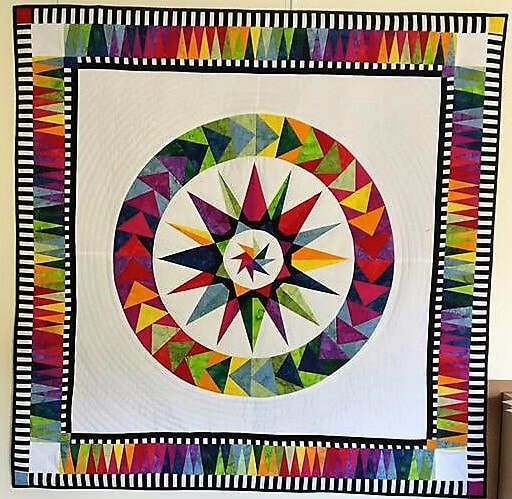 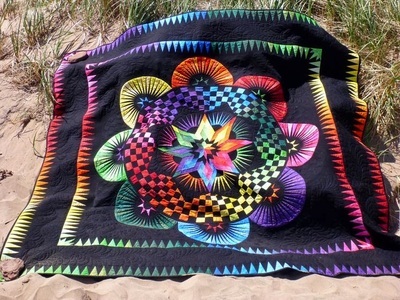 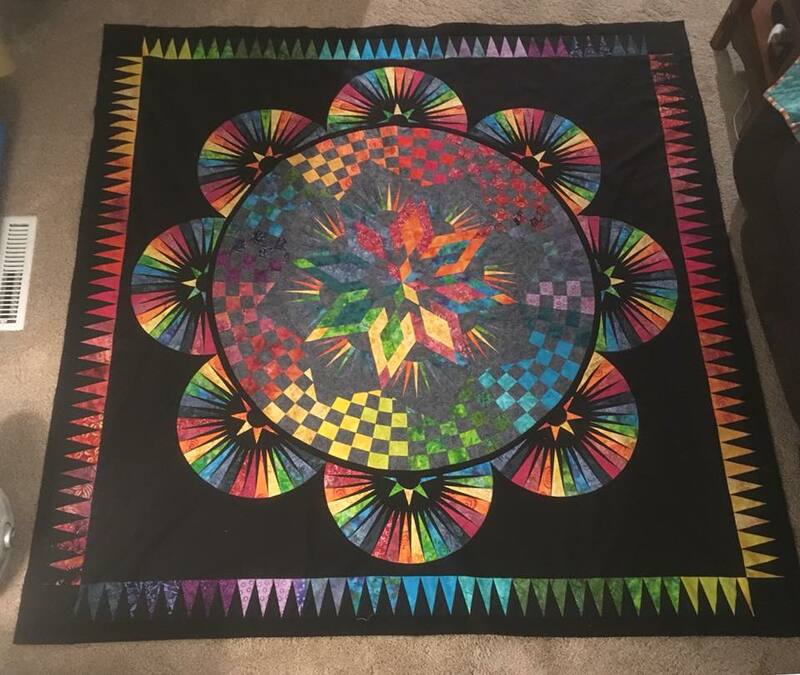 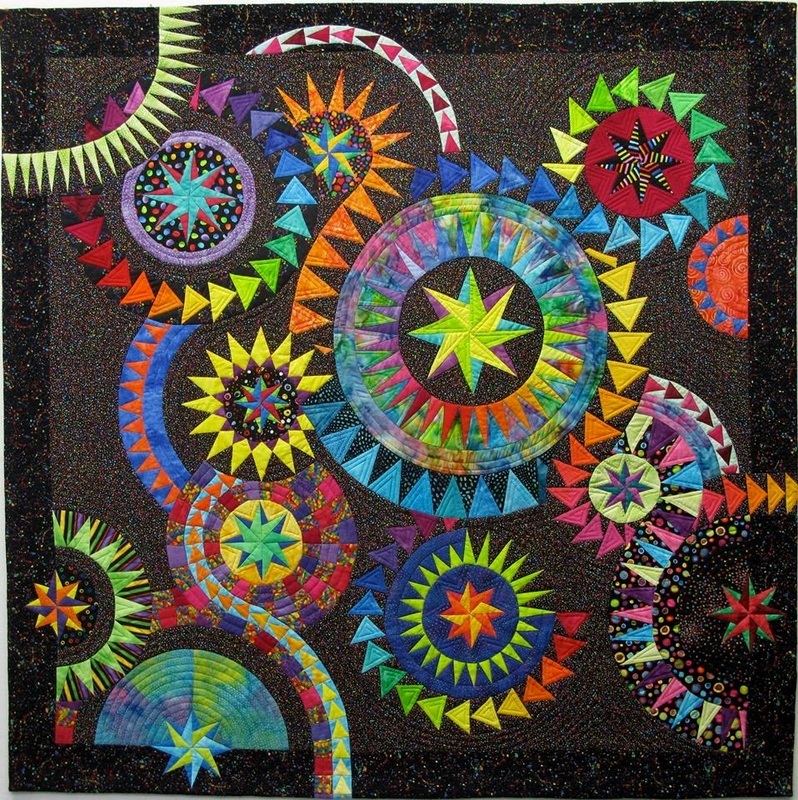 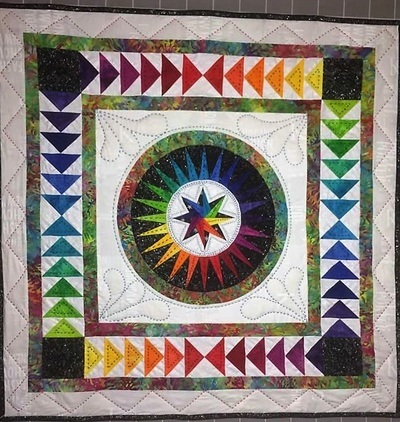 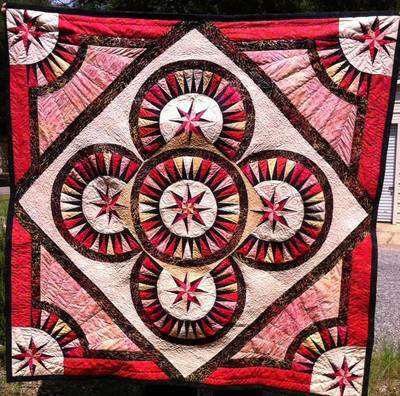 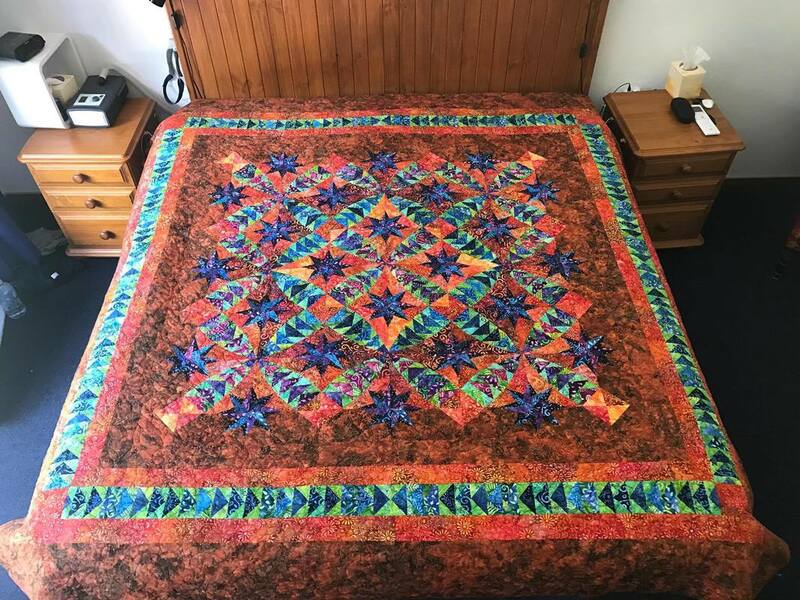 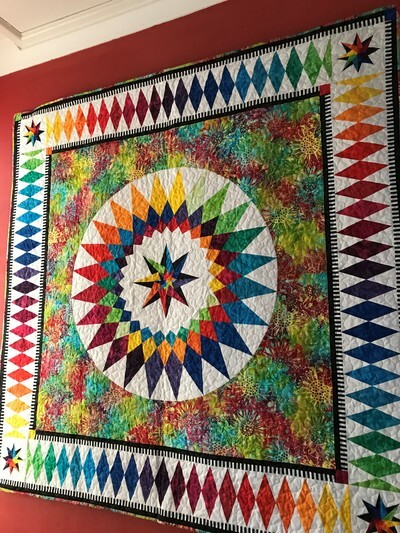 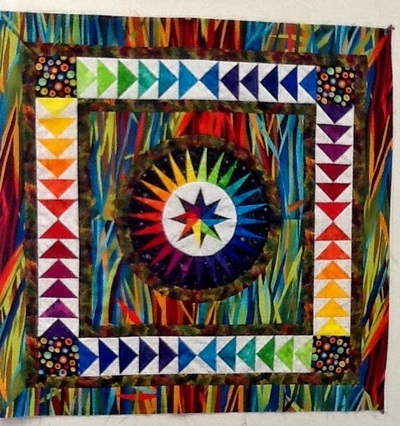 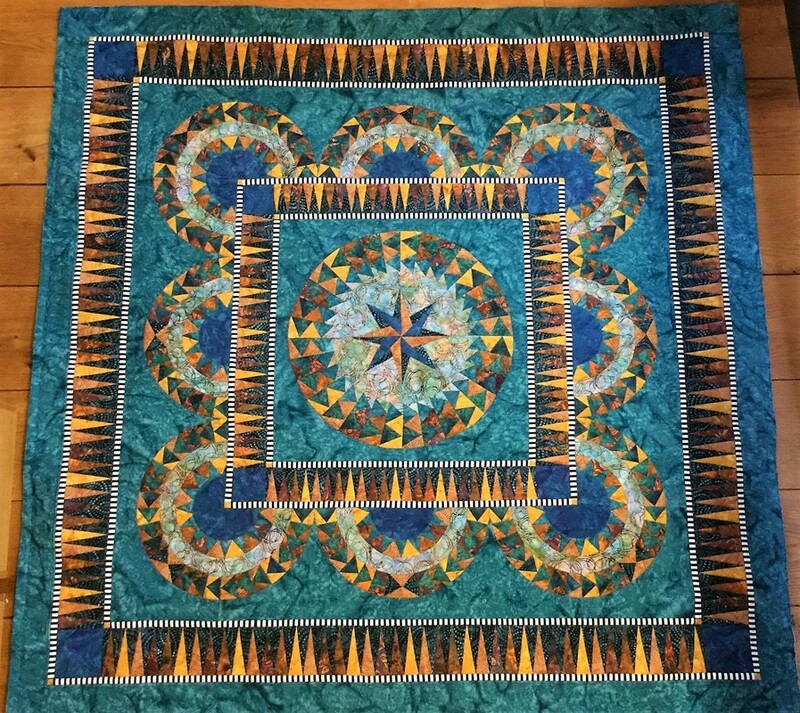 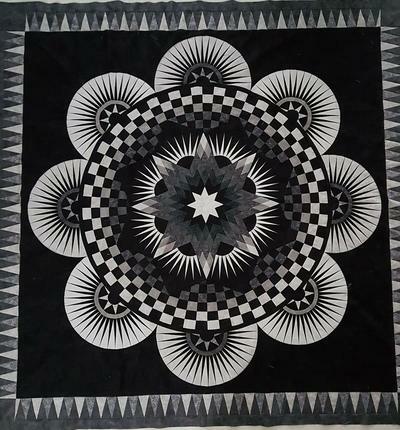 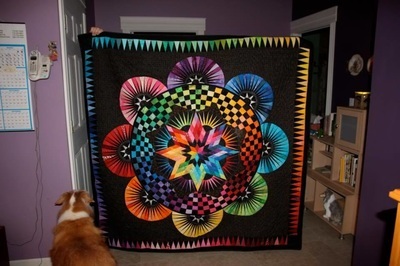 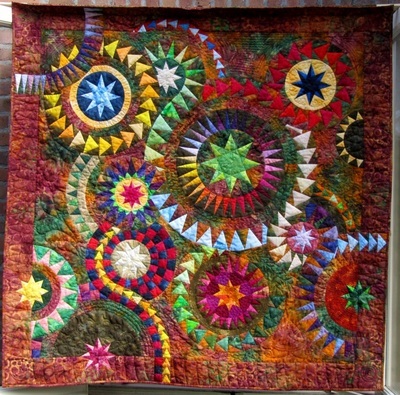 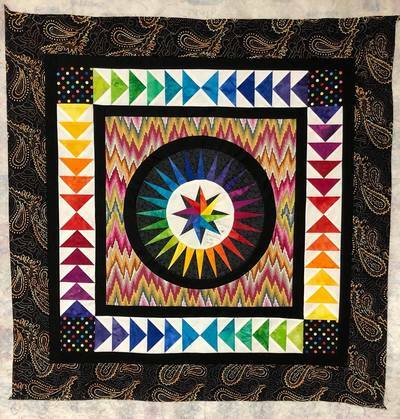 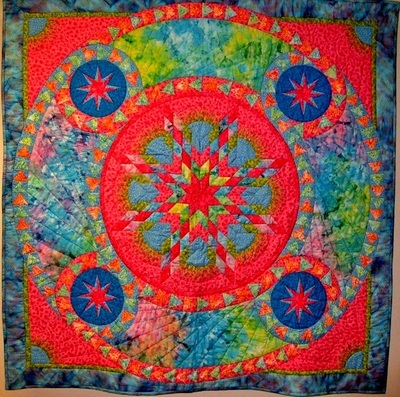 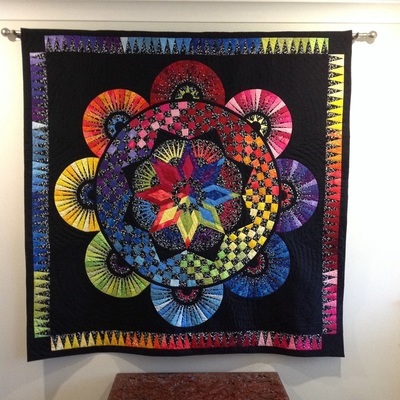 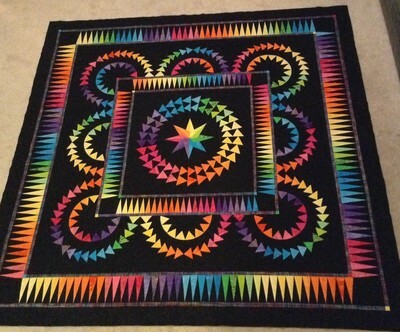 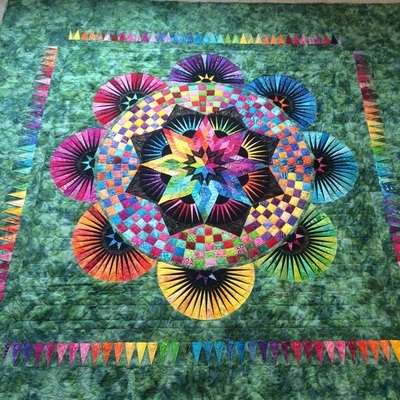 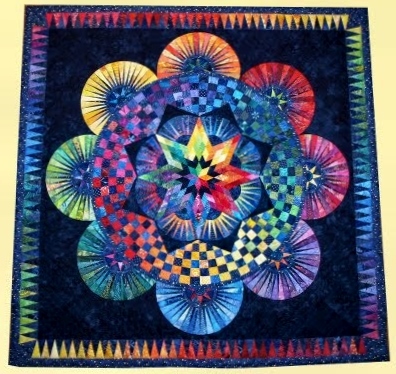 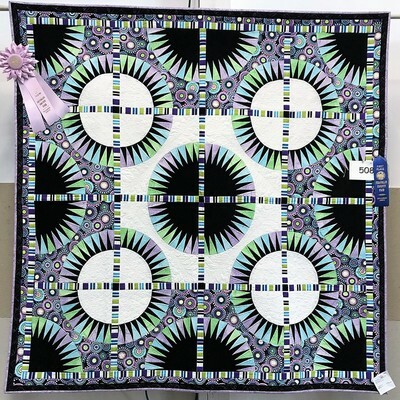 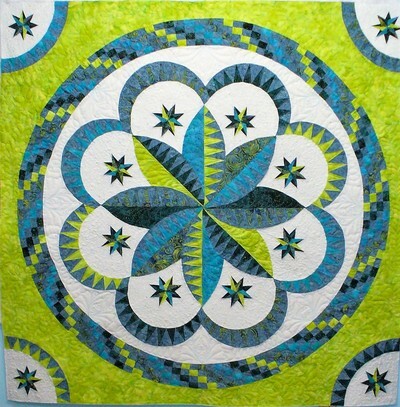 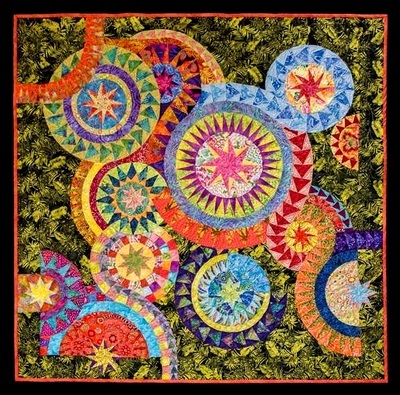 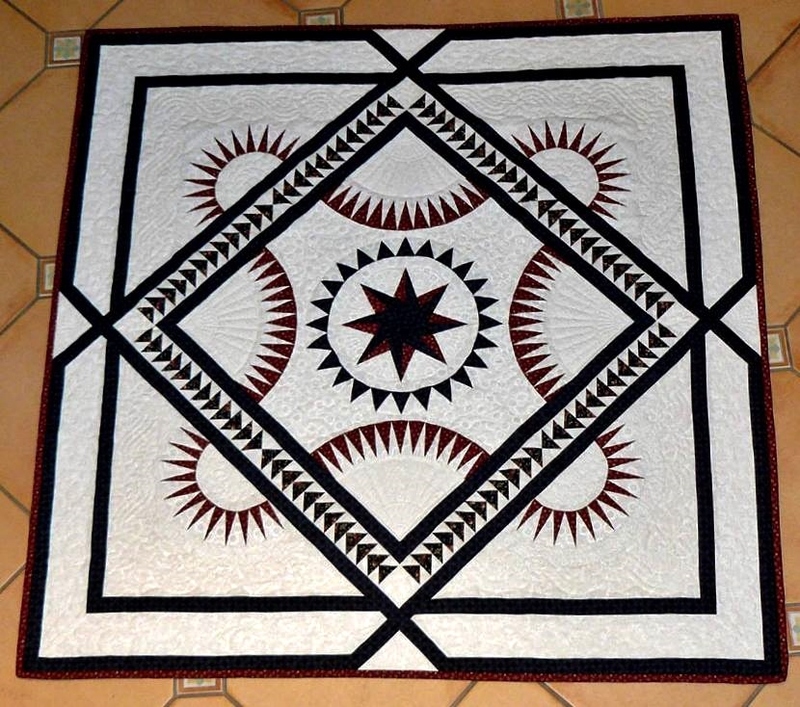 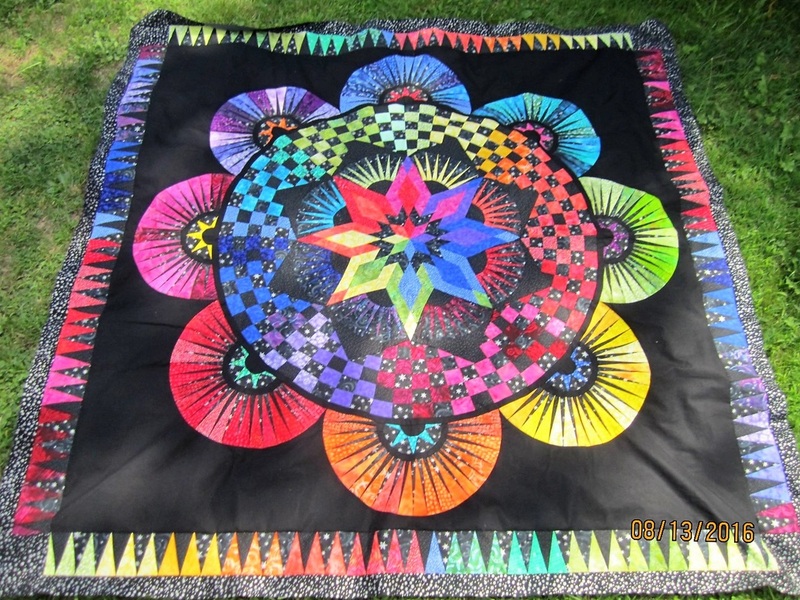 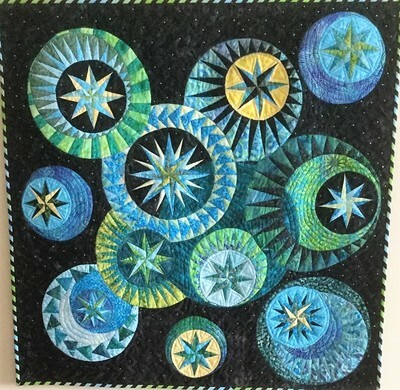 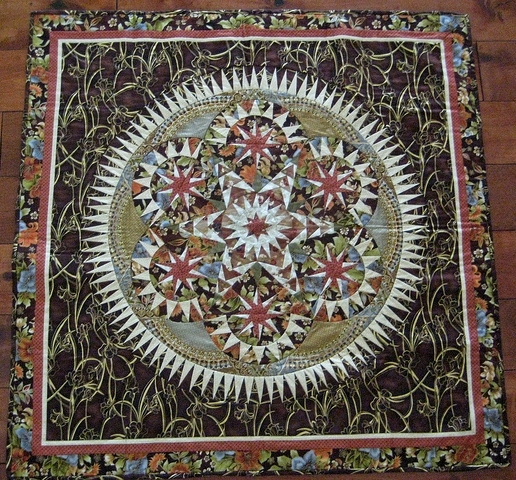 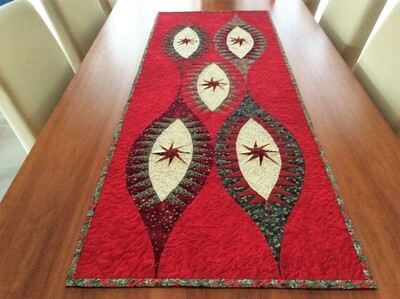 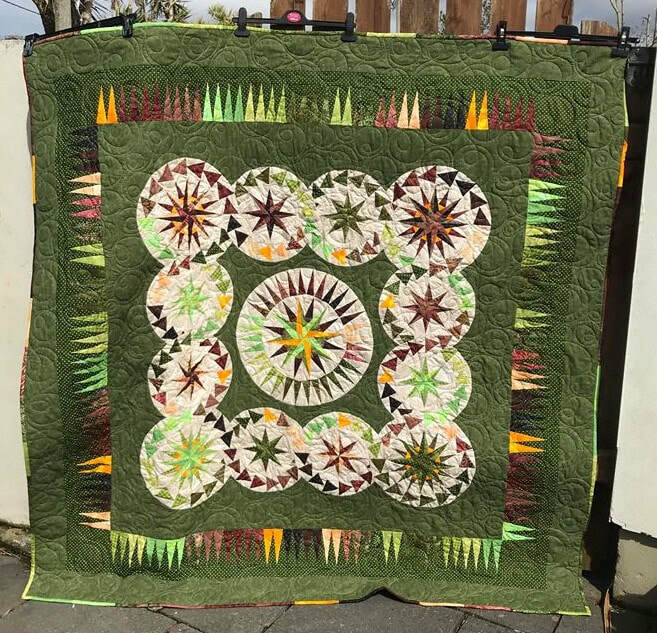 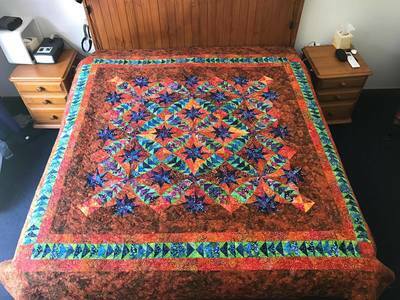 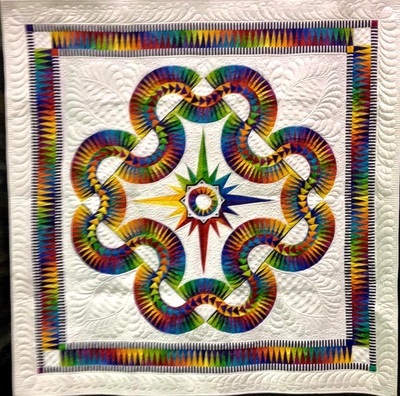 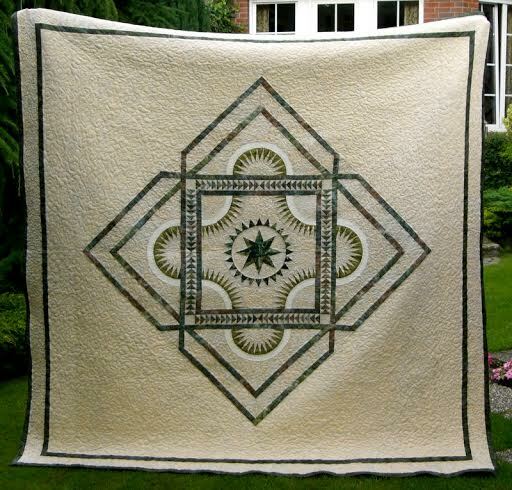 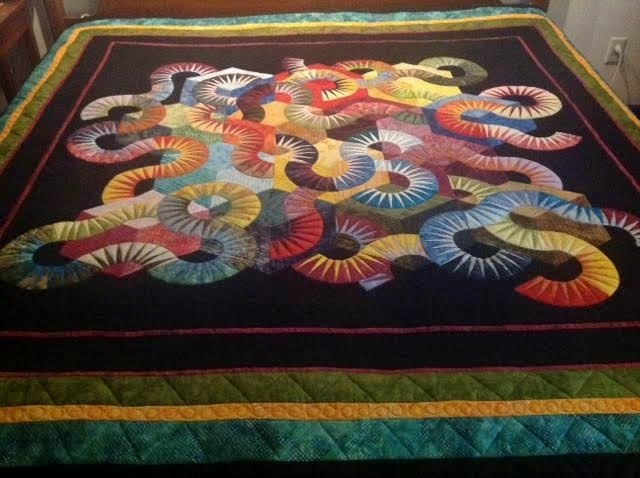 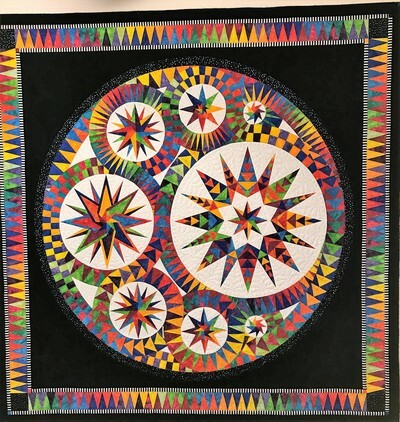 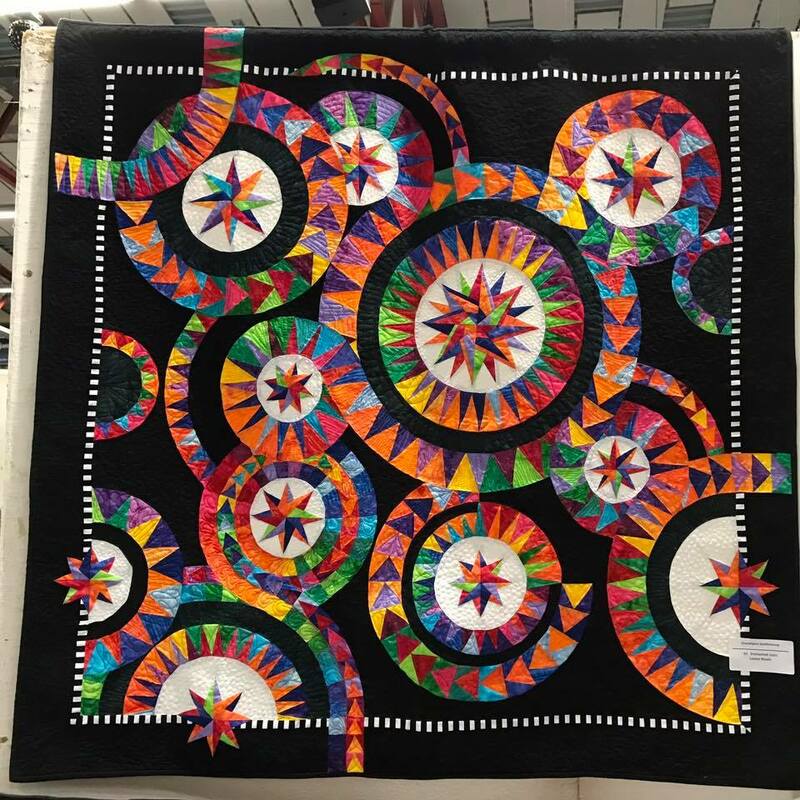 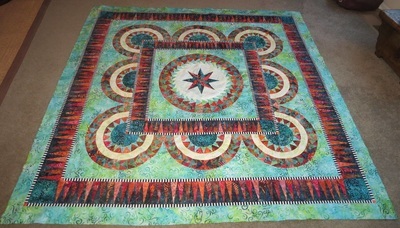 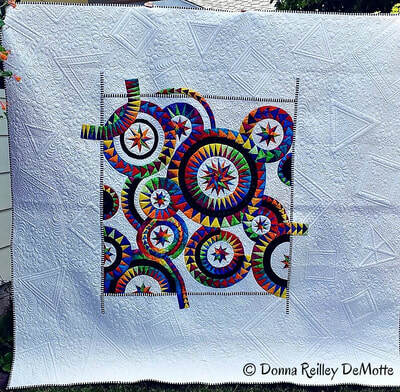 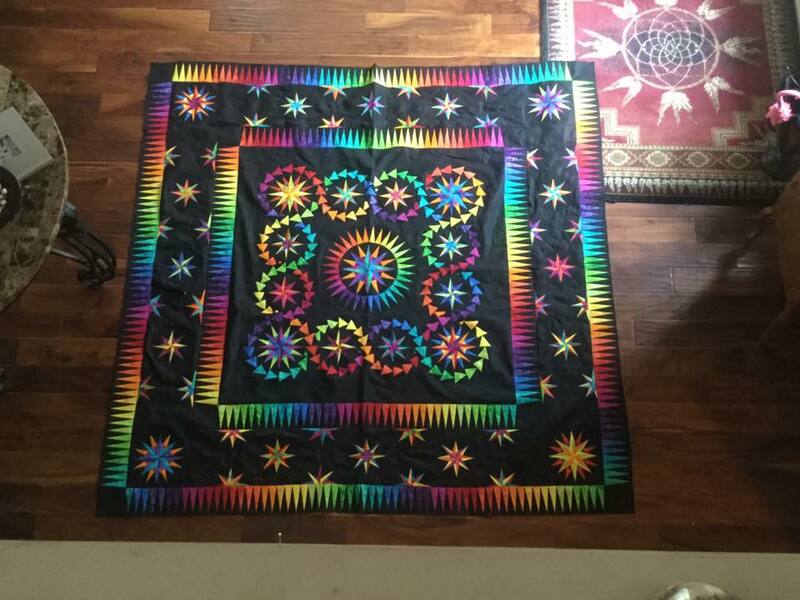 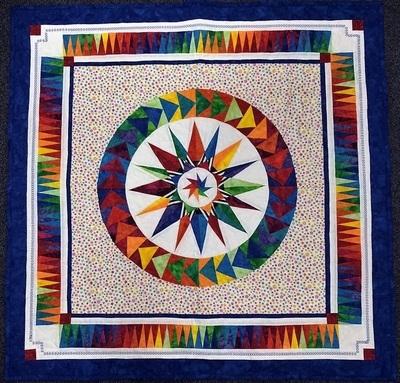 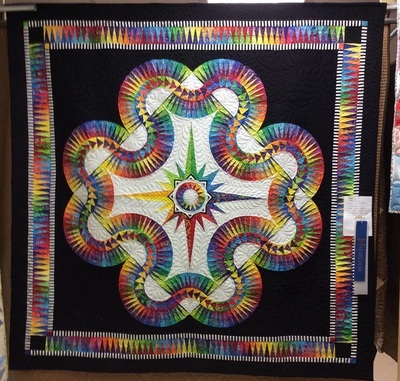 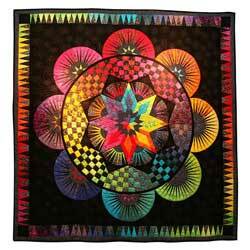 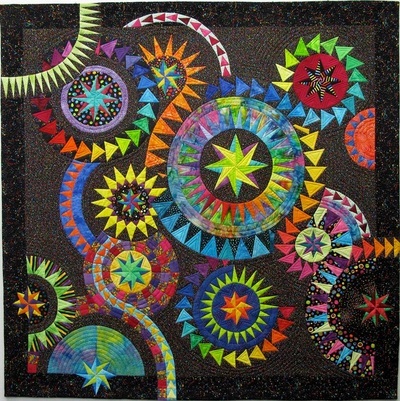 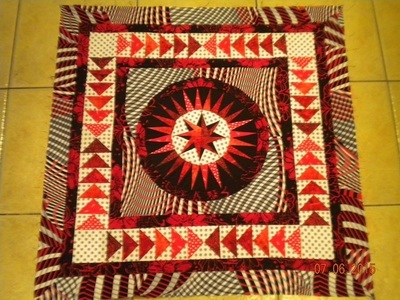 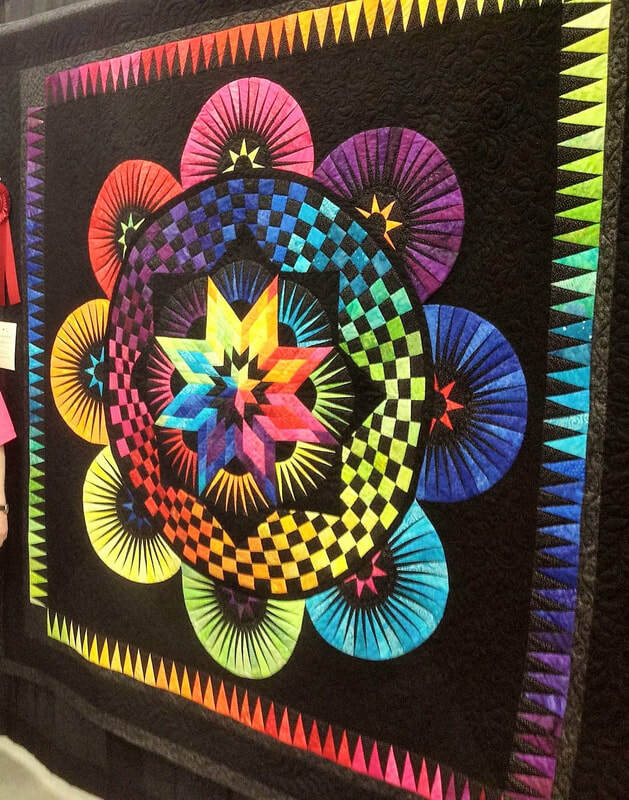 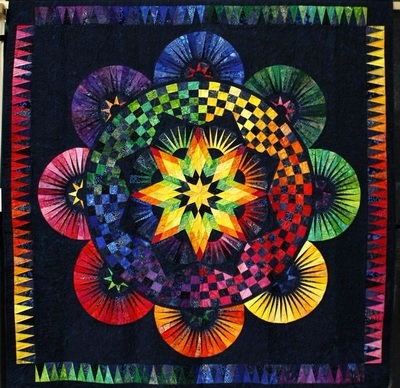 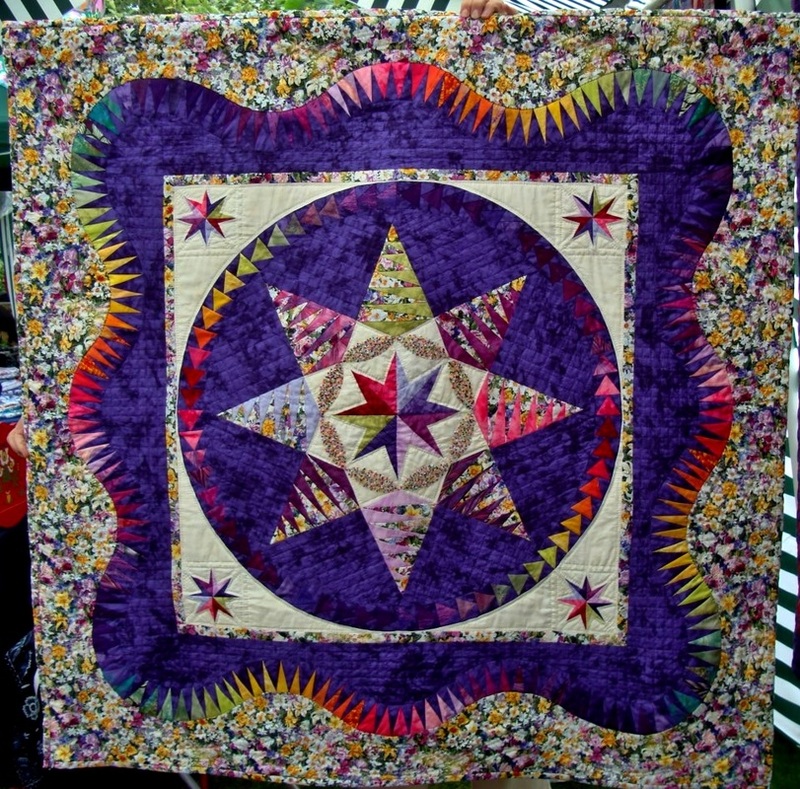 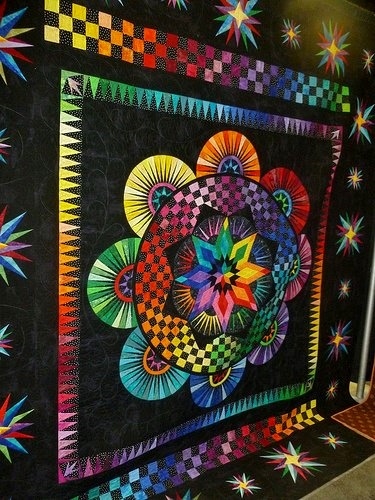 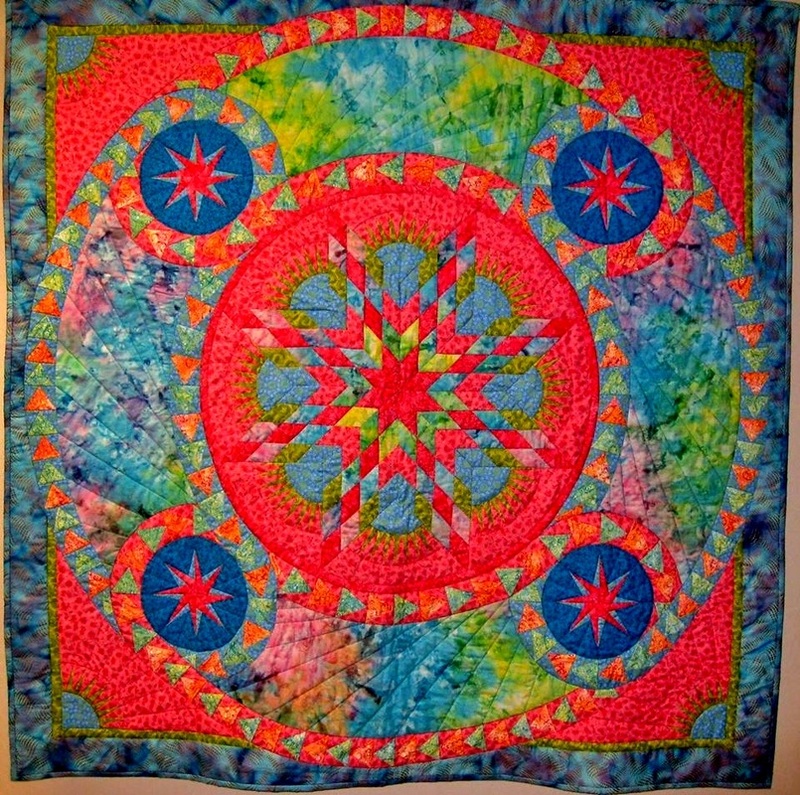 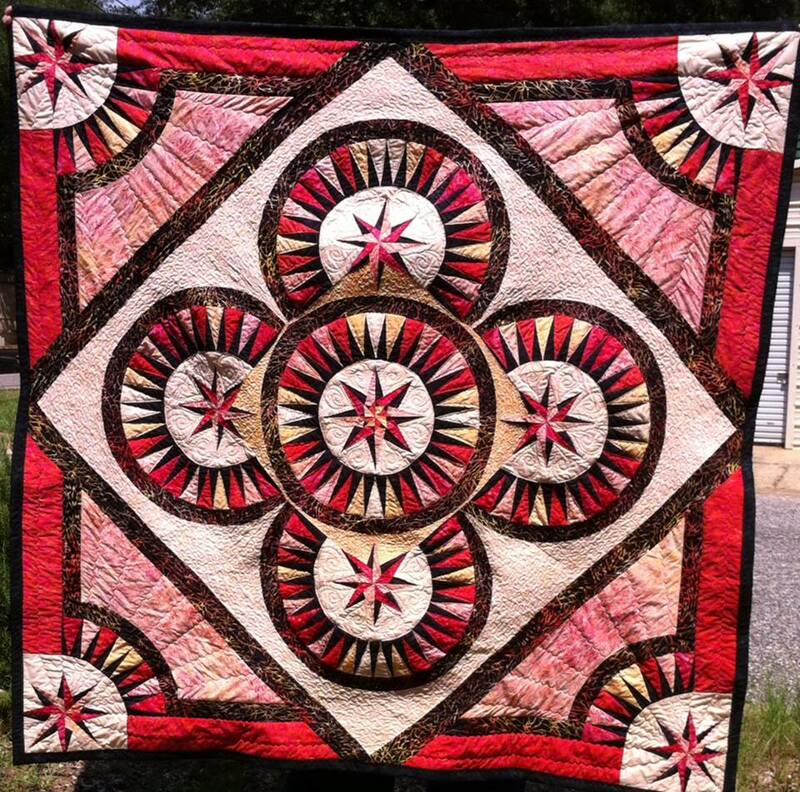 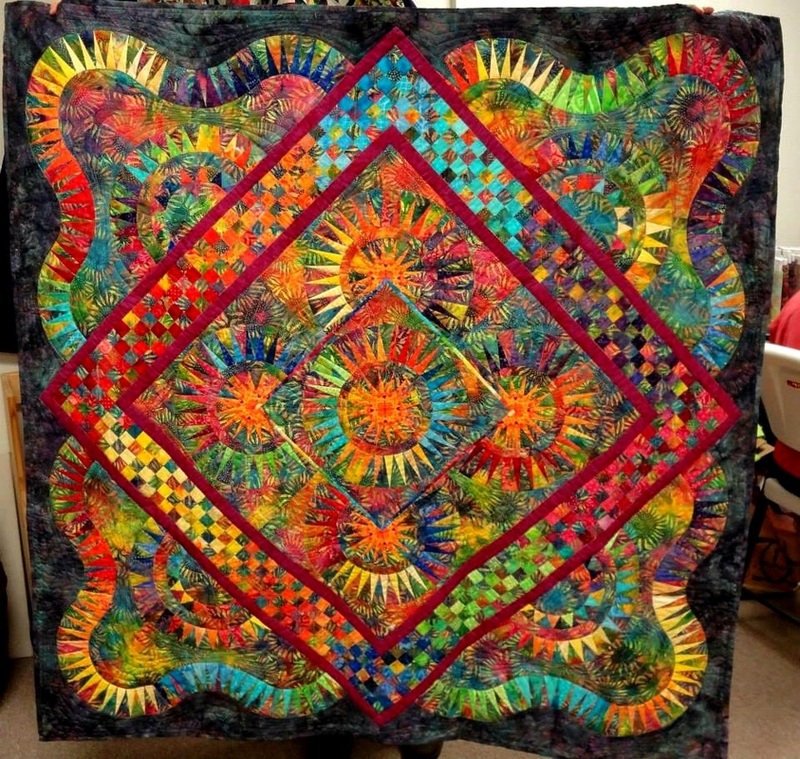 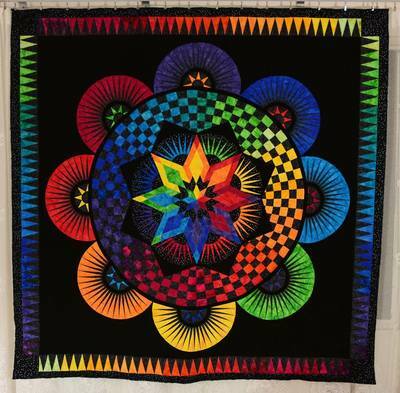 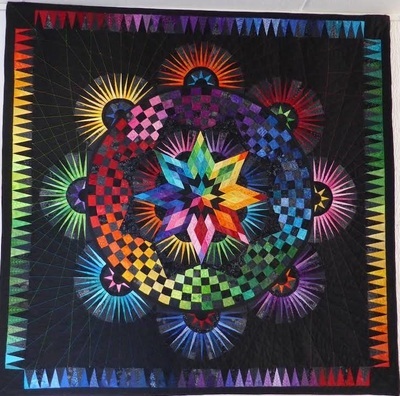 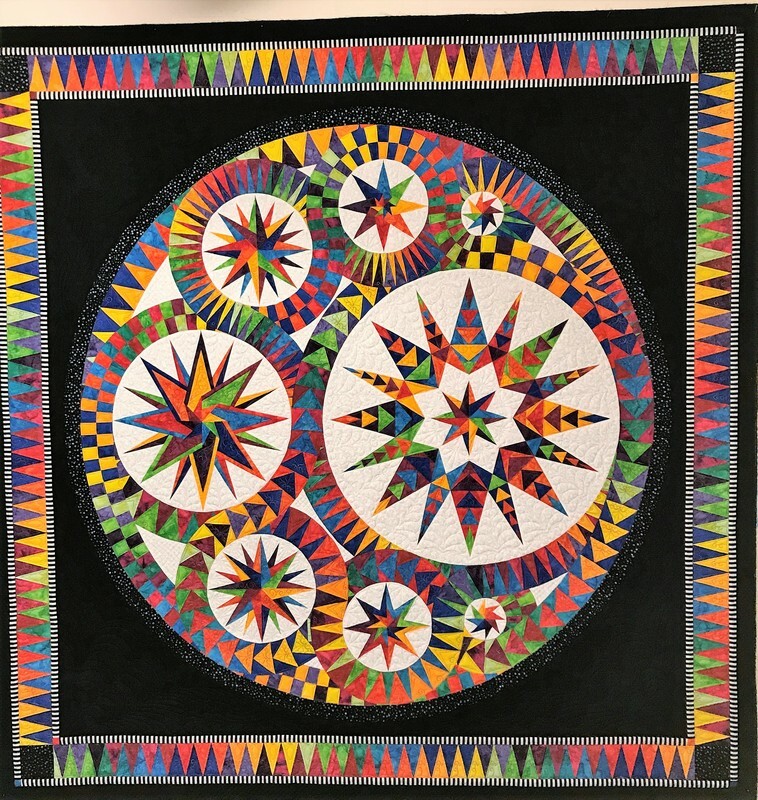 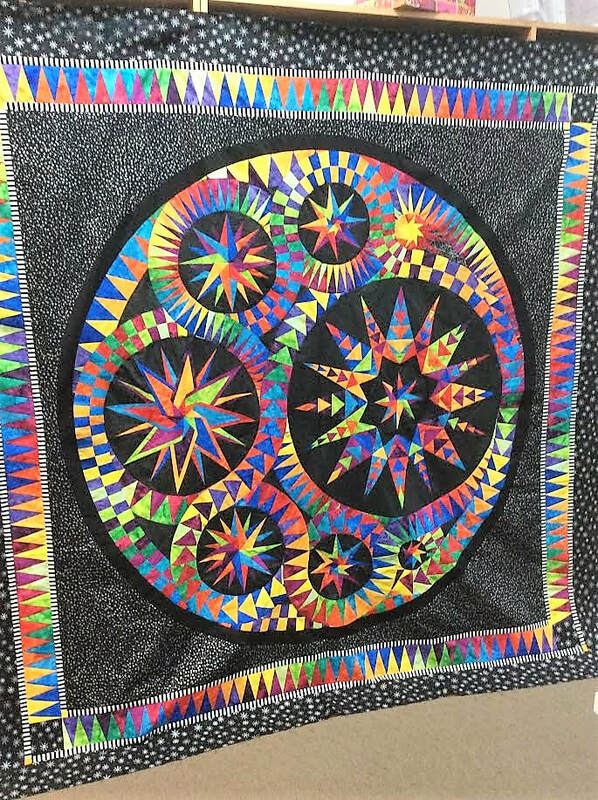 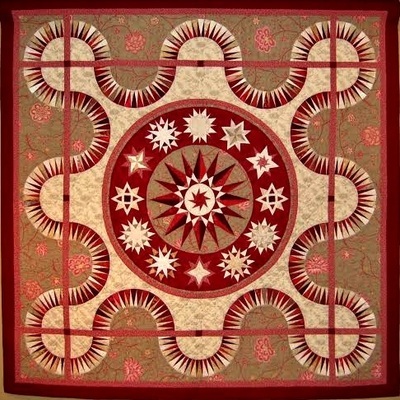 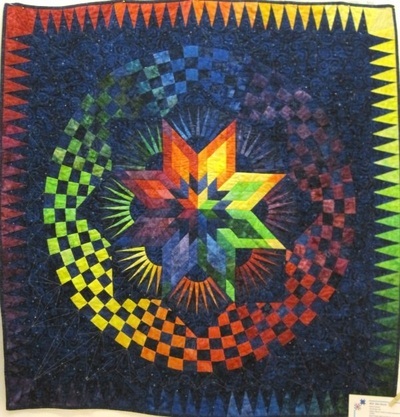 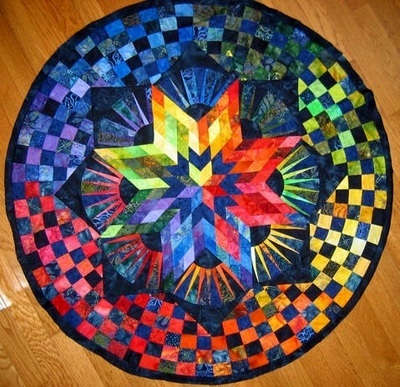 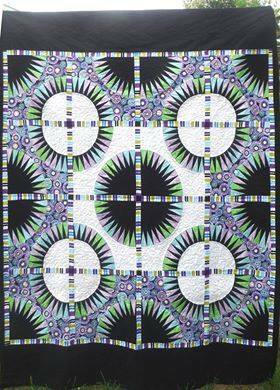 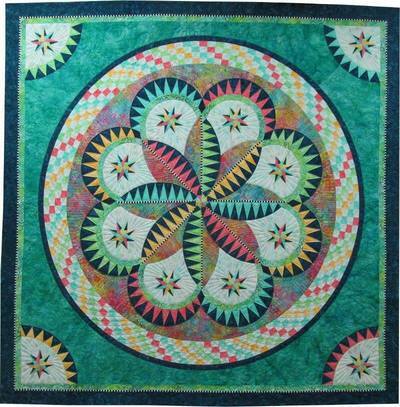 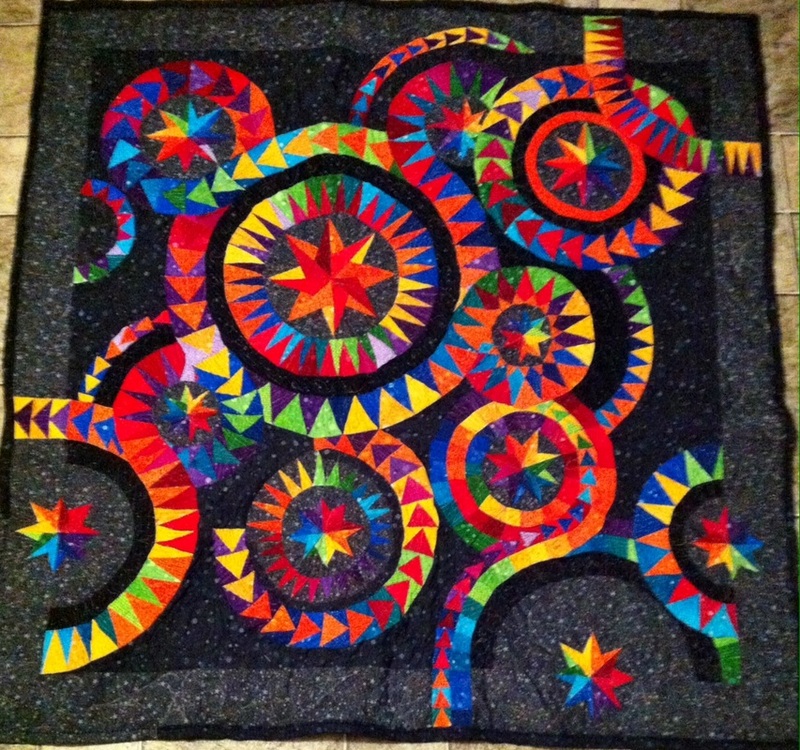 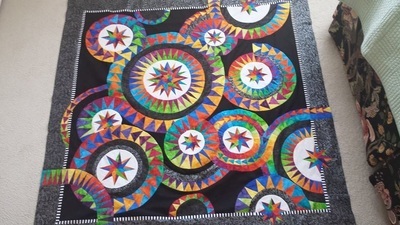 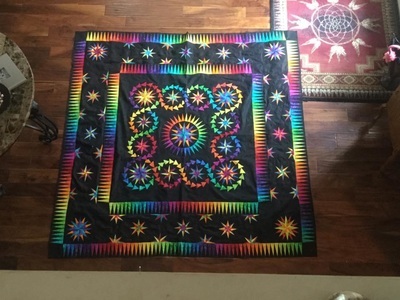 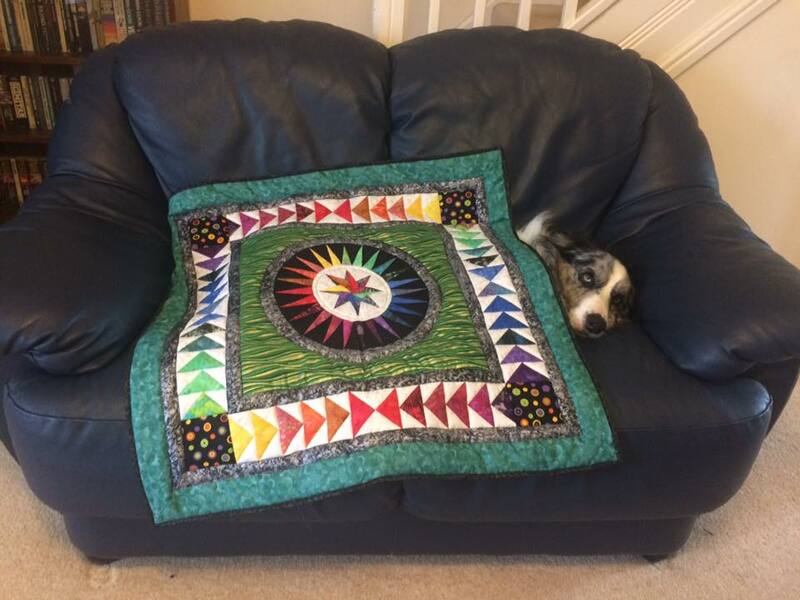 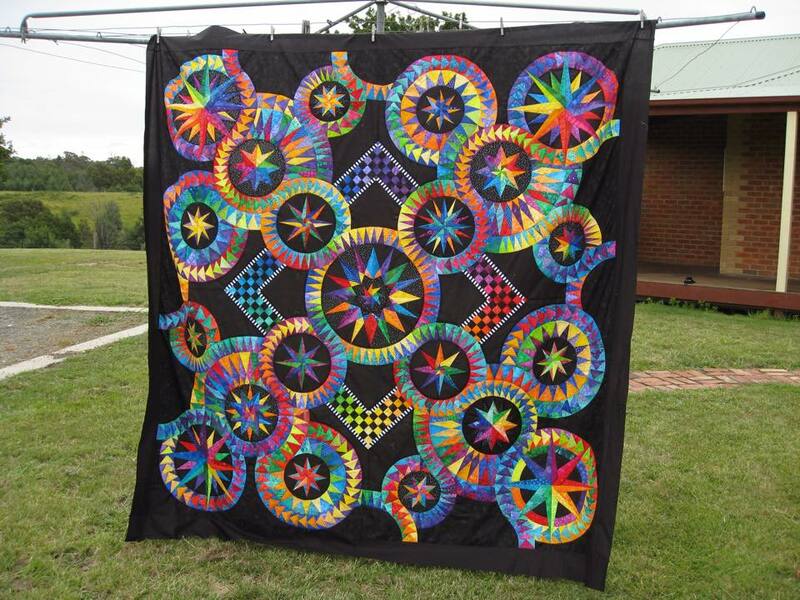 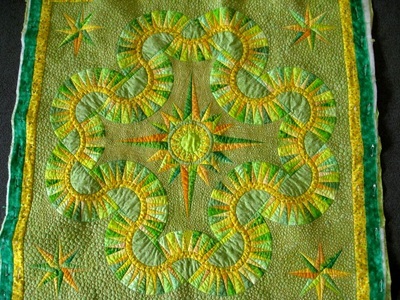 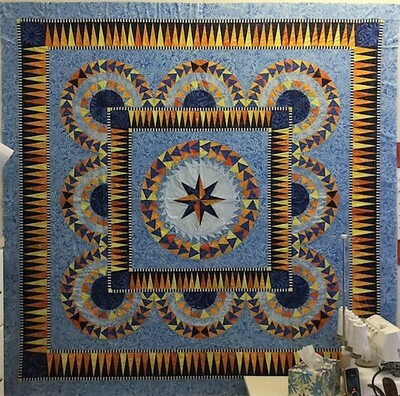 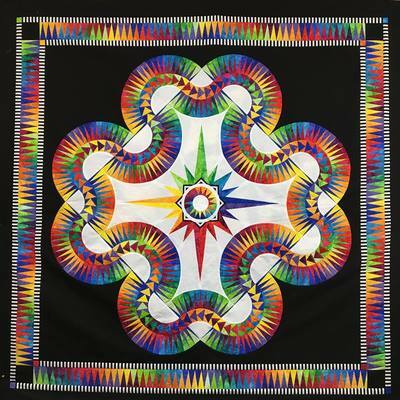 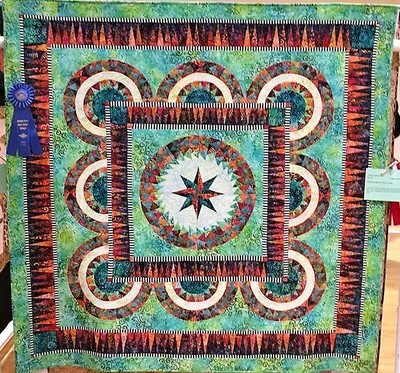 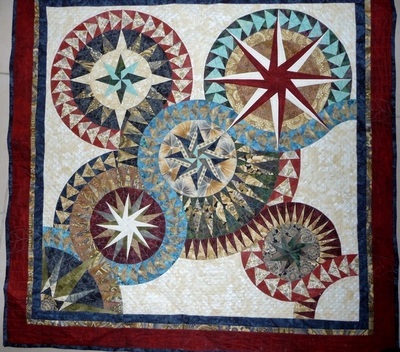 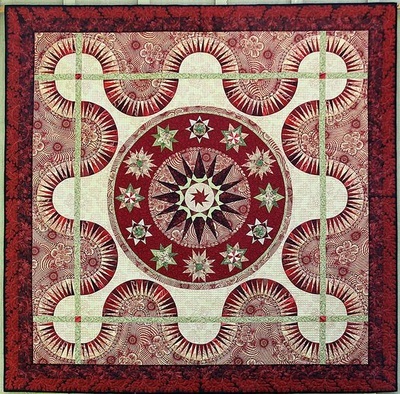 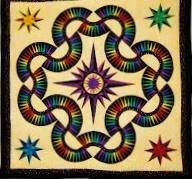 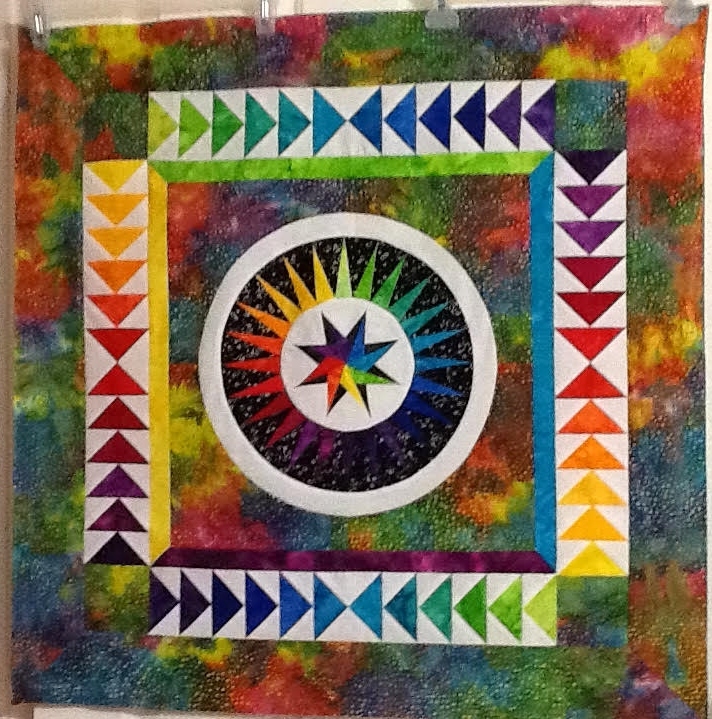 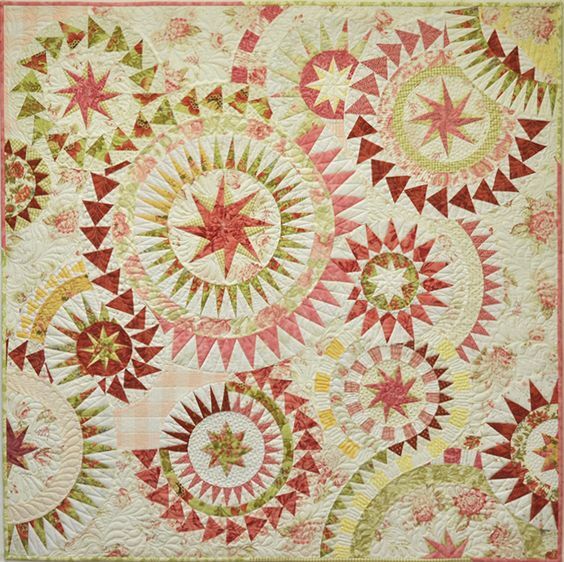 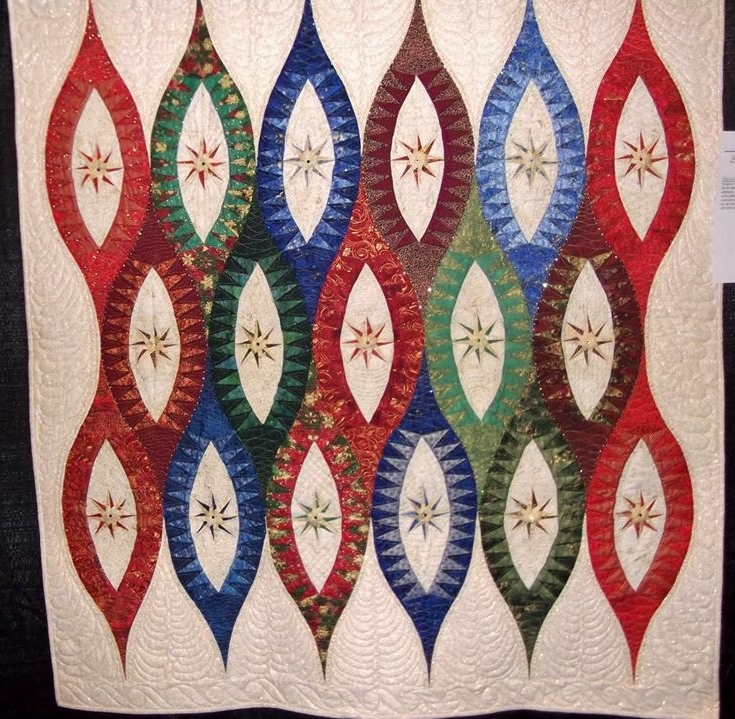 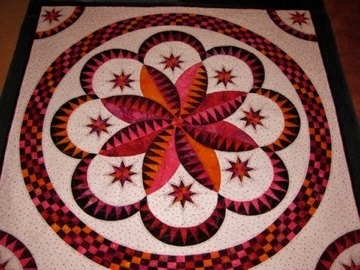 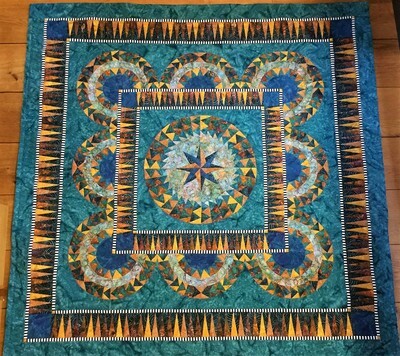 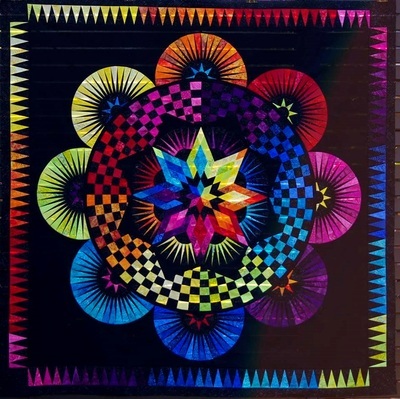 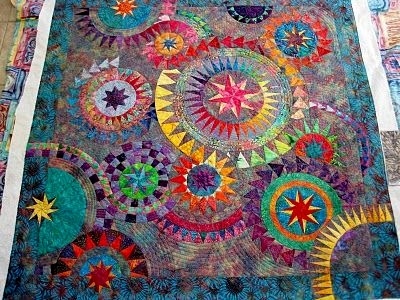 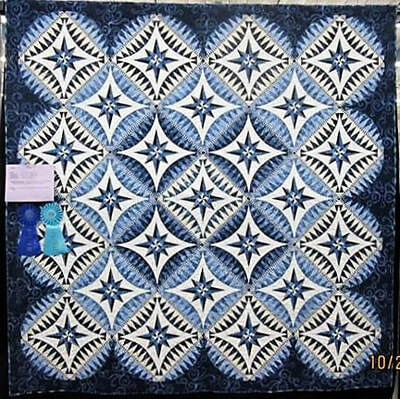 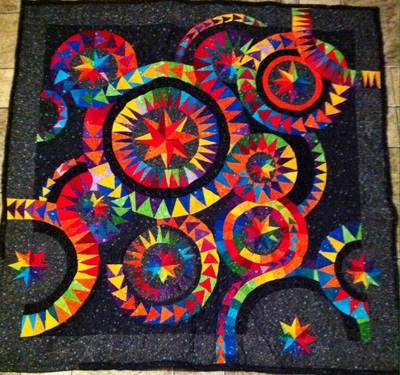 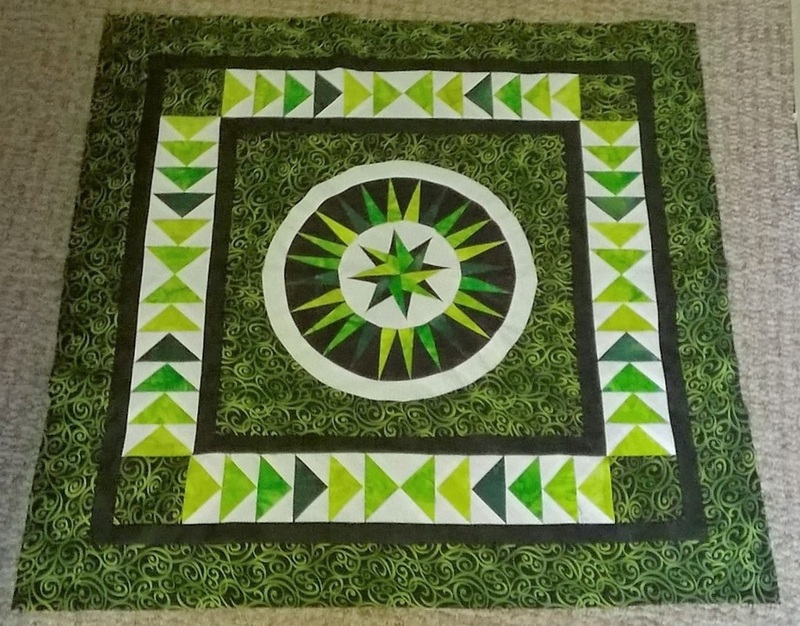 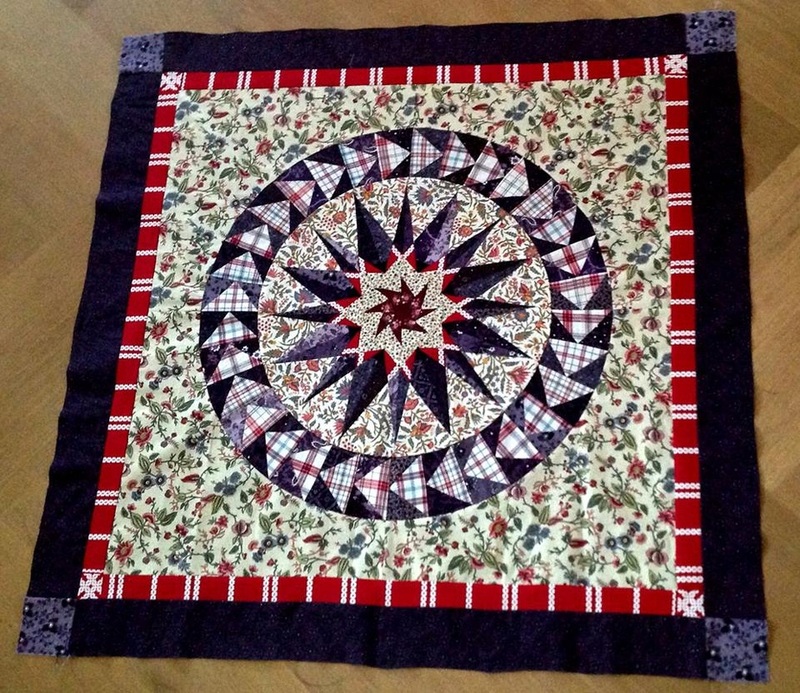 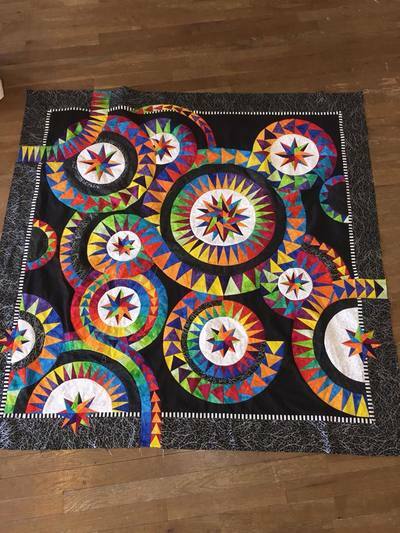 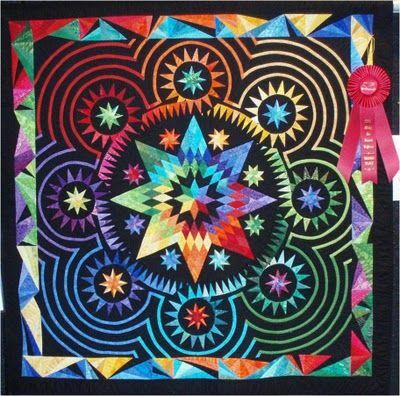 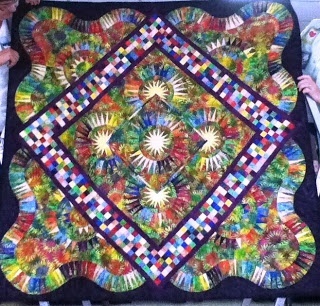 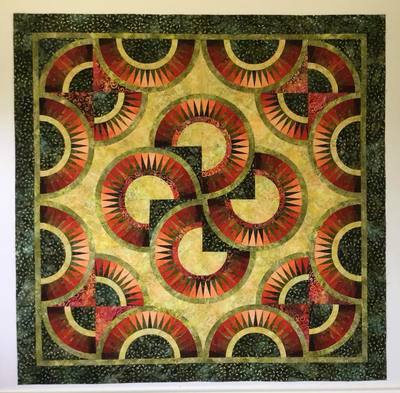 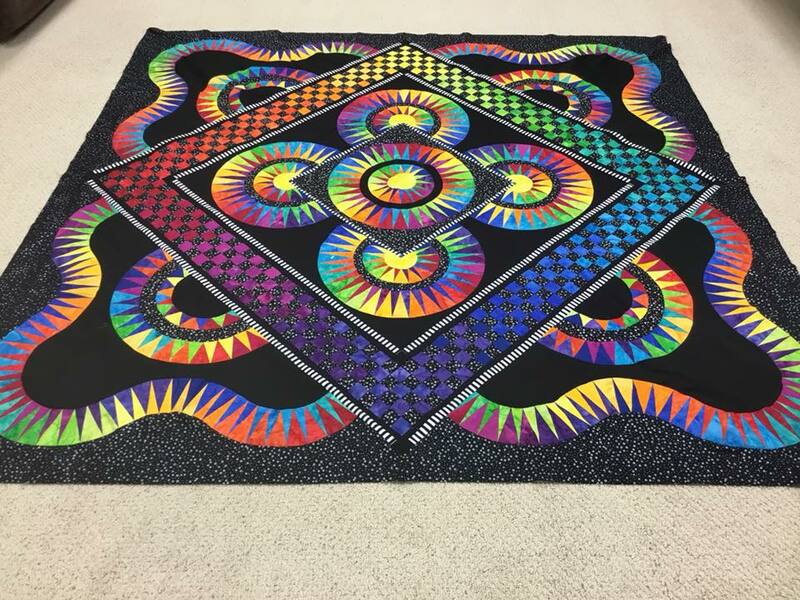 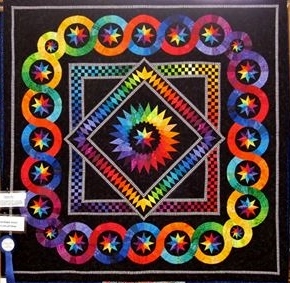 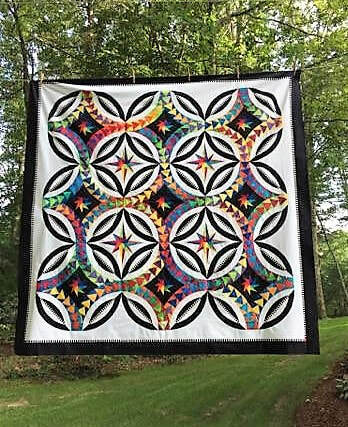 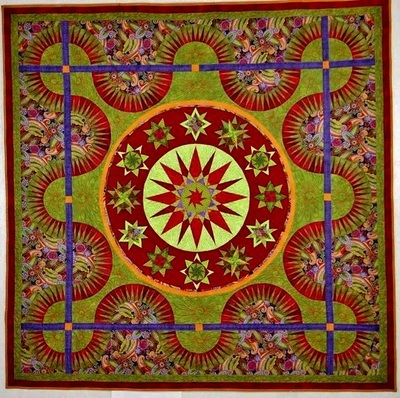 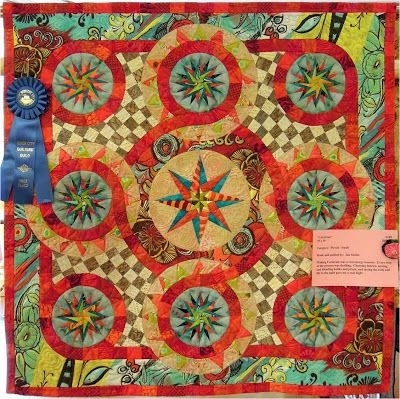 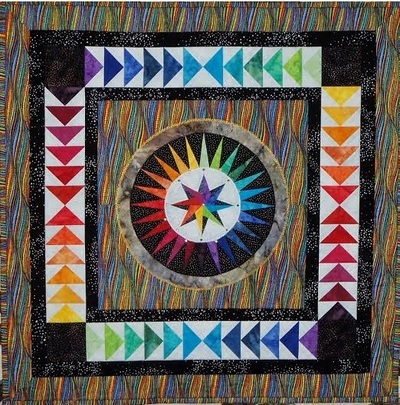 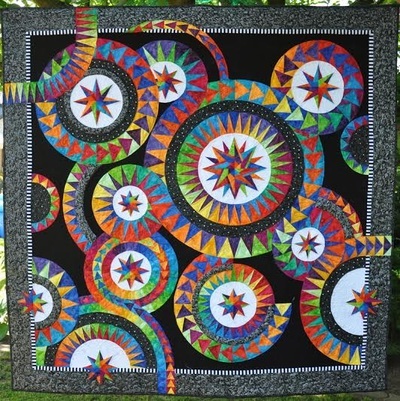 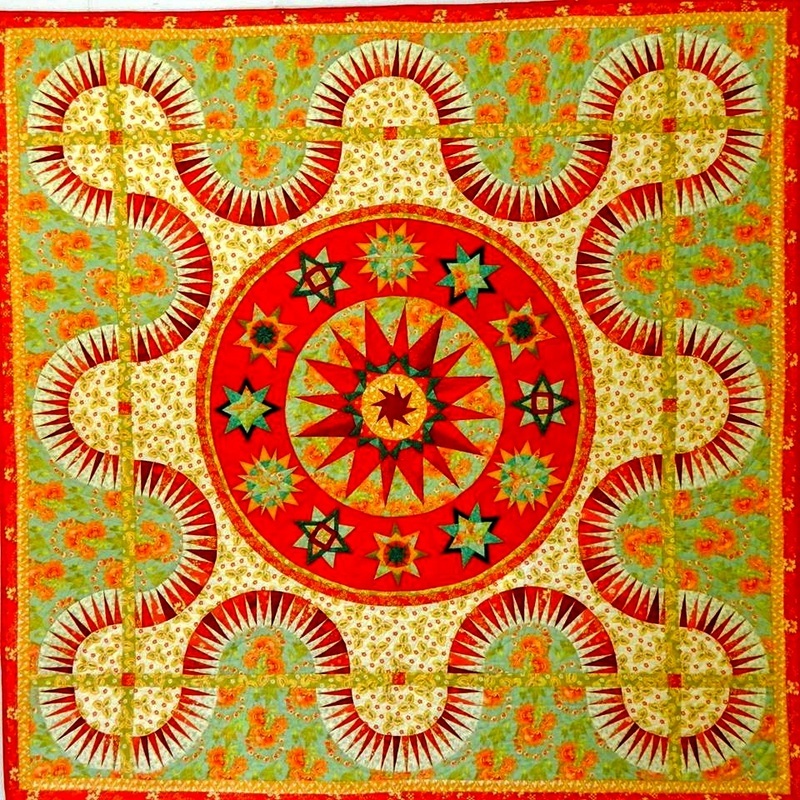 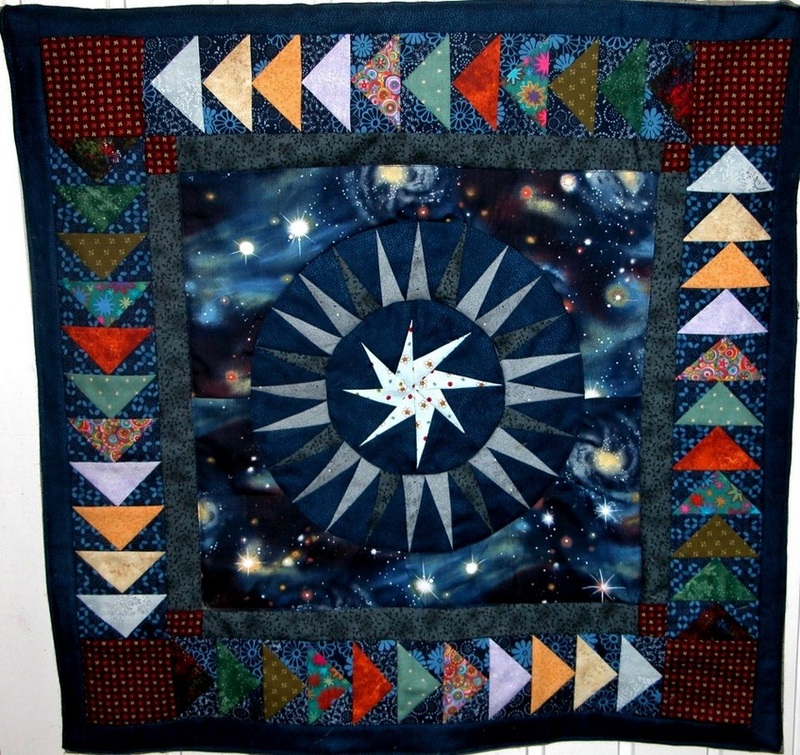 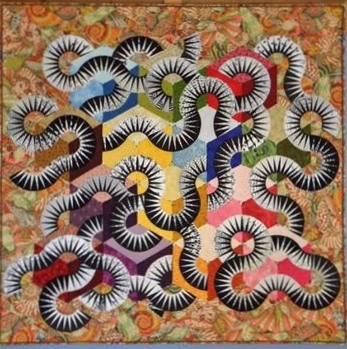 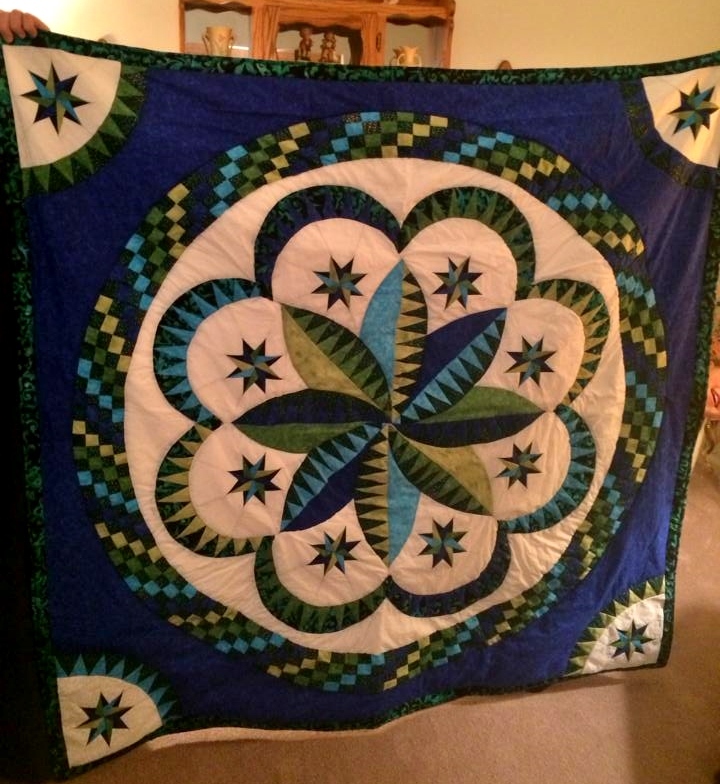 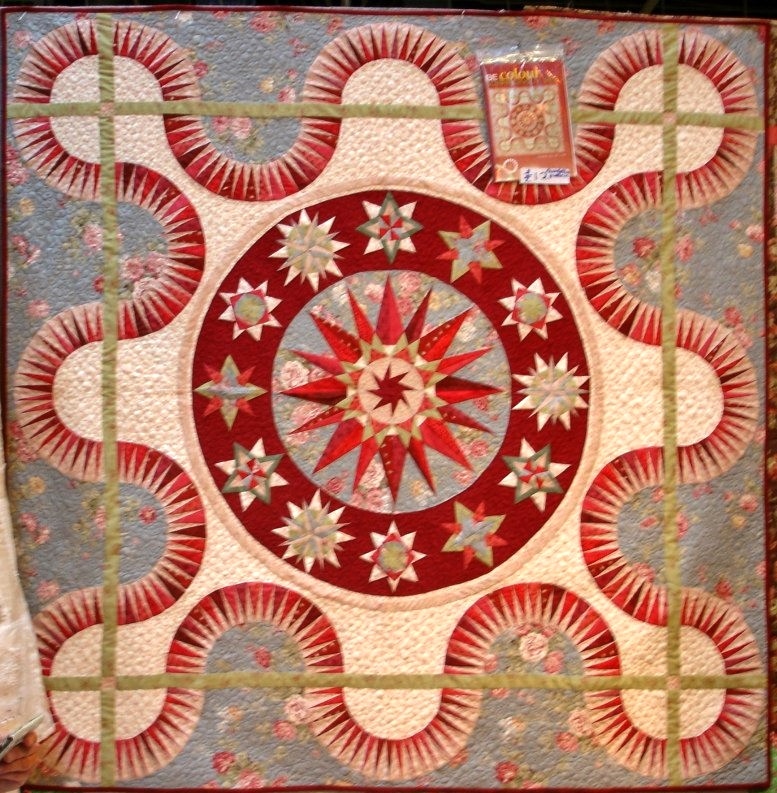 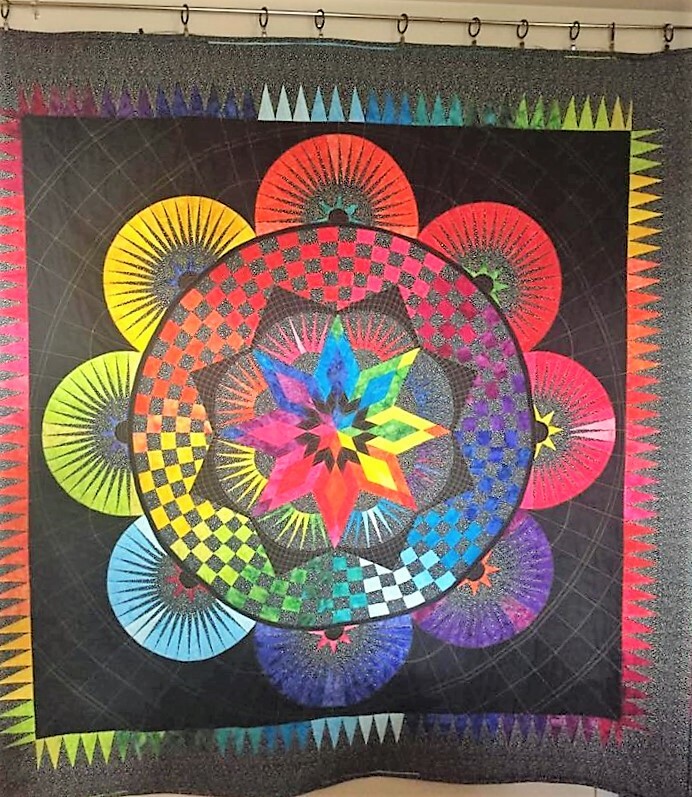 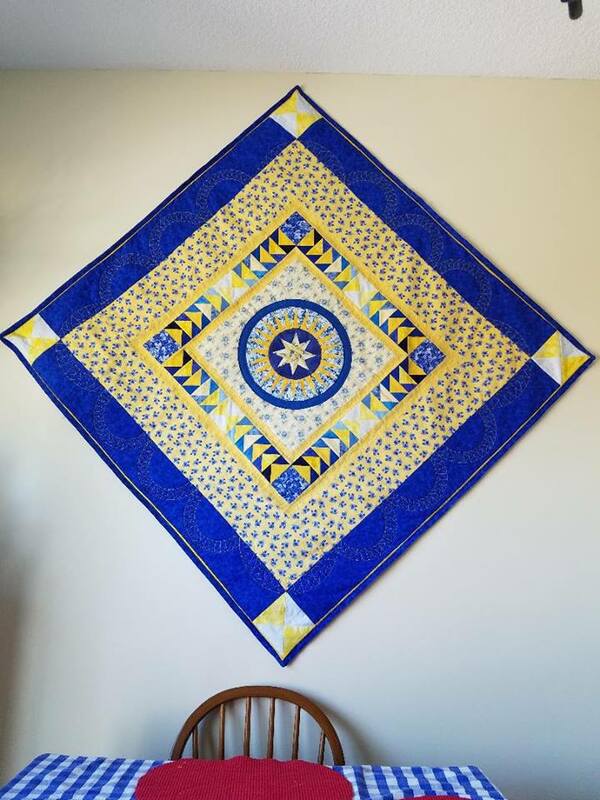 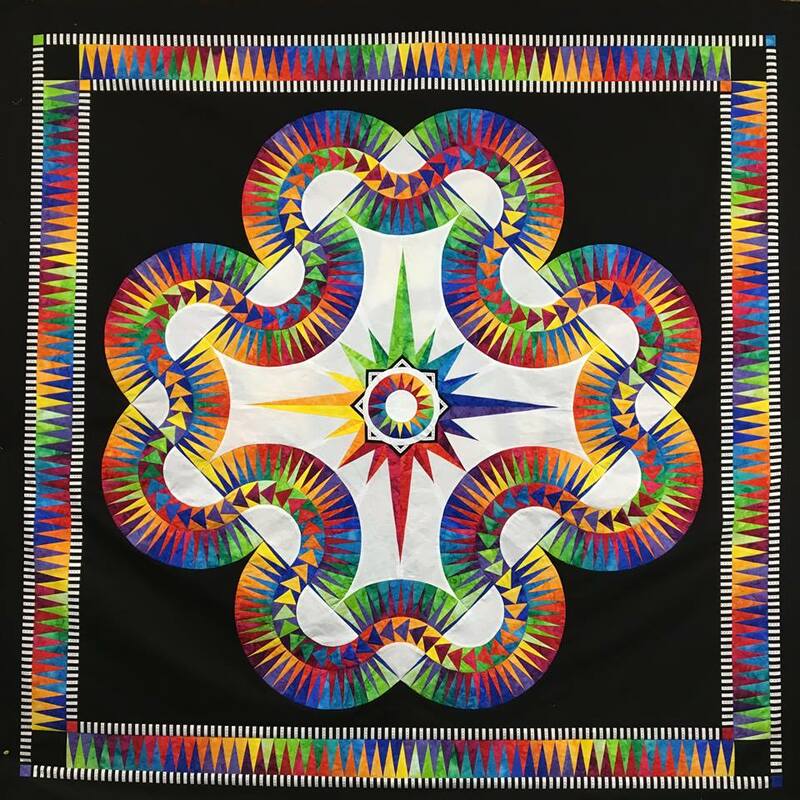 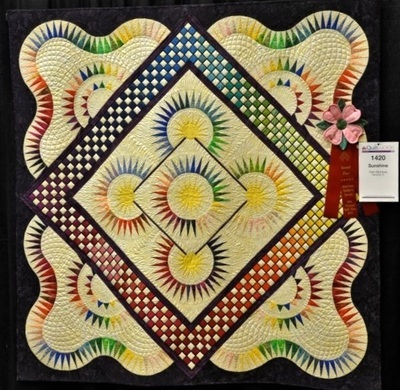 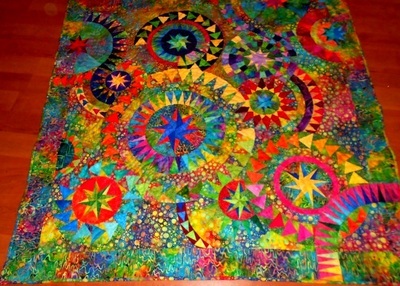 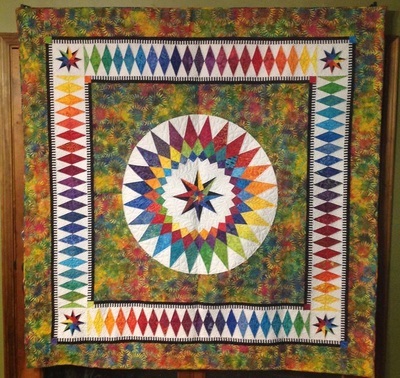 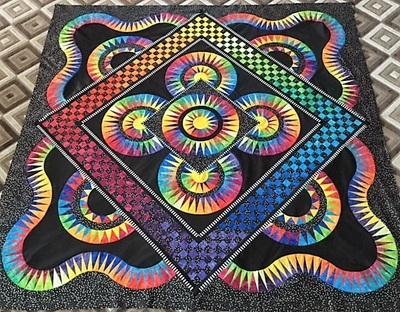 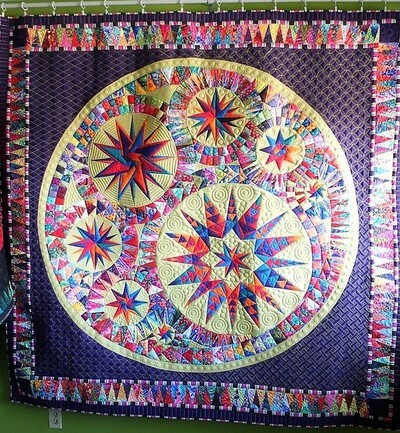 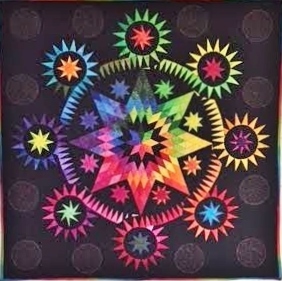 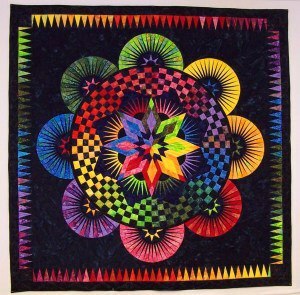 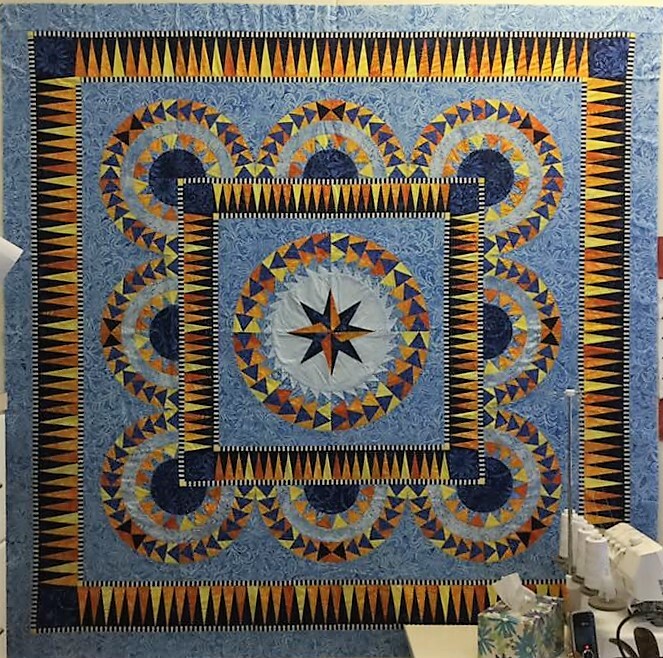 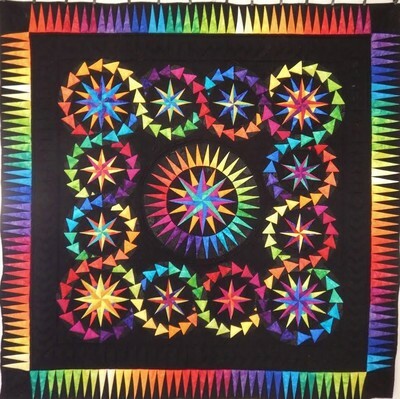 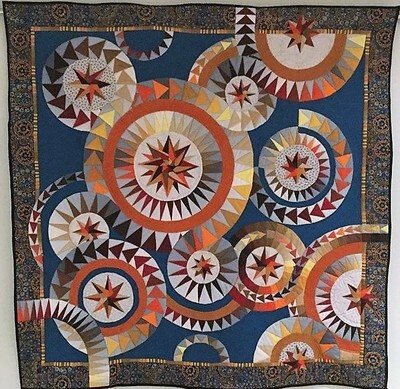 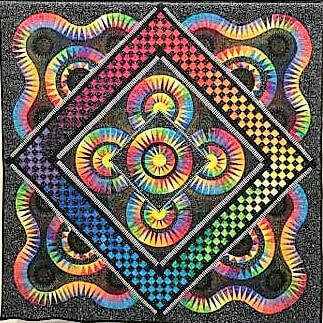 If you like to show your BeColourful quilt project here, email us at becolourfulquilts@gmail.com. 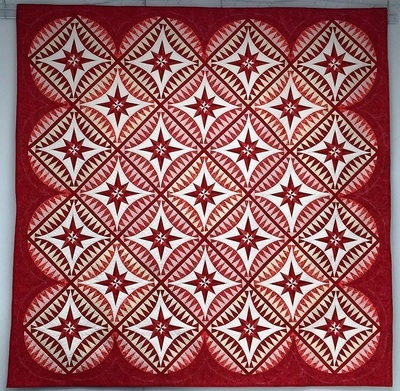 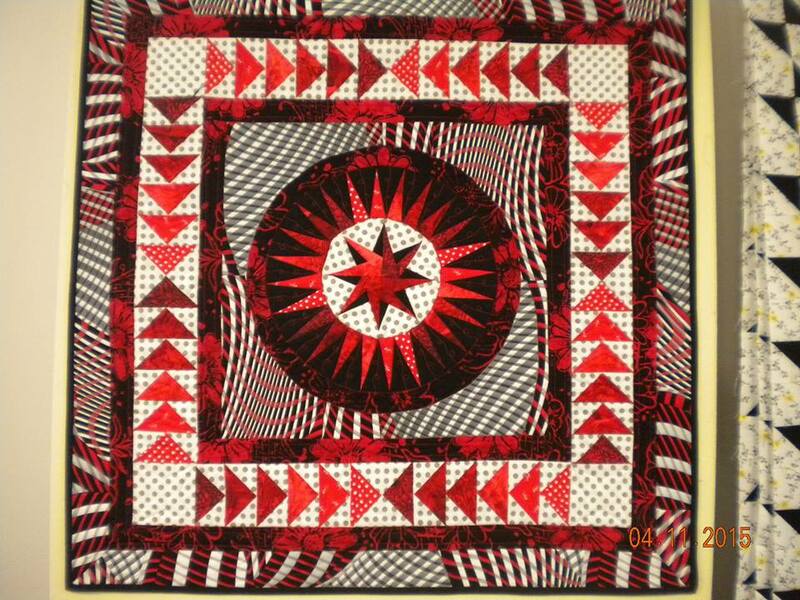 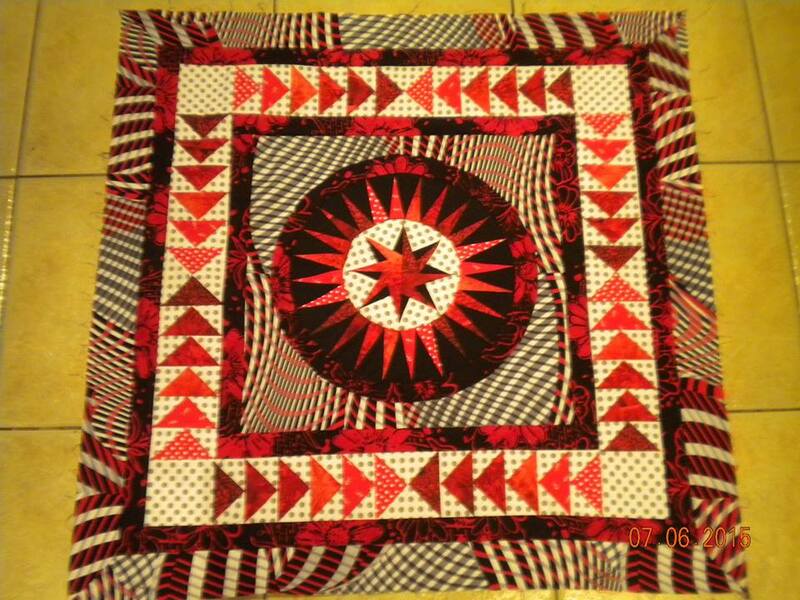 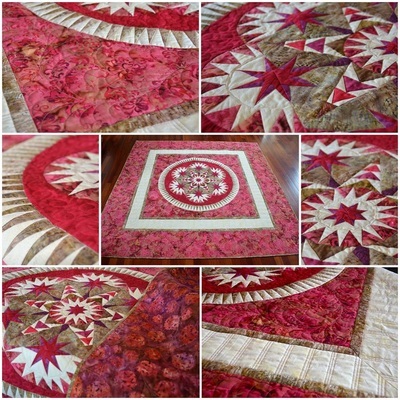 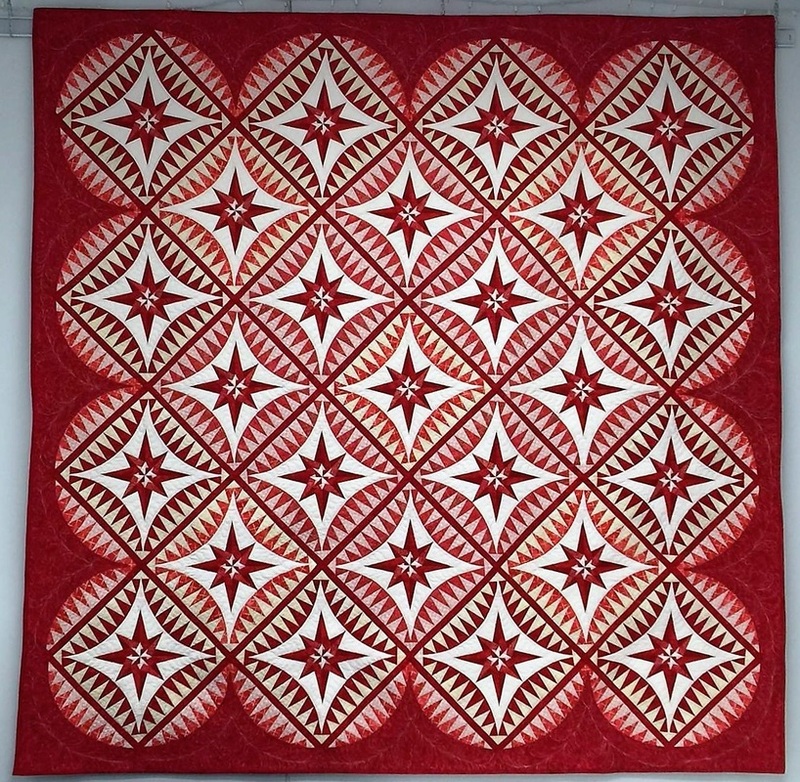 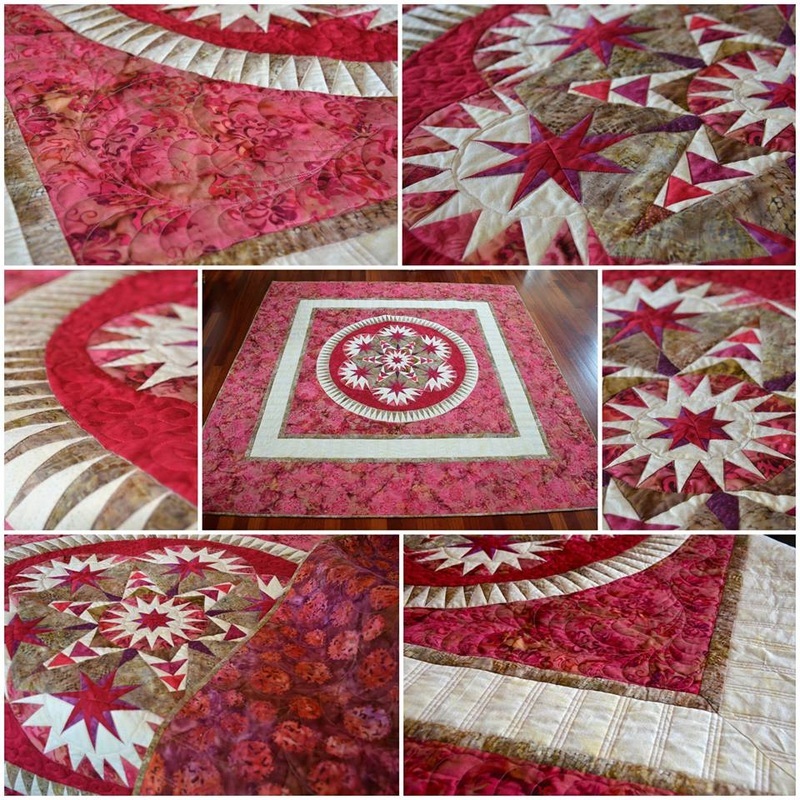 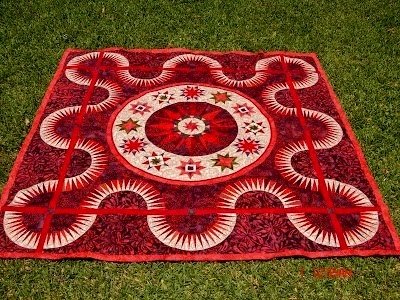 Surprisingly Red; by Donna K.
All designs, patterns, images and text are ©2004-2019 copyright BeColourful; by Jacqueline de Jonge. 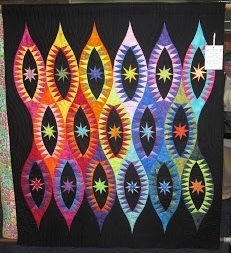 Reproduction of any kind is expressly prohibited without written consent.